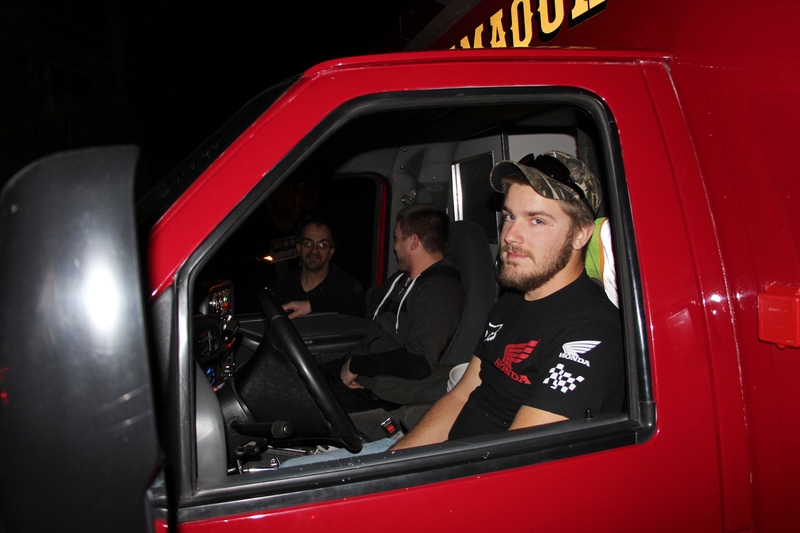 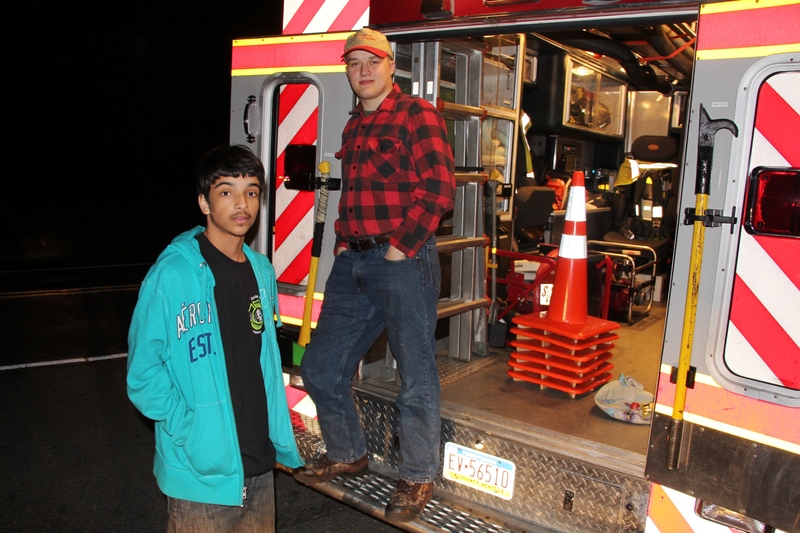 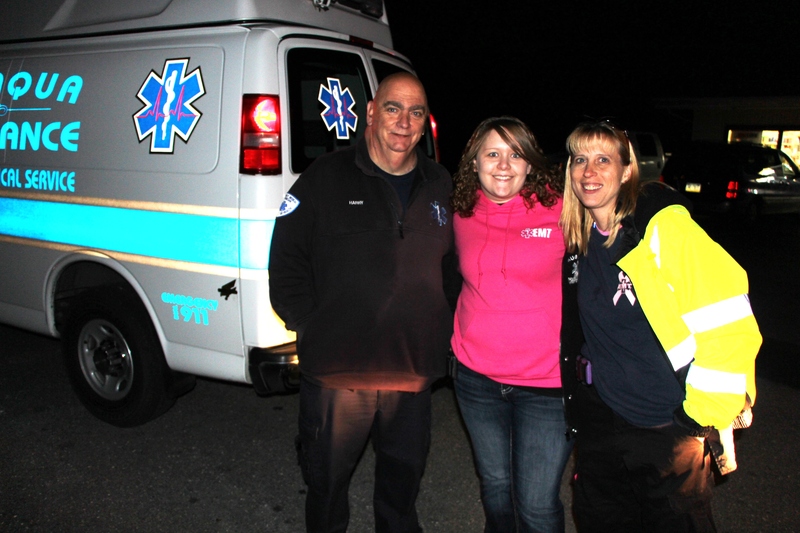 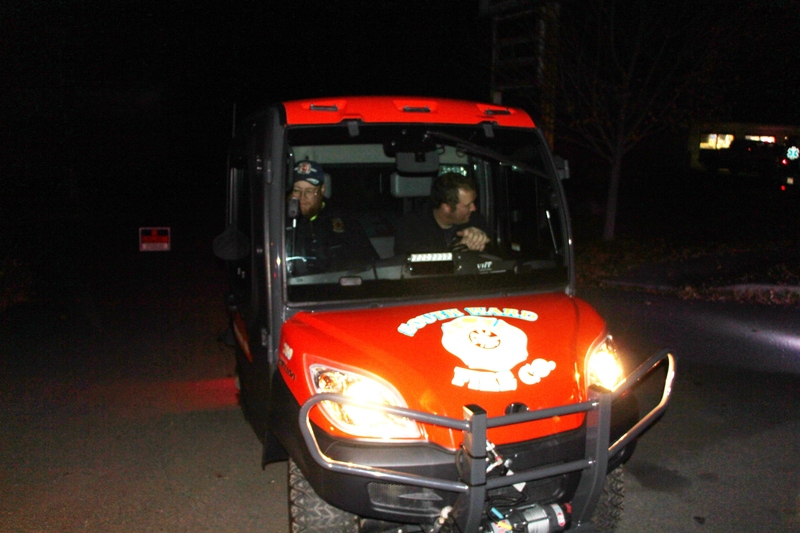 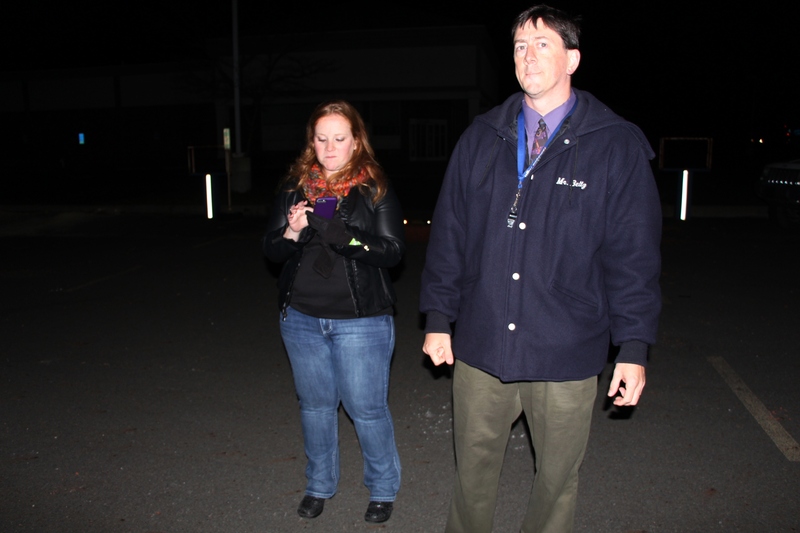 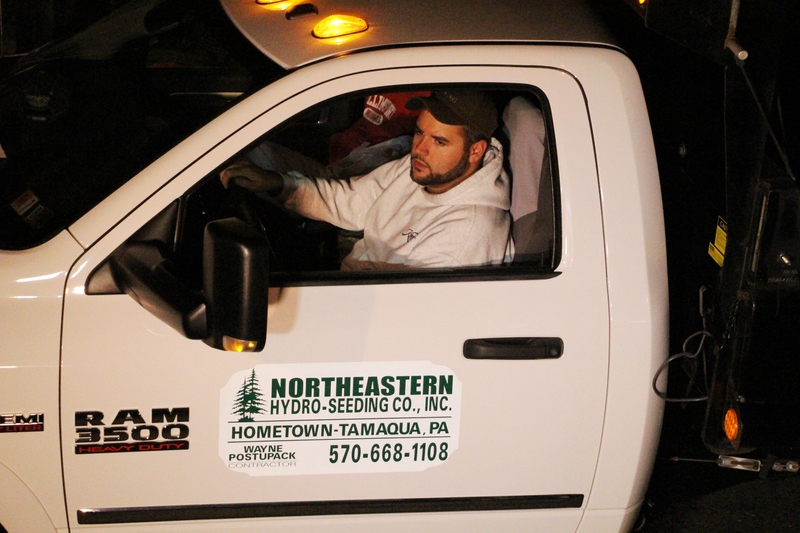 Pictured are members of the Tamaqua Area Animal Rescue. 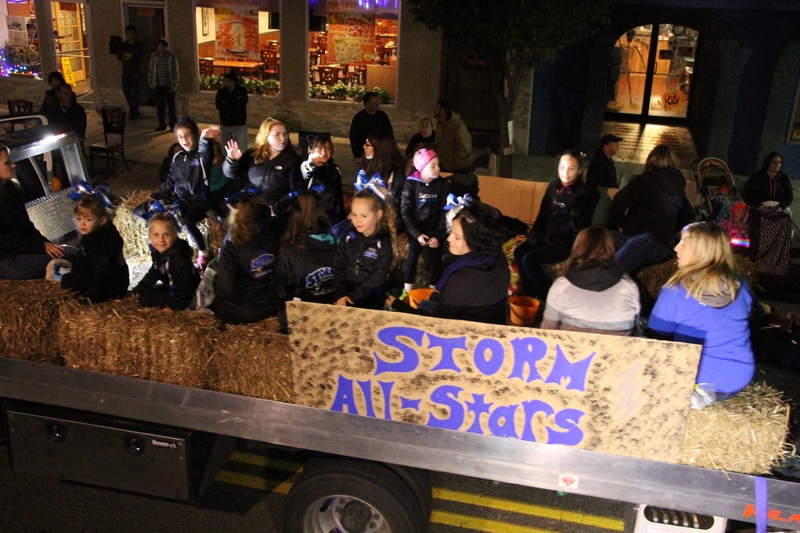 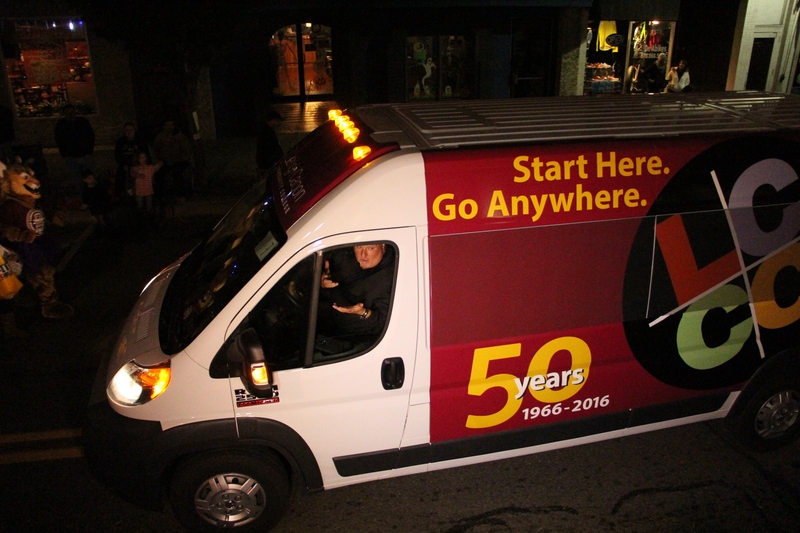 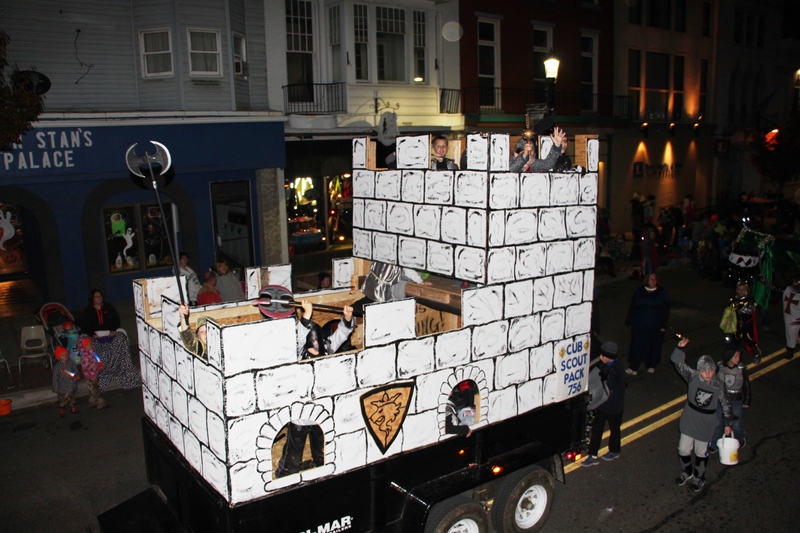 Their float placed first place. 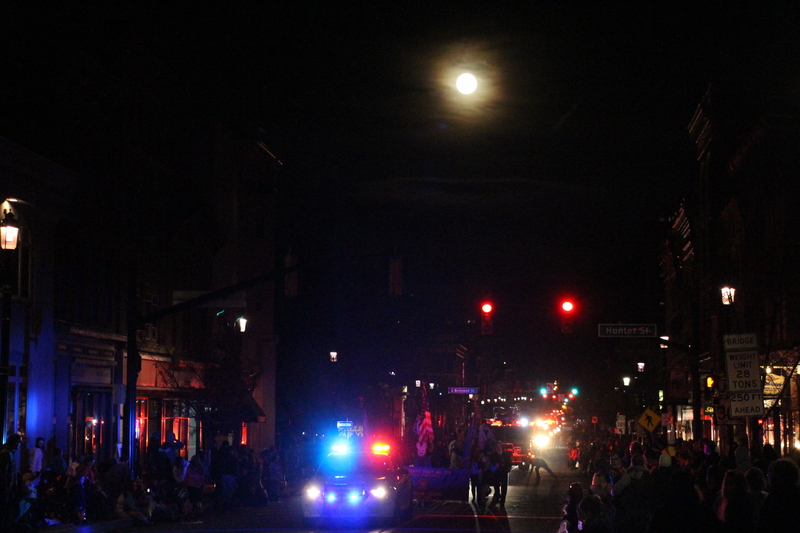 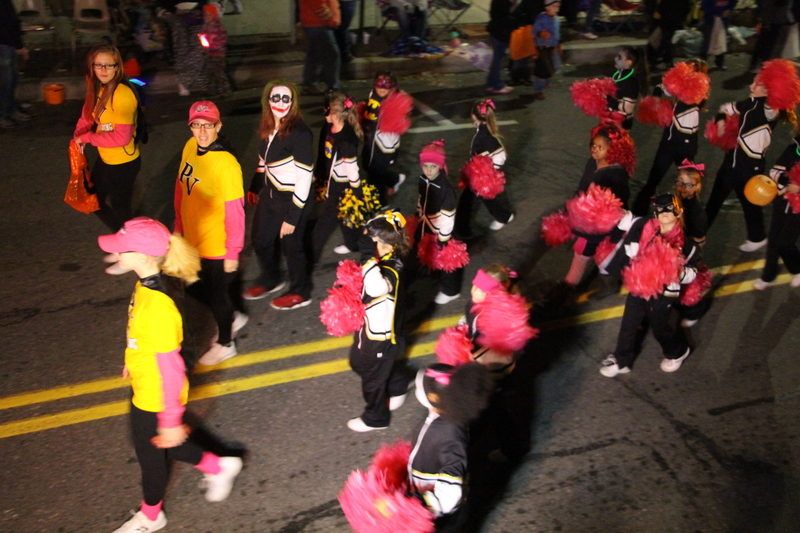 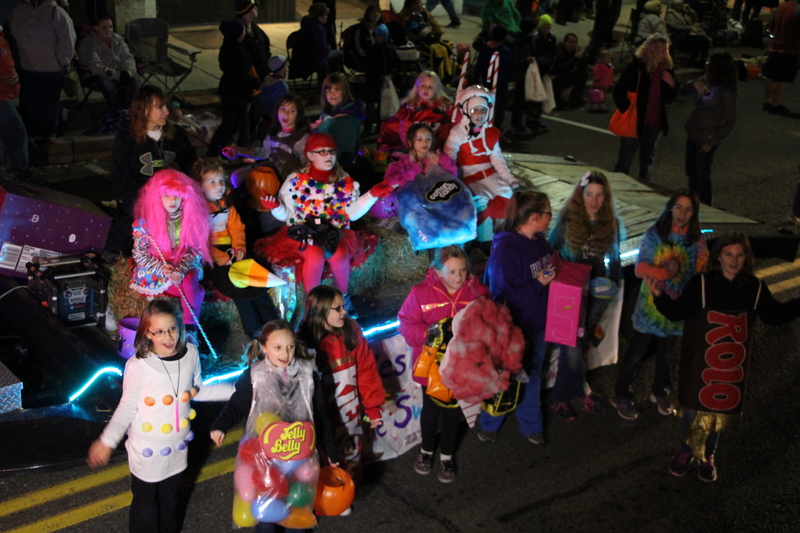 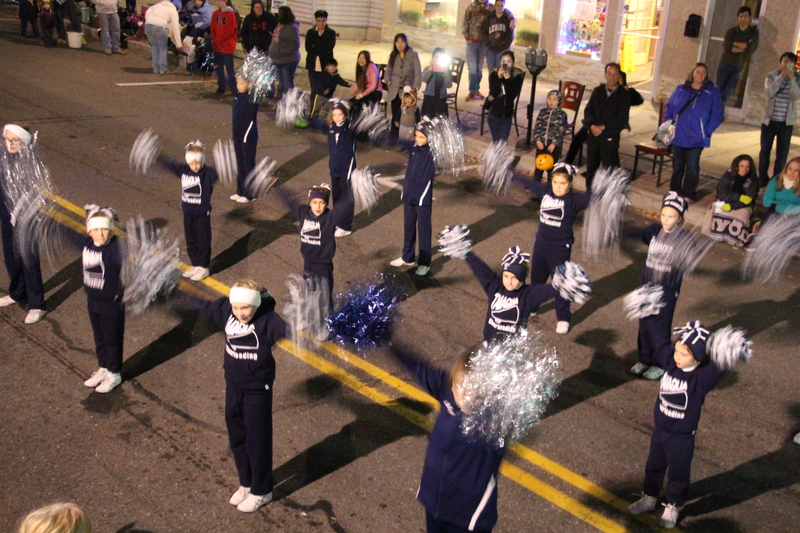 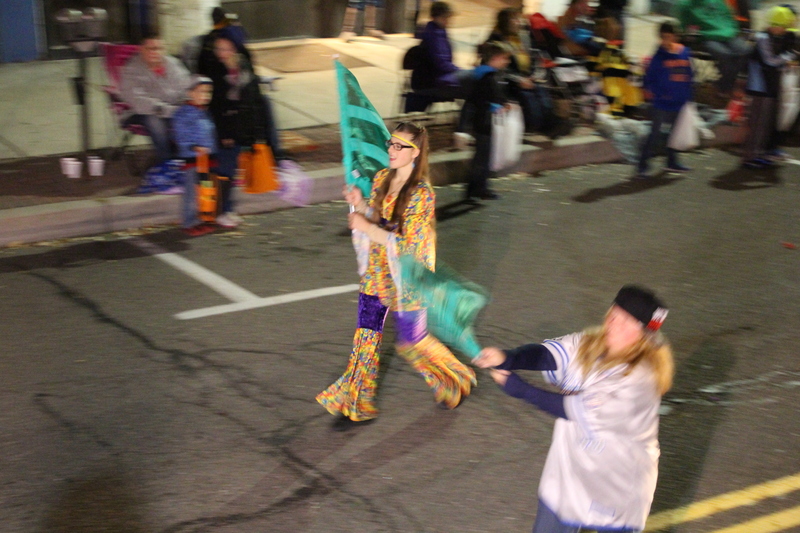 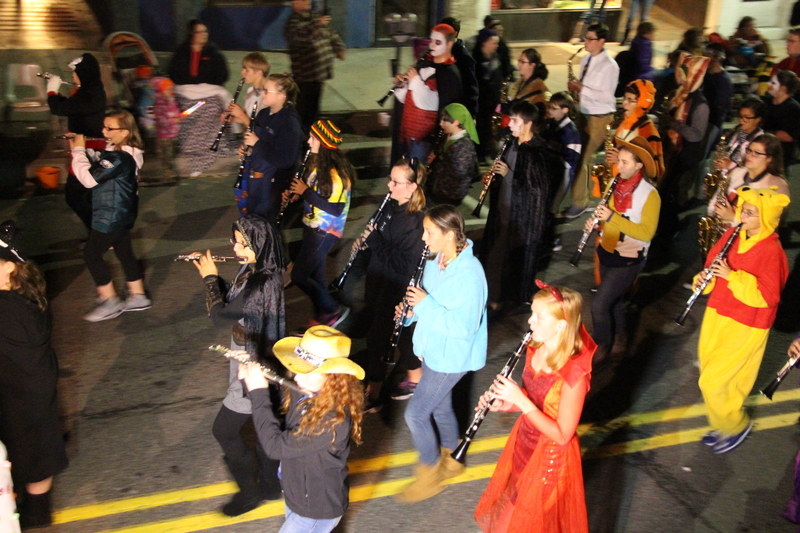 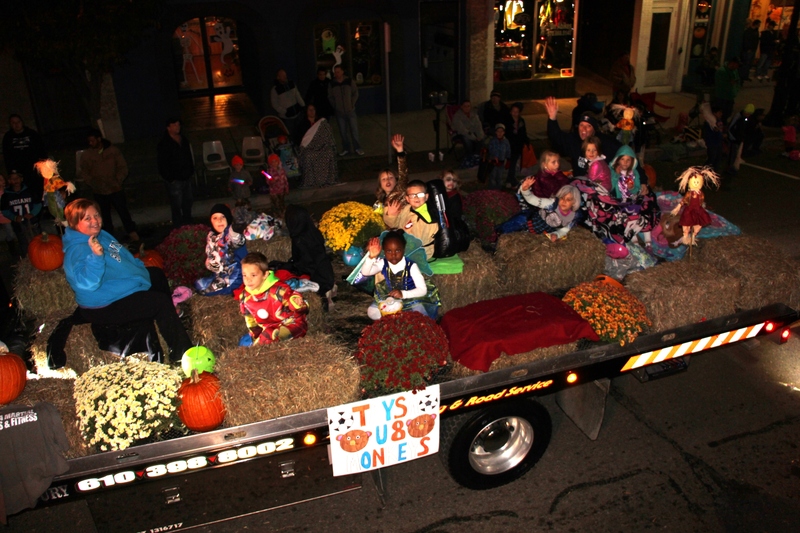 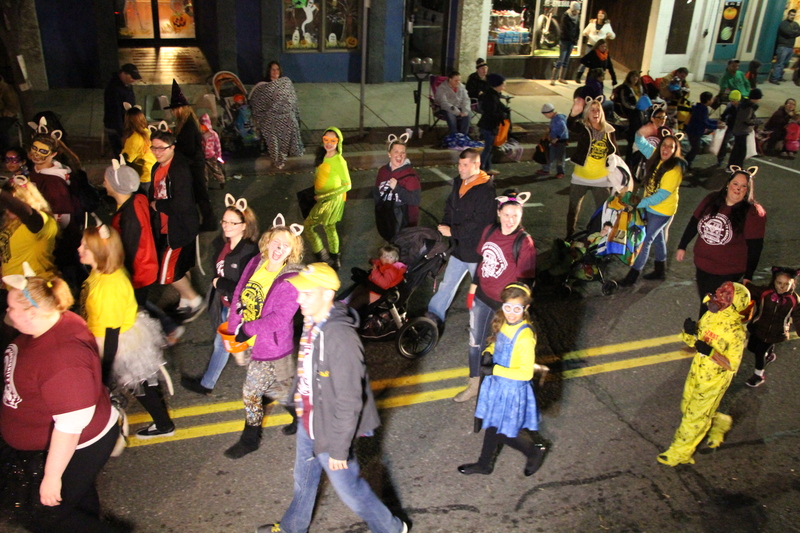 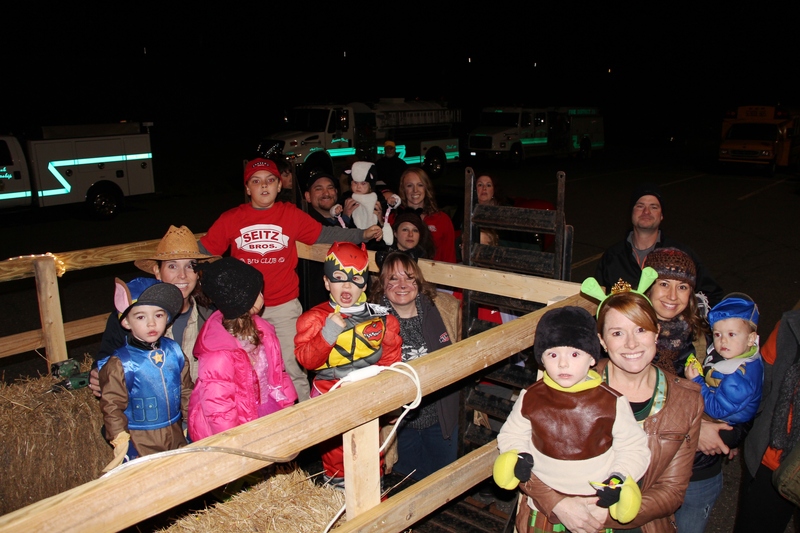 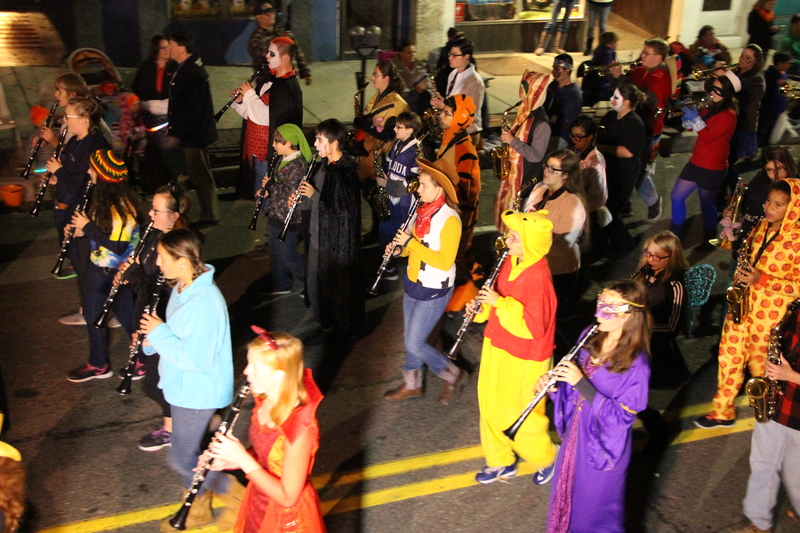 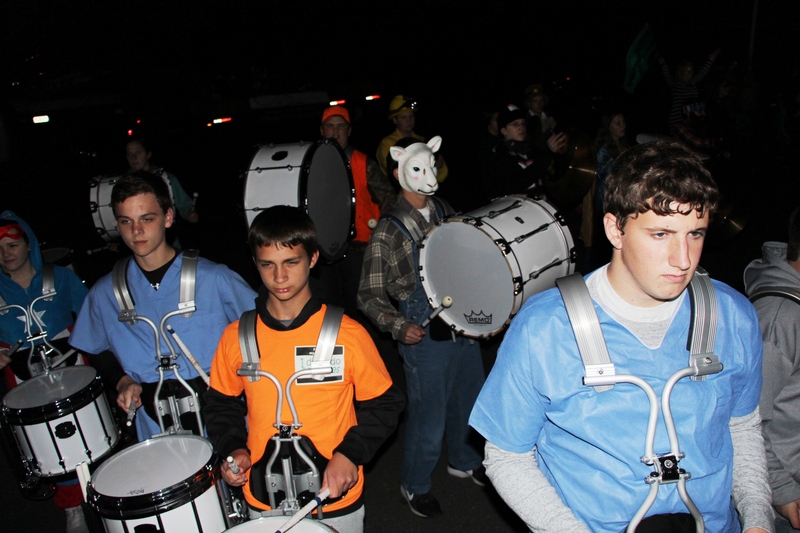 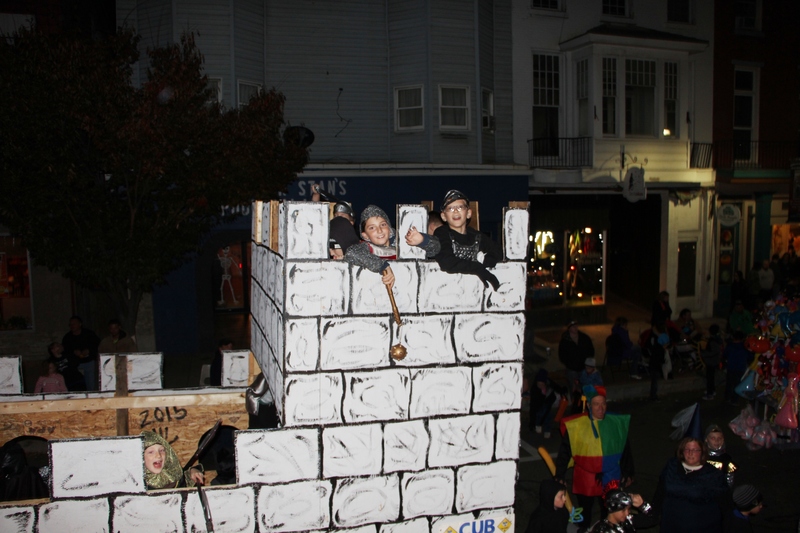 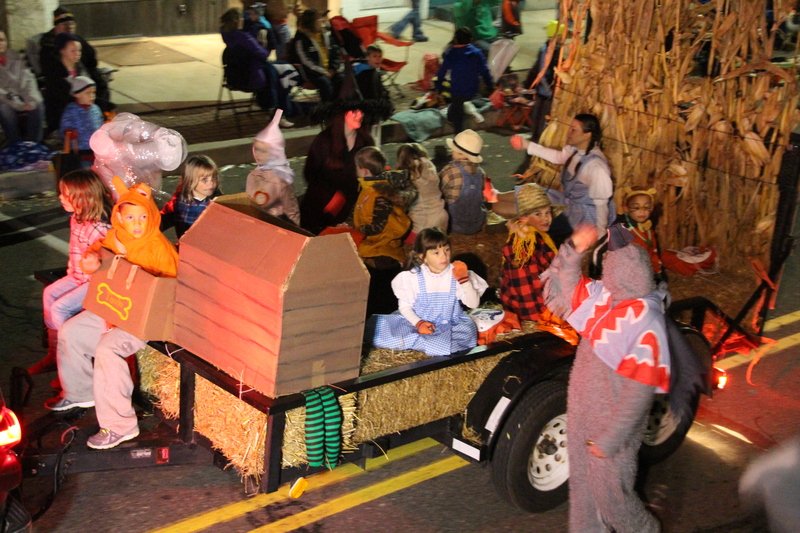 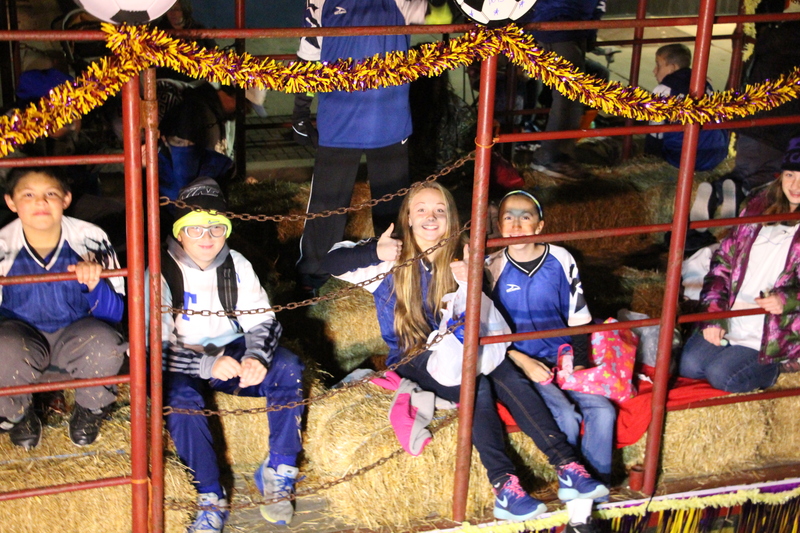 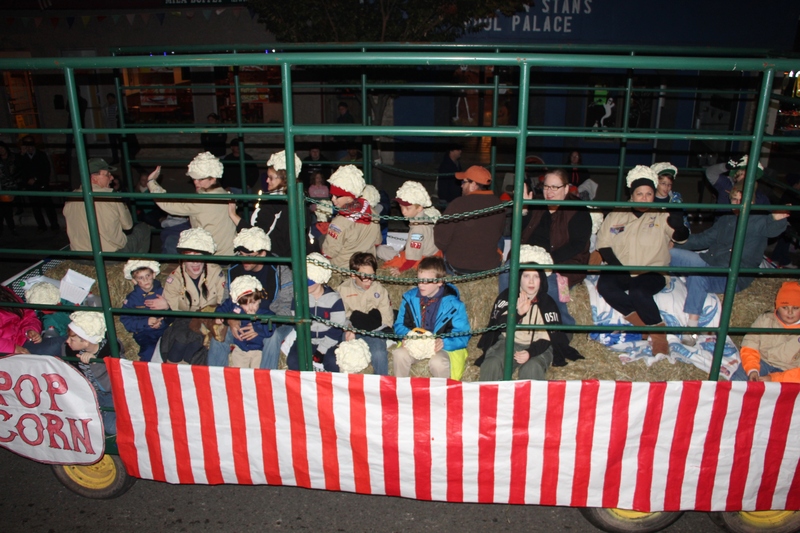 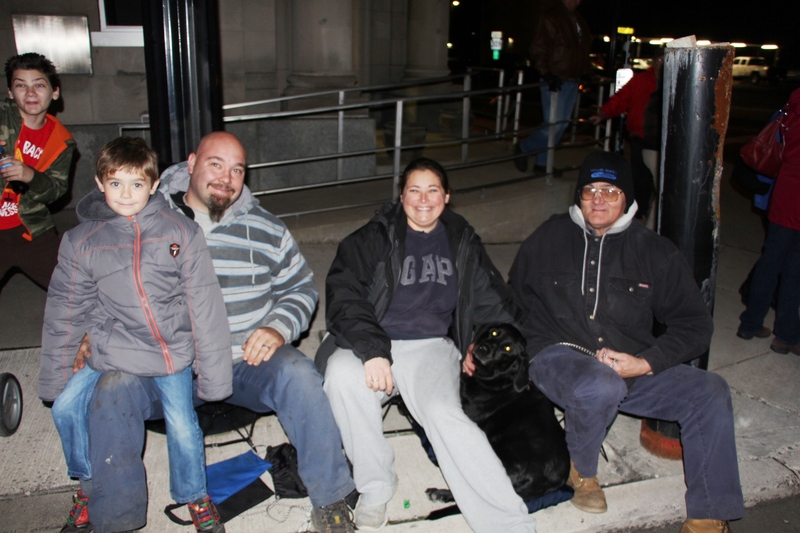 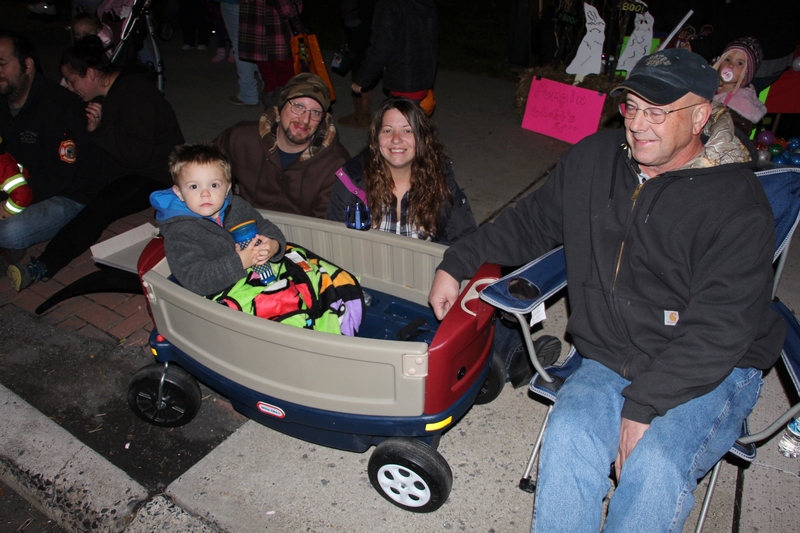 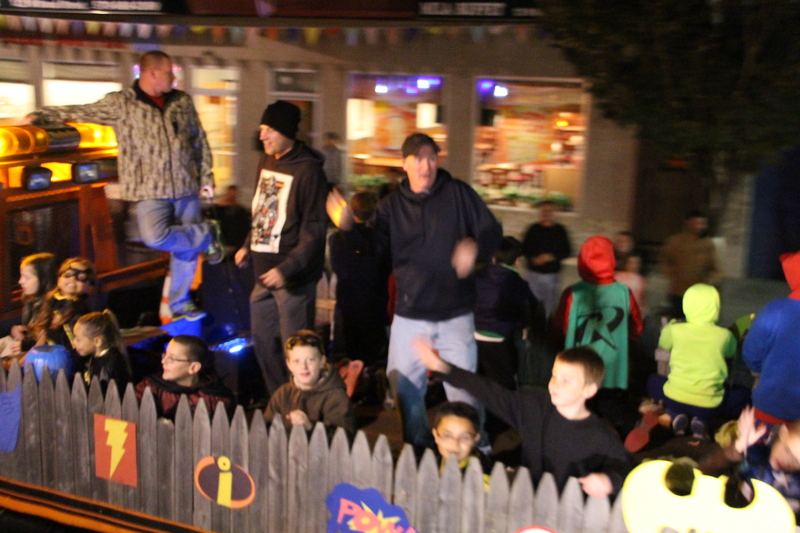 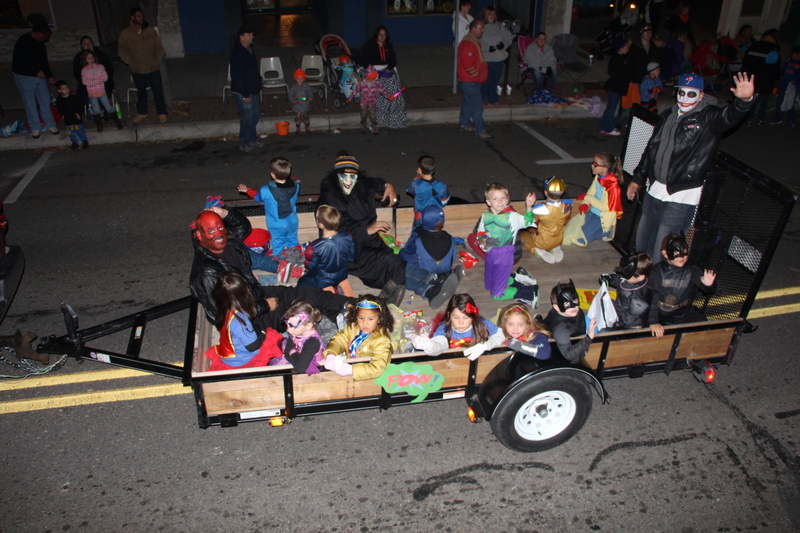 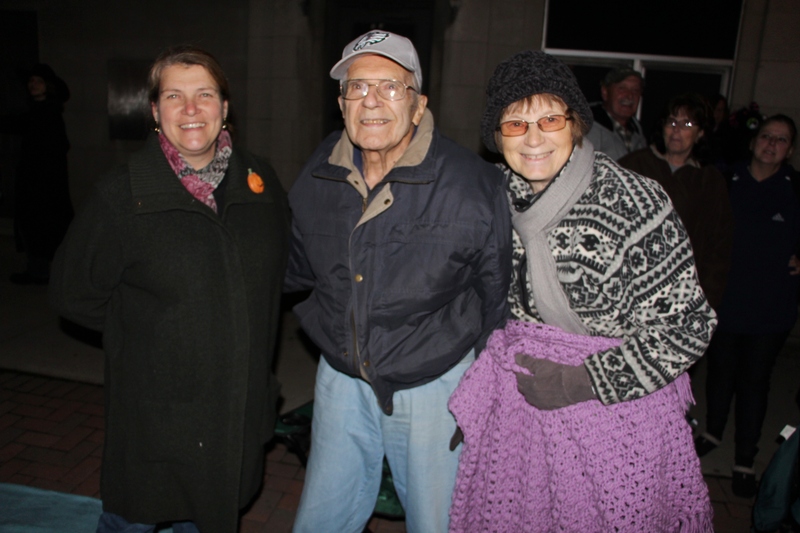 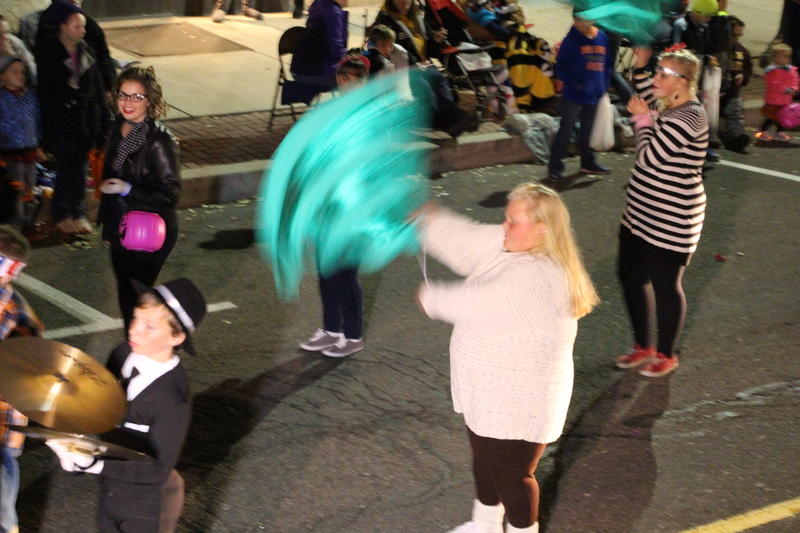 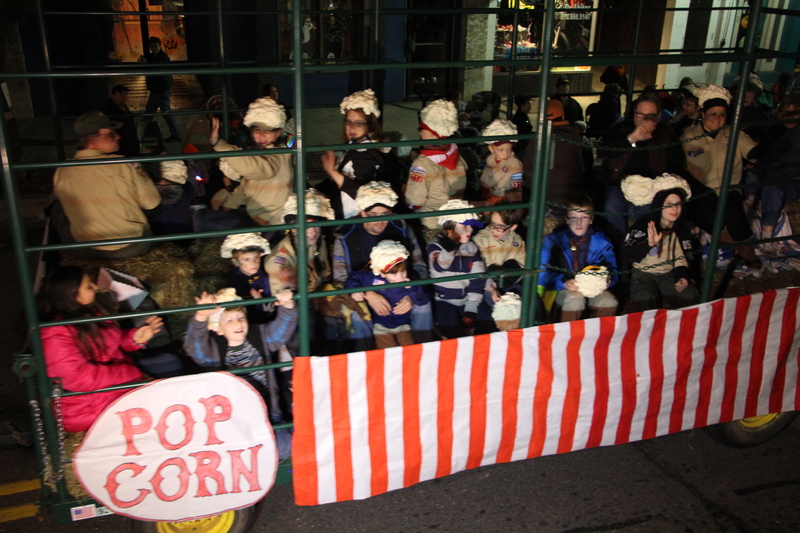 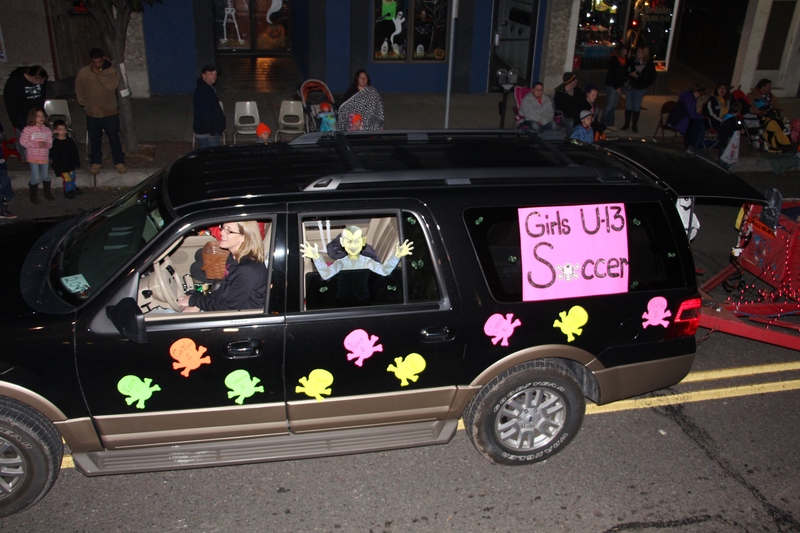 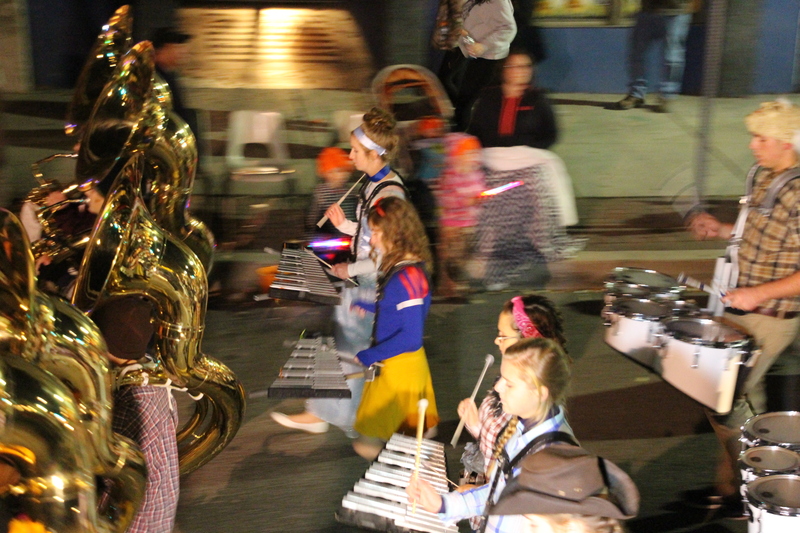 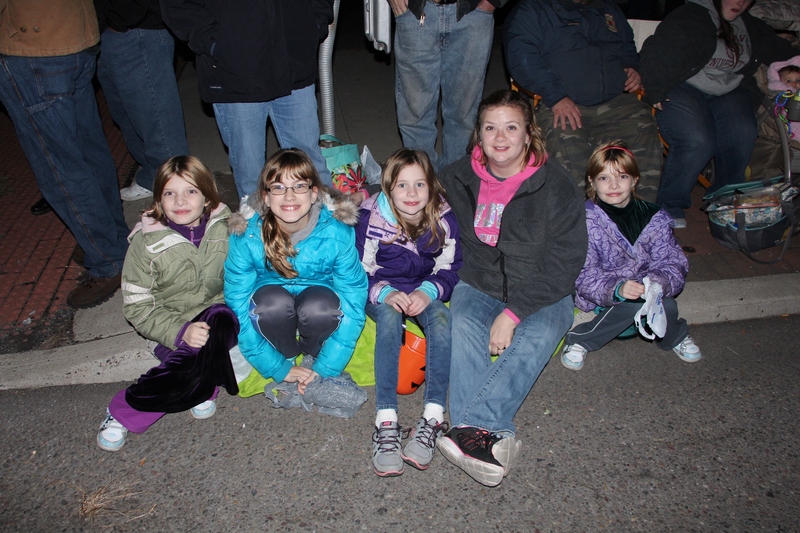 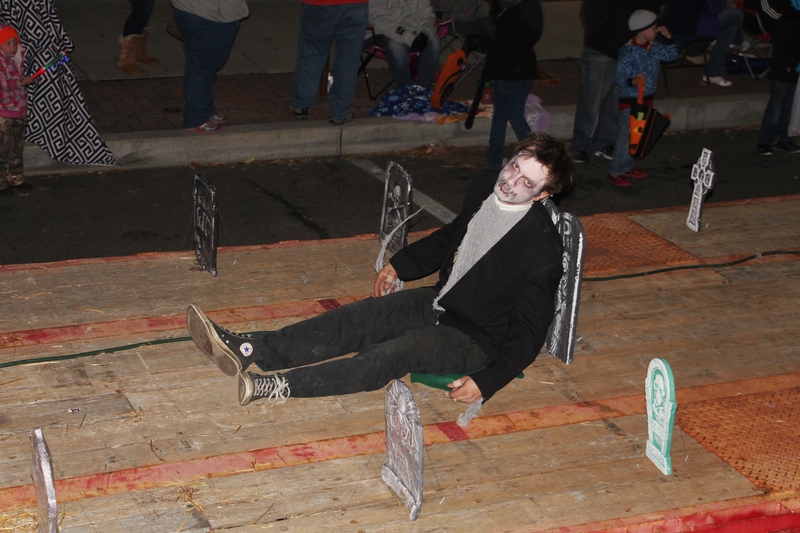 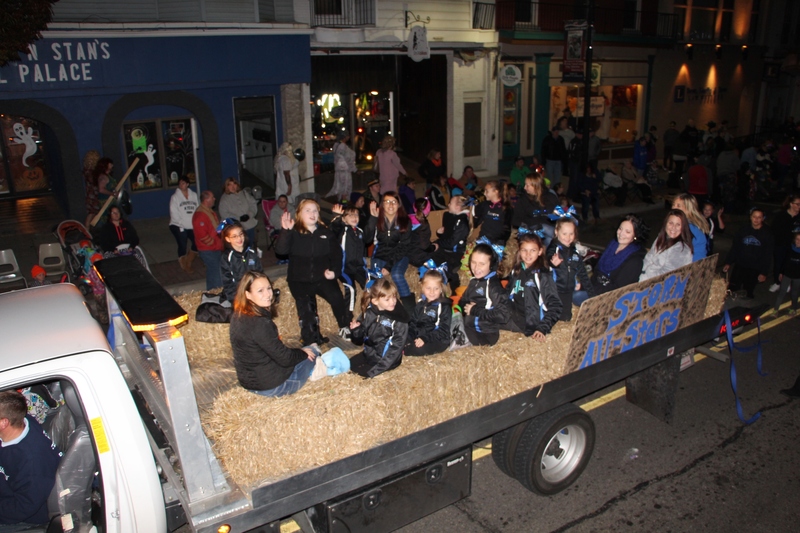 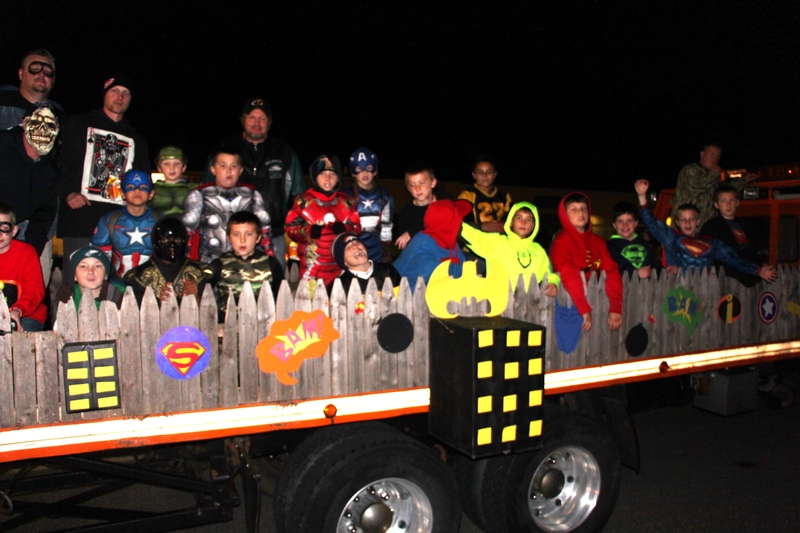 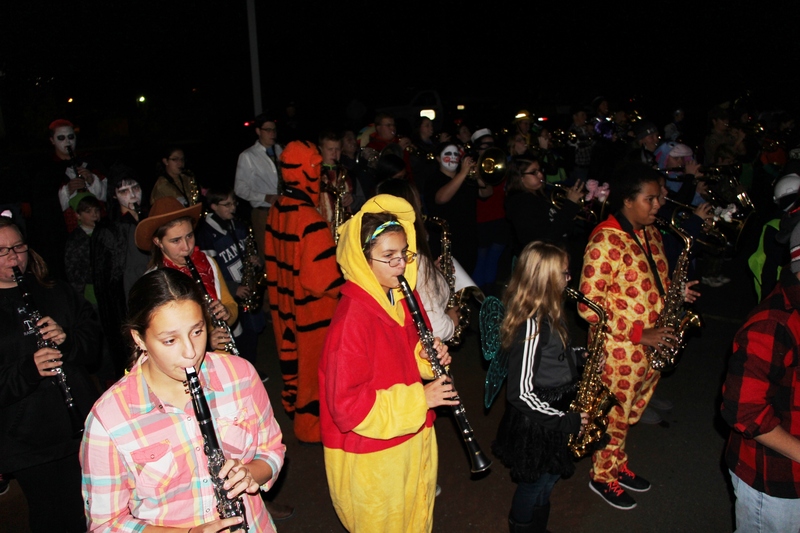 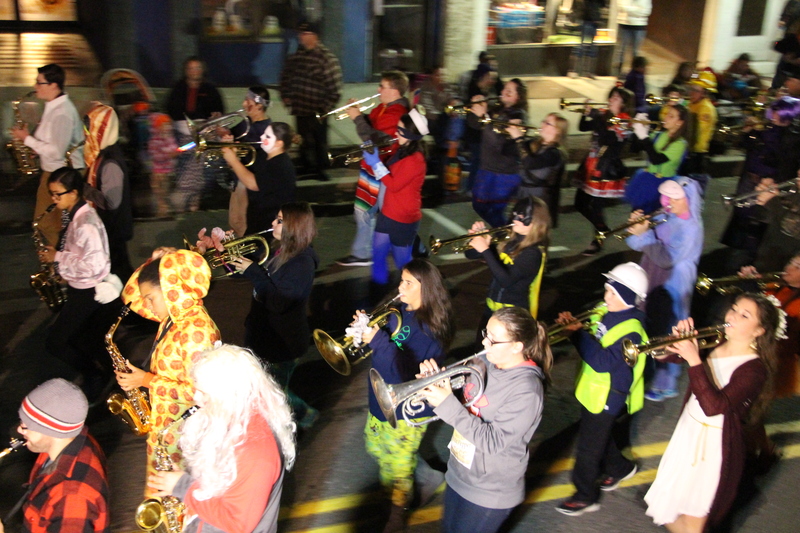 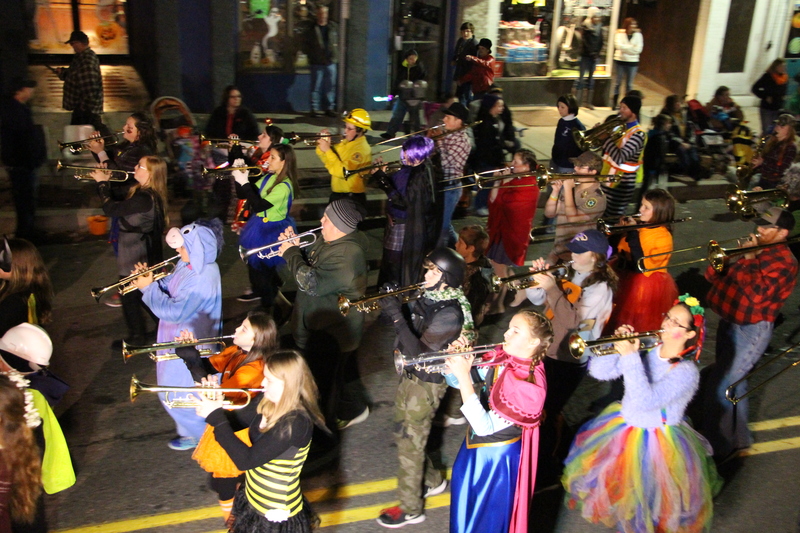 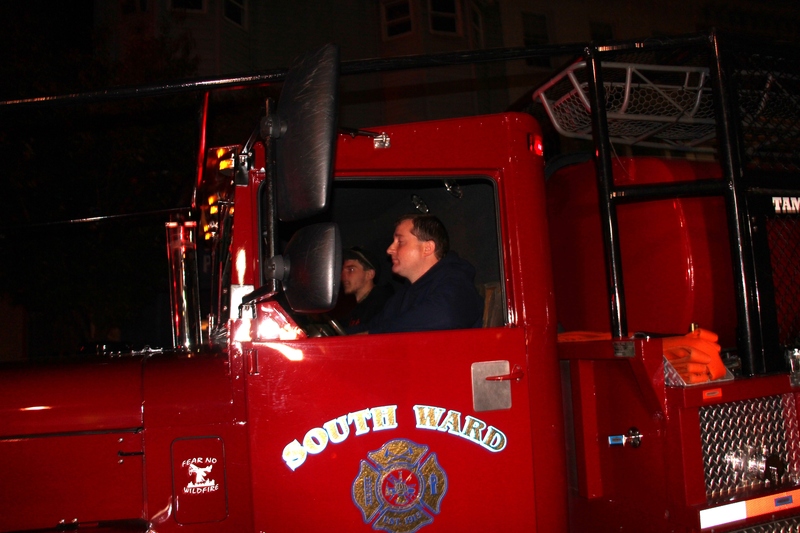 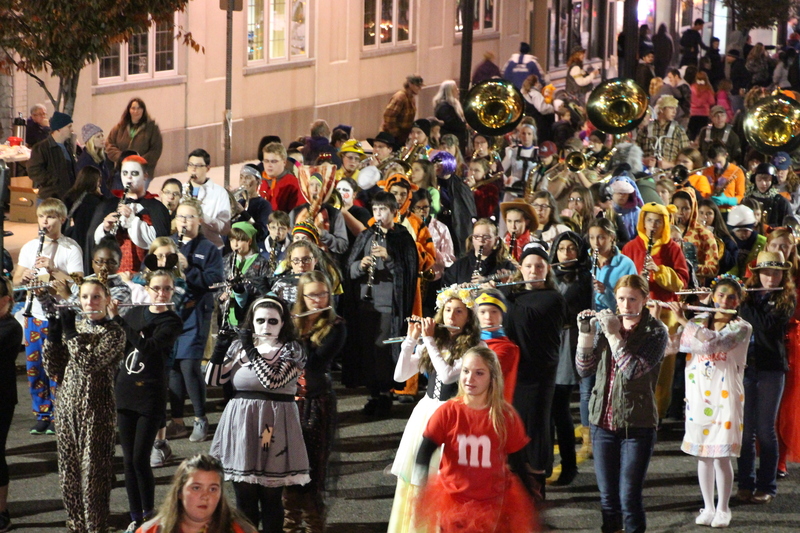 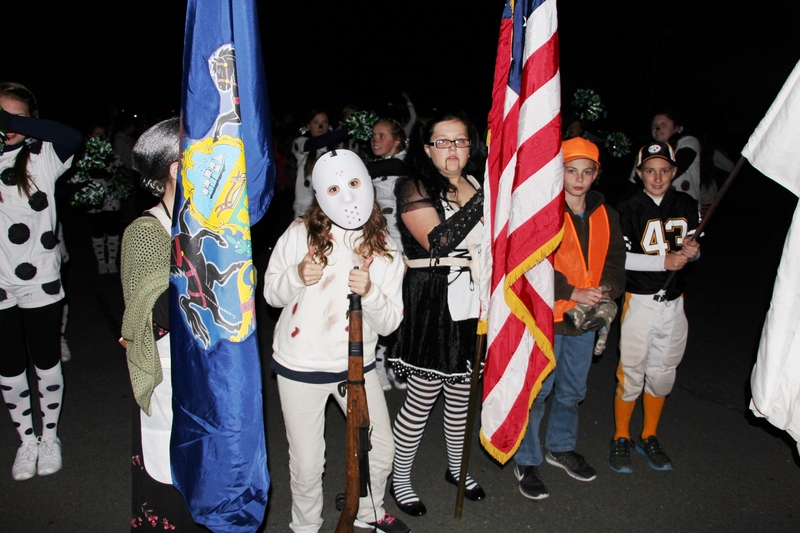 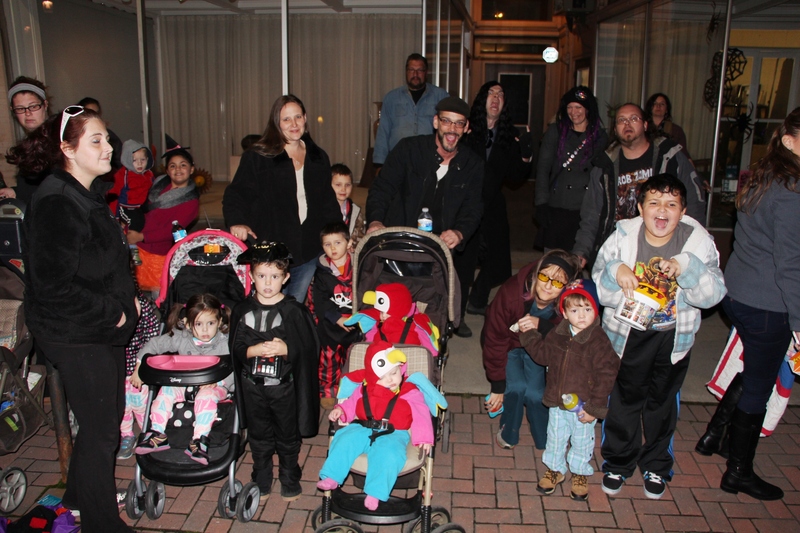 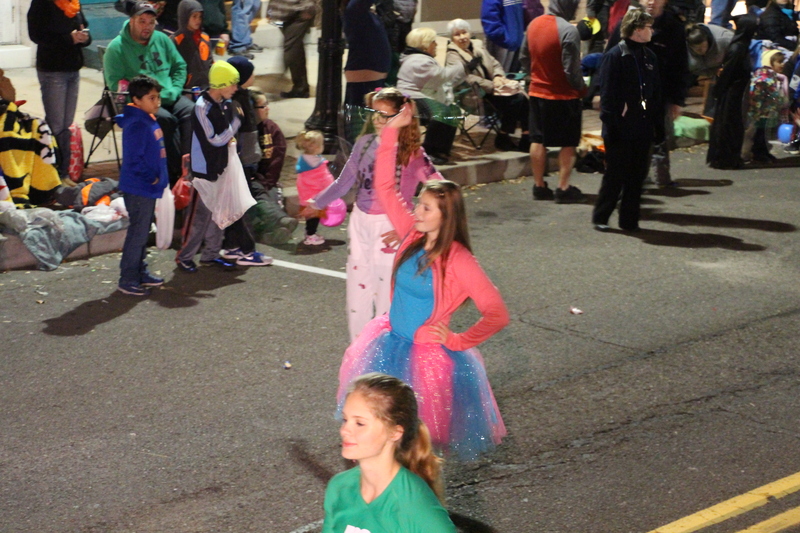 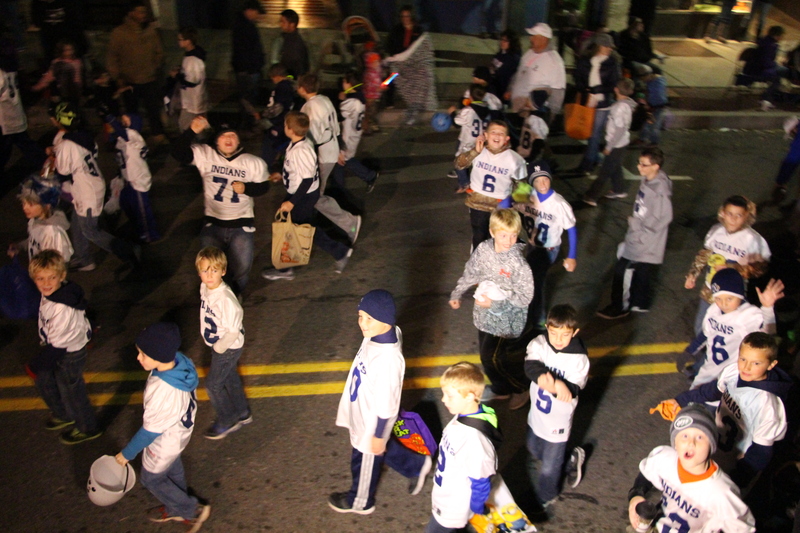 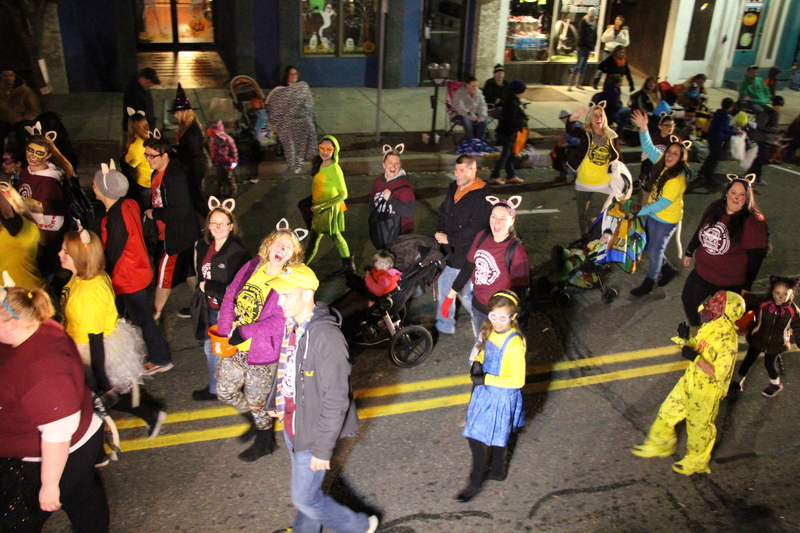 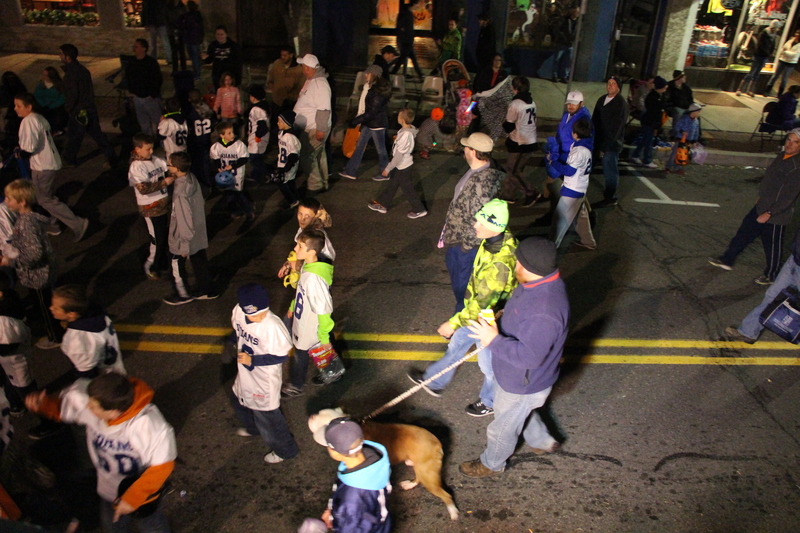 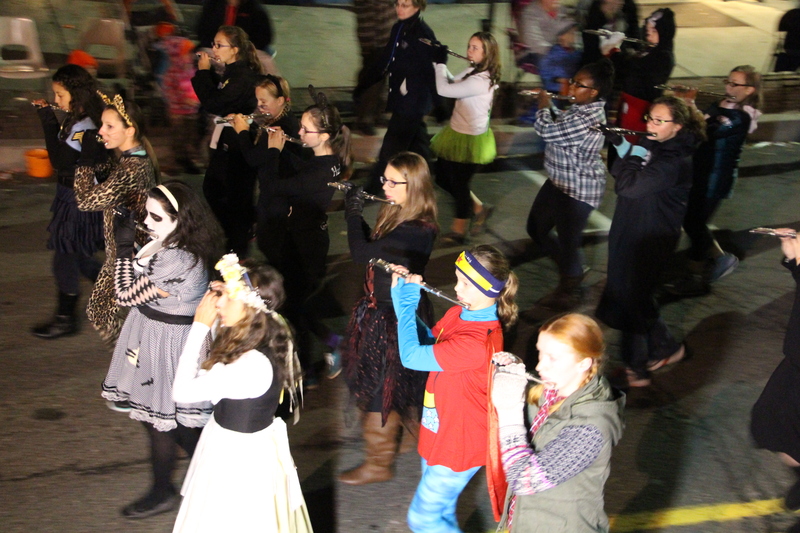 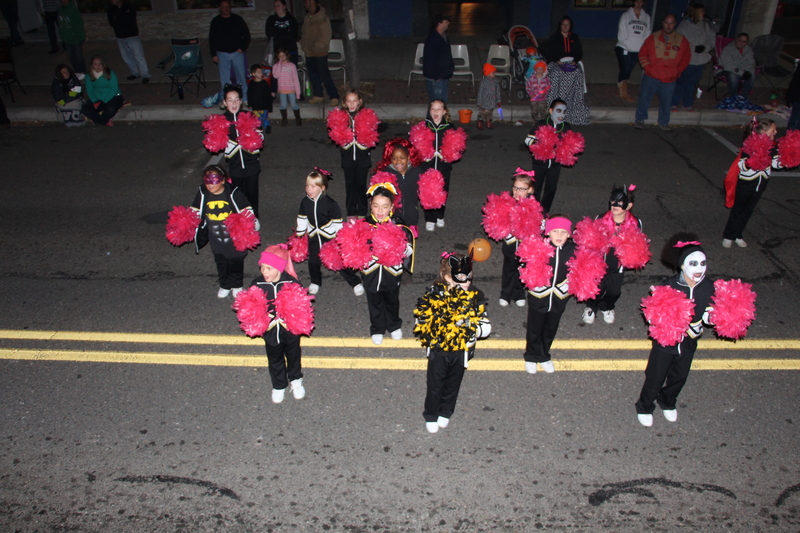 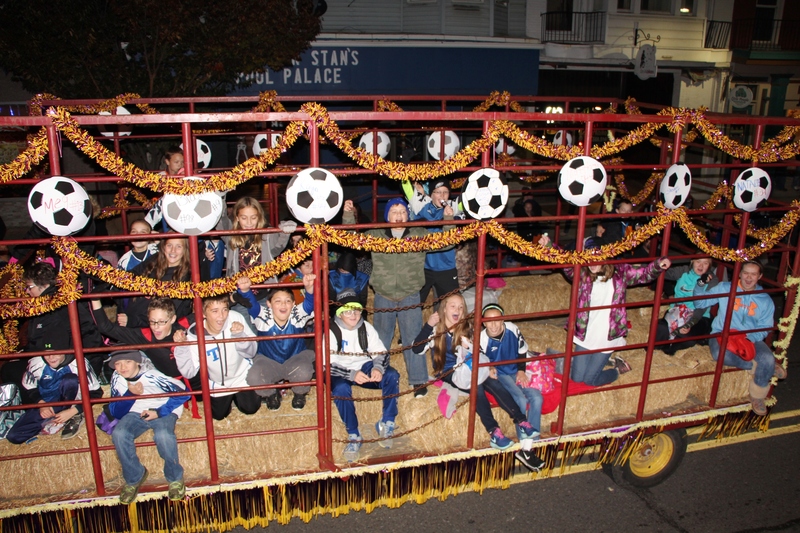 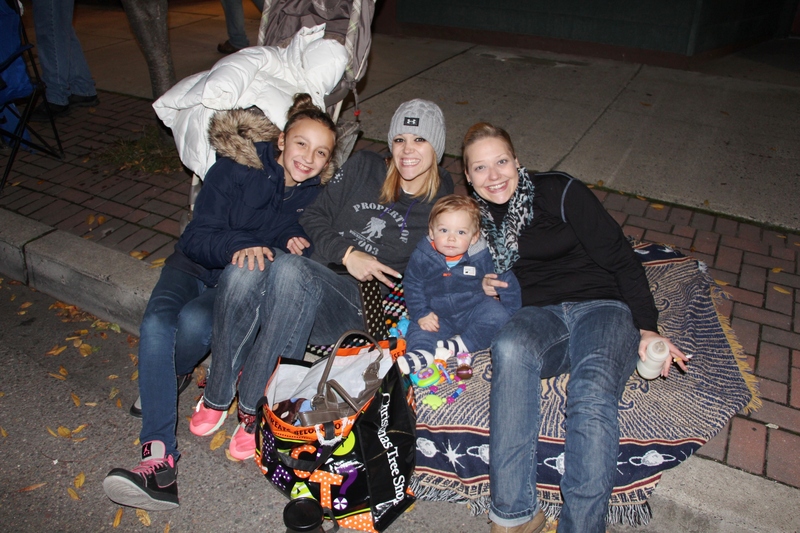 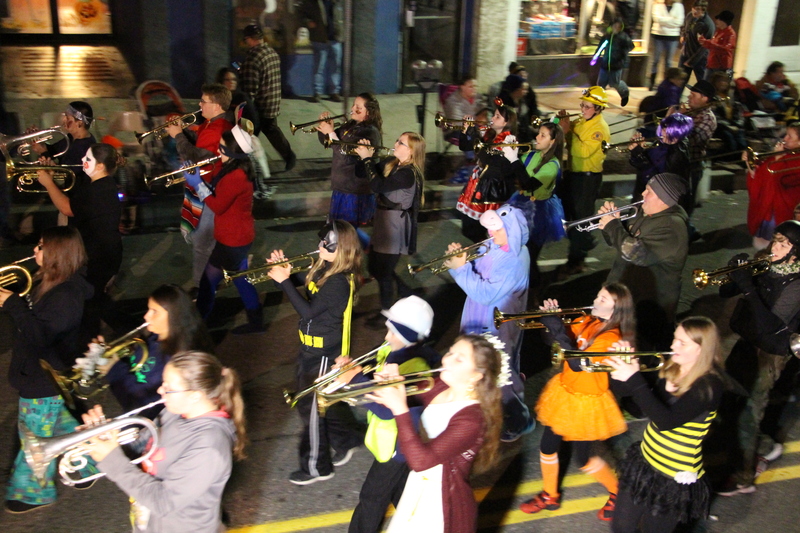 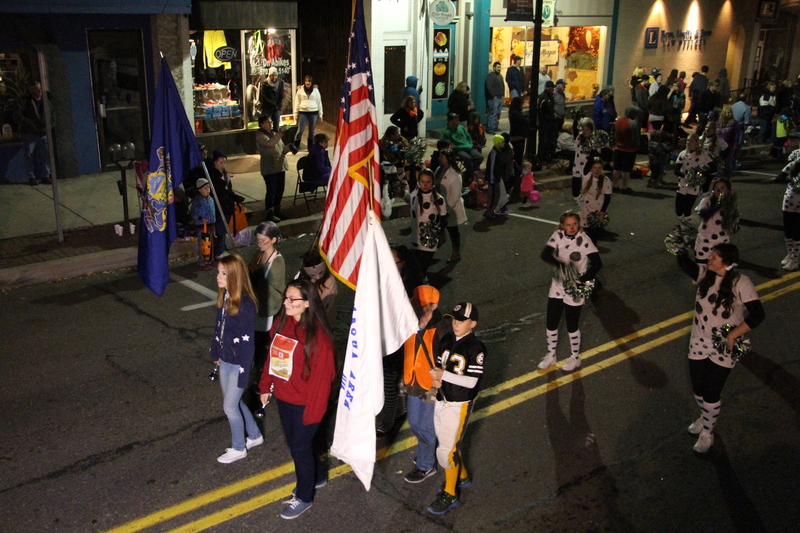 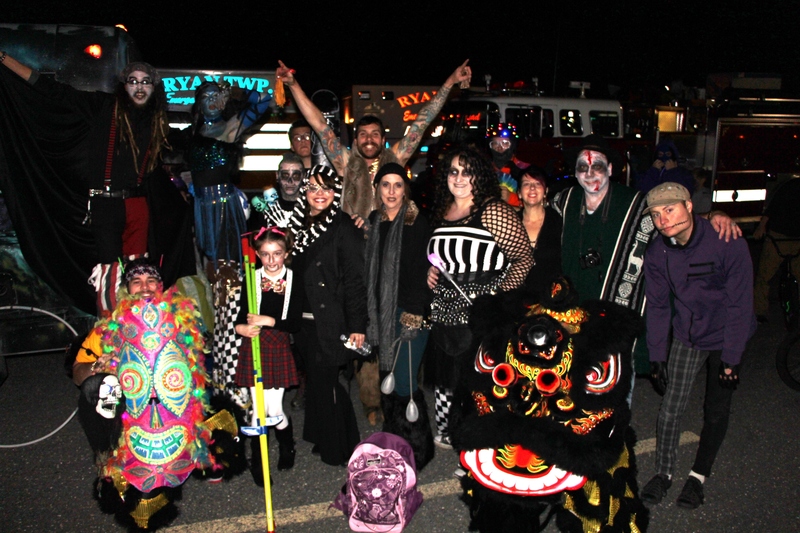 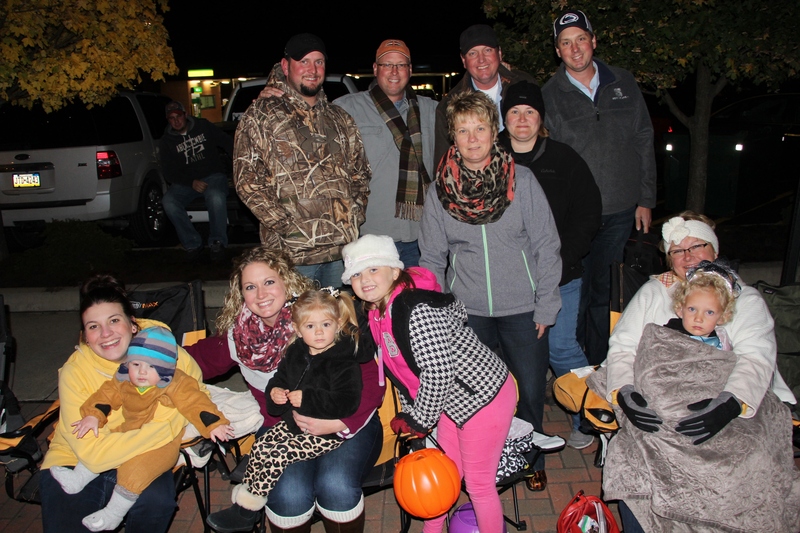 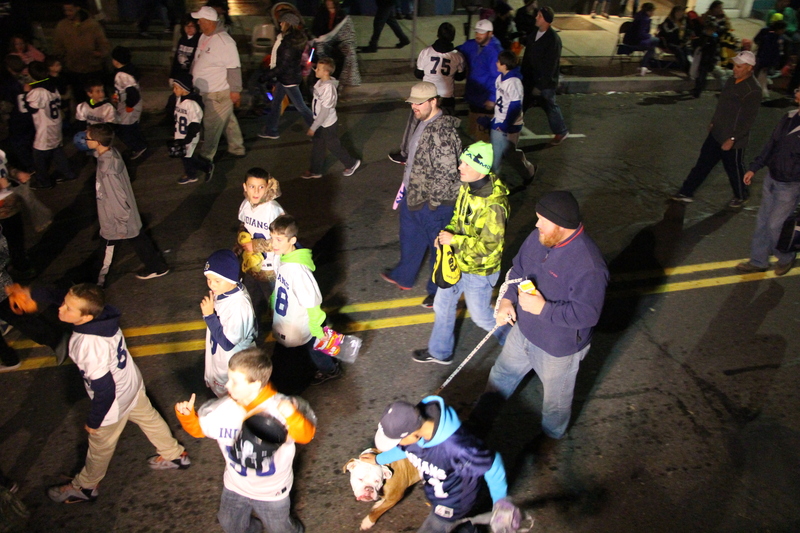 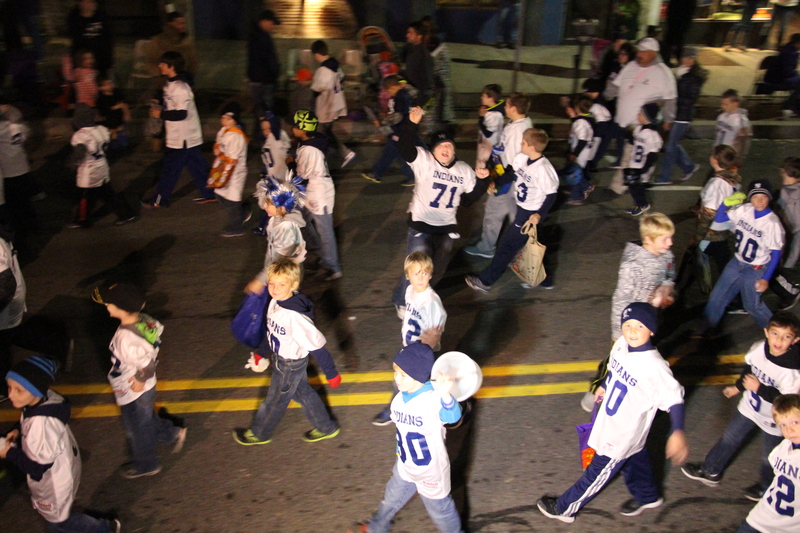 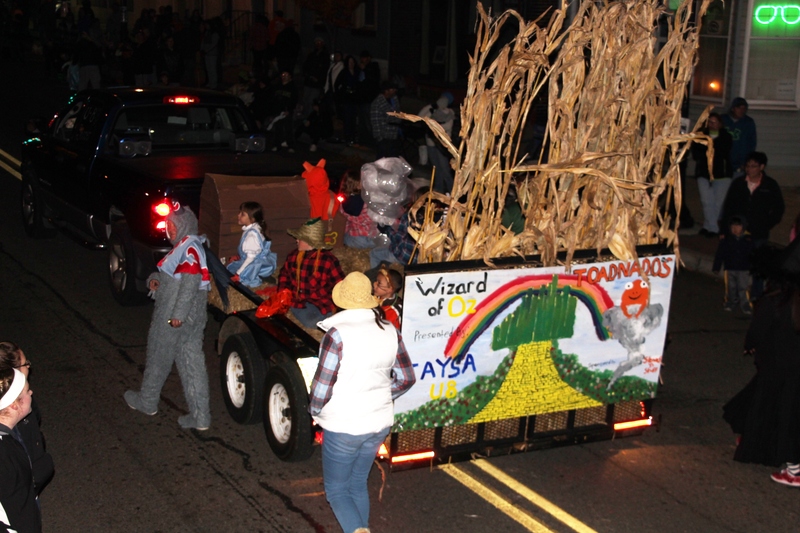 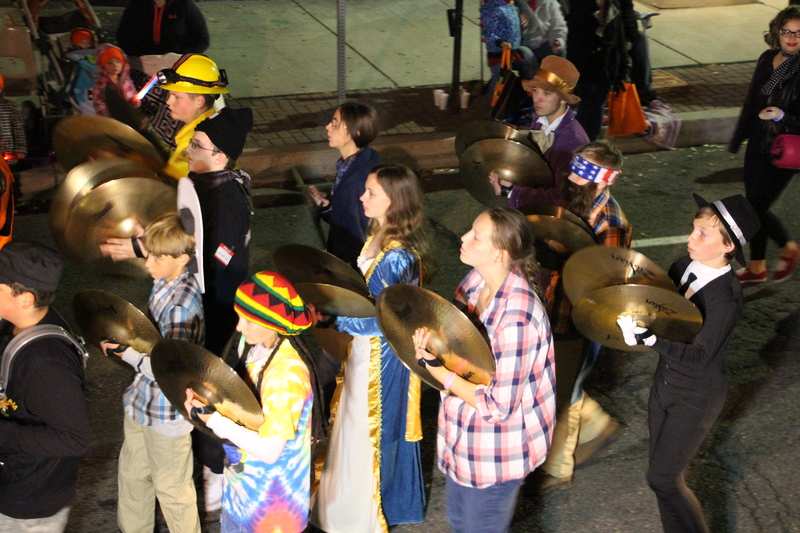 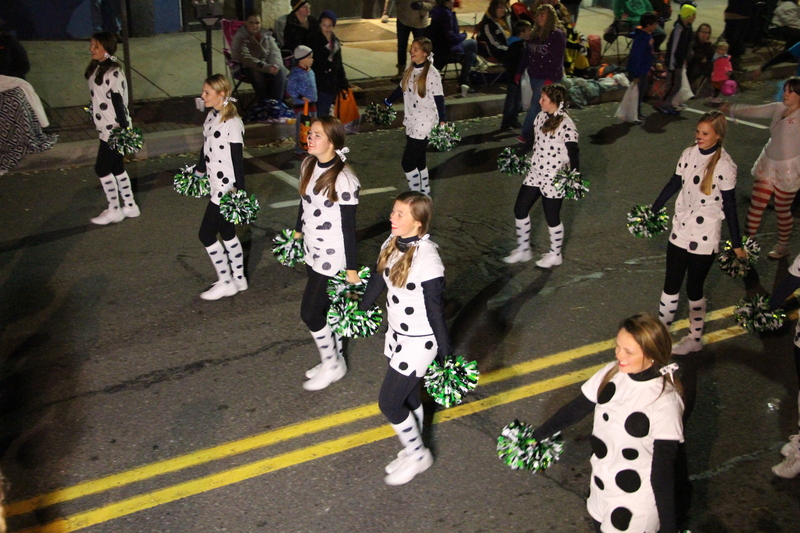 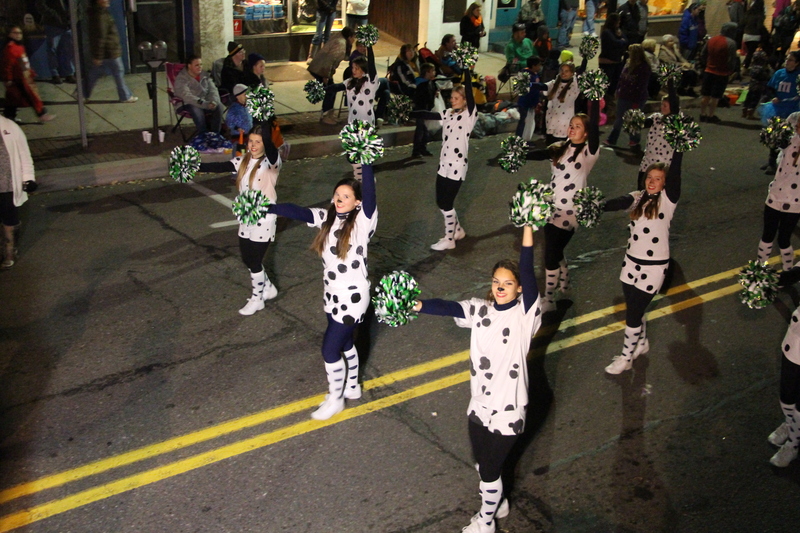 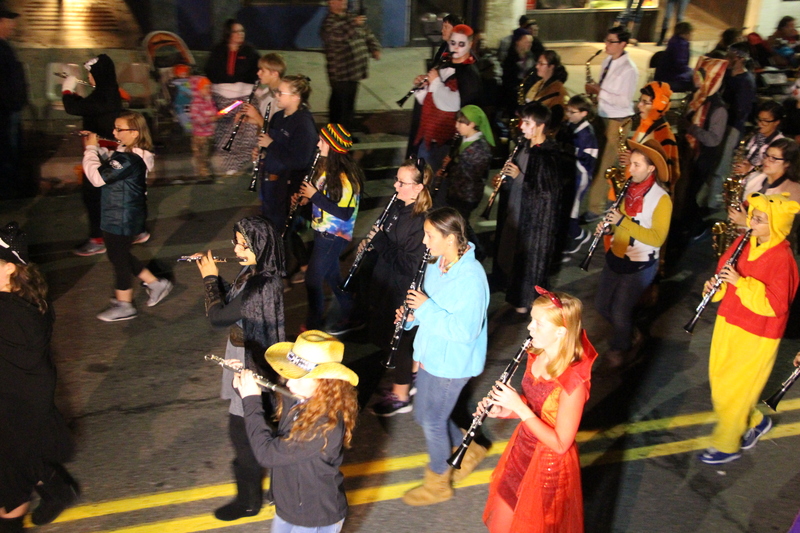 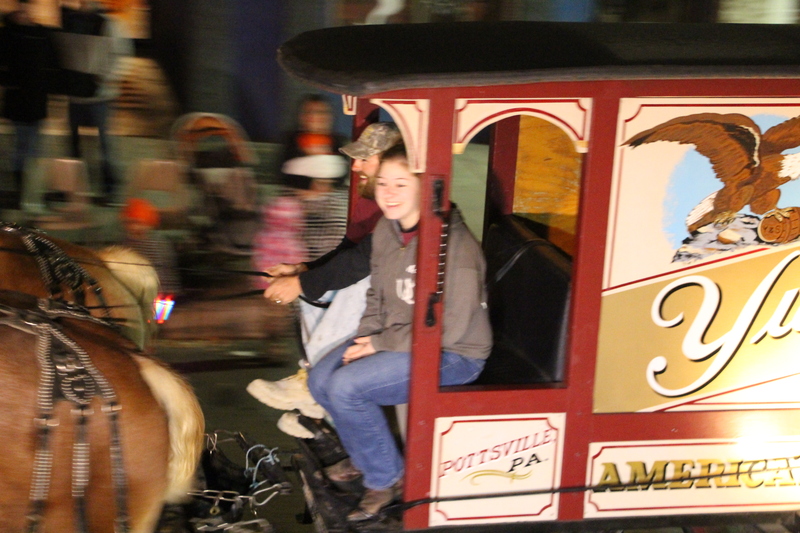 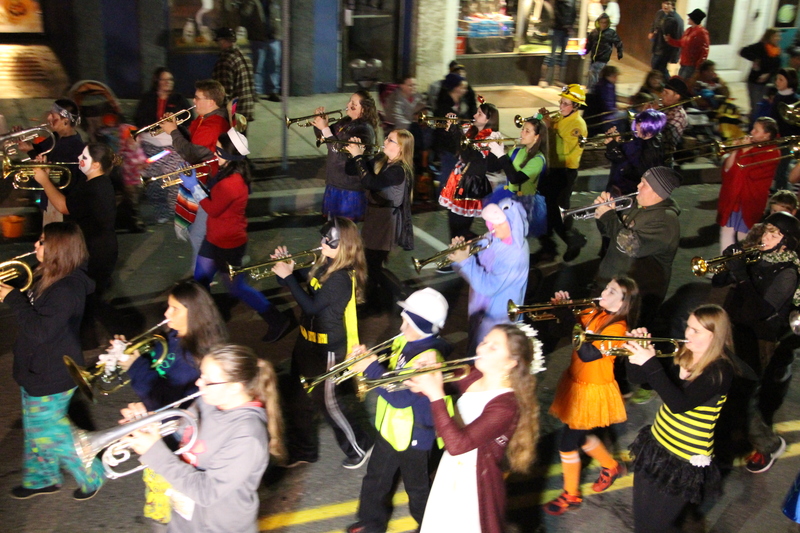 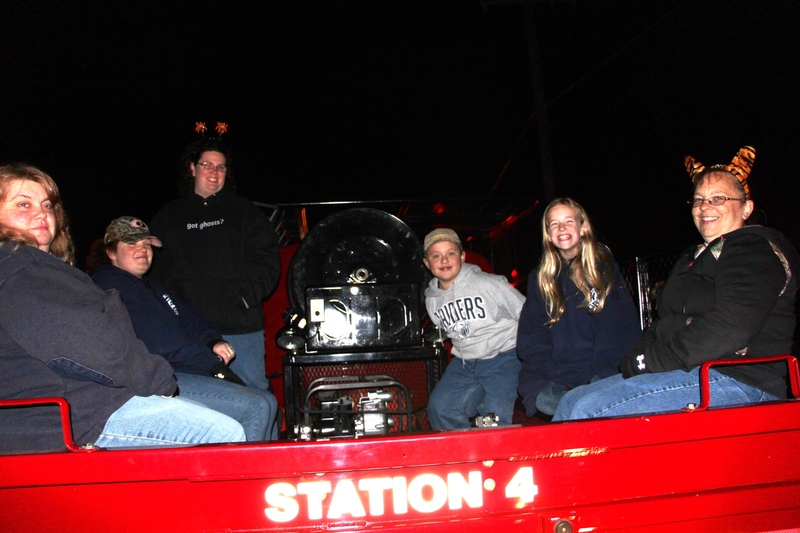 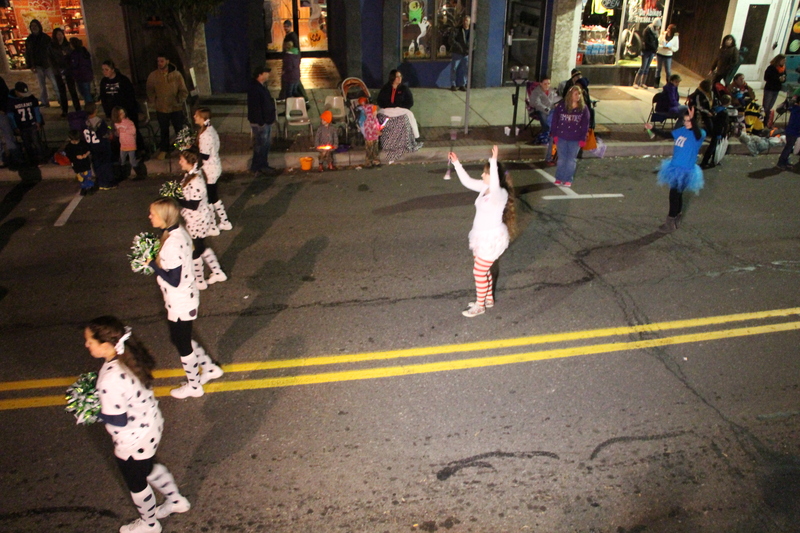 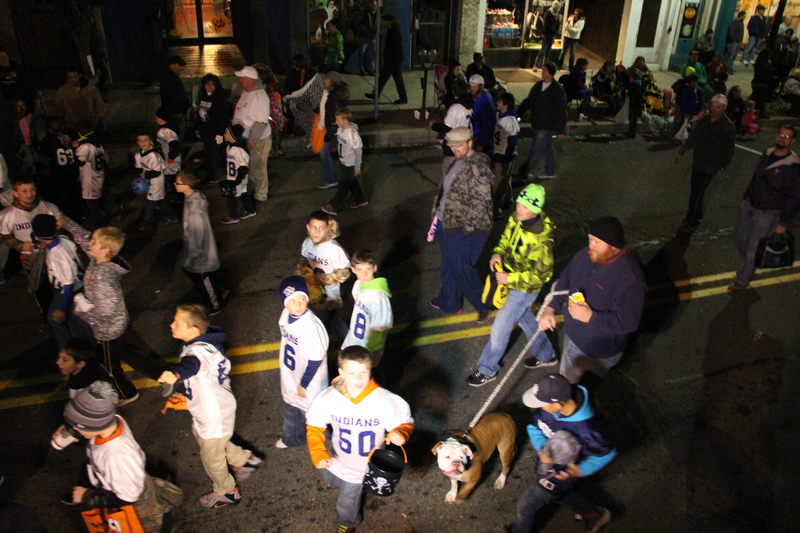 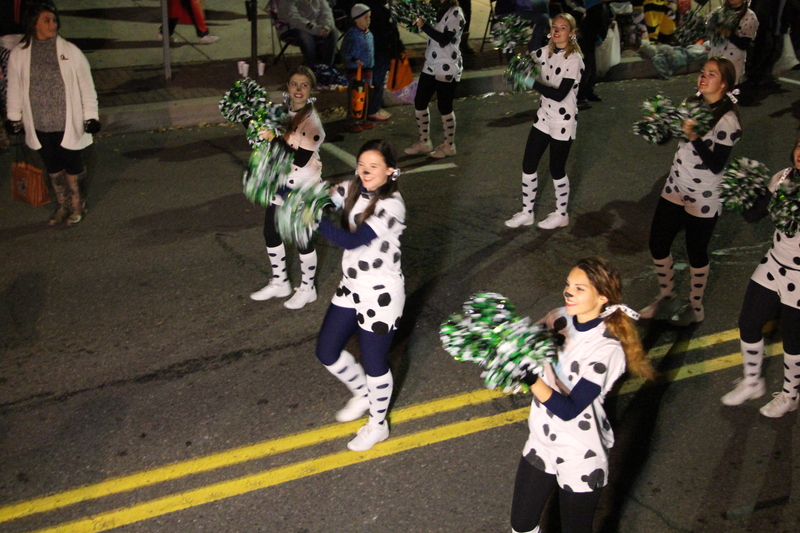 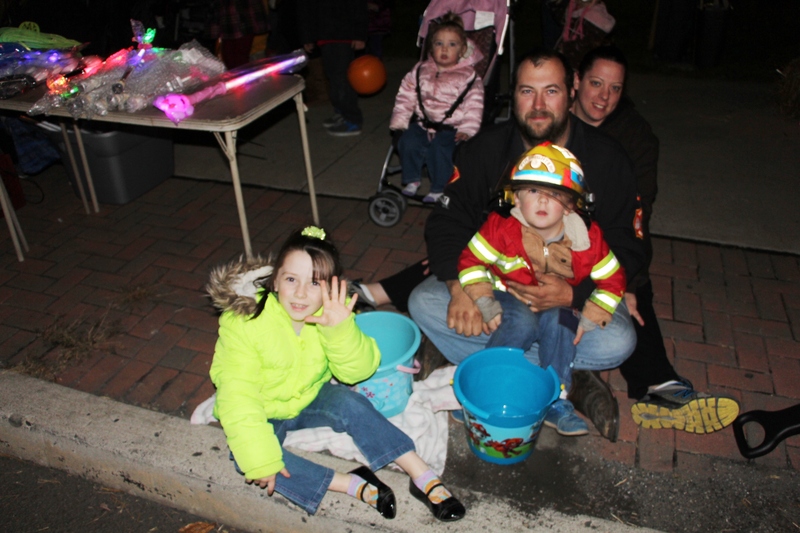 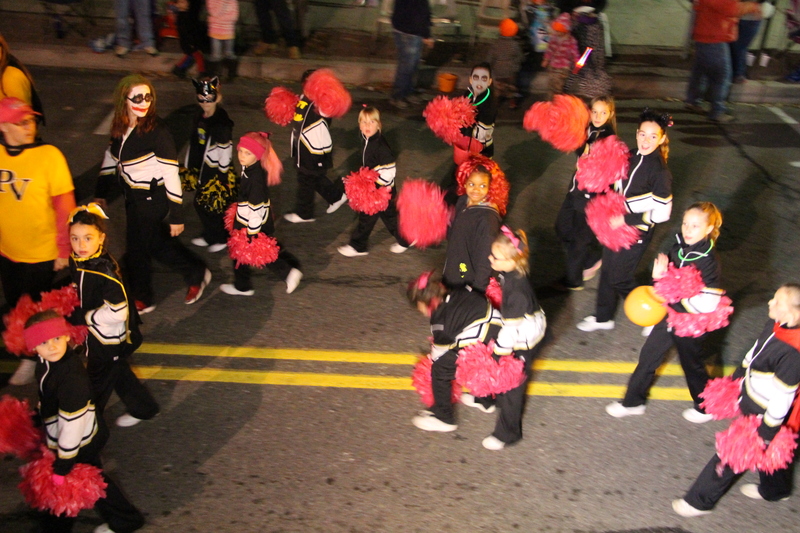 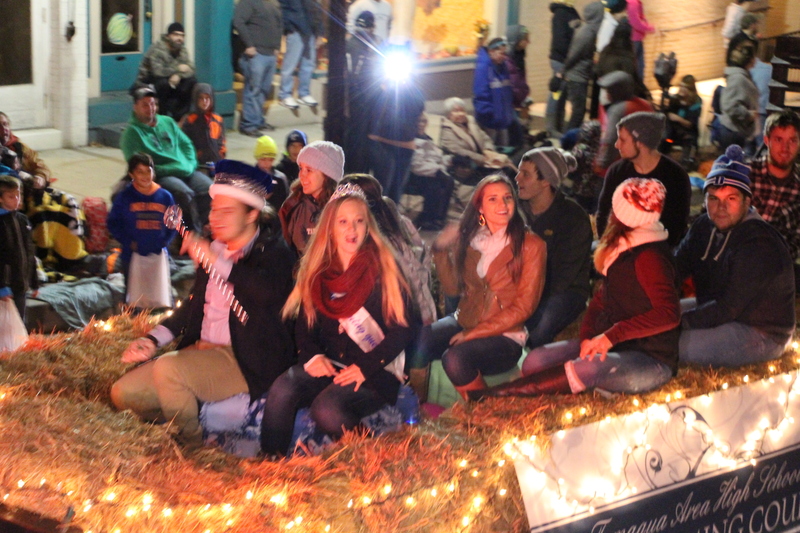 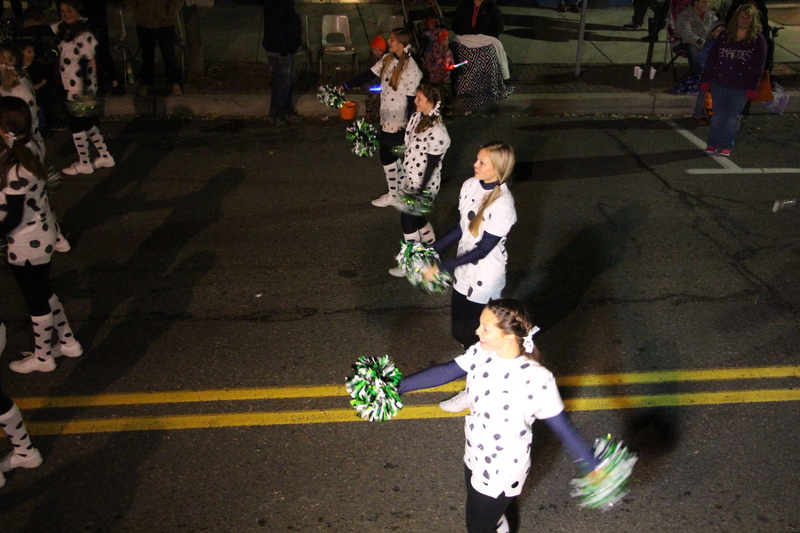 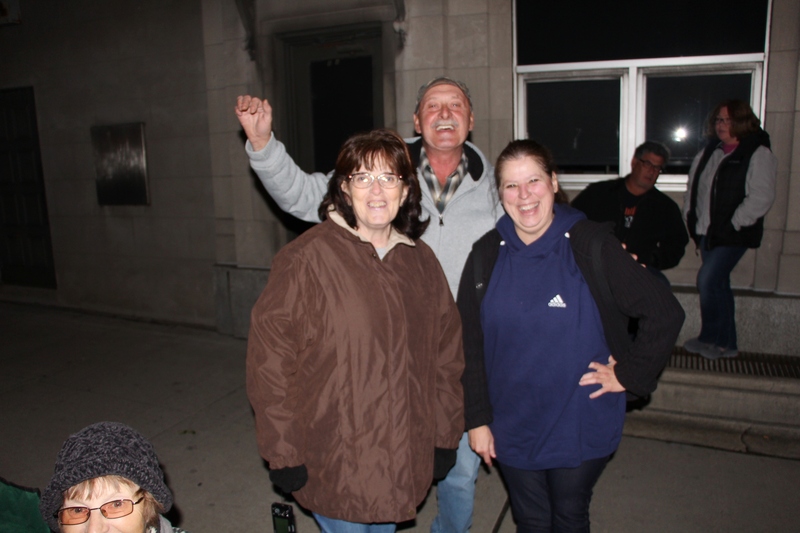 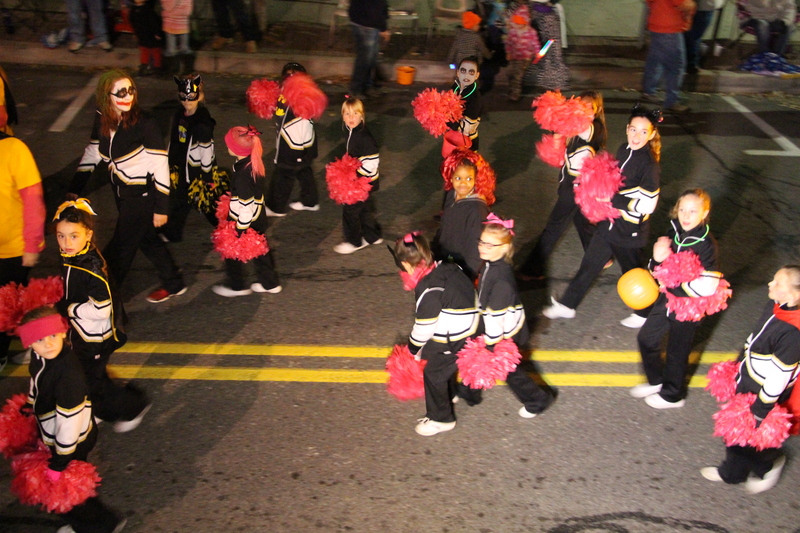 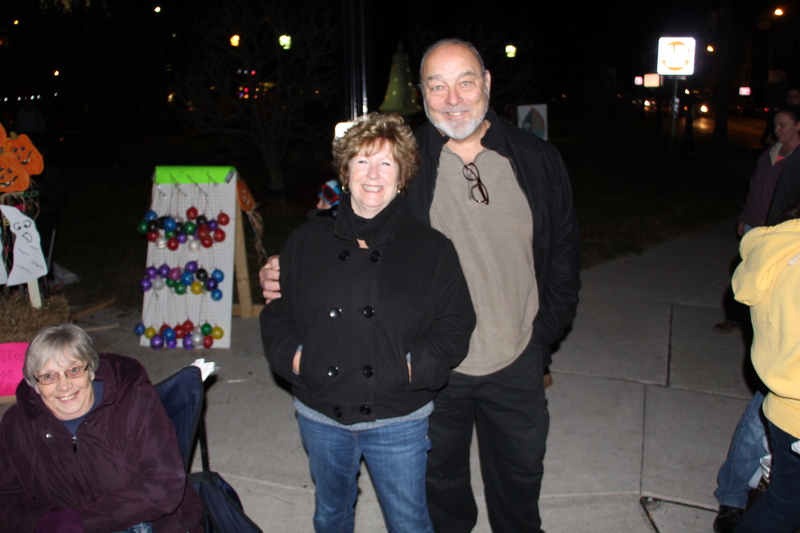 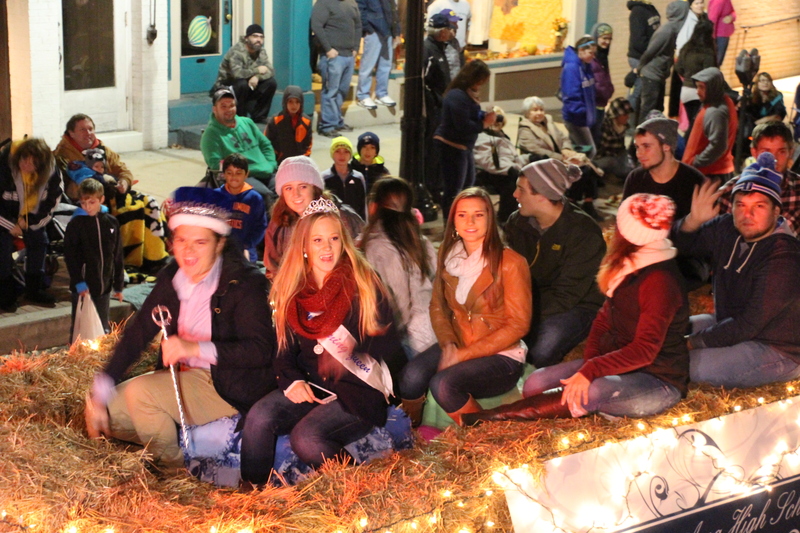 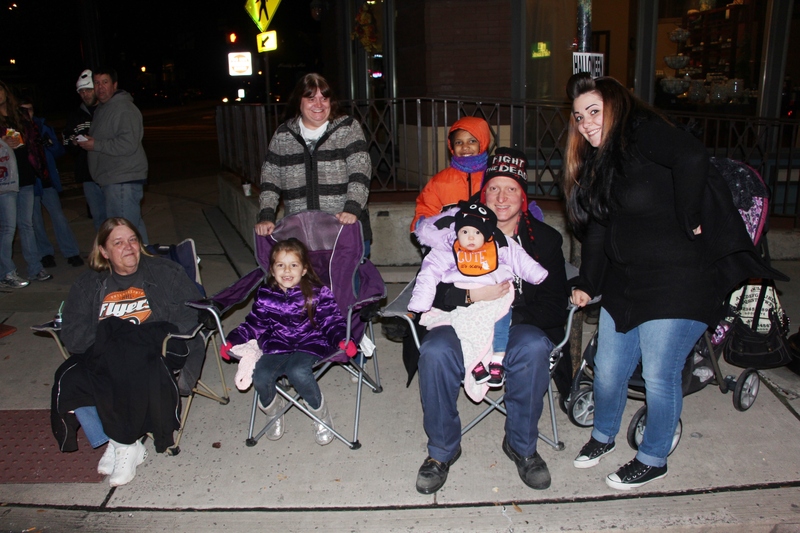 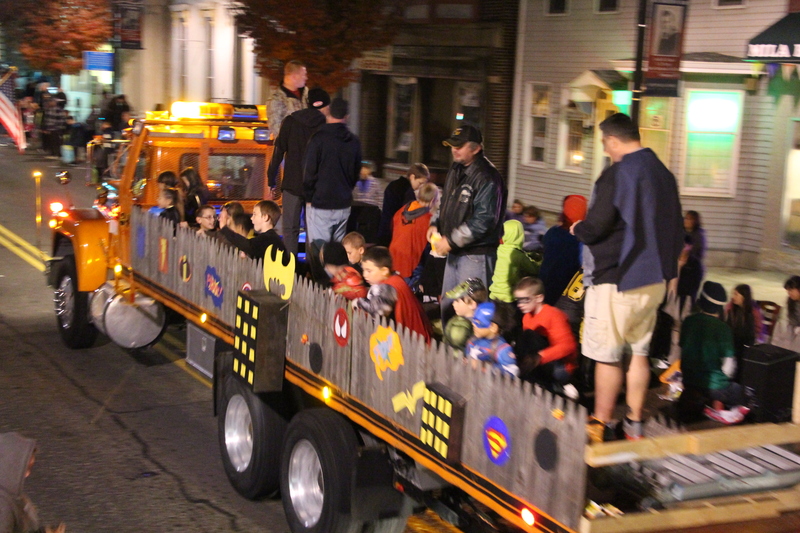 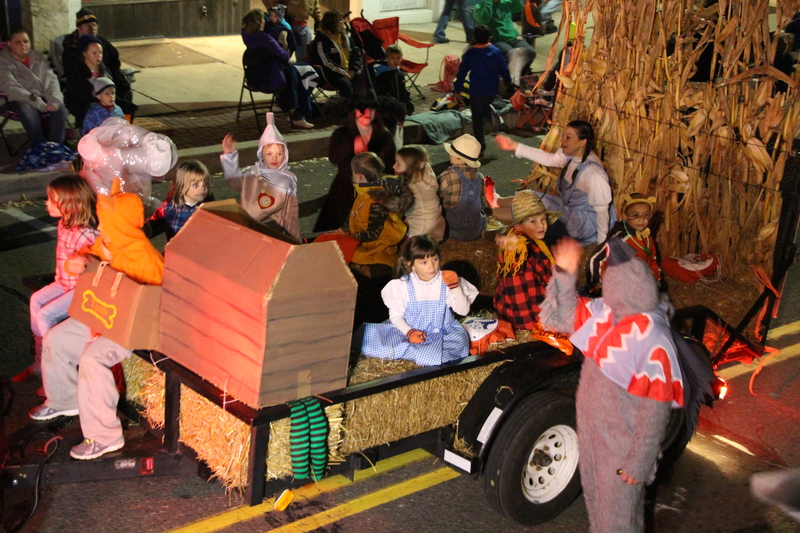 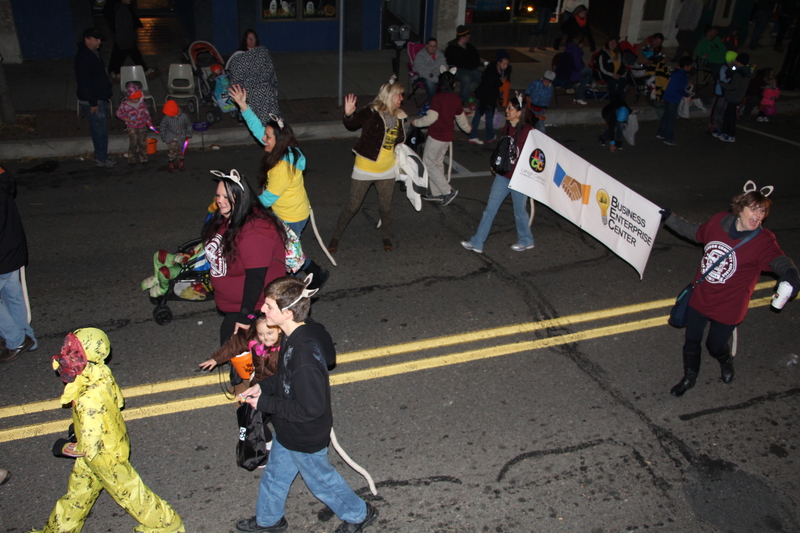 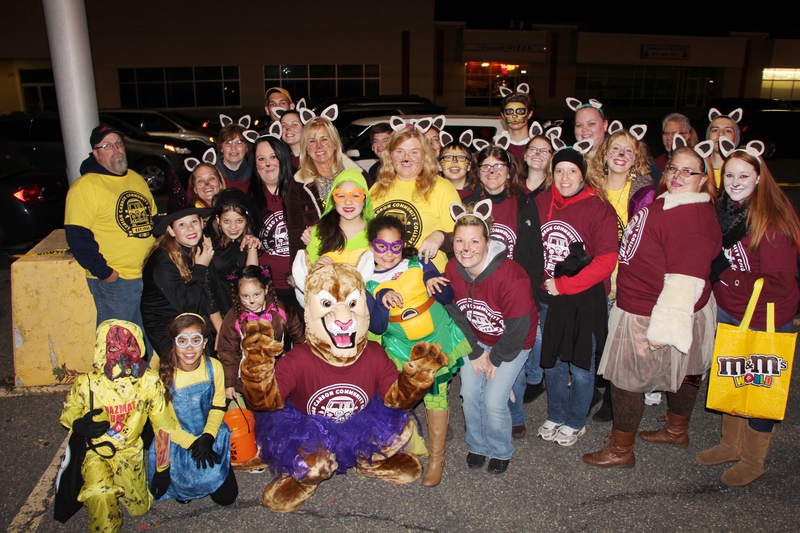 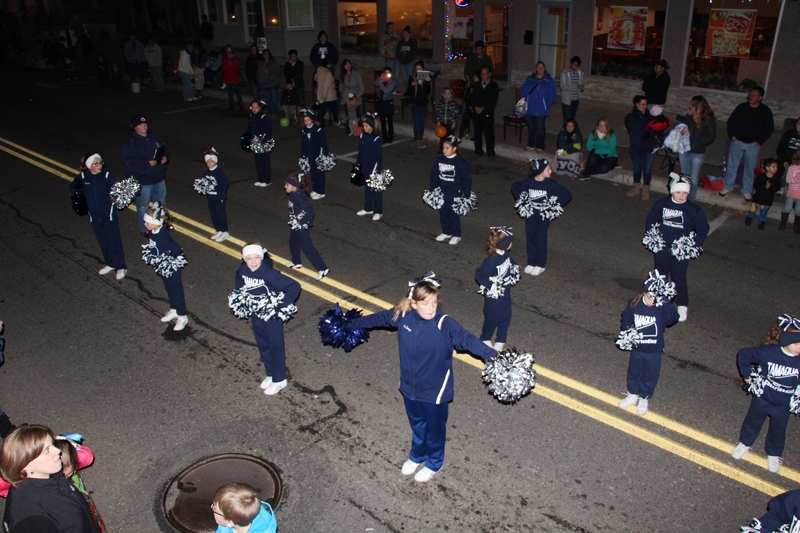 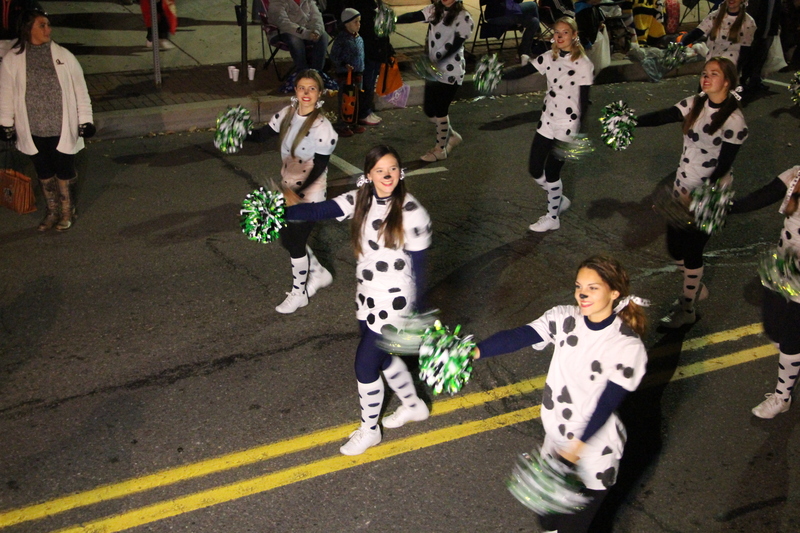 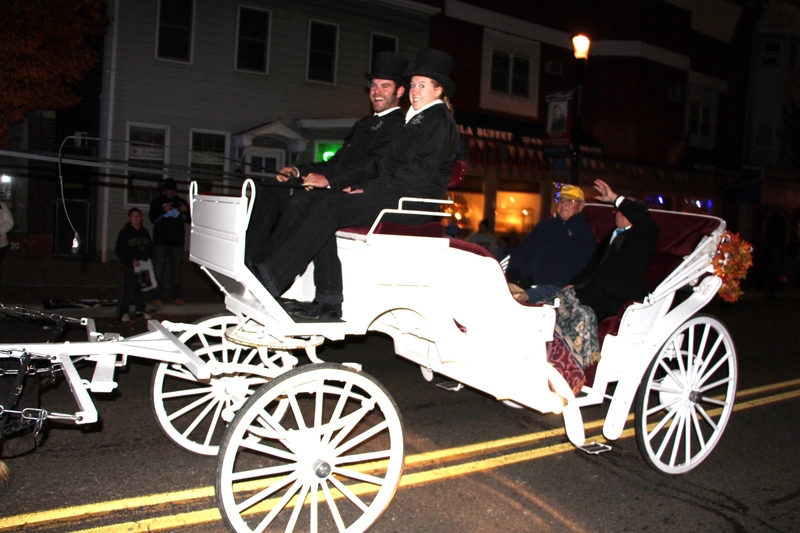 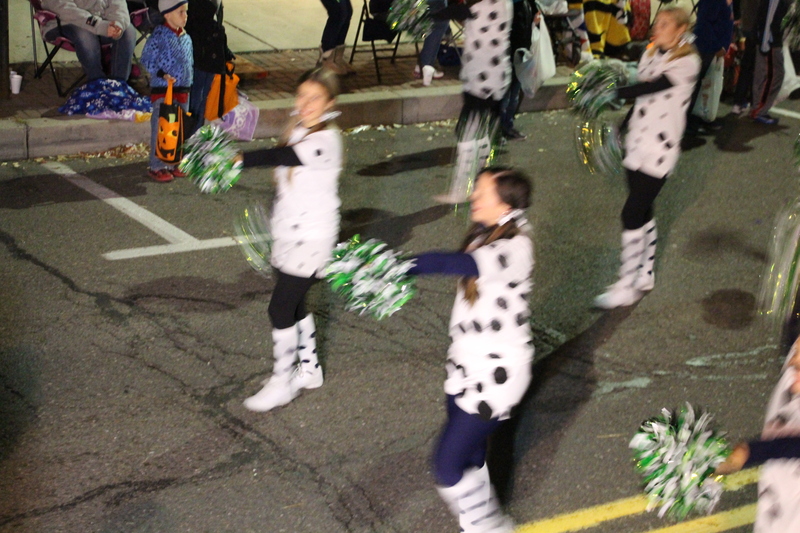 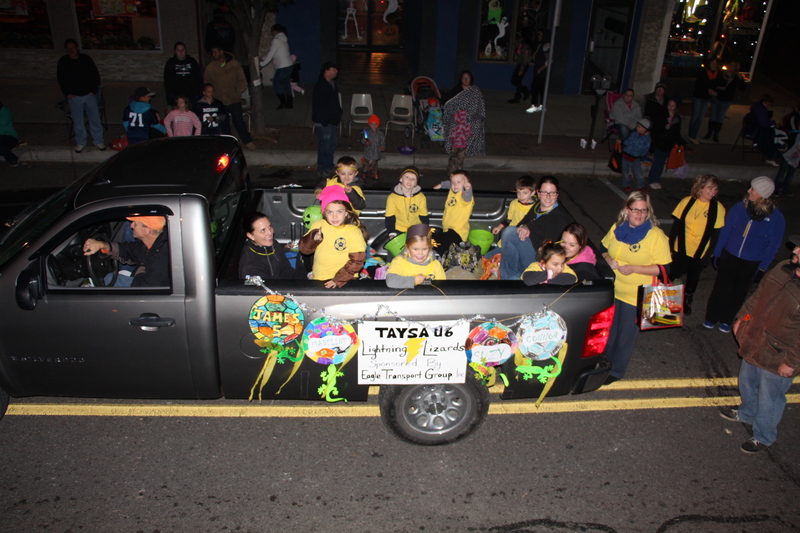 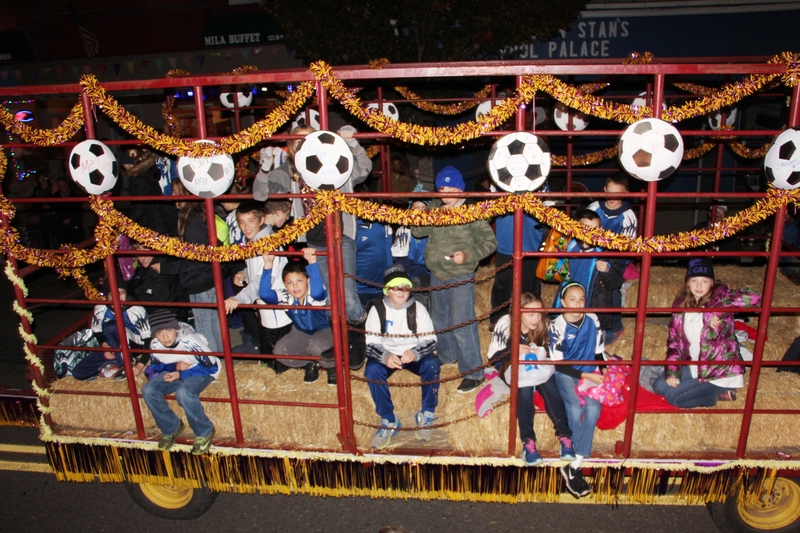 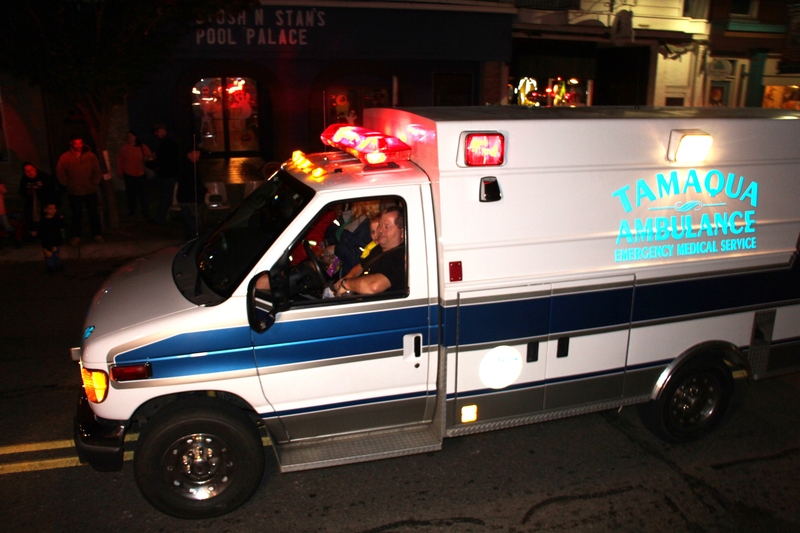 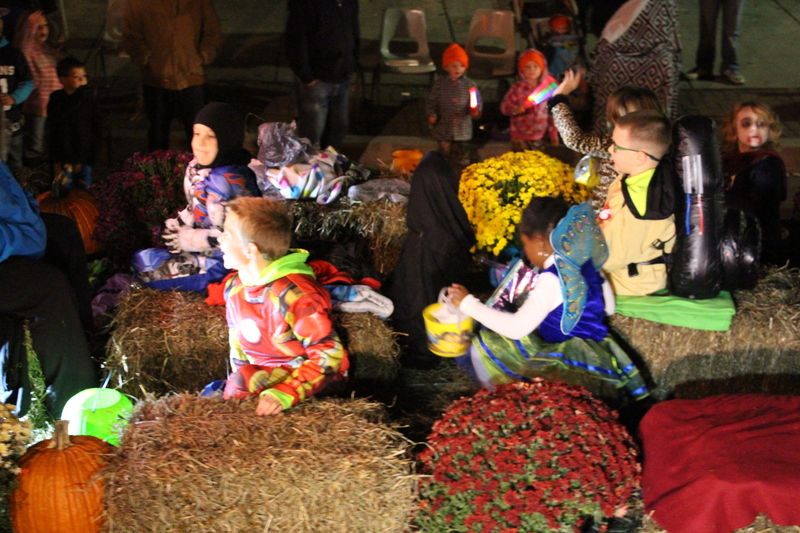 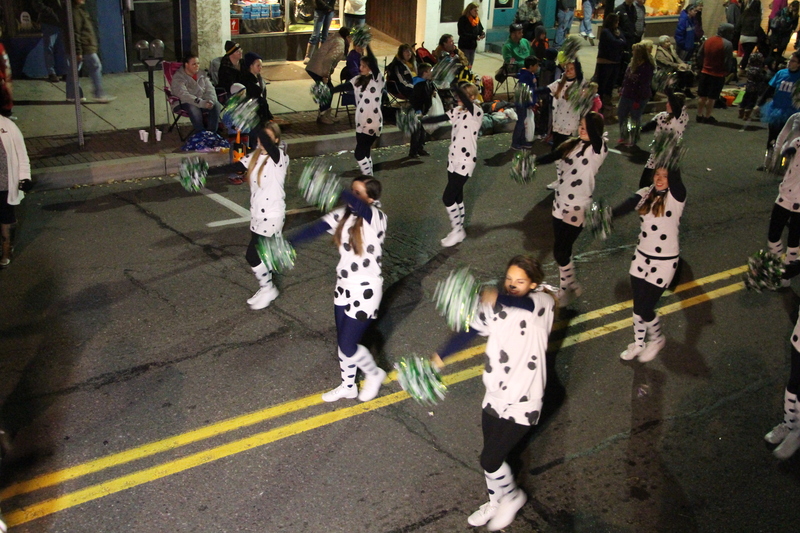 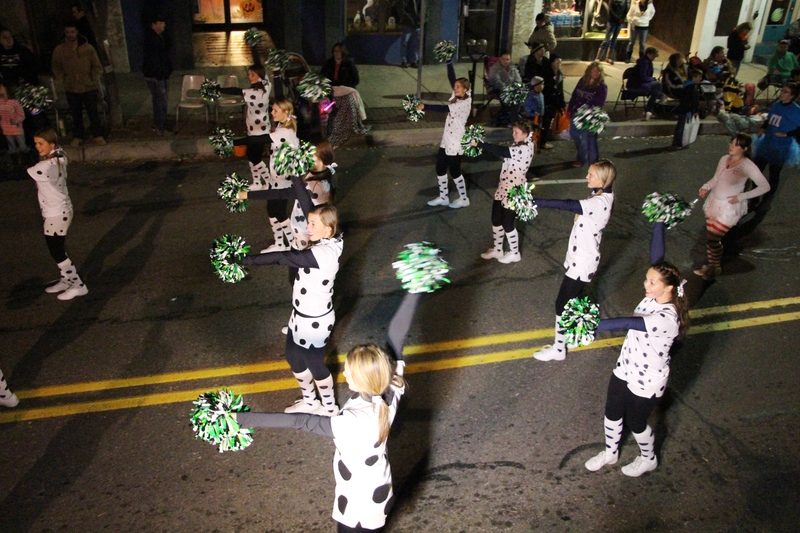 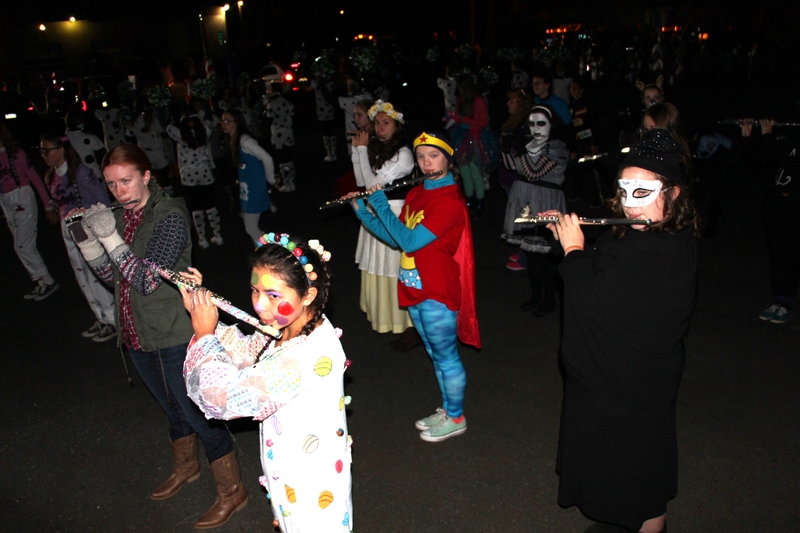 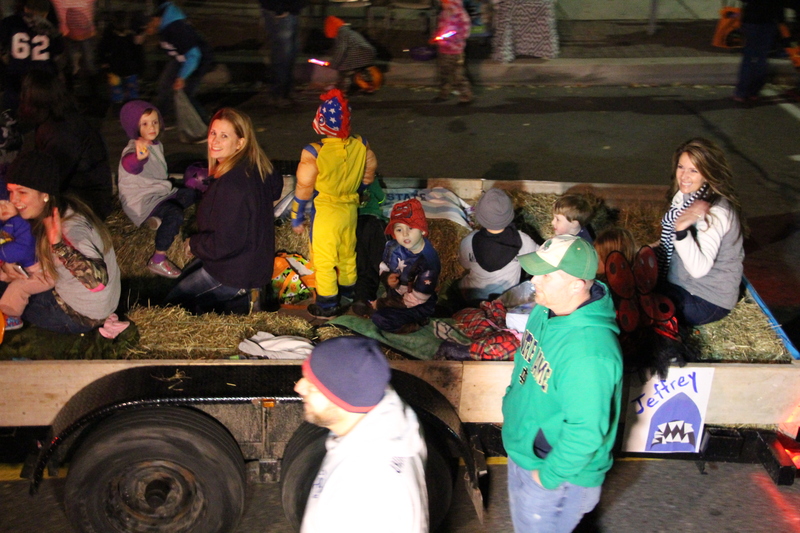 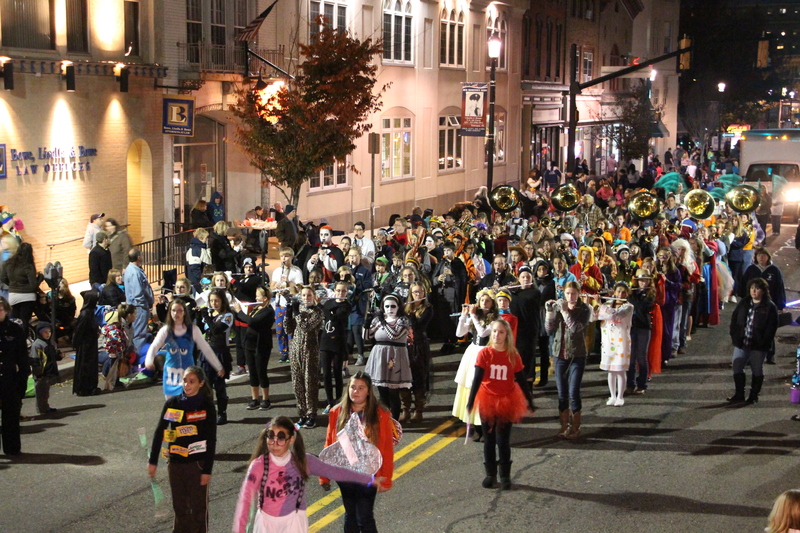 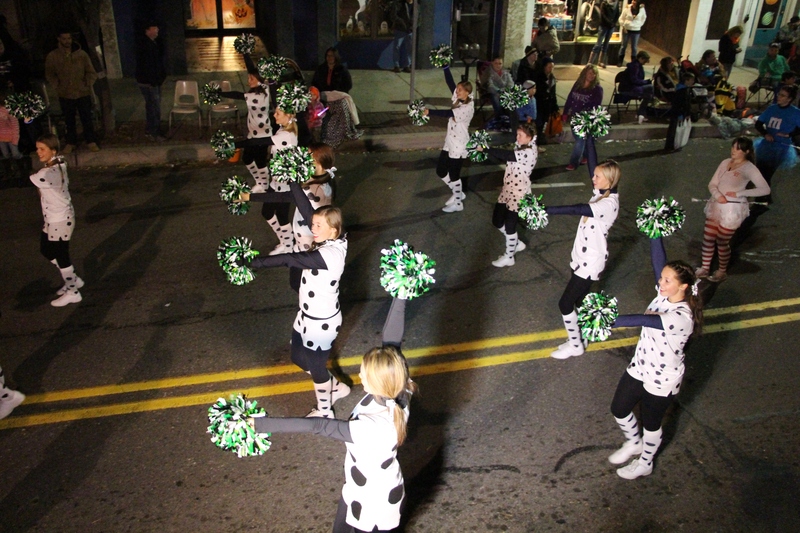 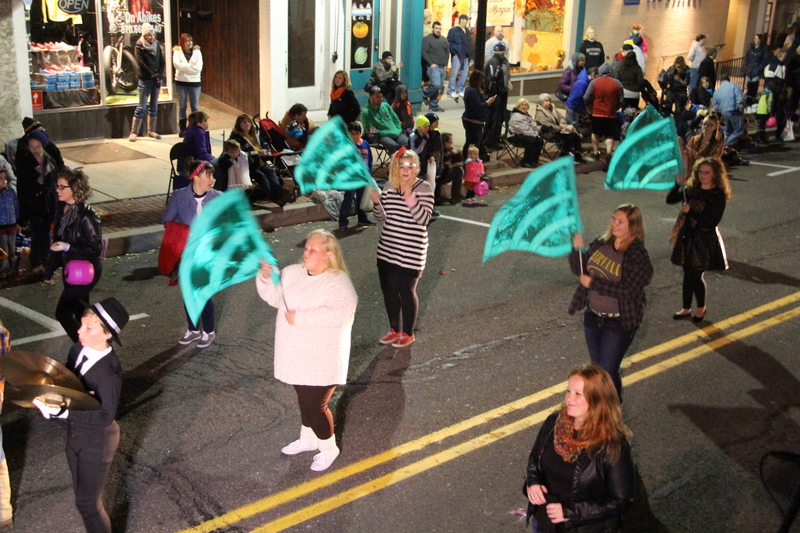 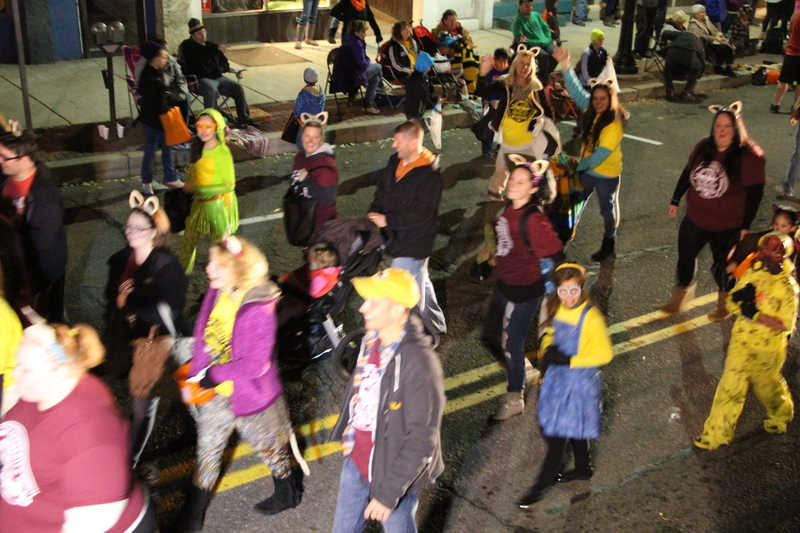 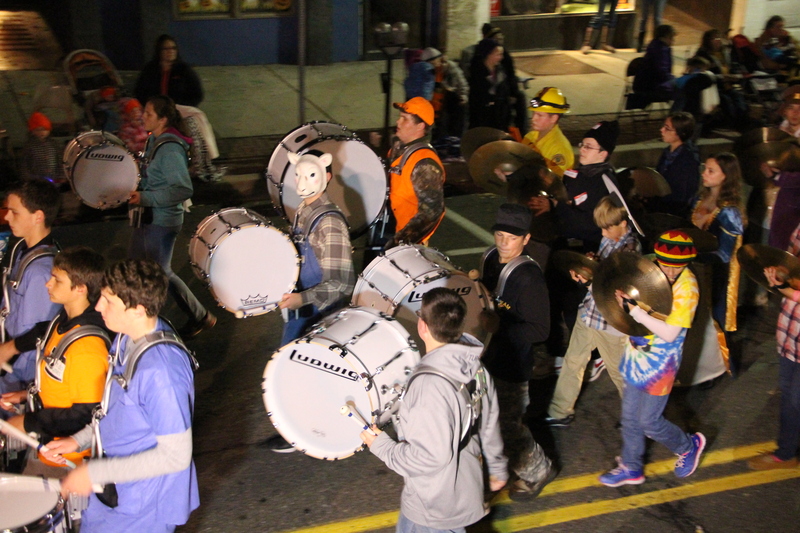 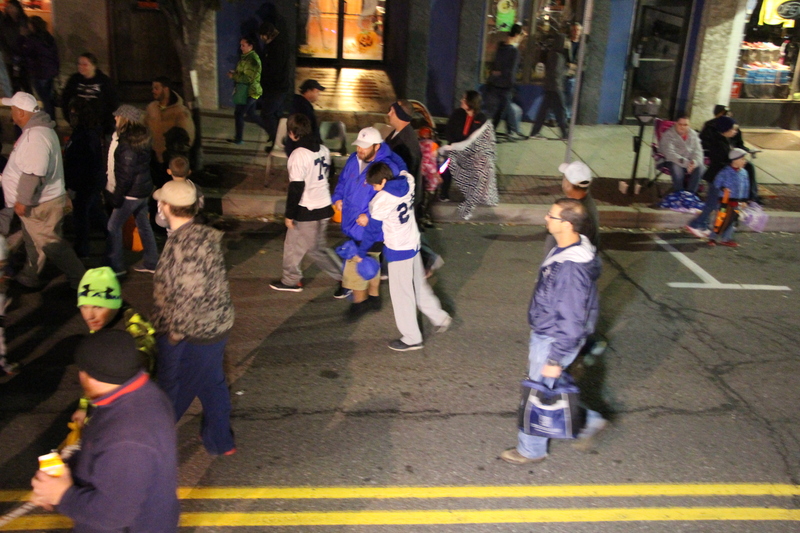 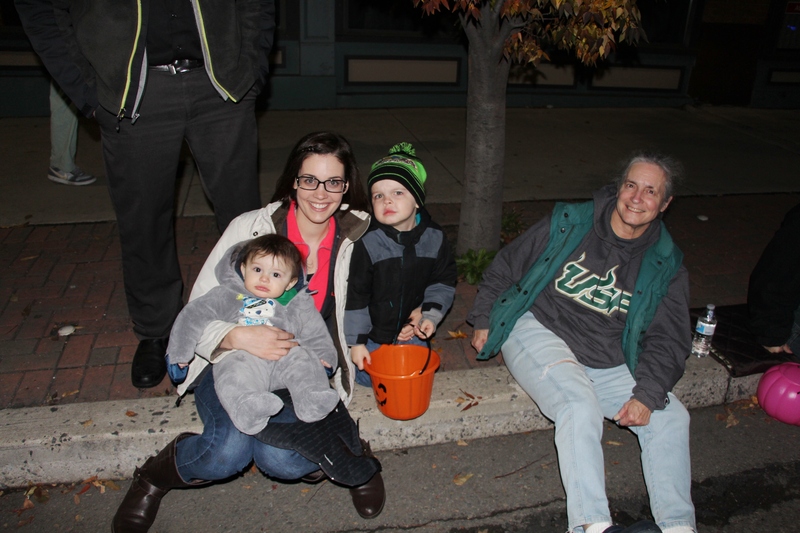 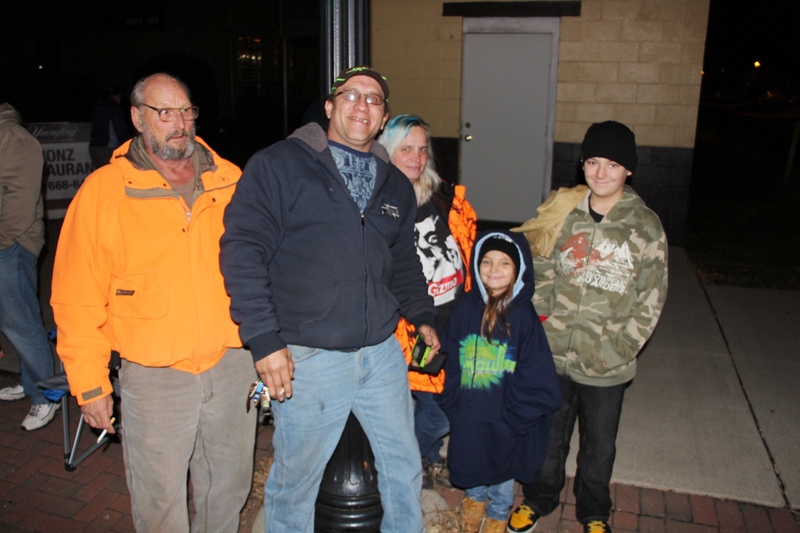 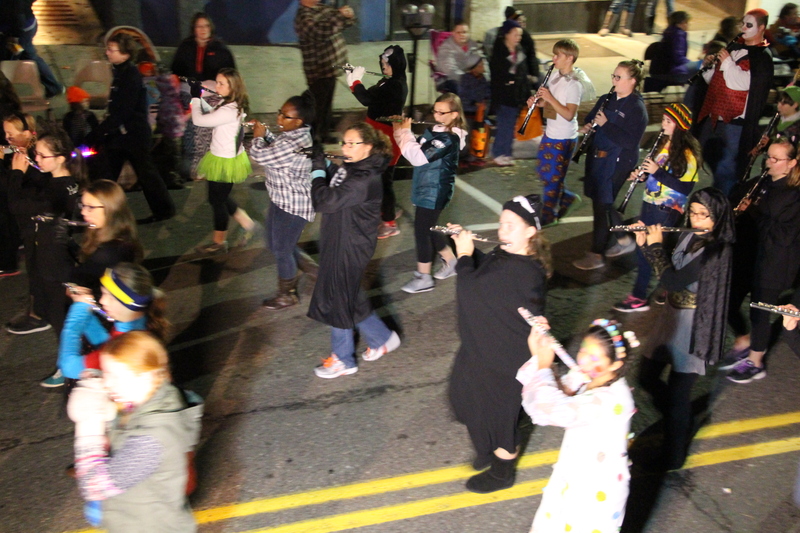 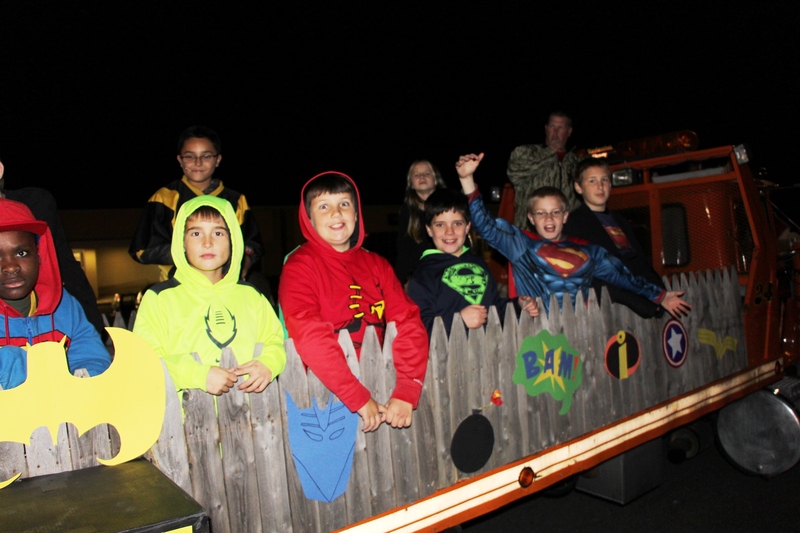 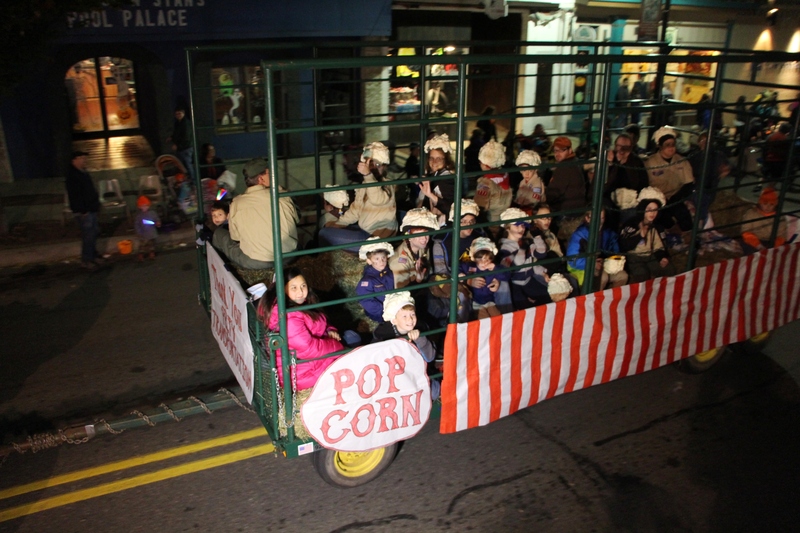 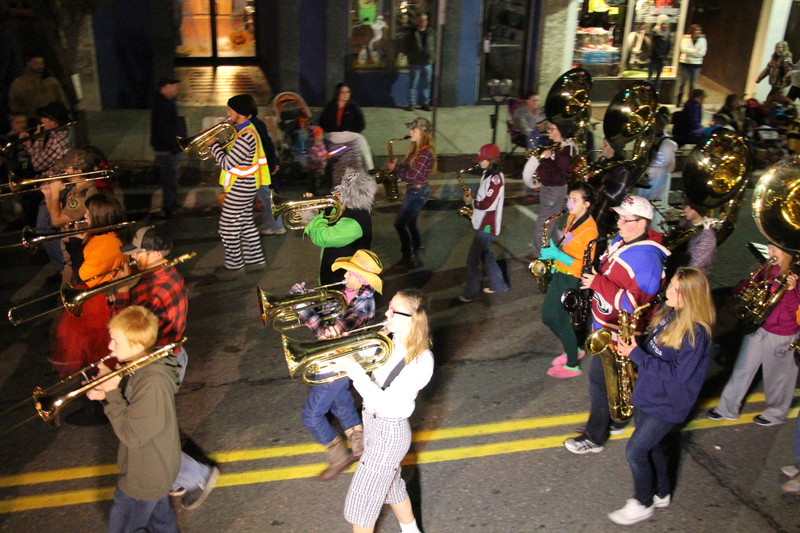 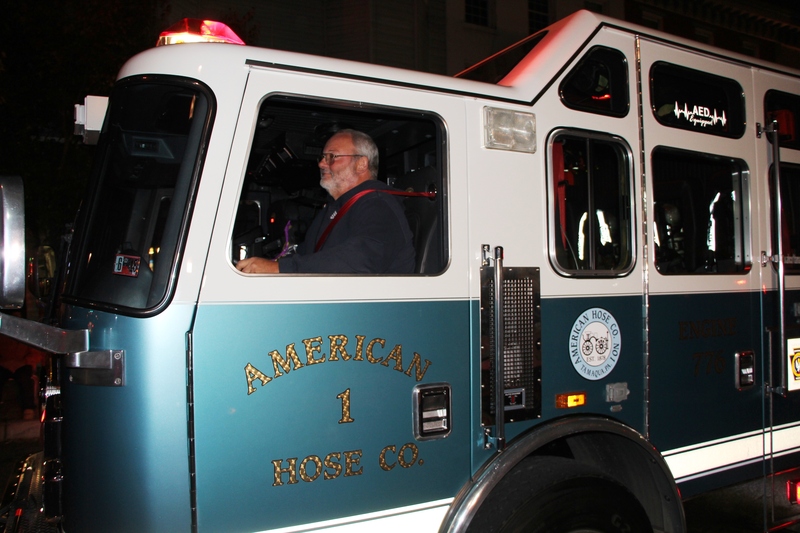 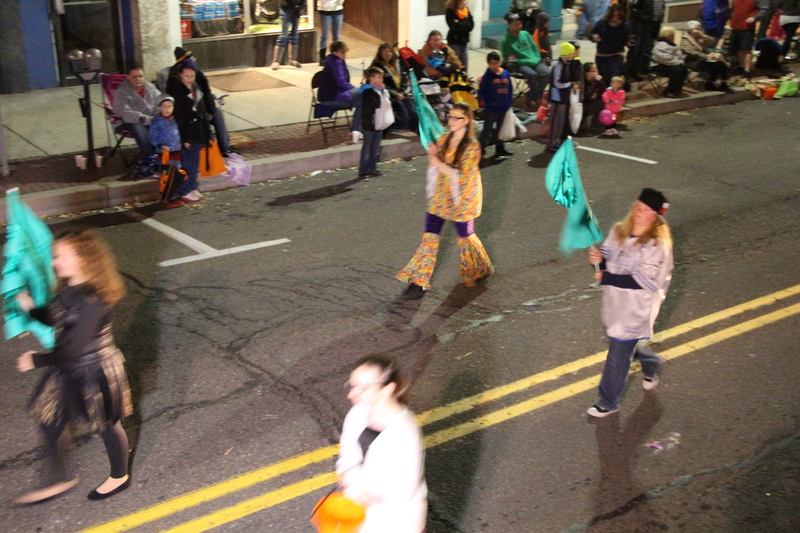 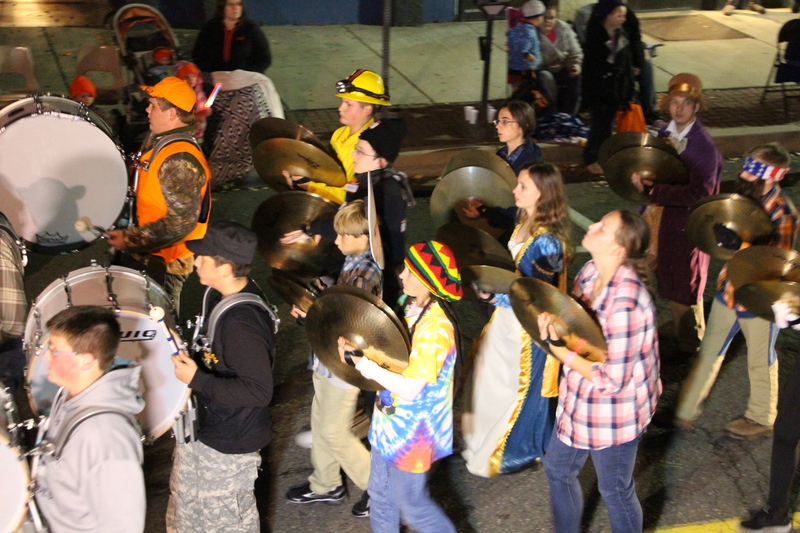 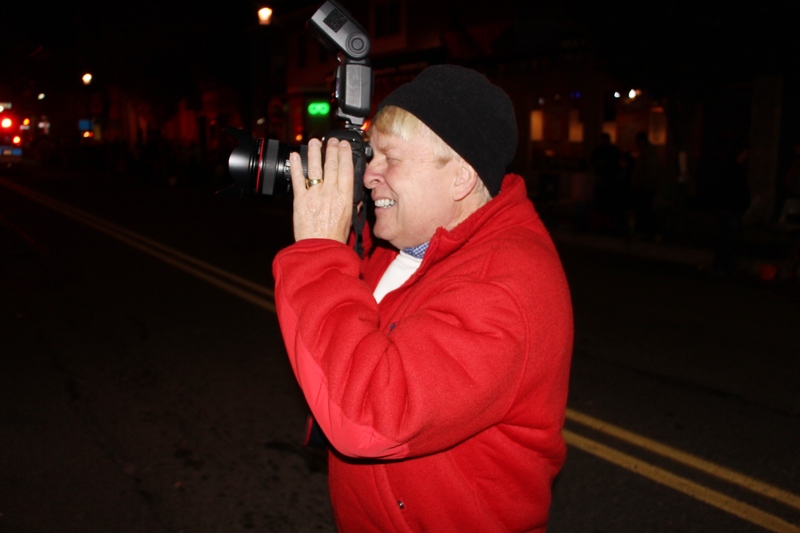 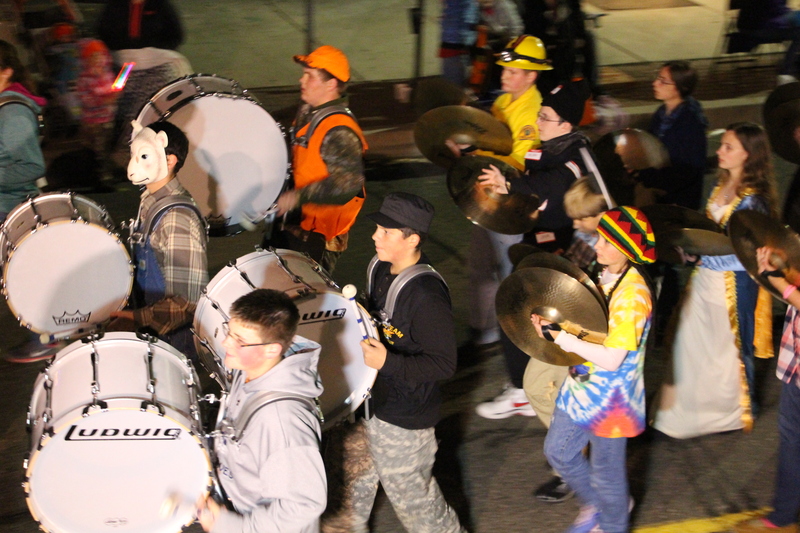 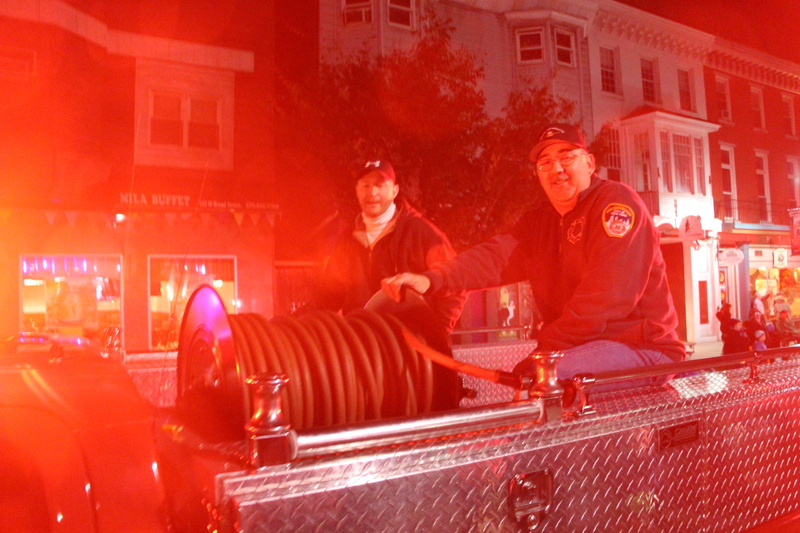 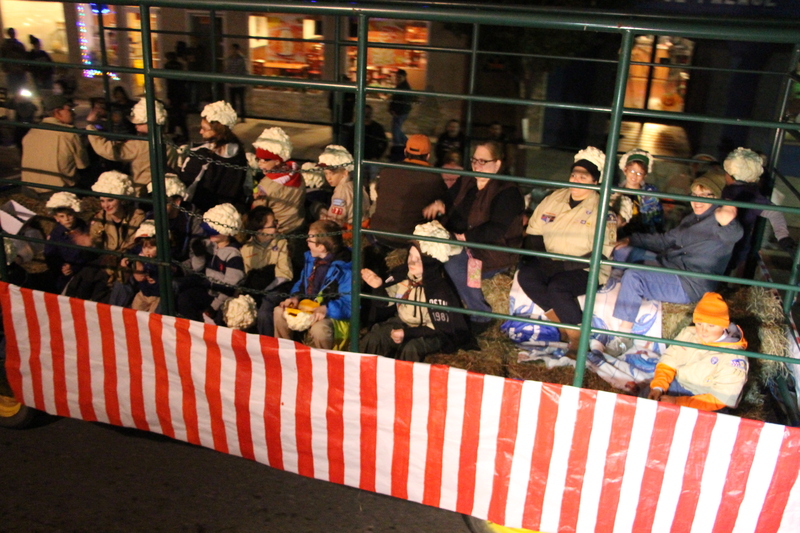 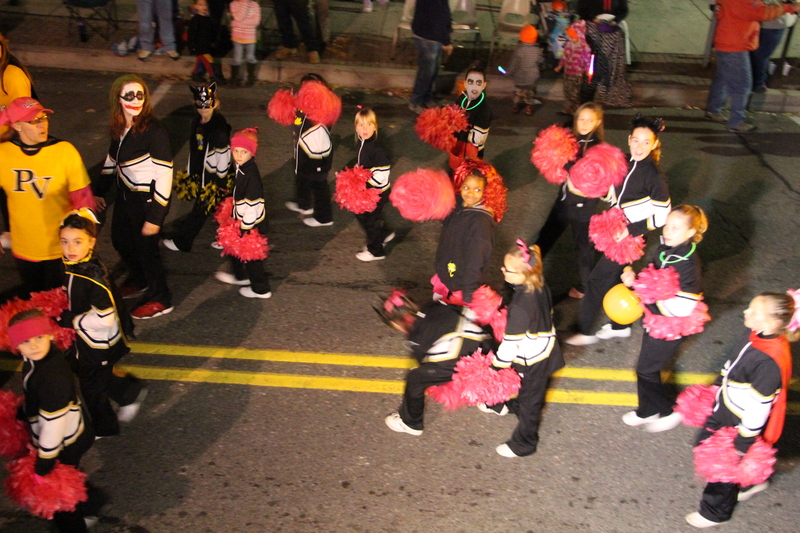 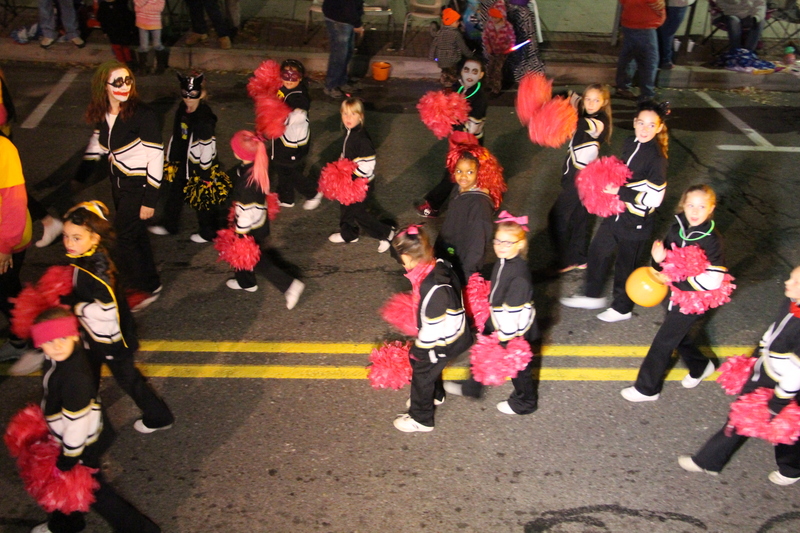 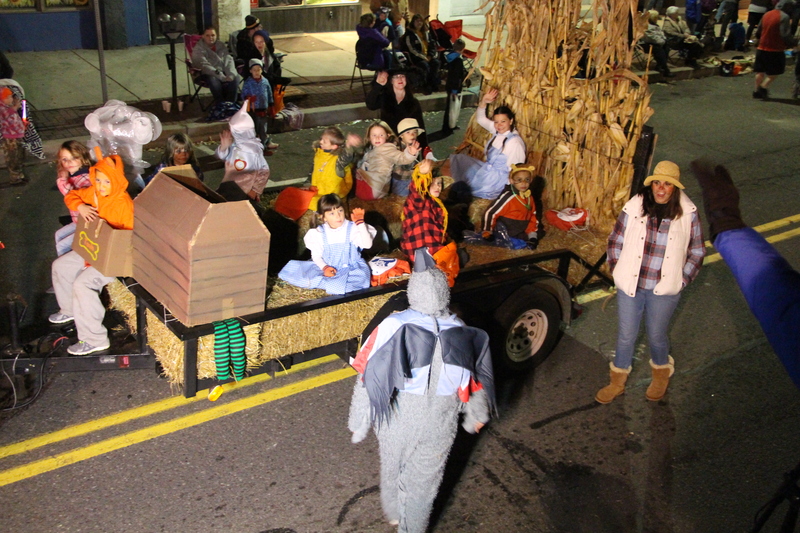 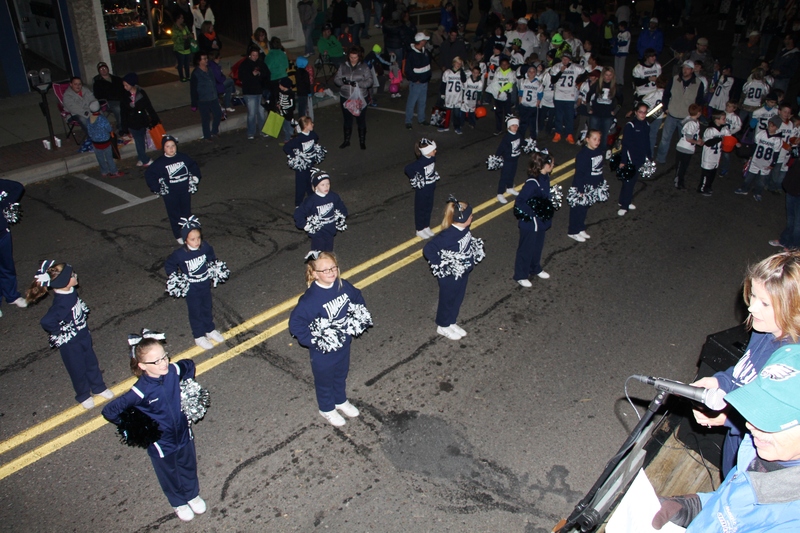 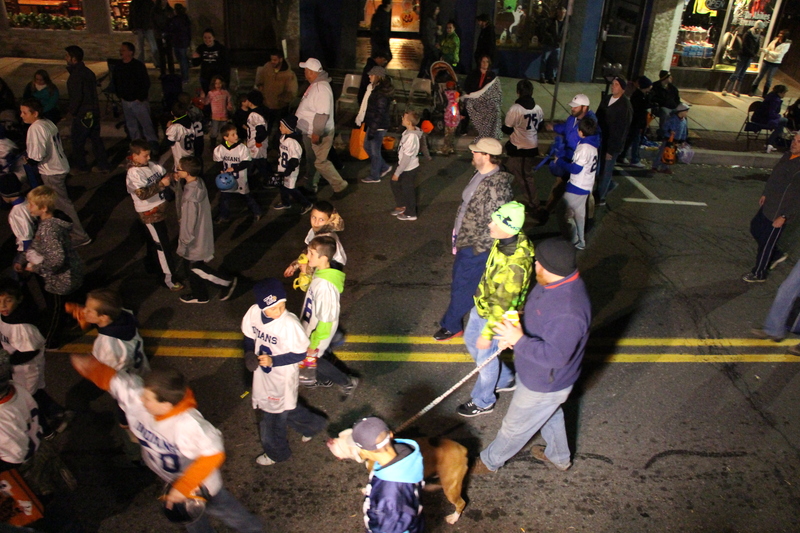 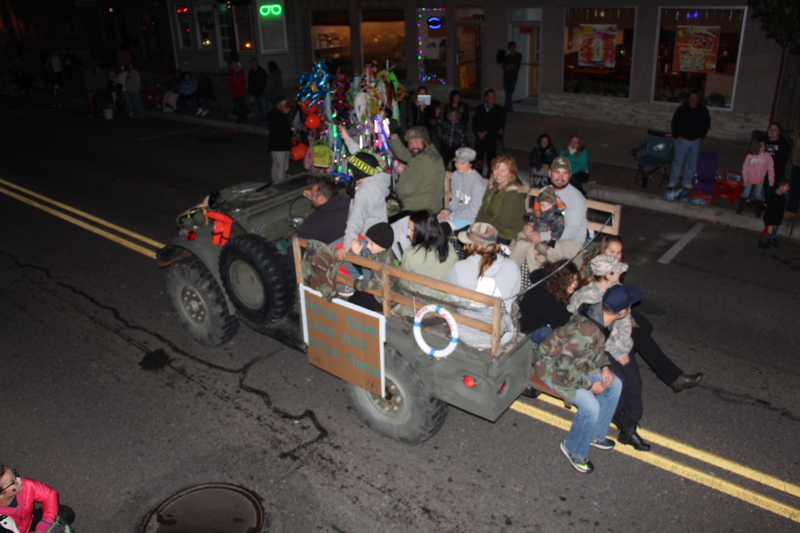 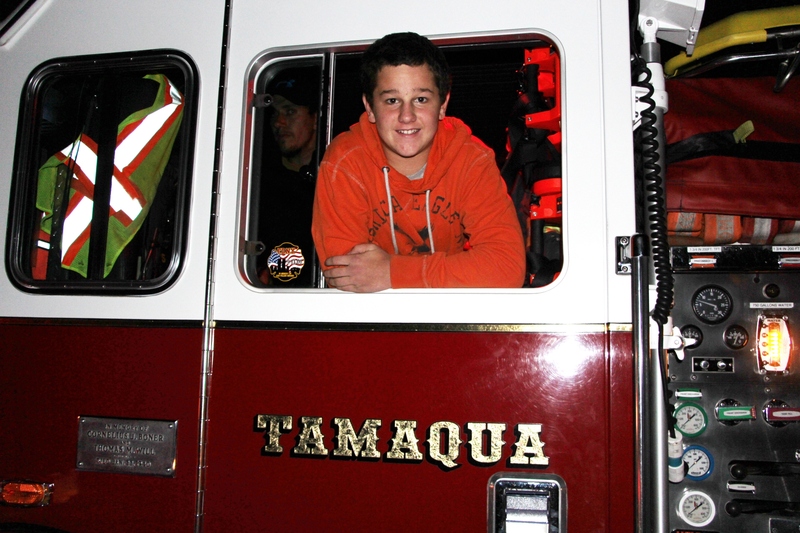 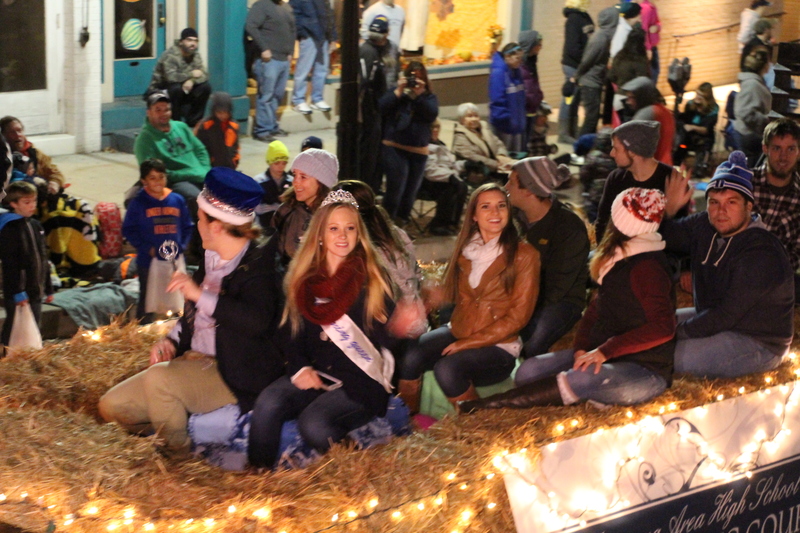 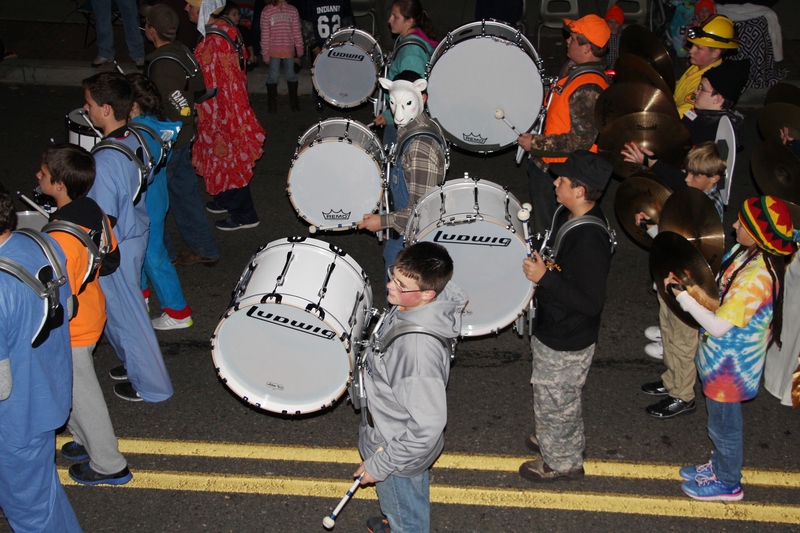 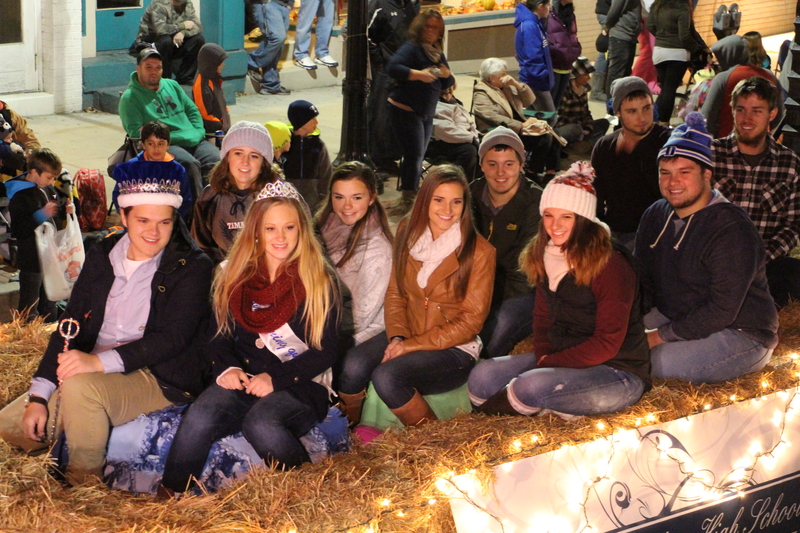 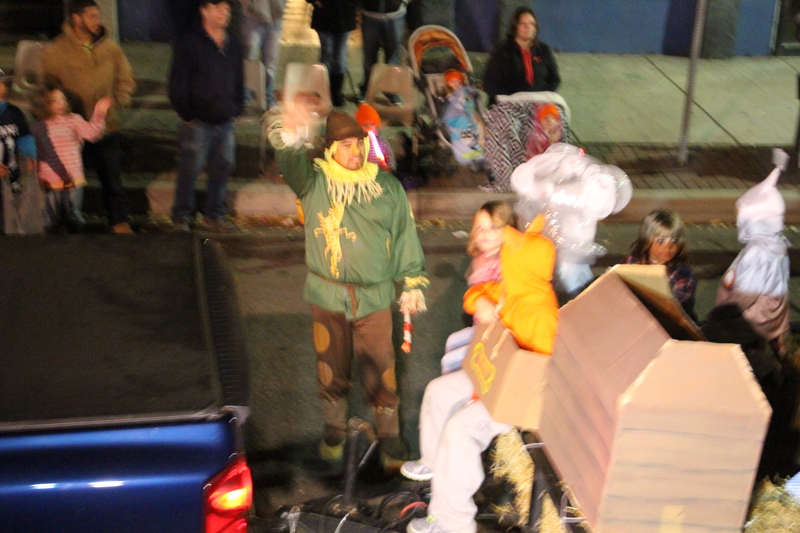 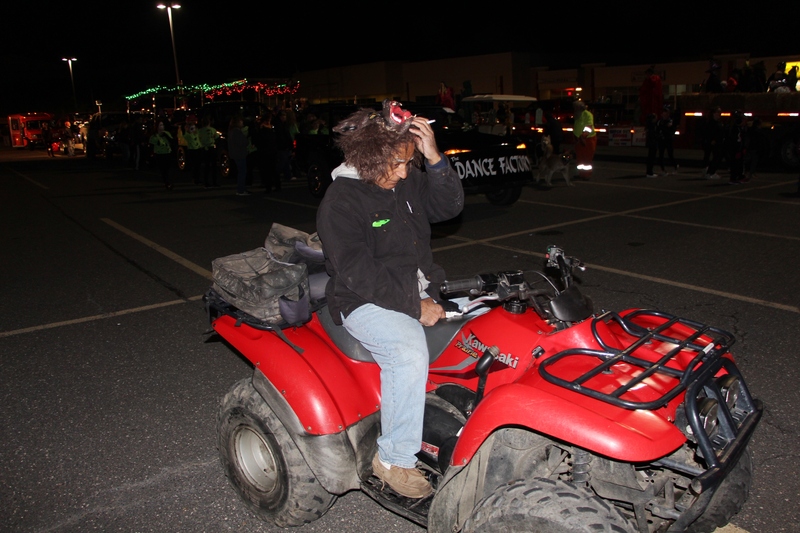 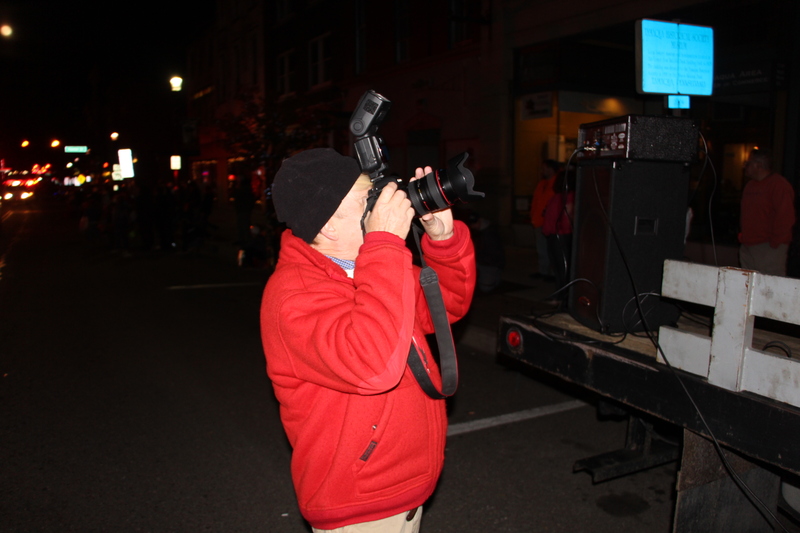 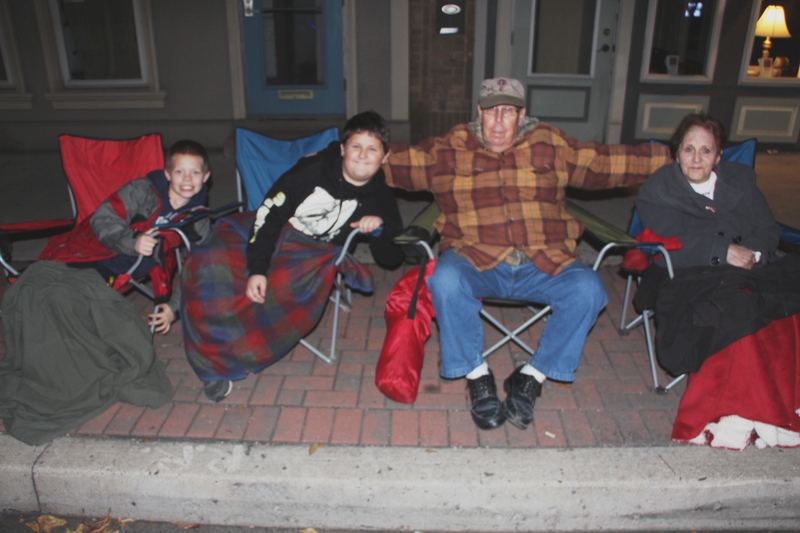 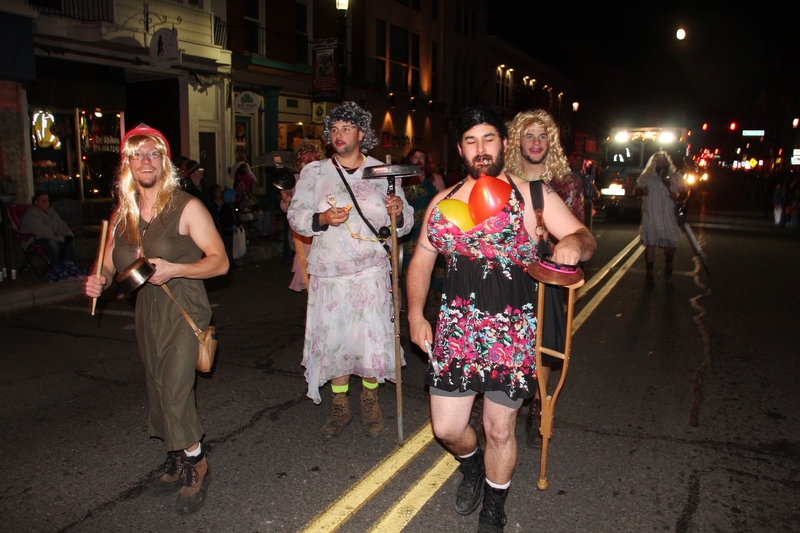 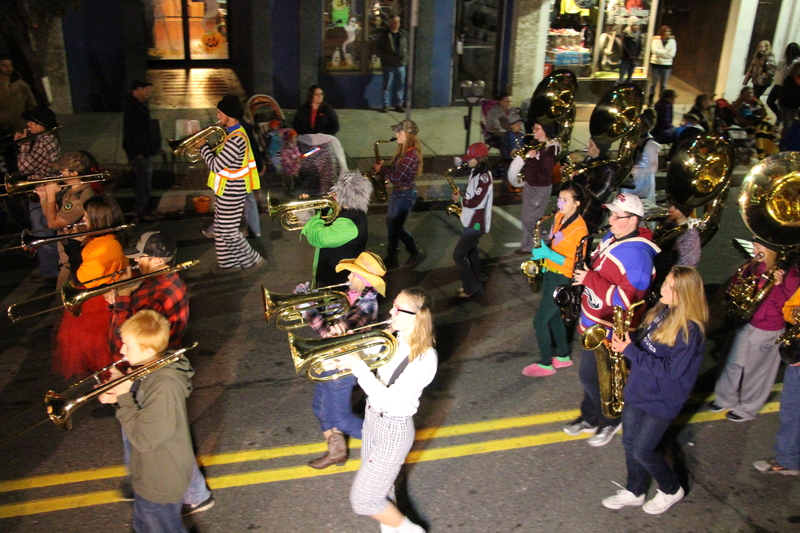 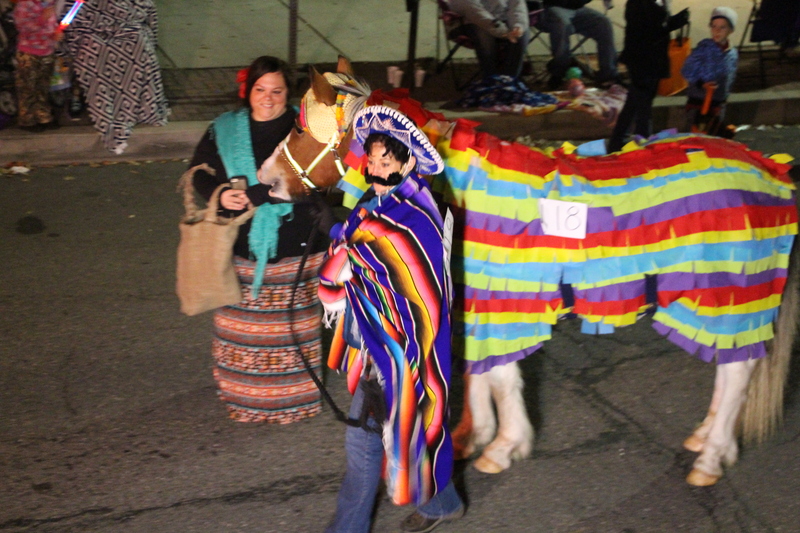 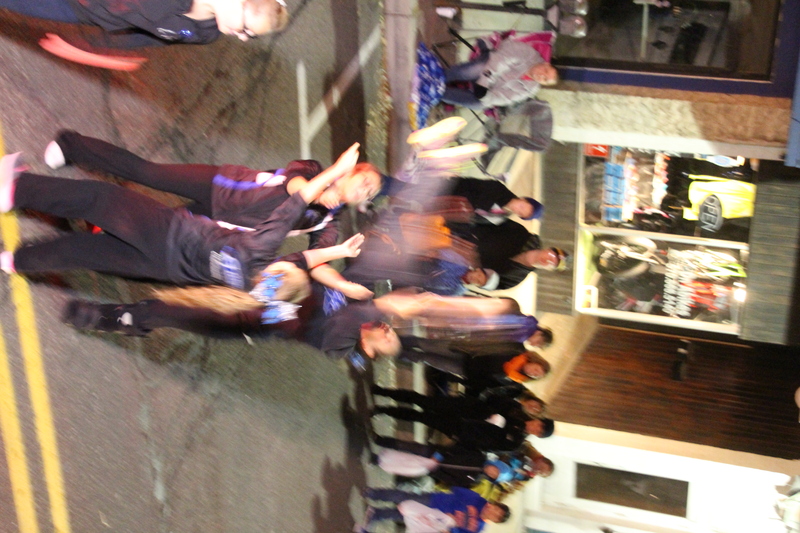 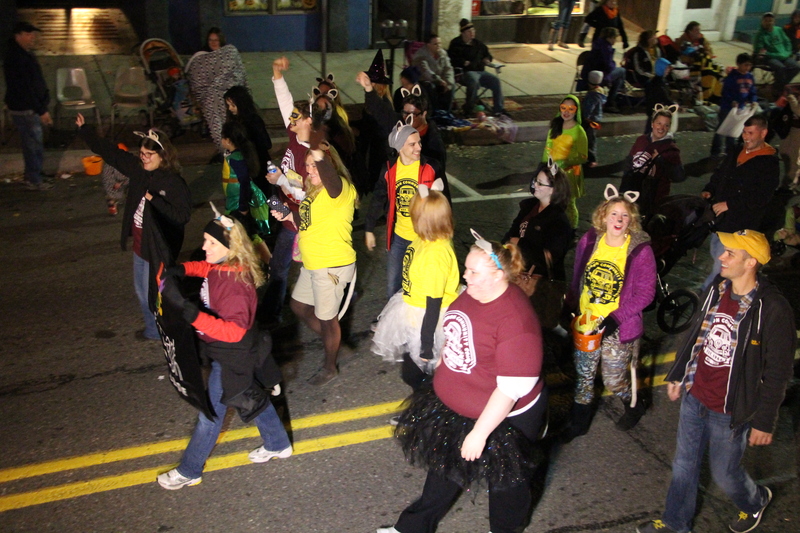 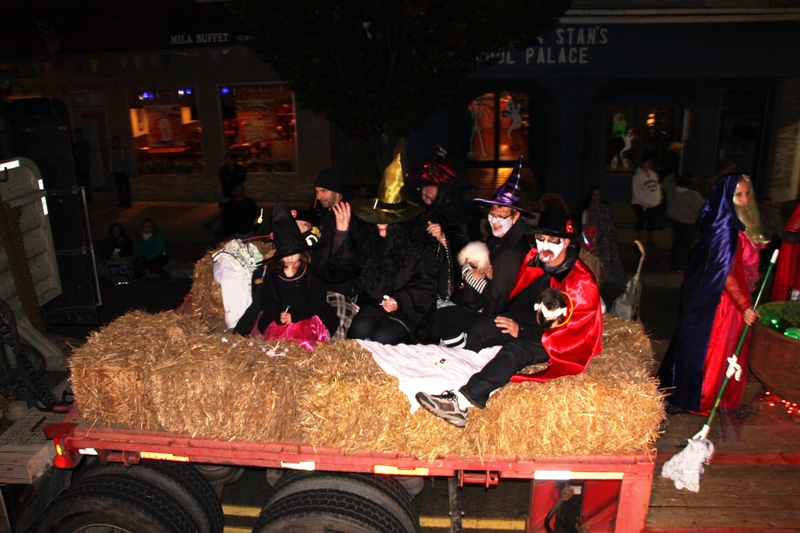 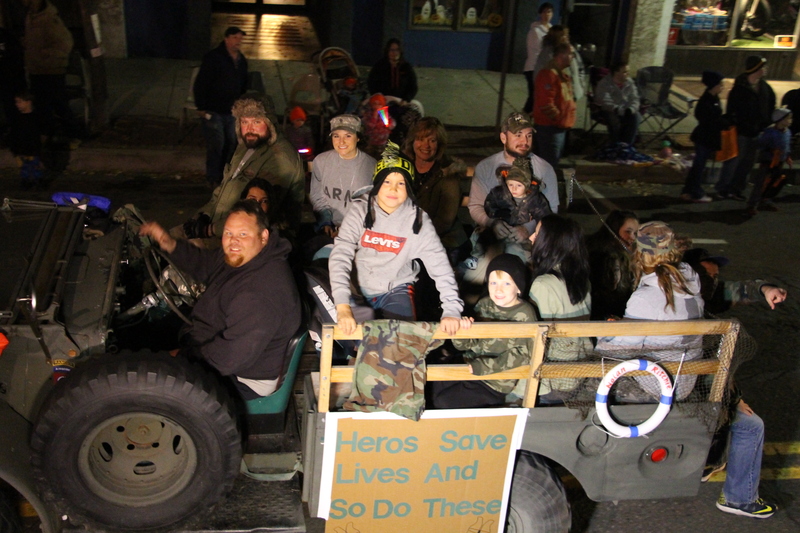 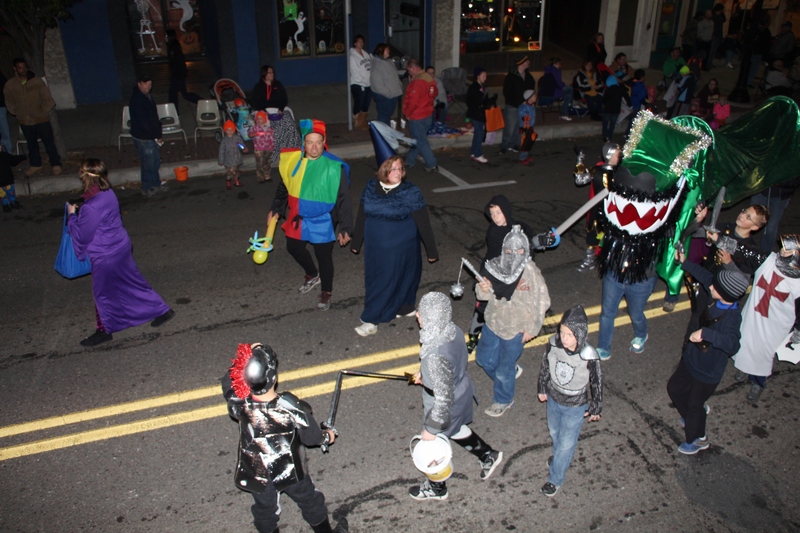 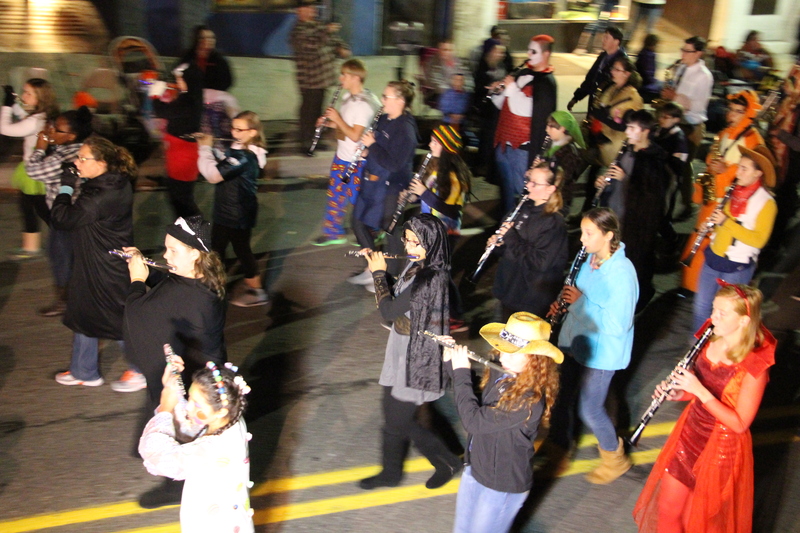 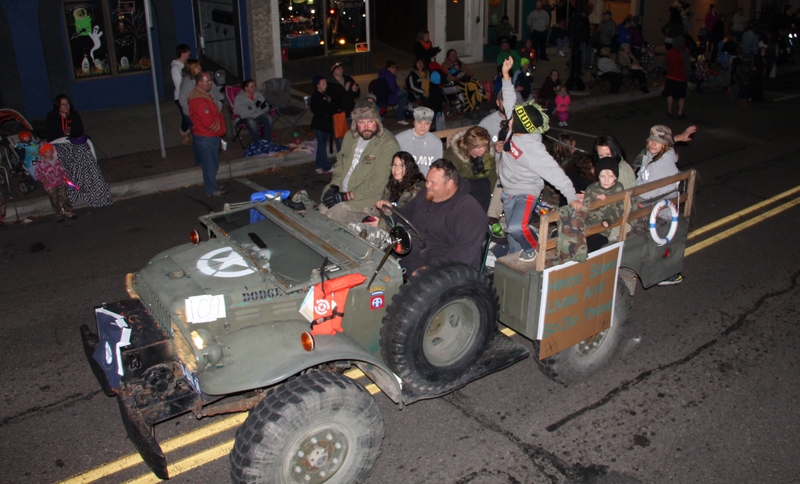 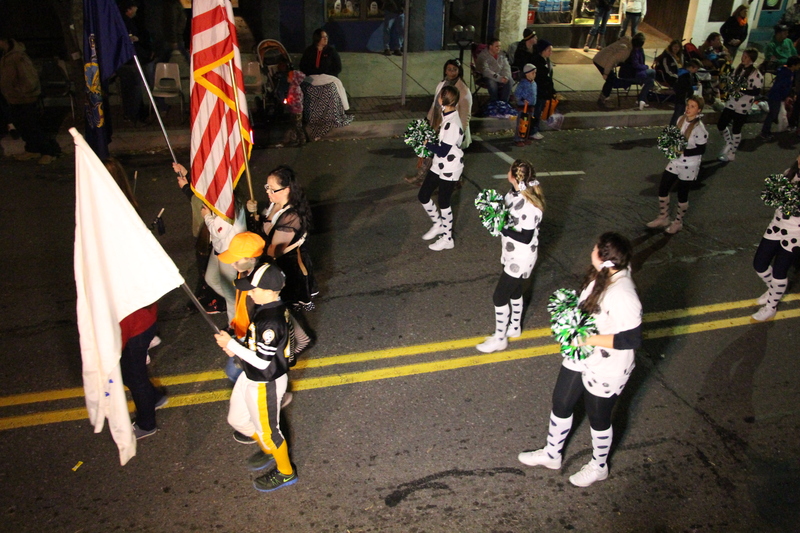 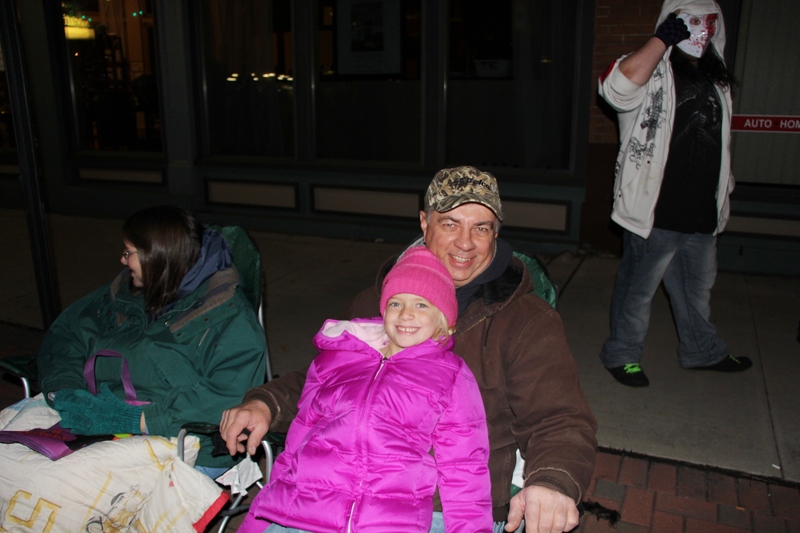 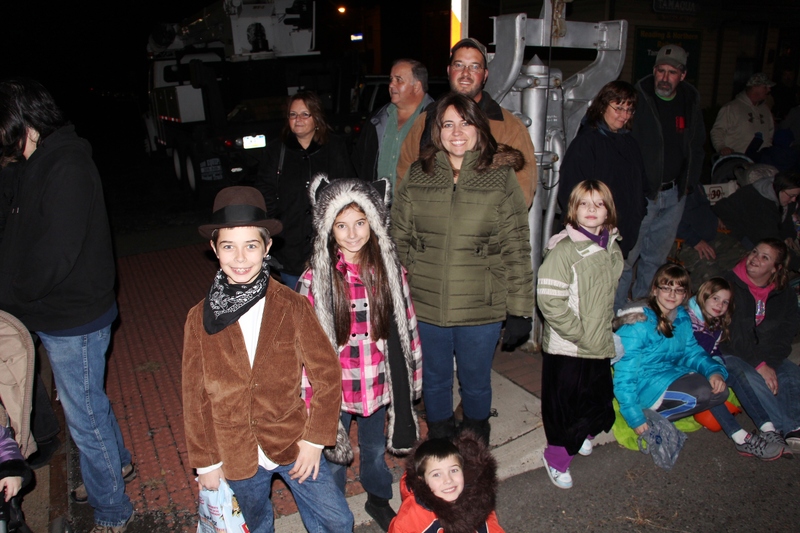 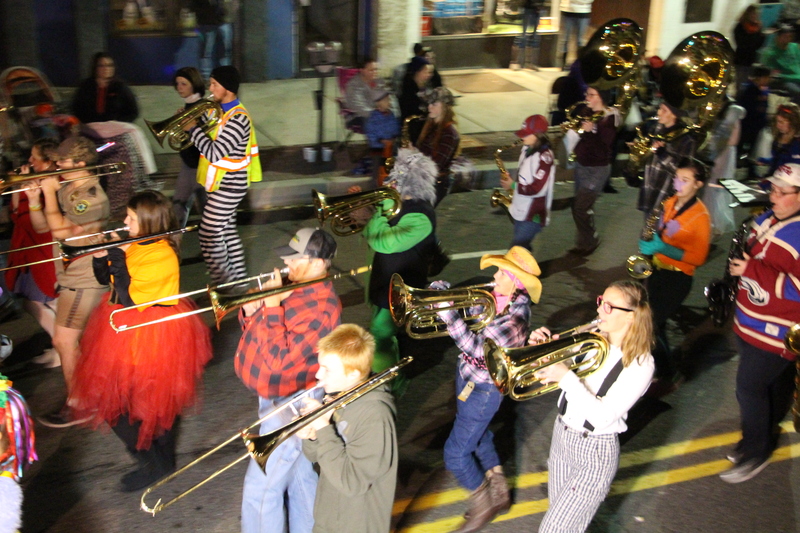 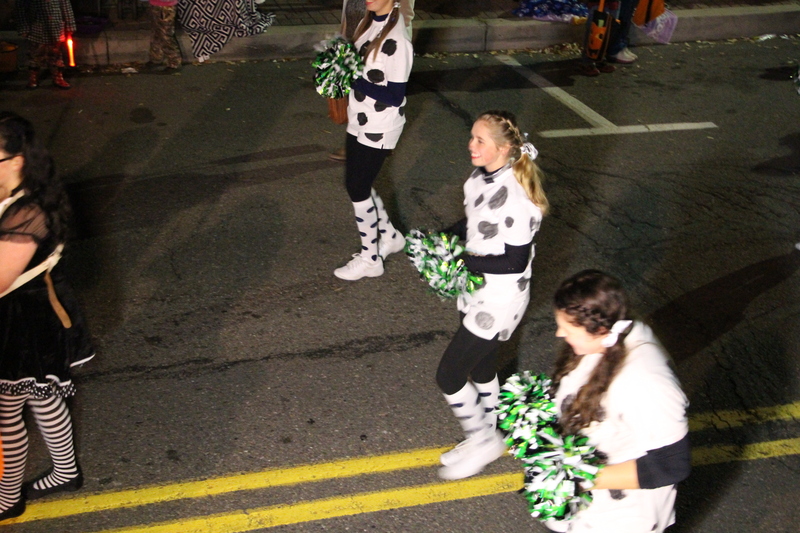 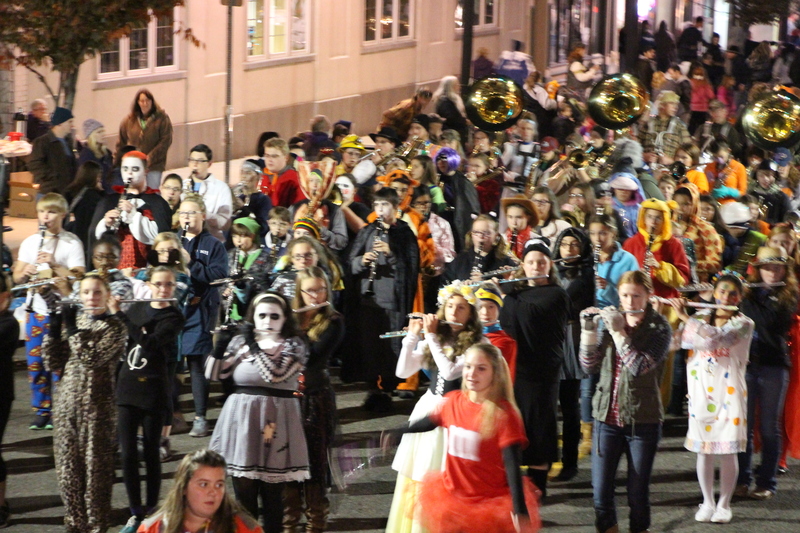 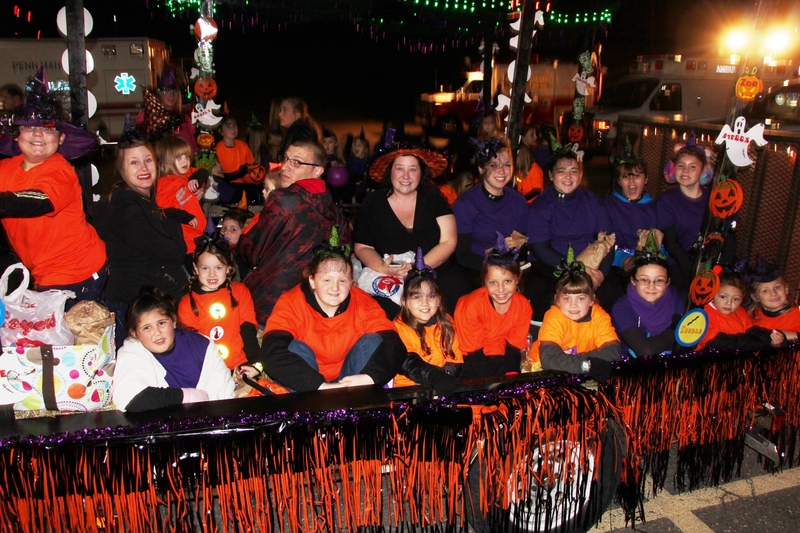 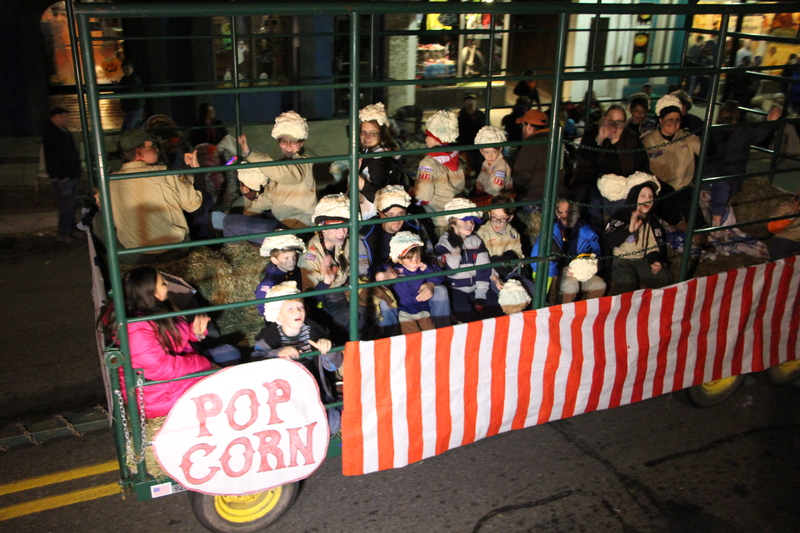 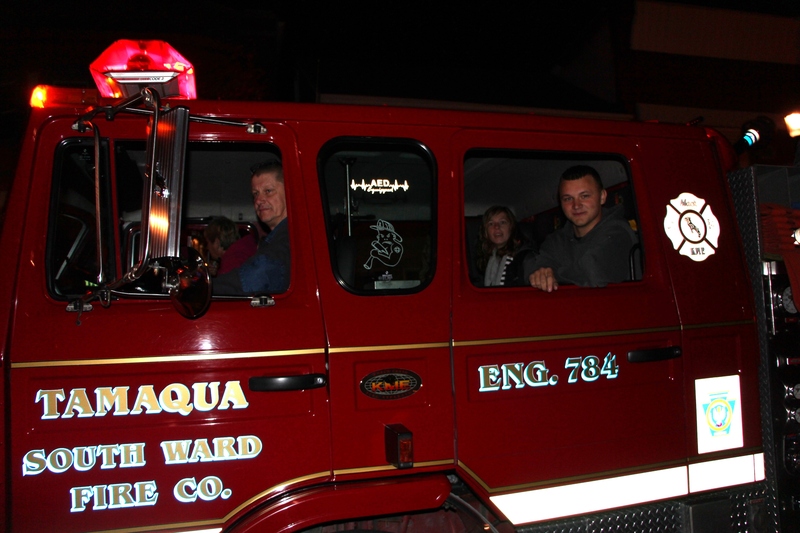 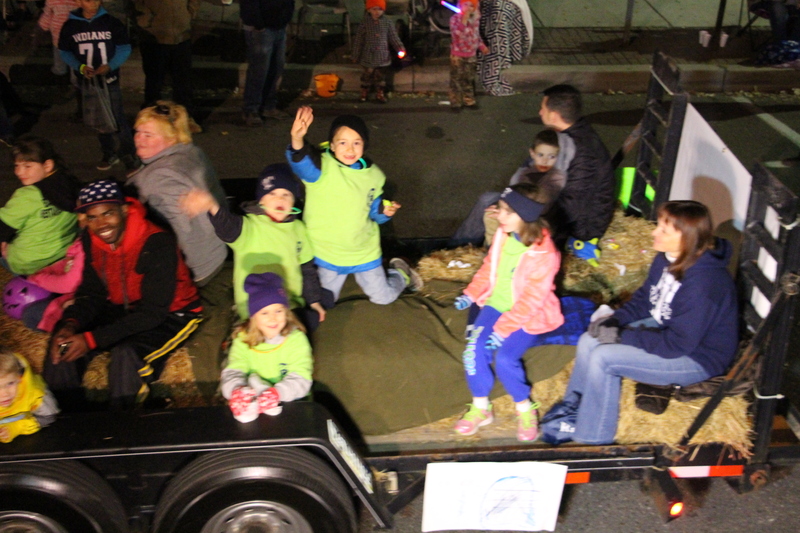 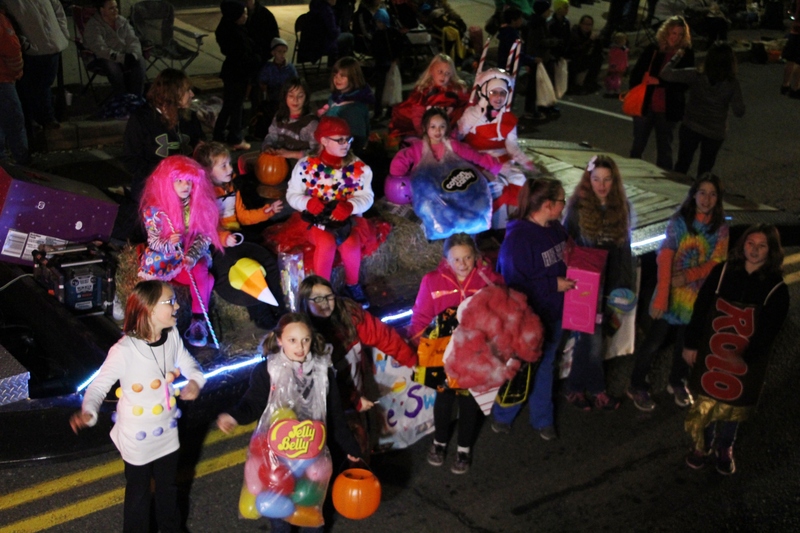 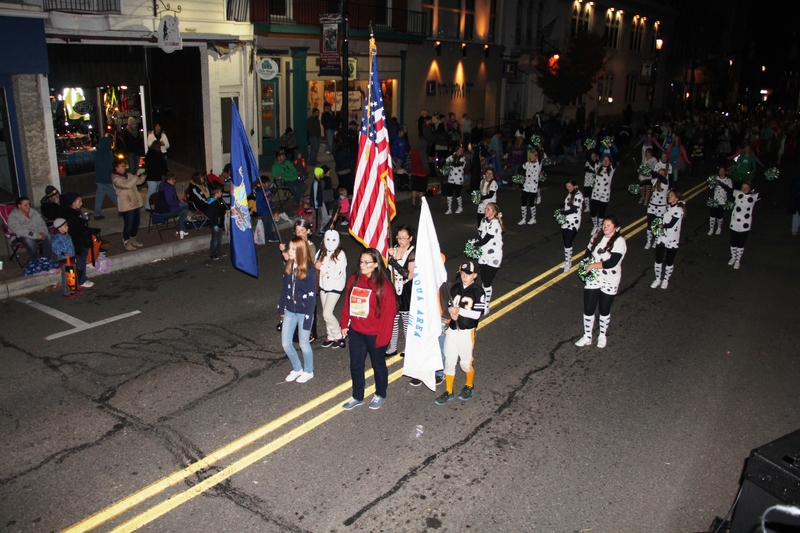 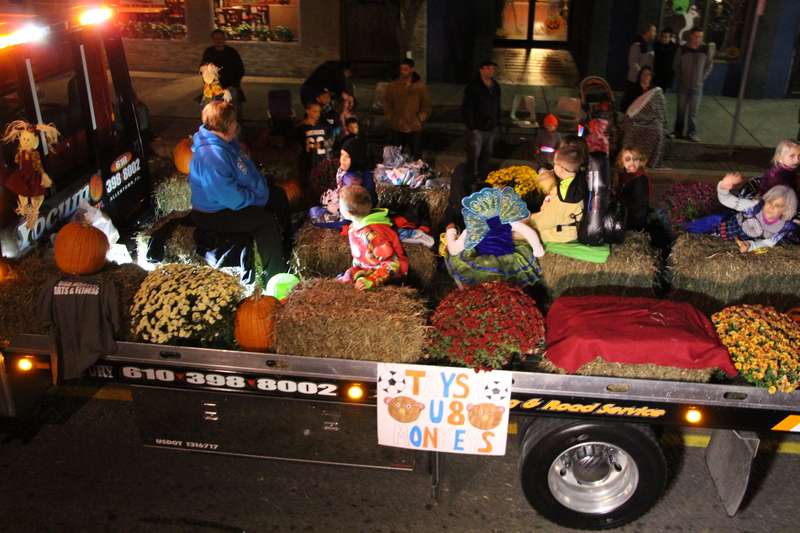 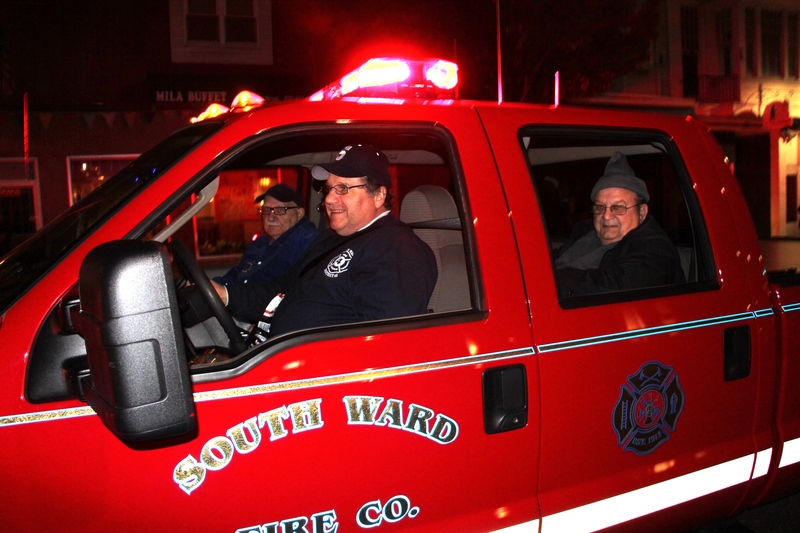 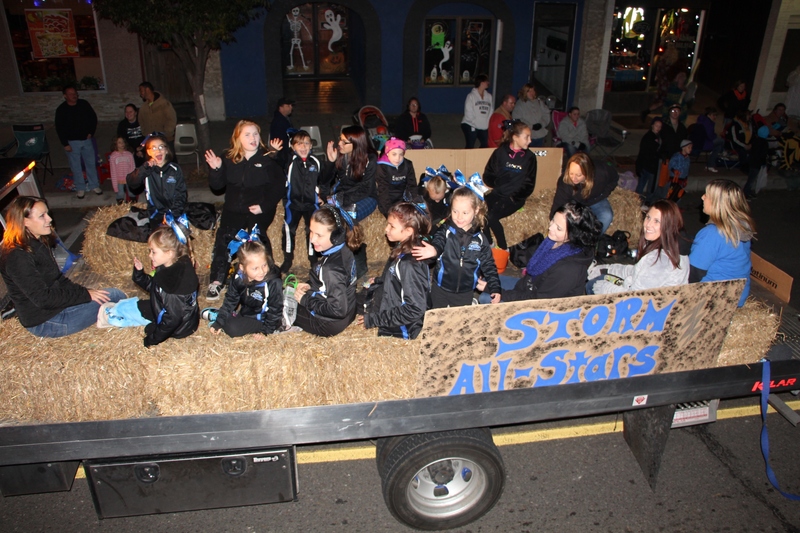 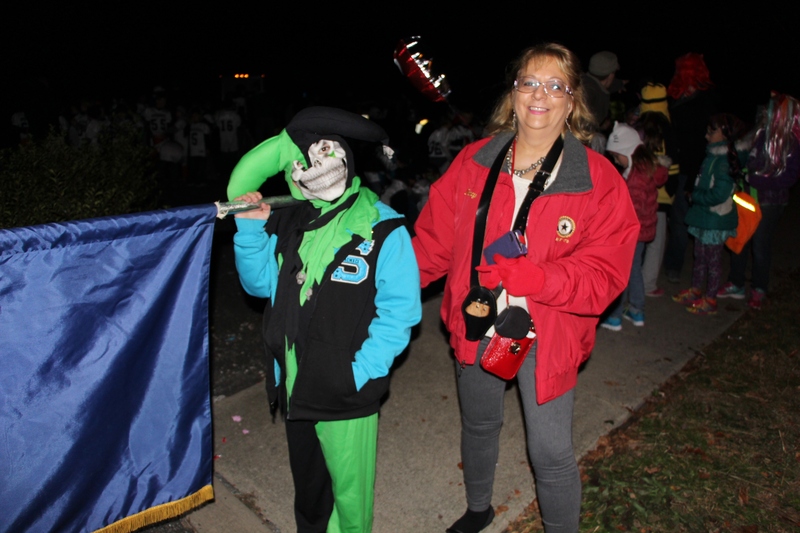 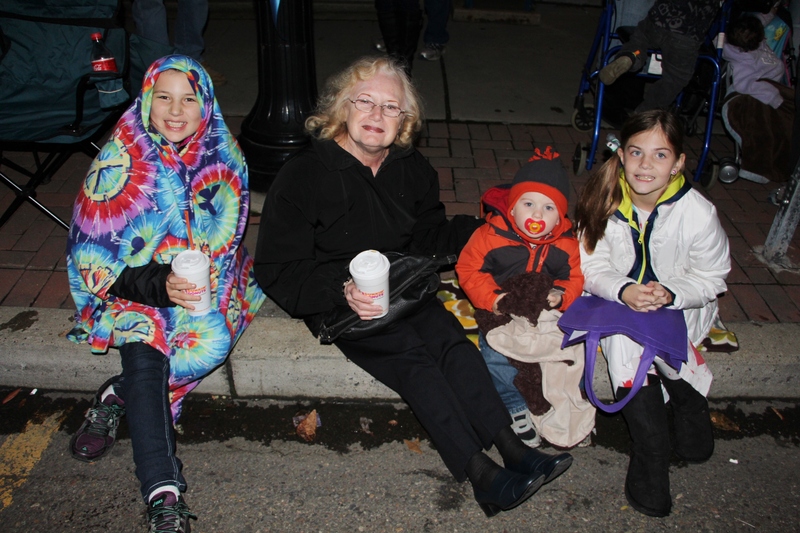 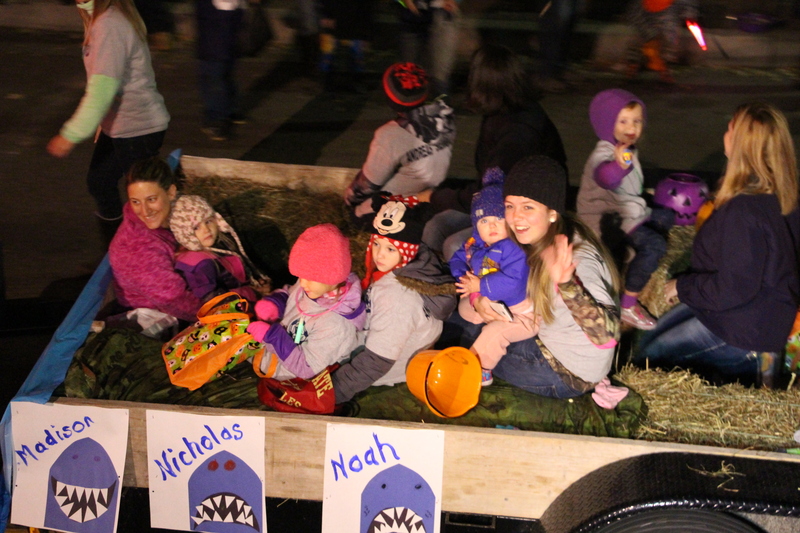 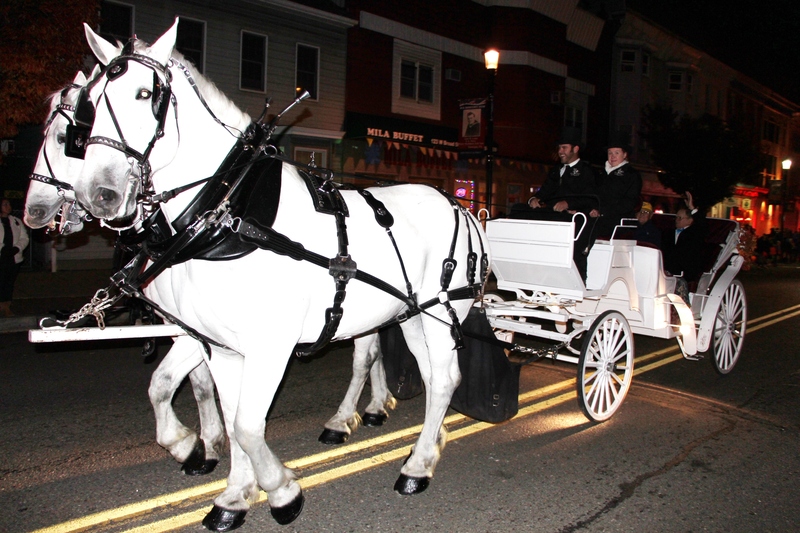 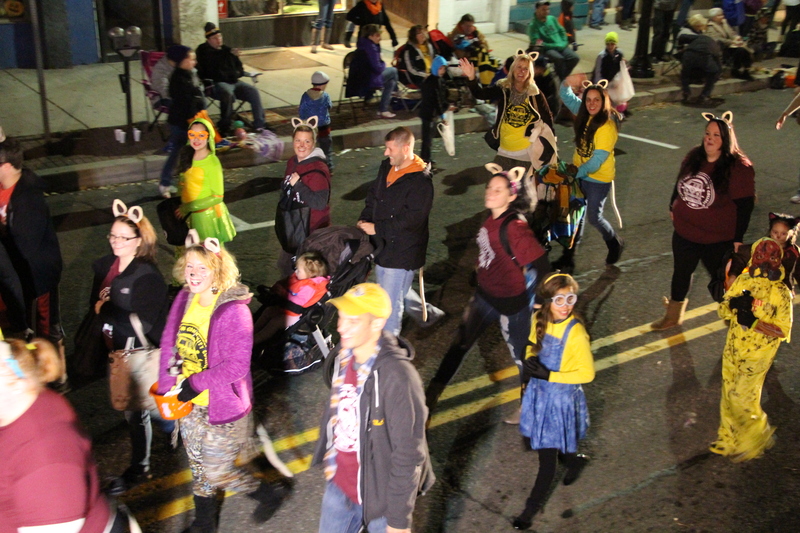 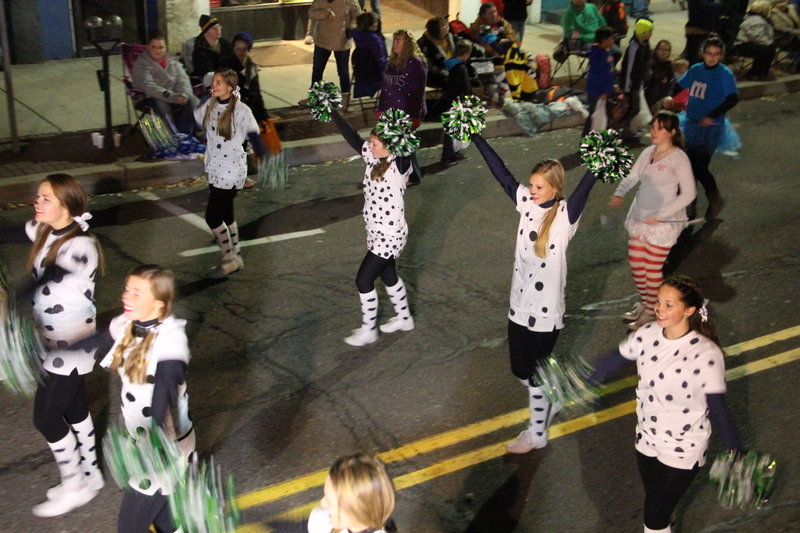 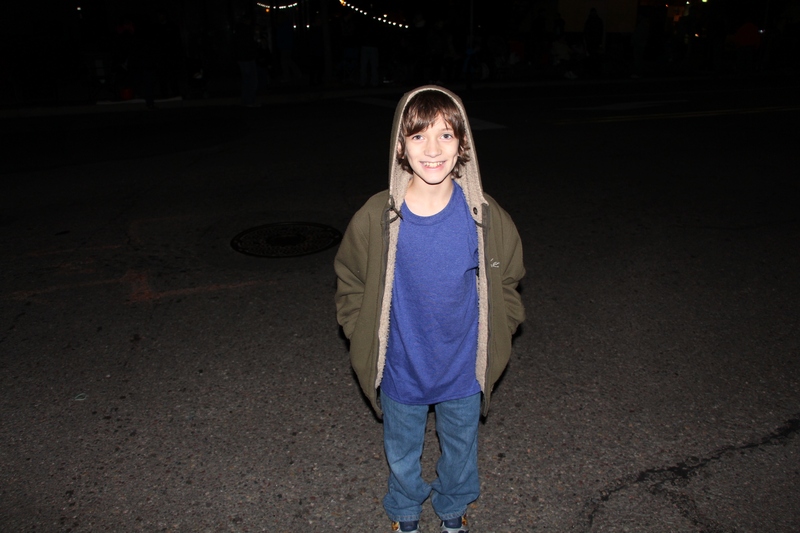 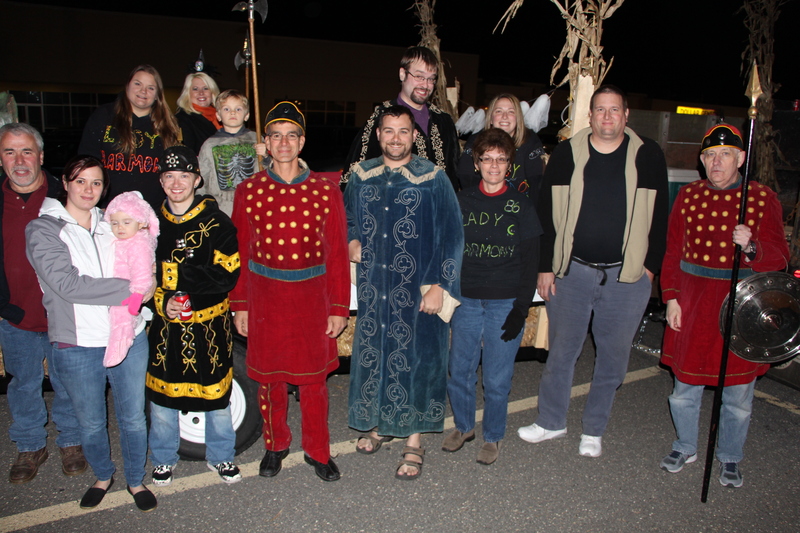 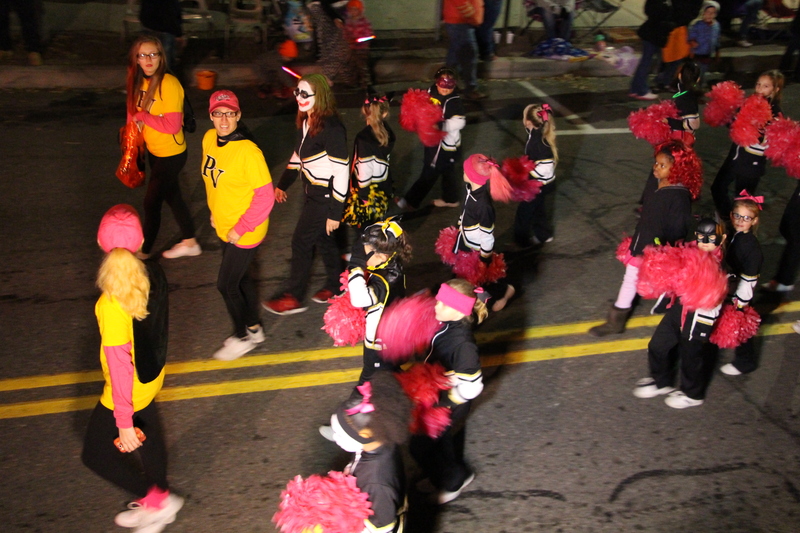 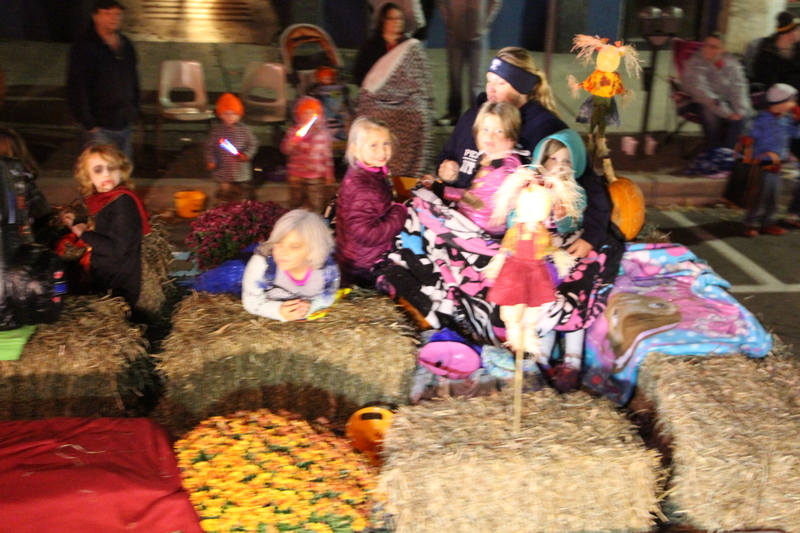 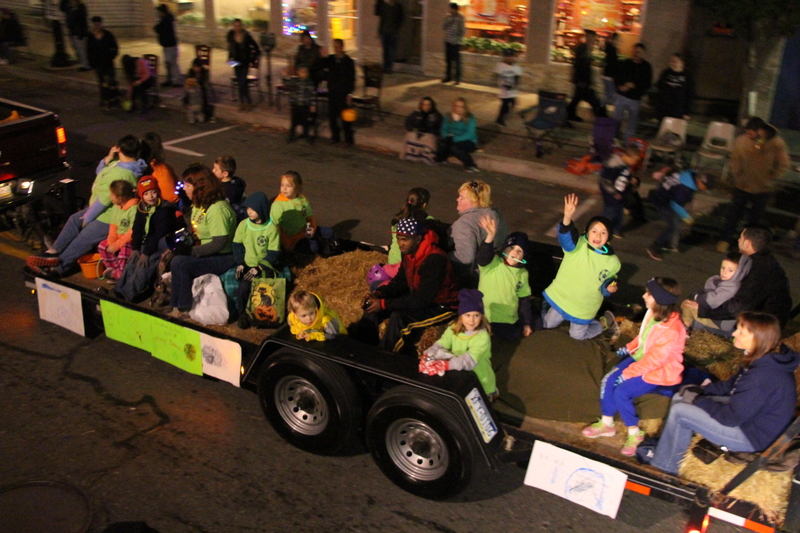 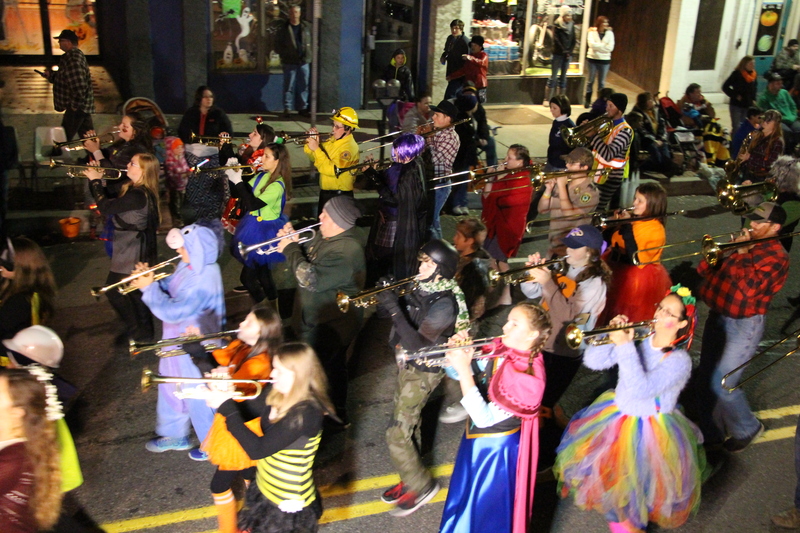 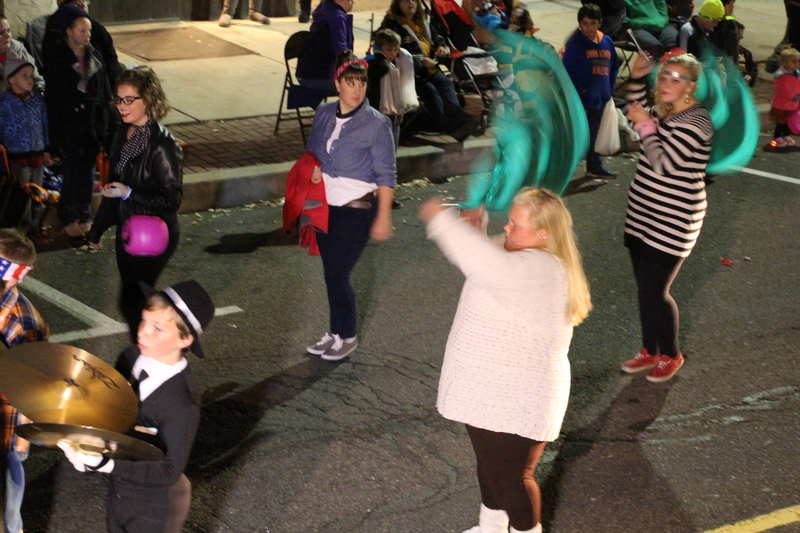 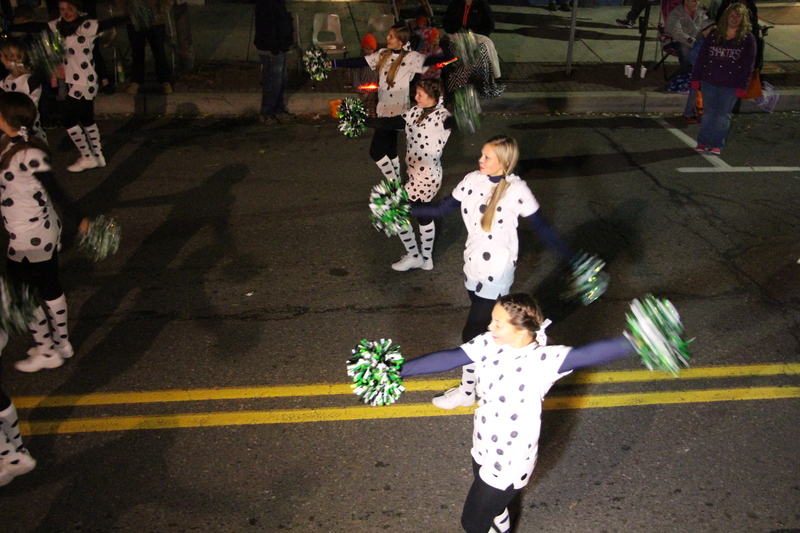 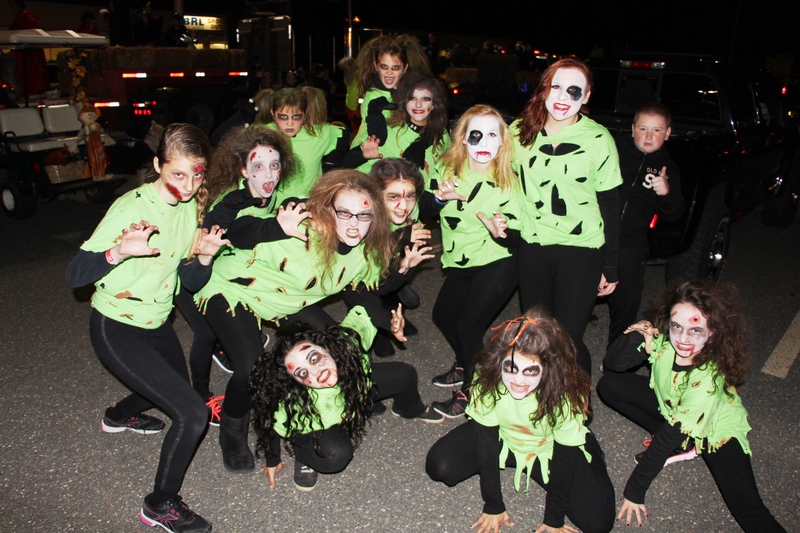 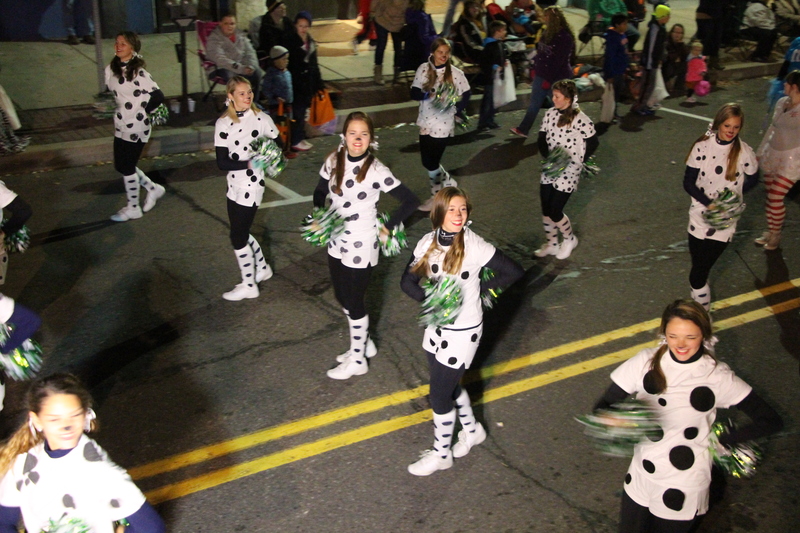 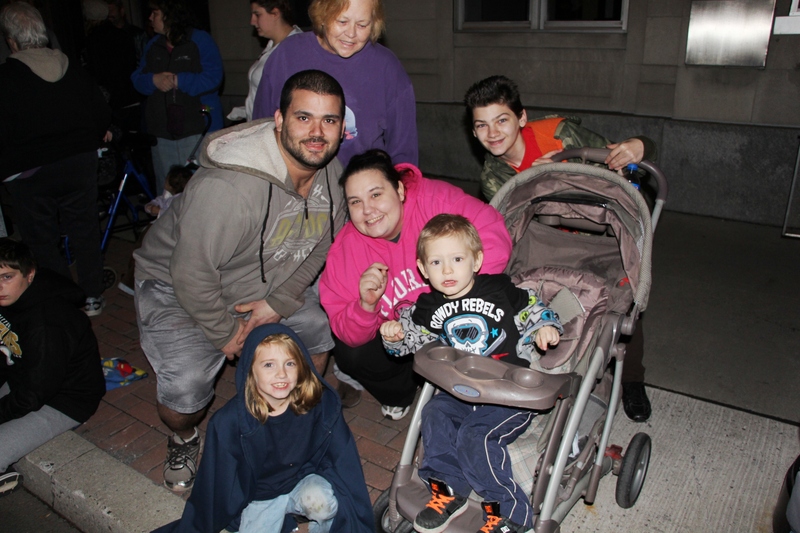 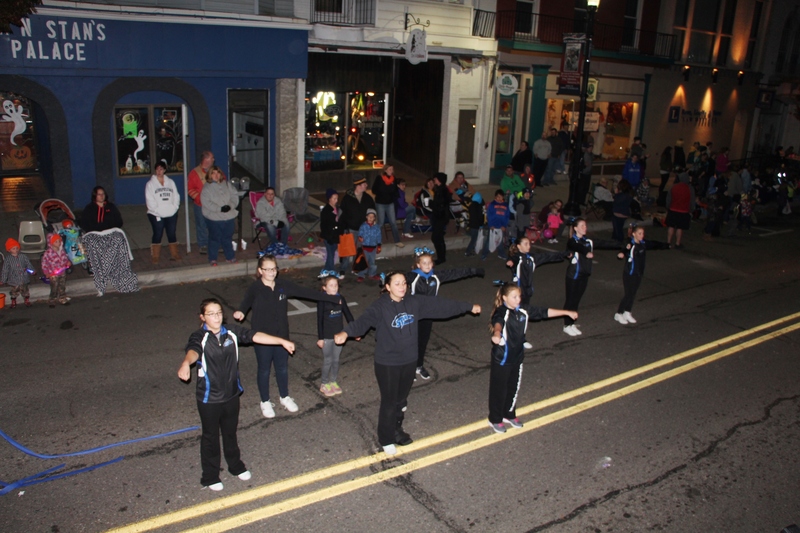 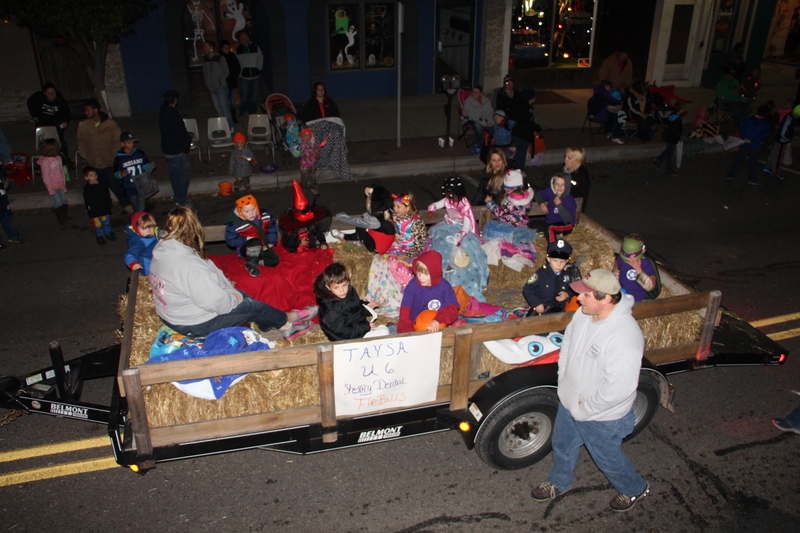 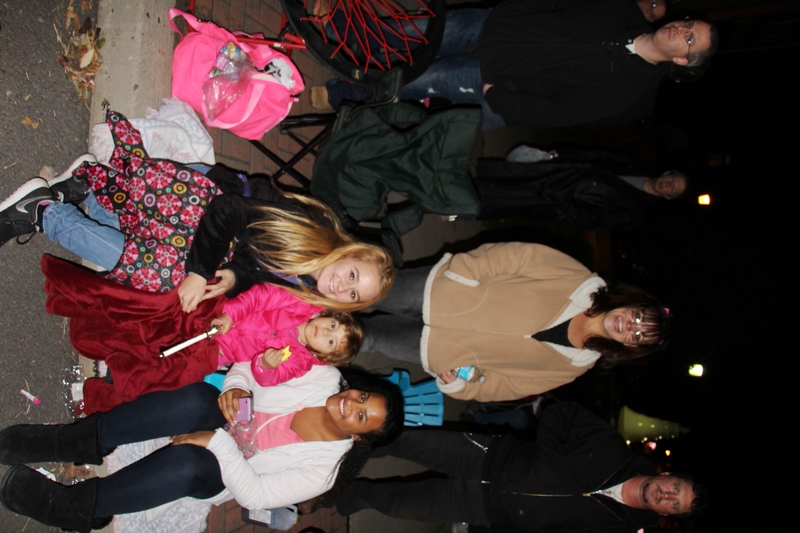 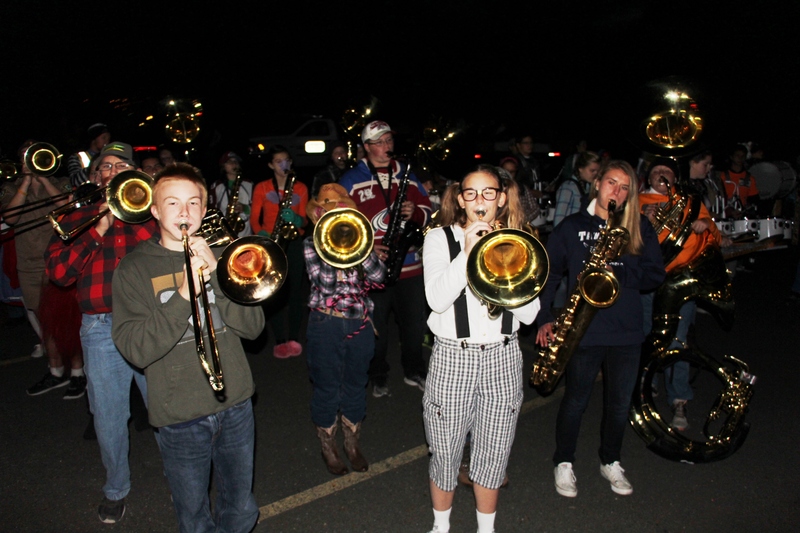 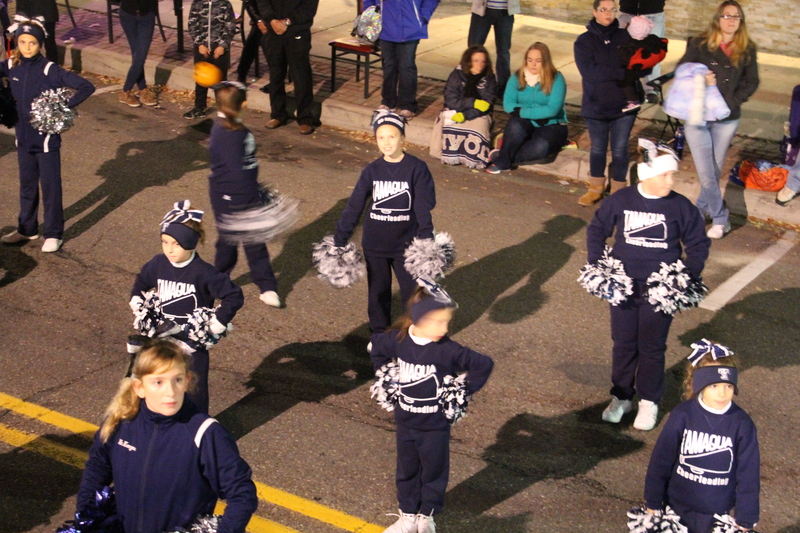 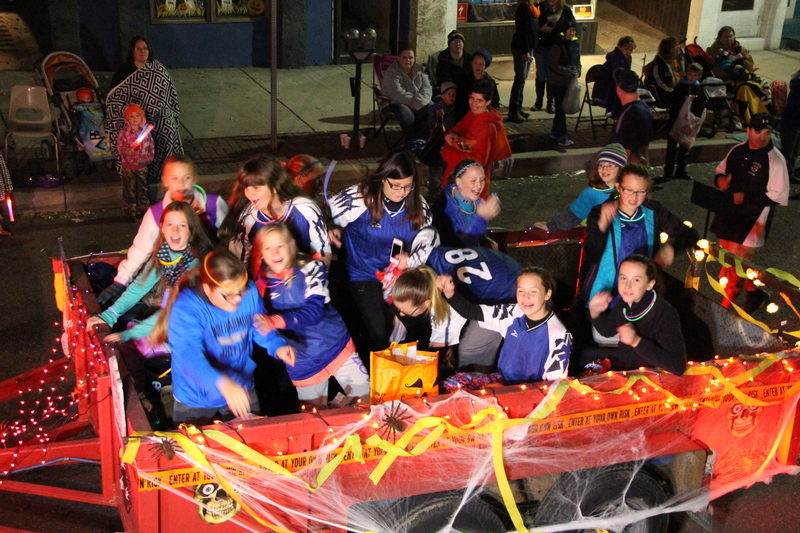 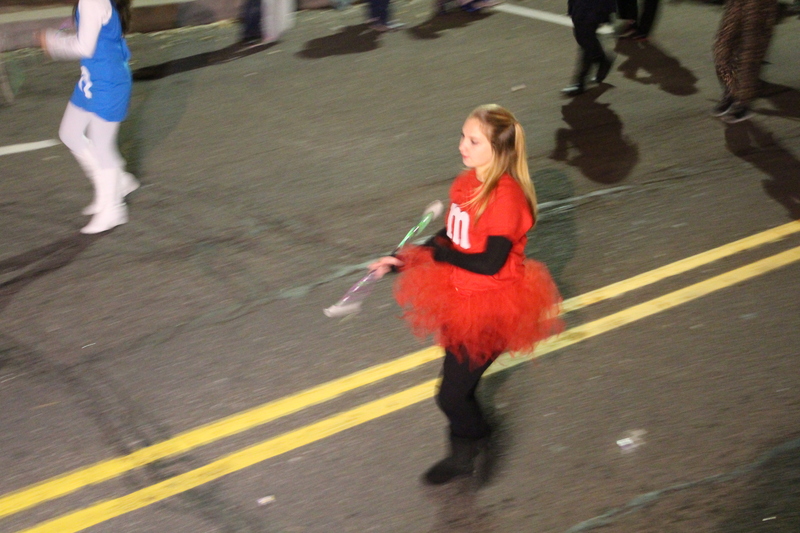 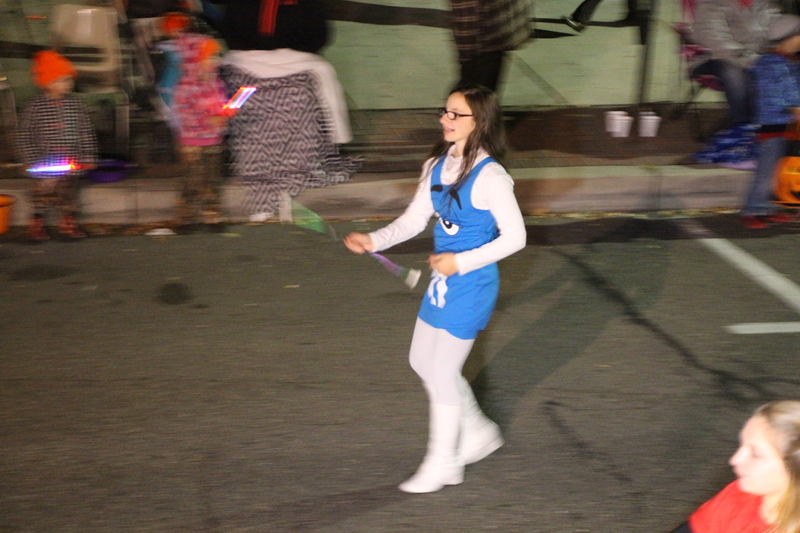 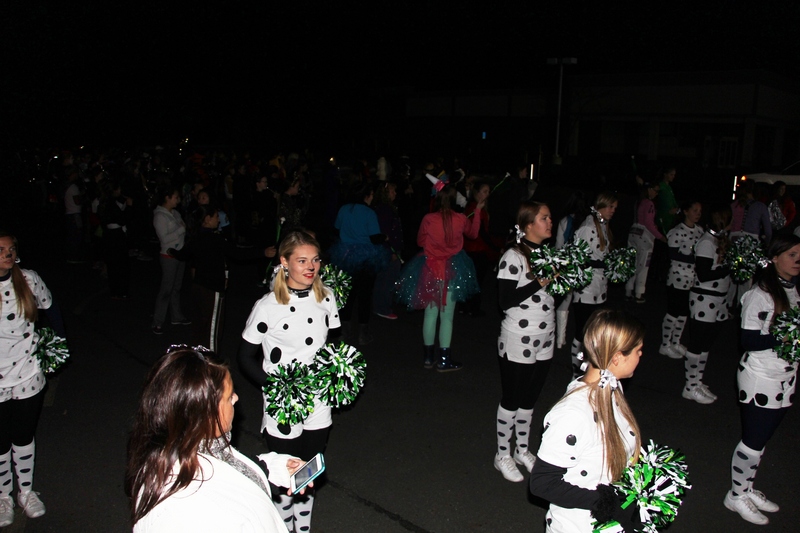 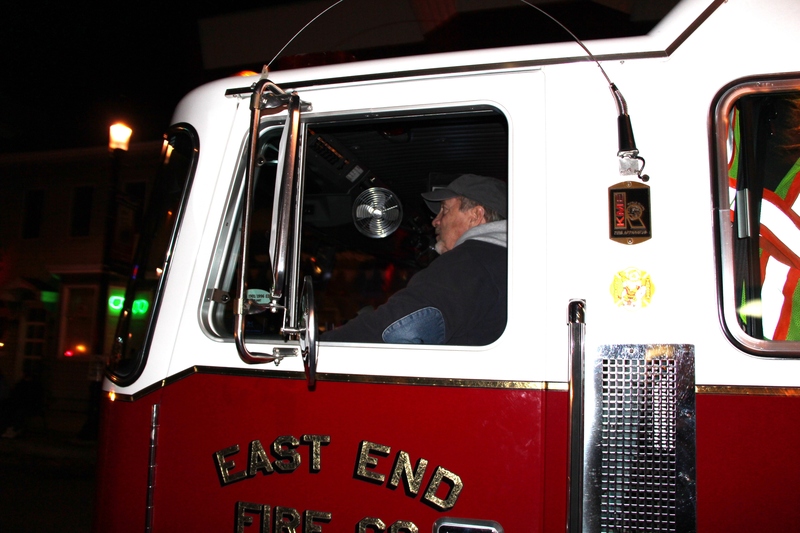 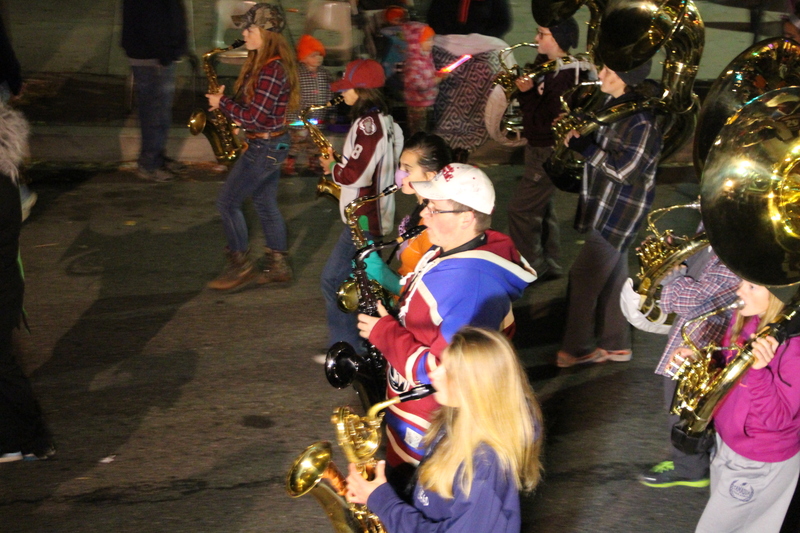 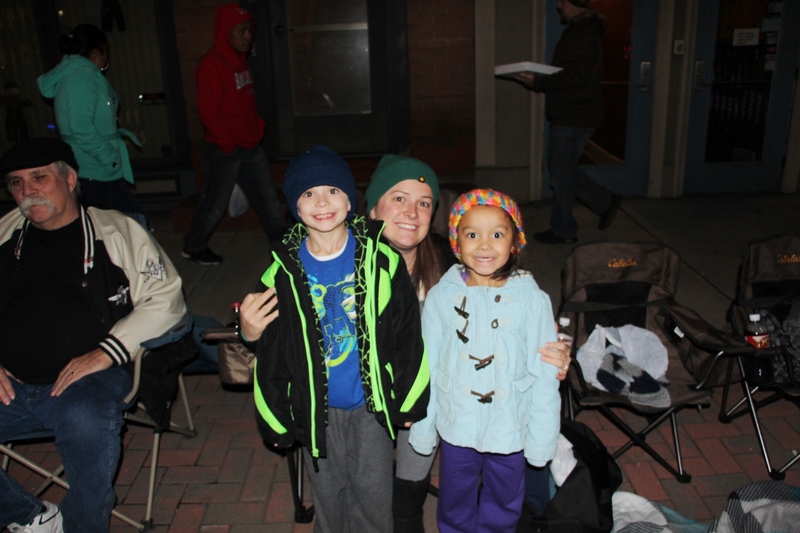 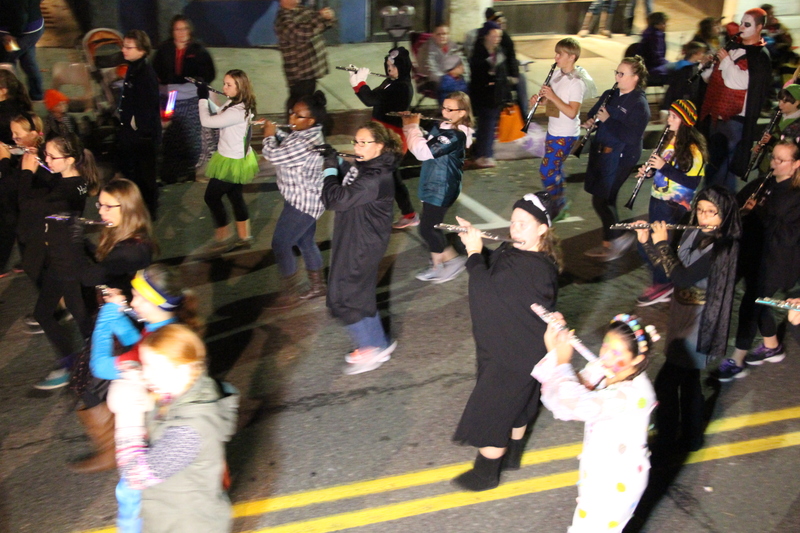 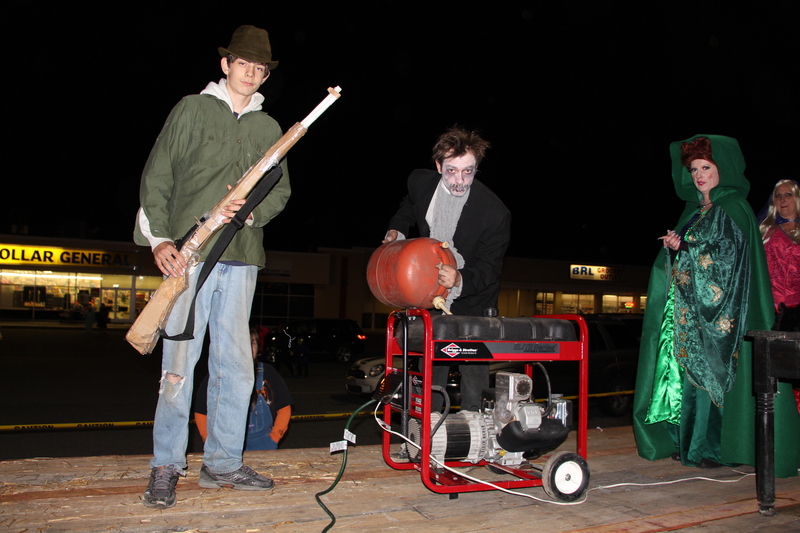 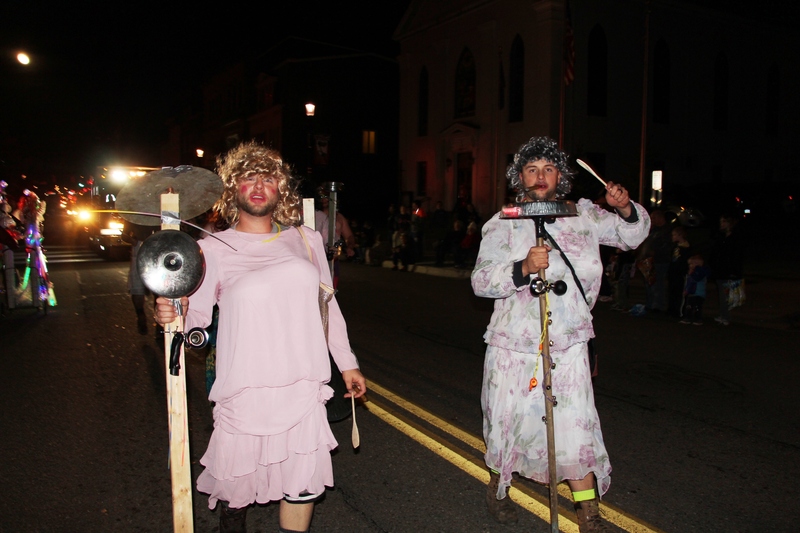 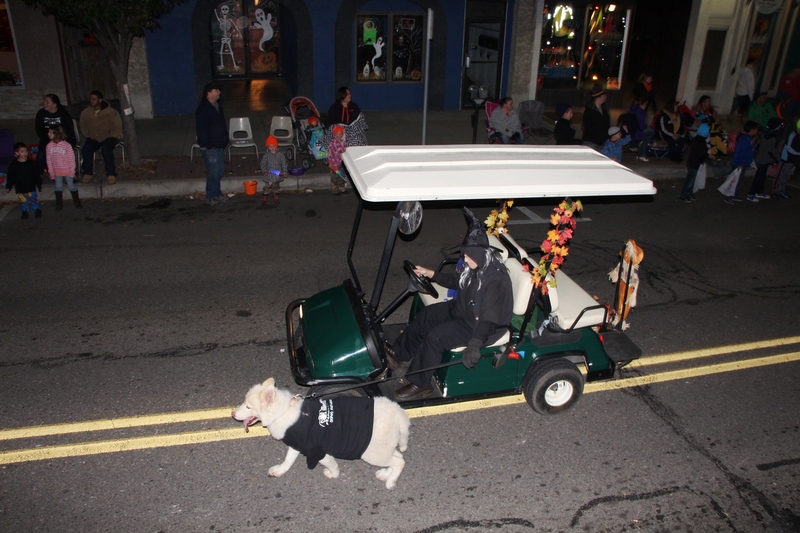 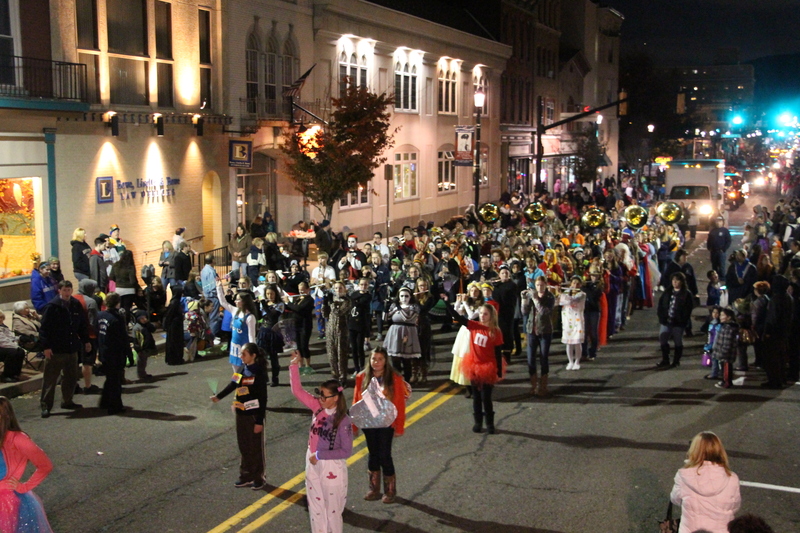 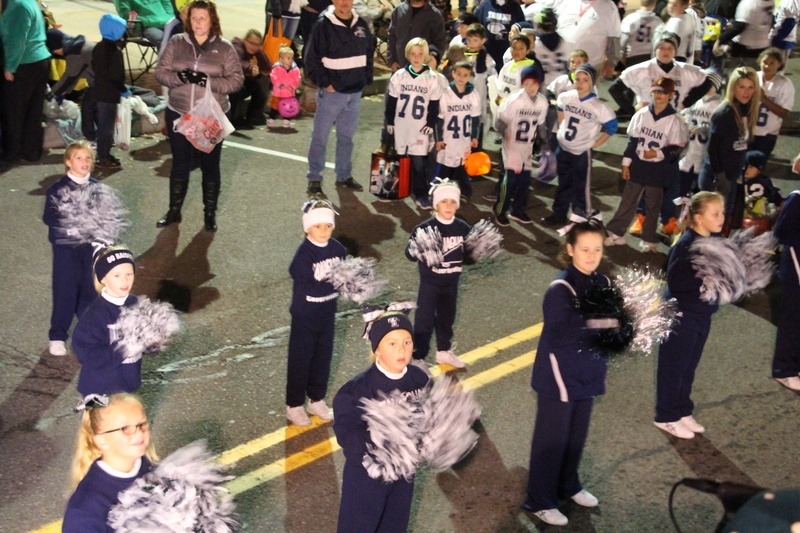 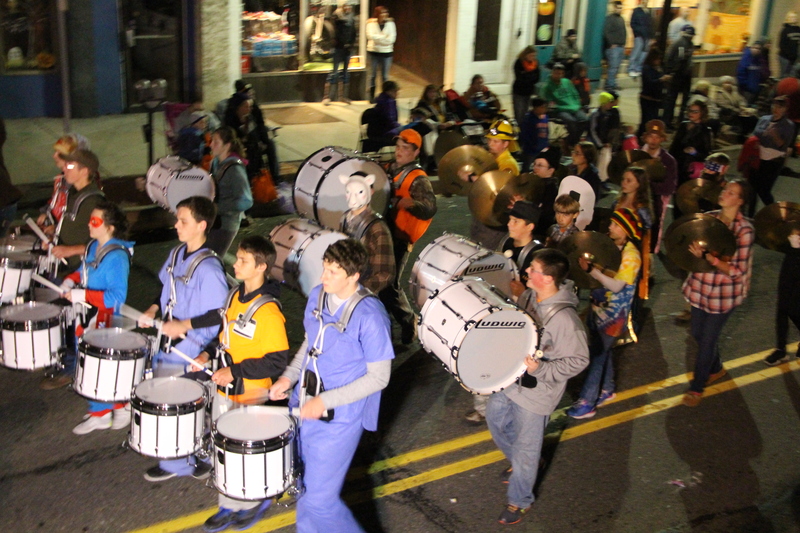 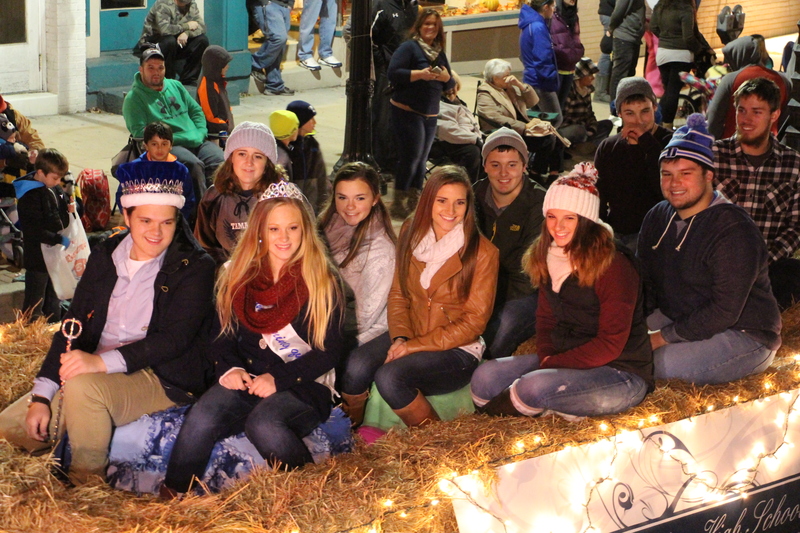 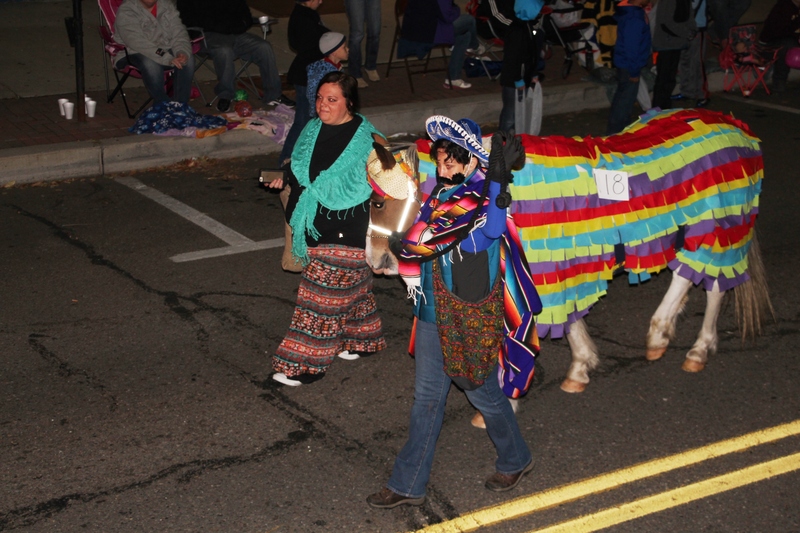 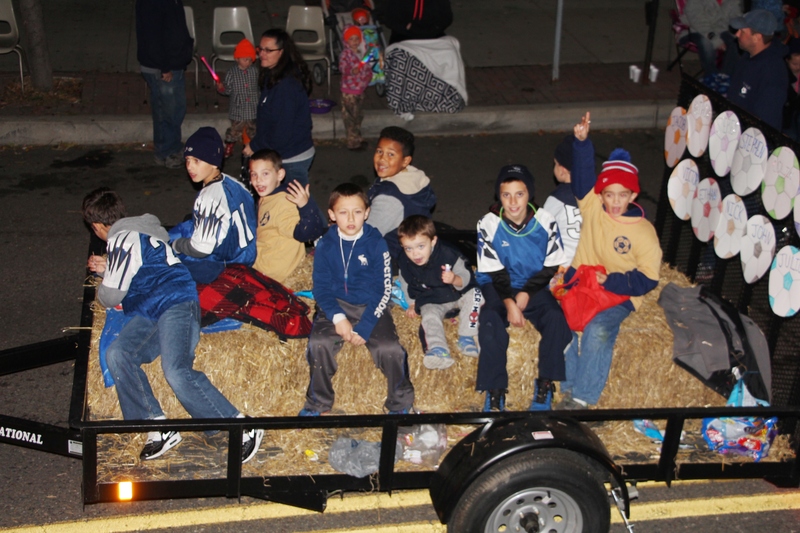 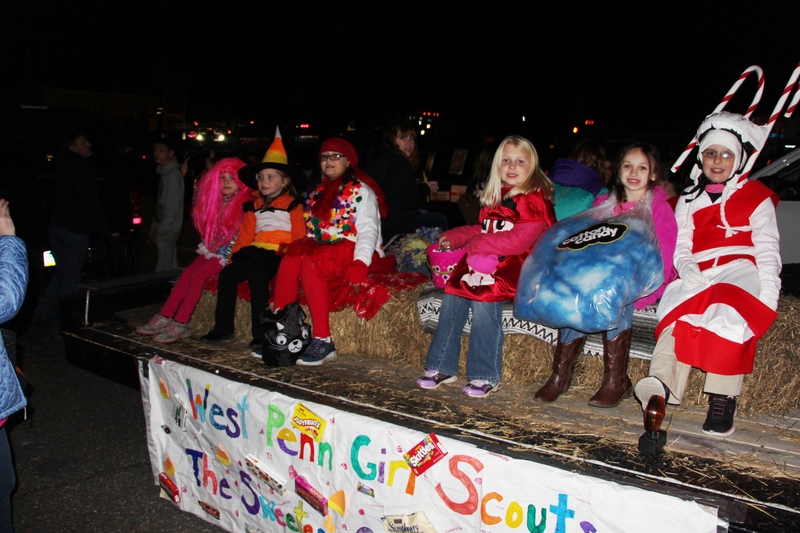 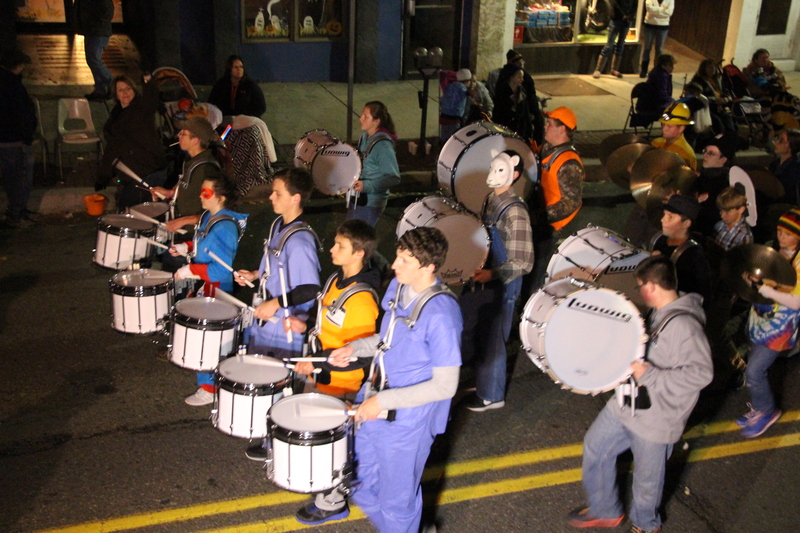 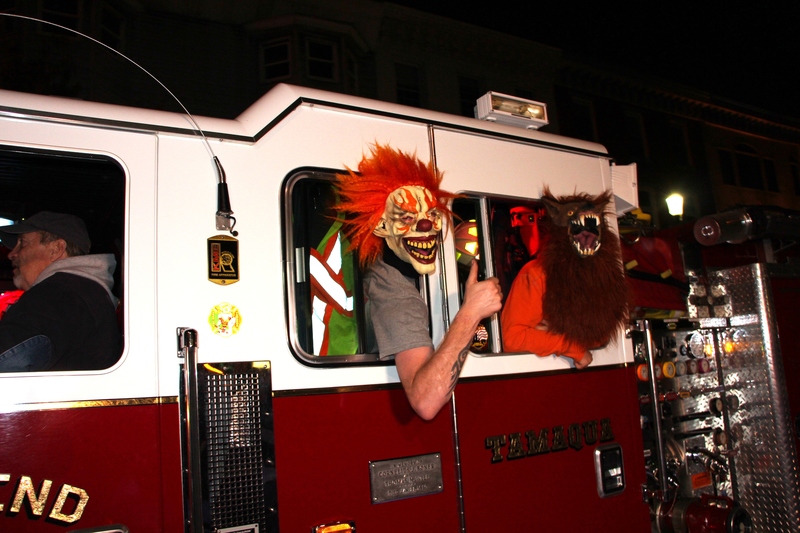 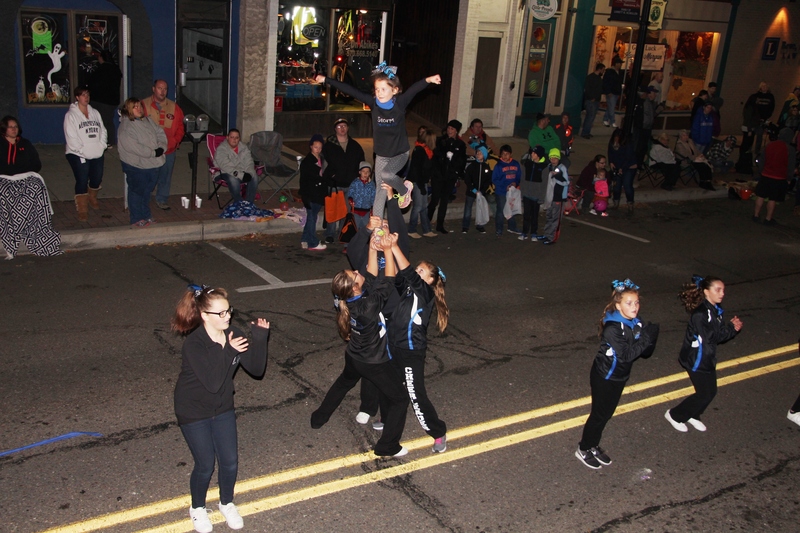 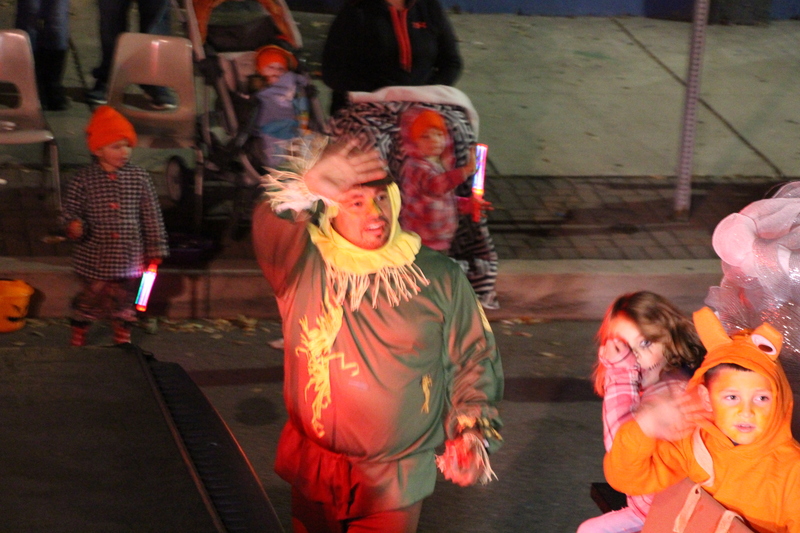 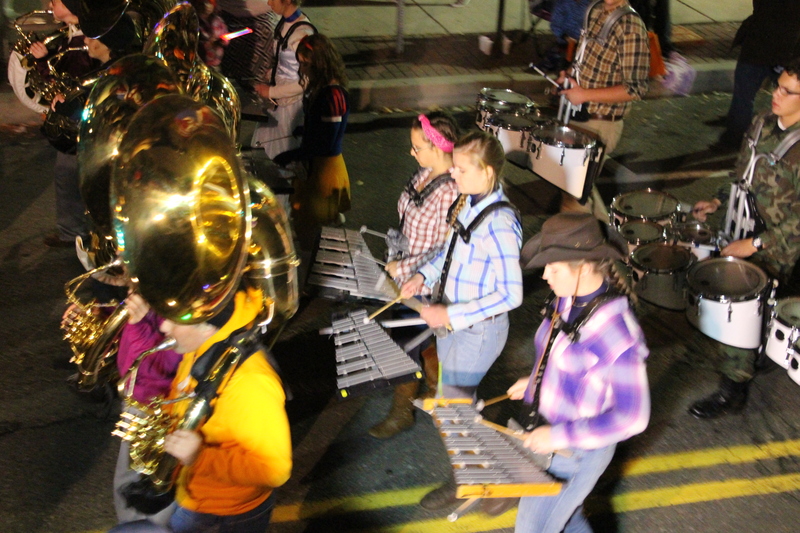 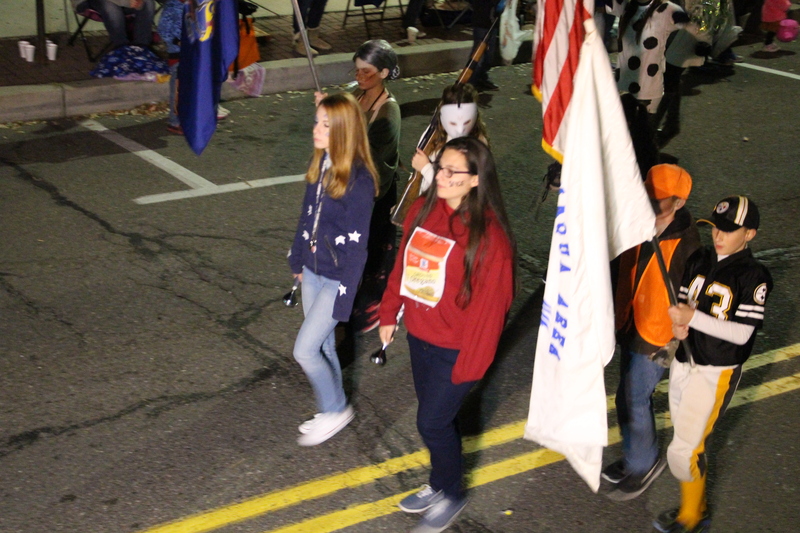 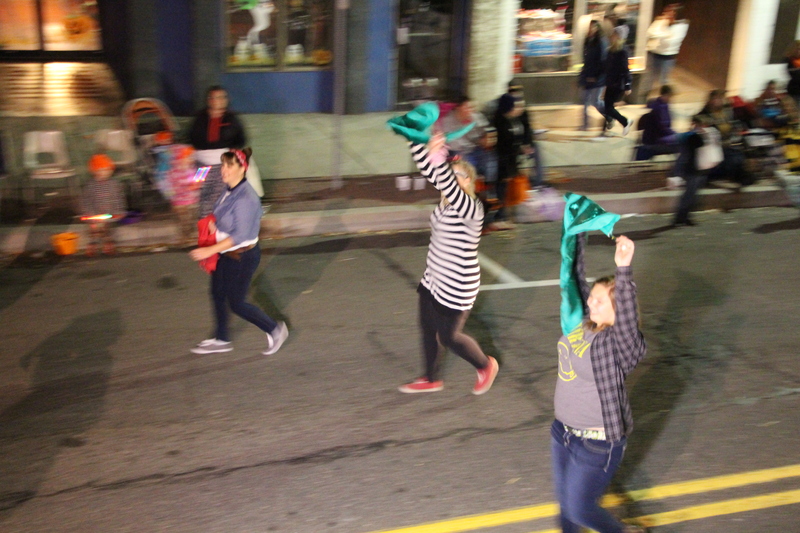 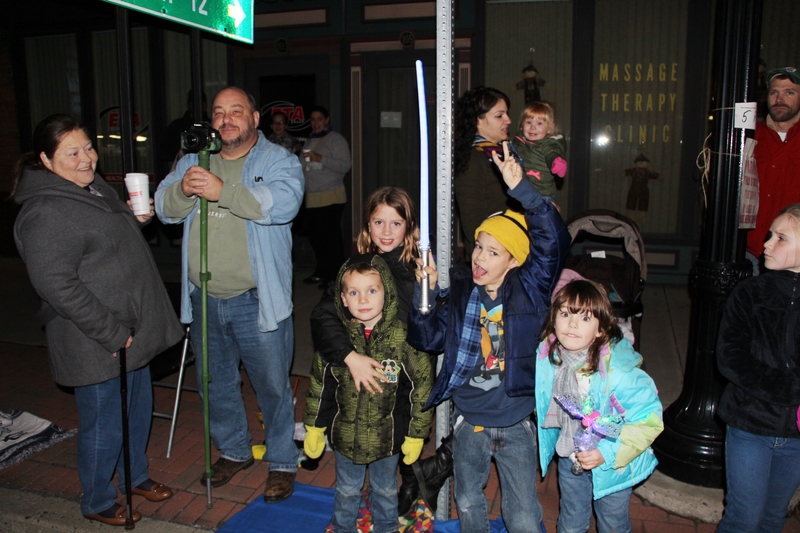 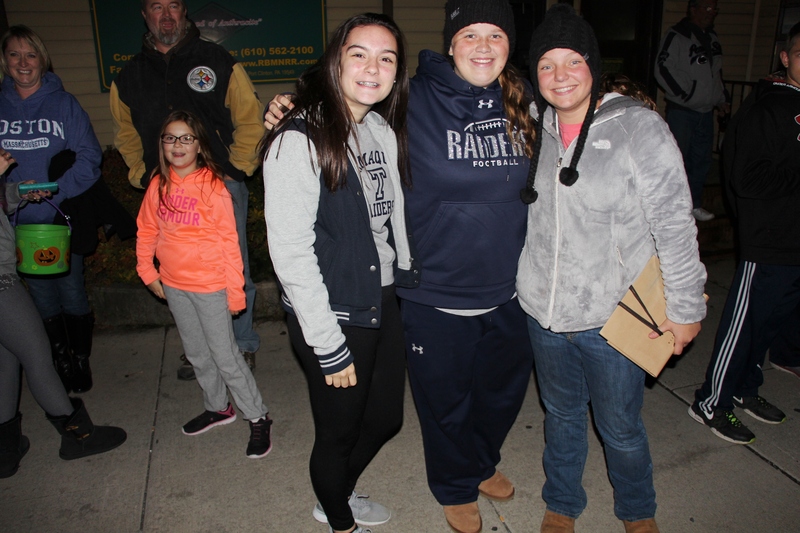 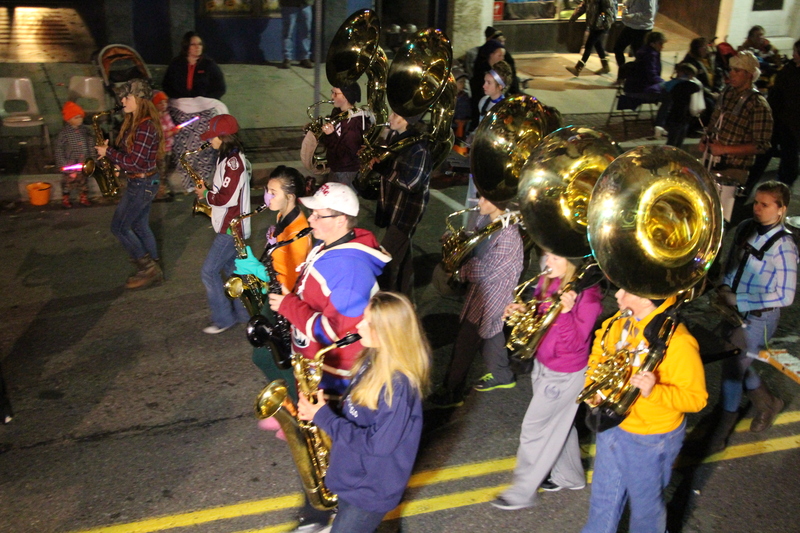 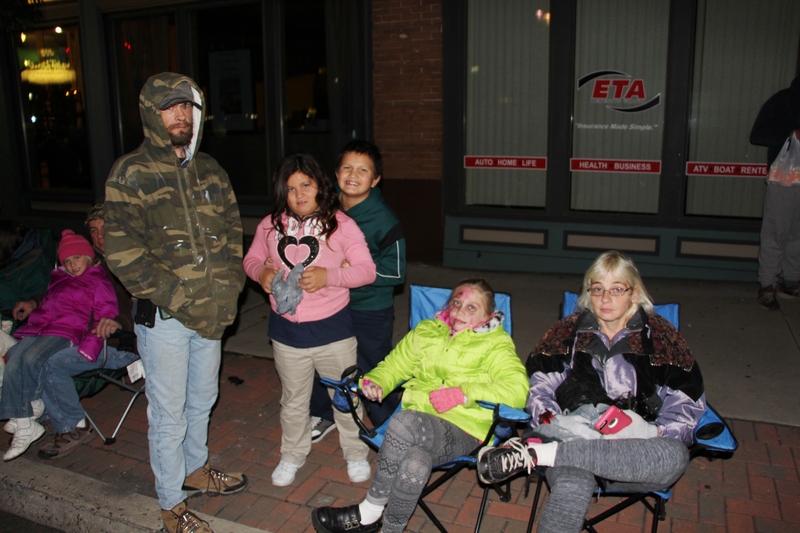 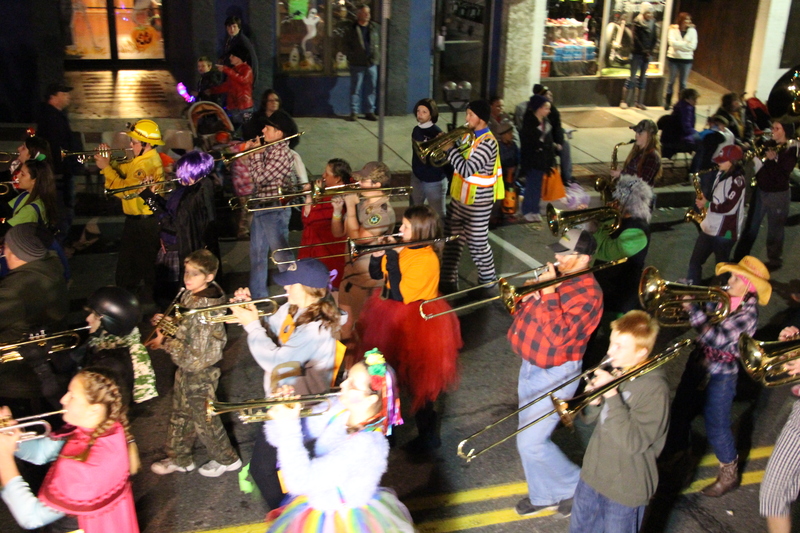 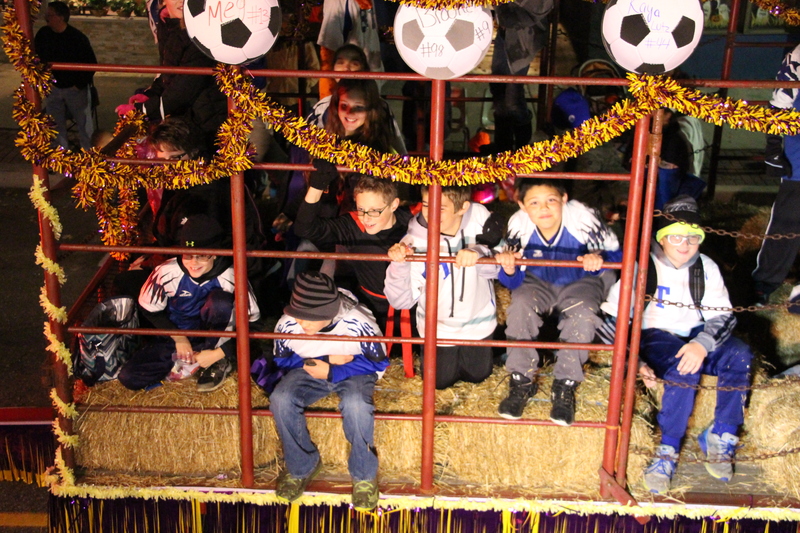 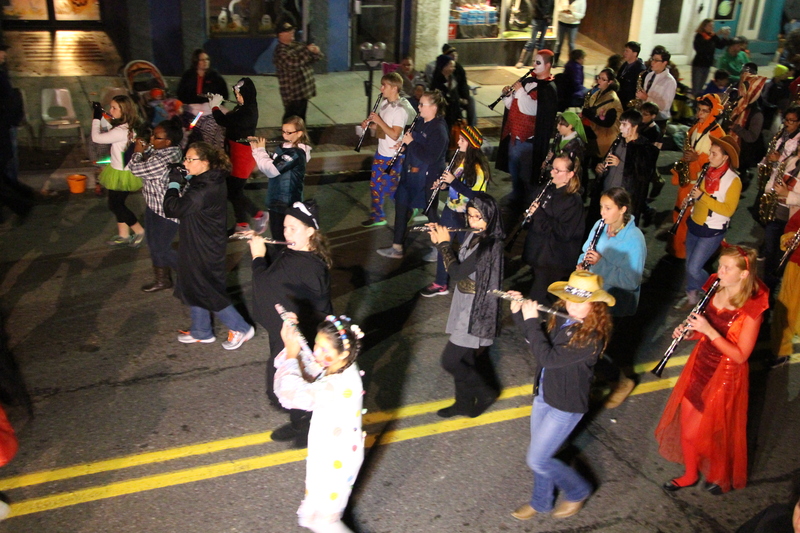 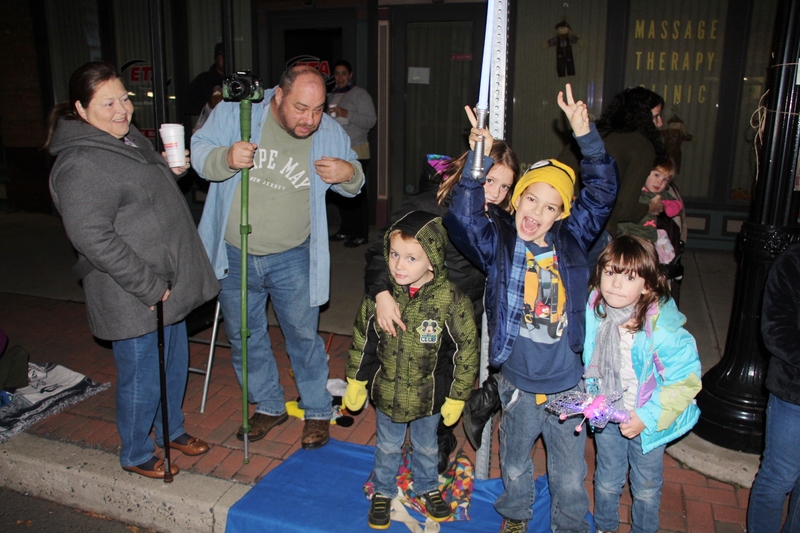 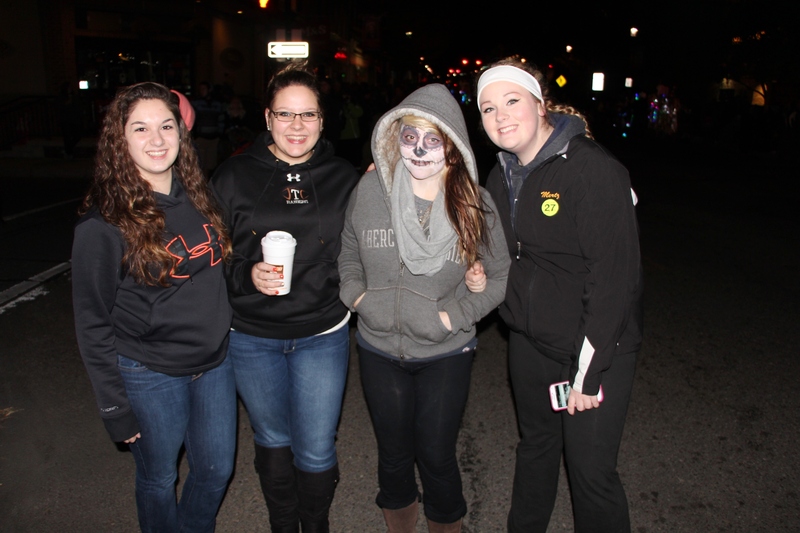 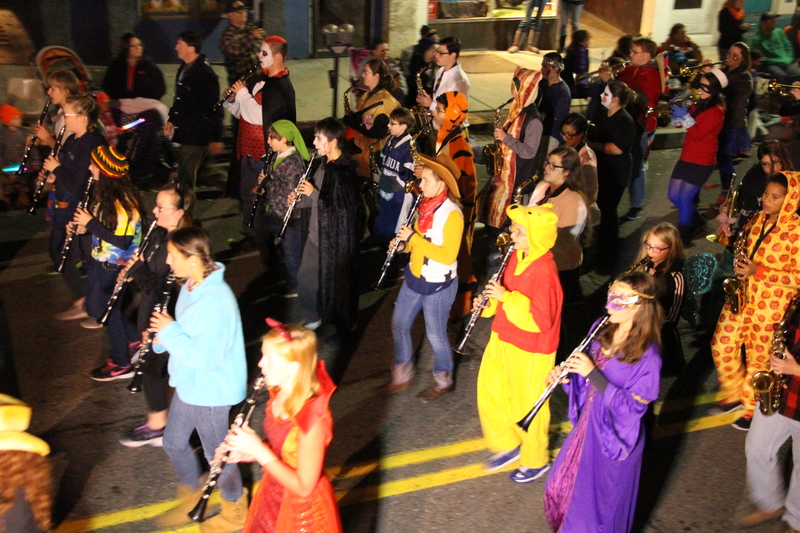 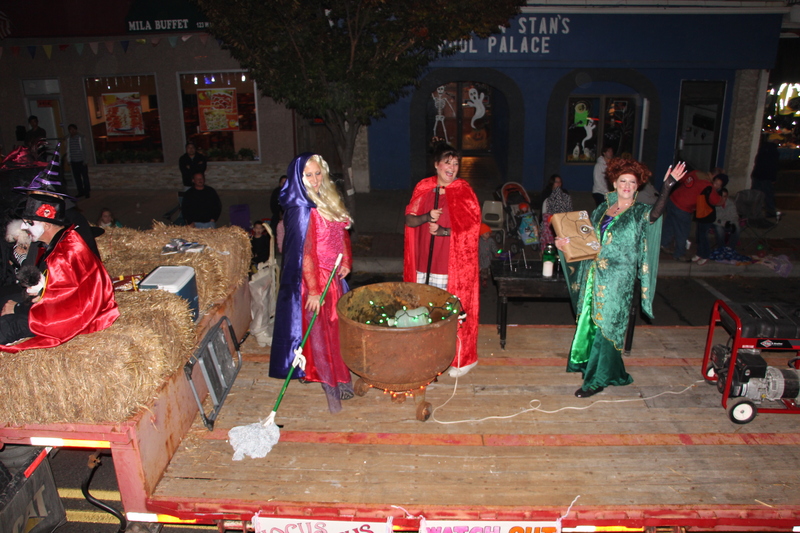 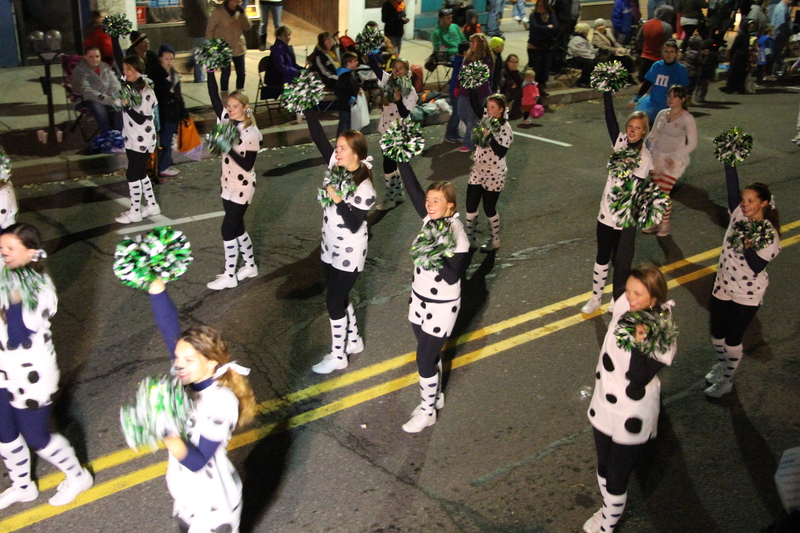 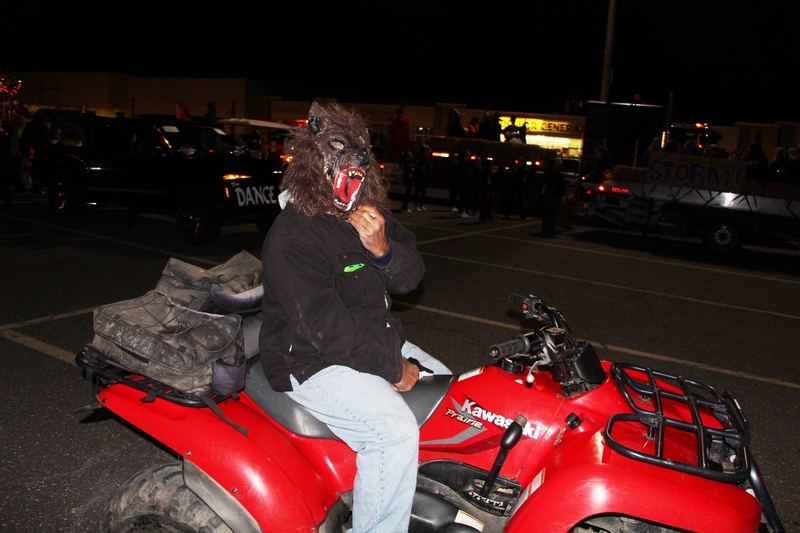 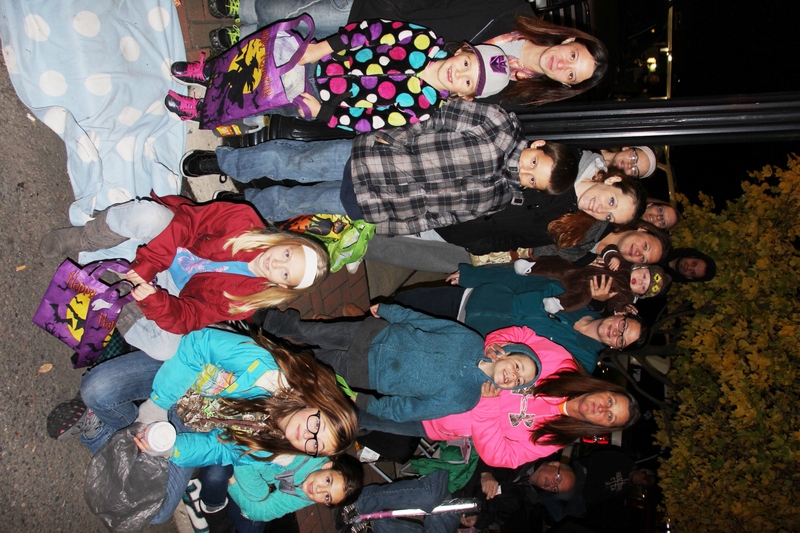 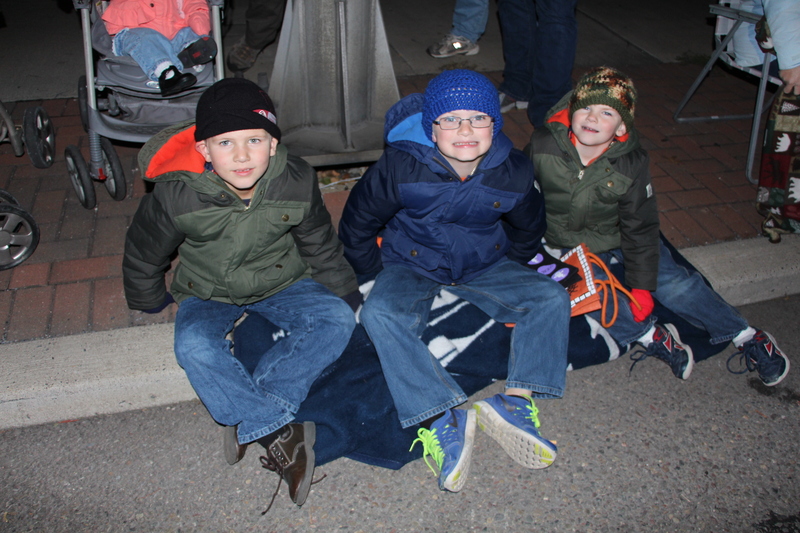 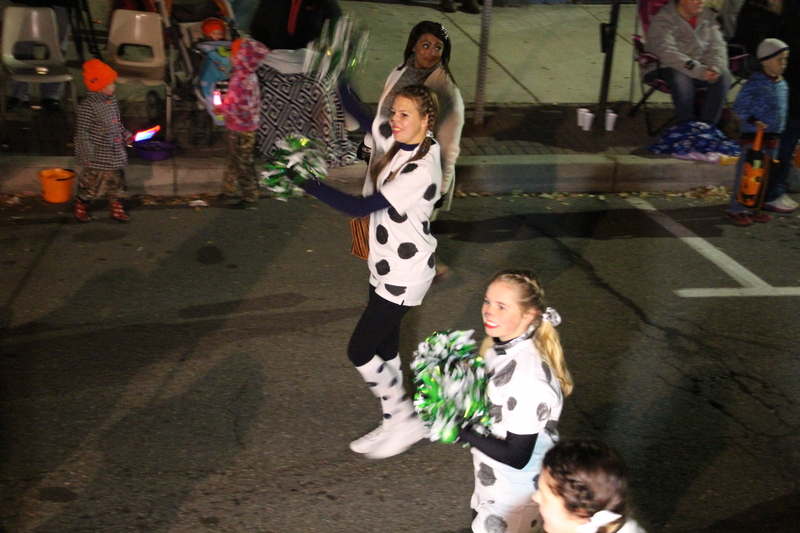 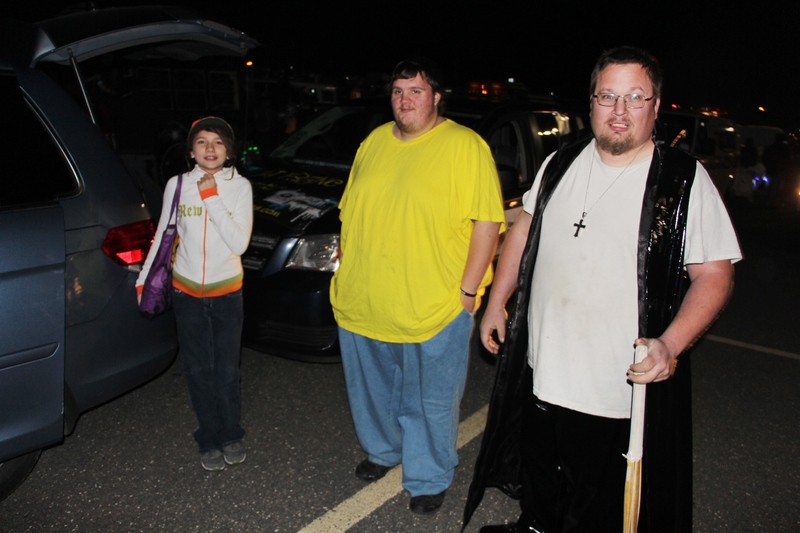 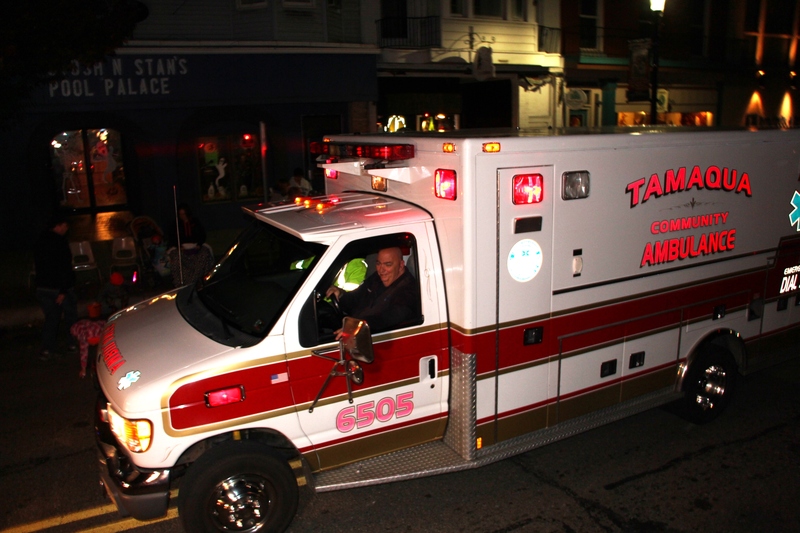 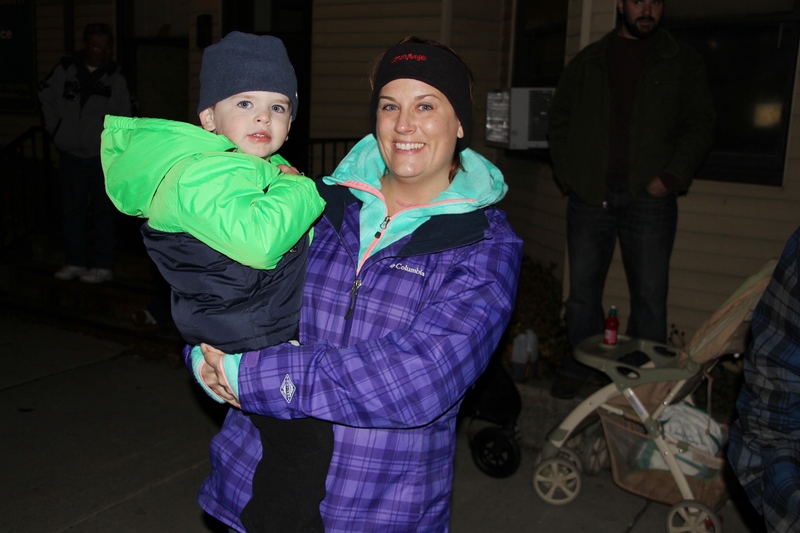 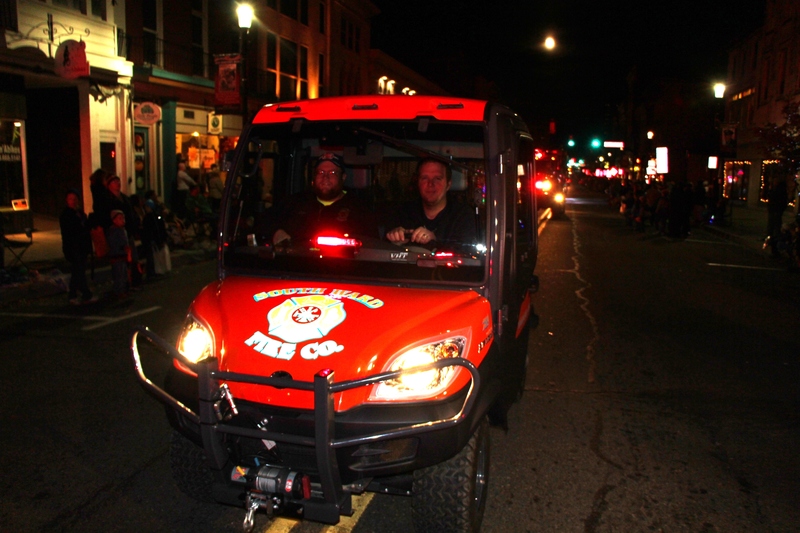 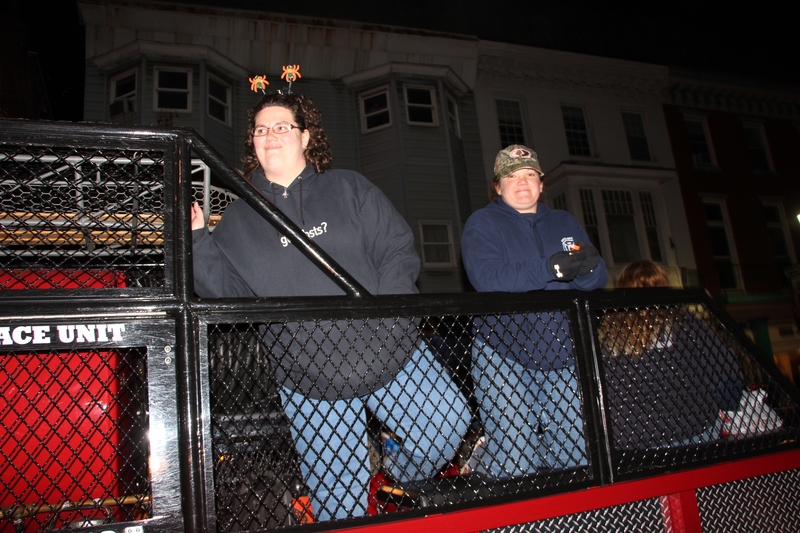 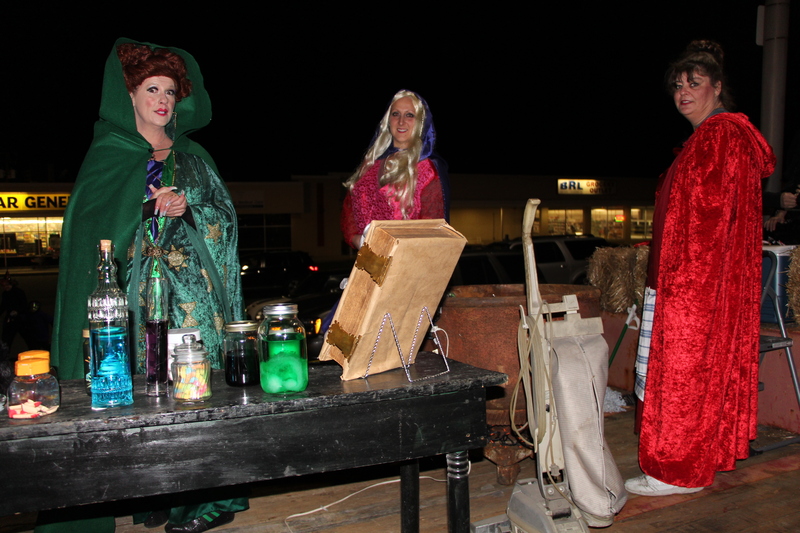 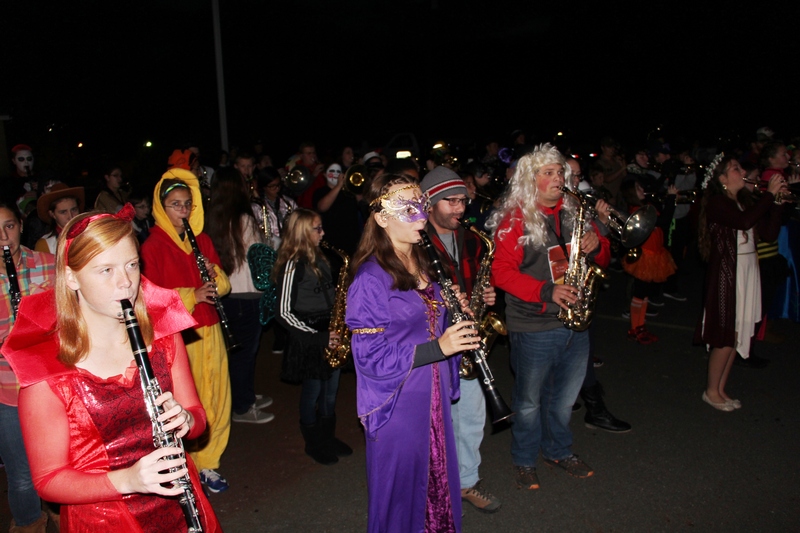 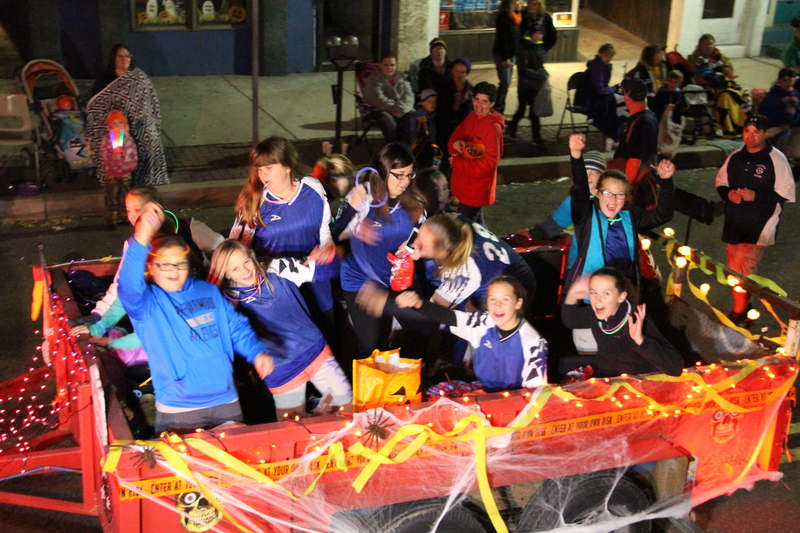 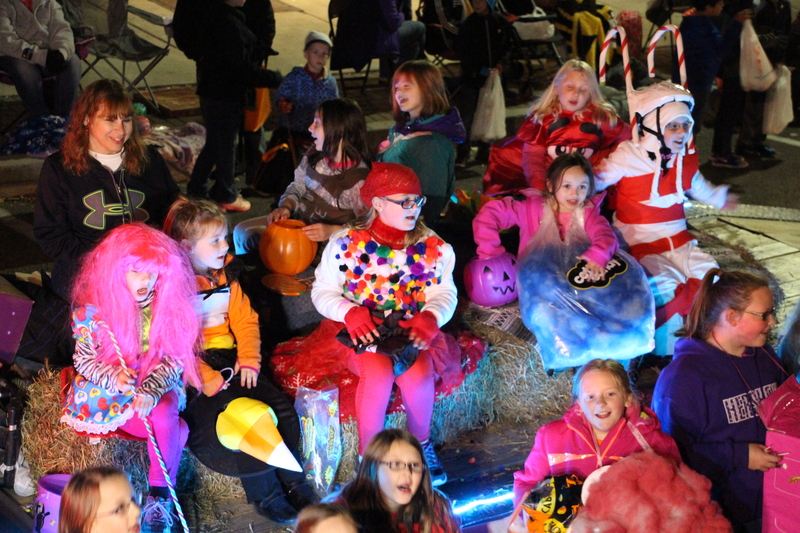 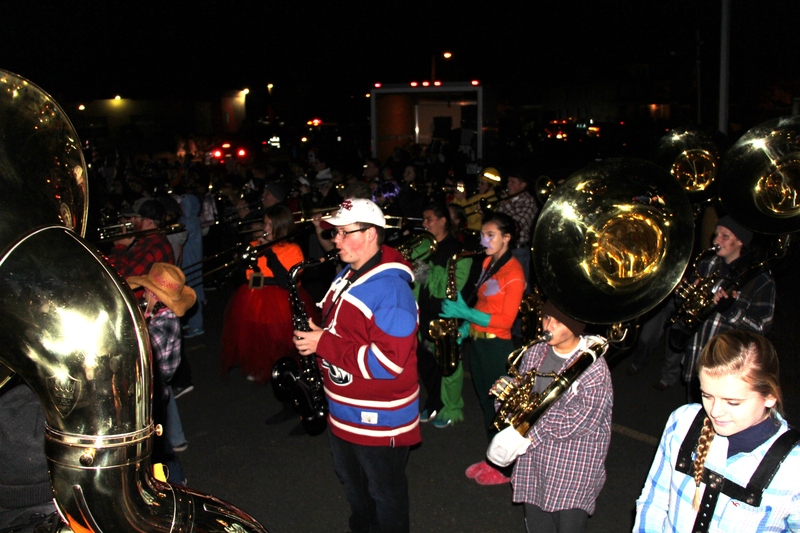 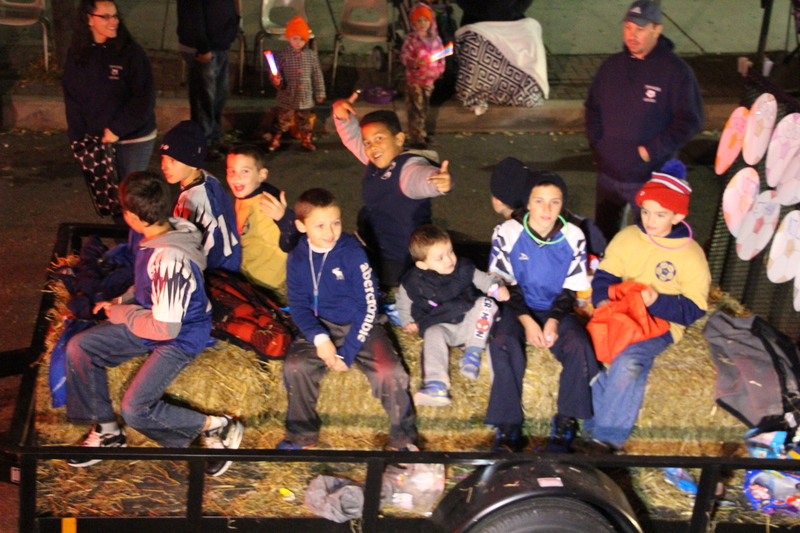 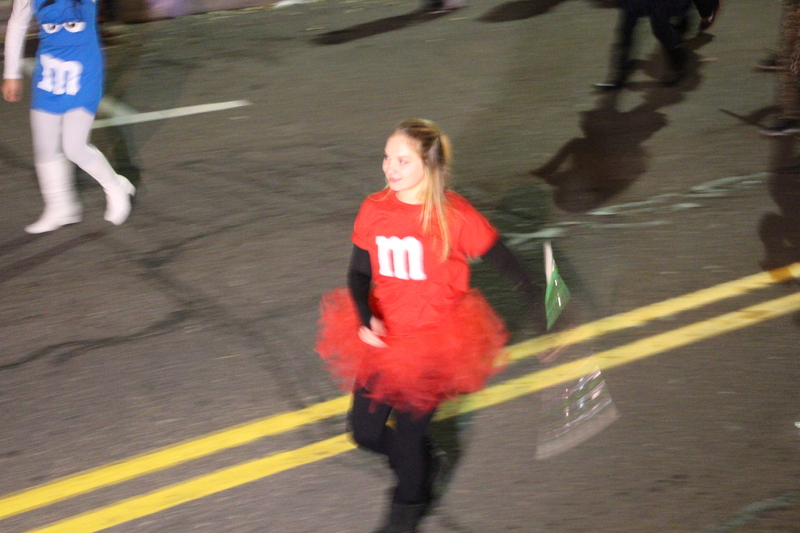 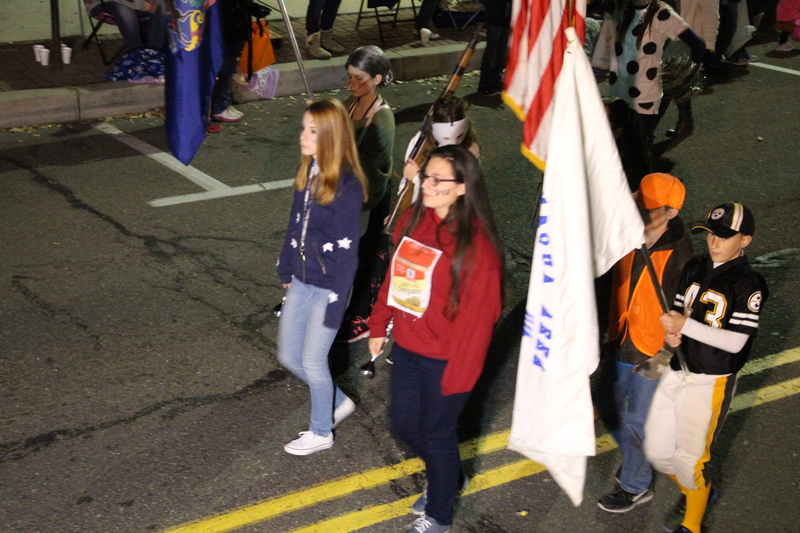 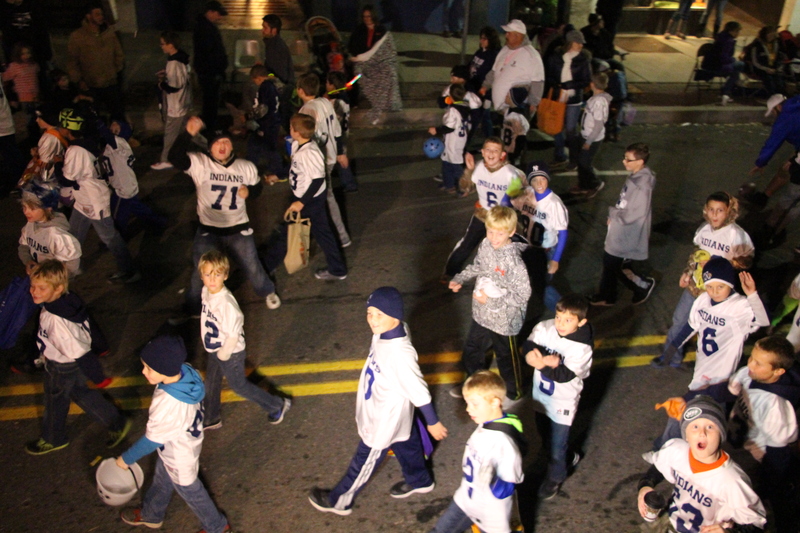 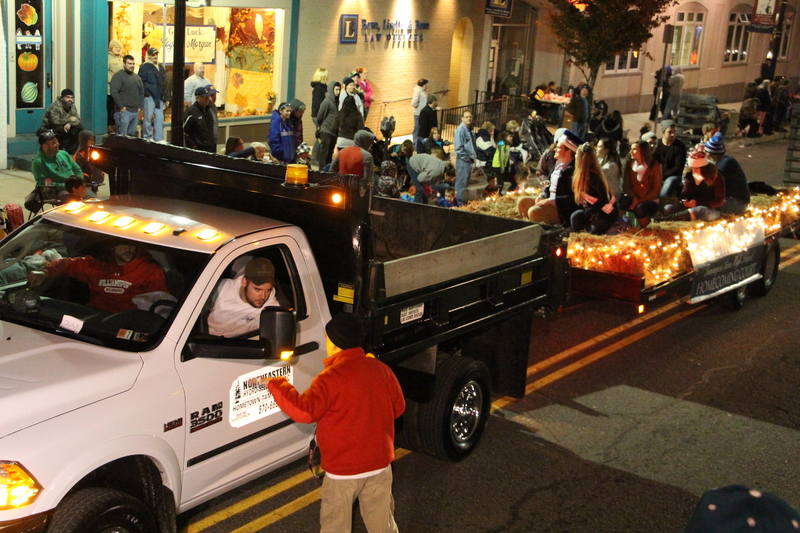 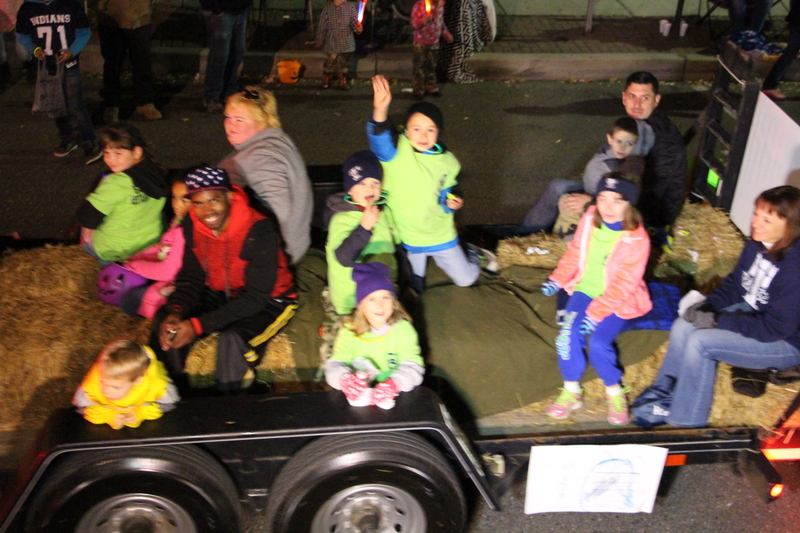 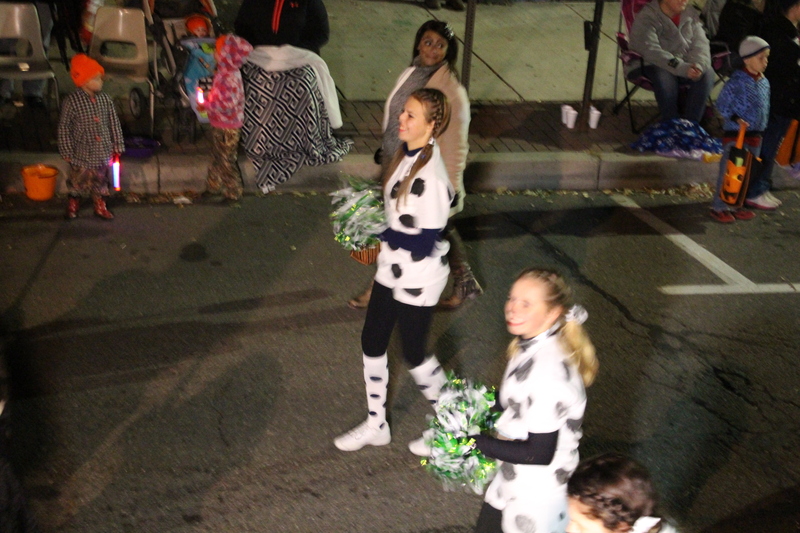 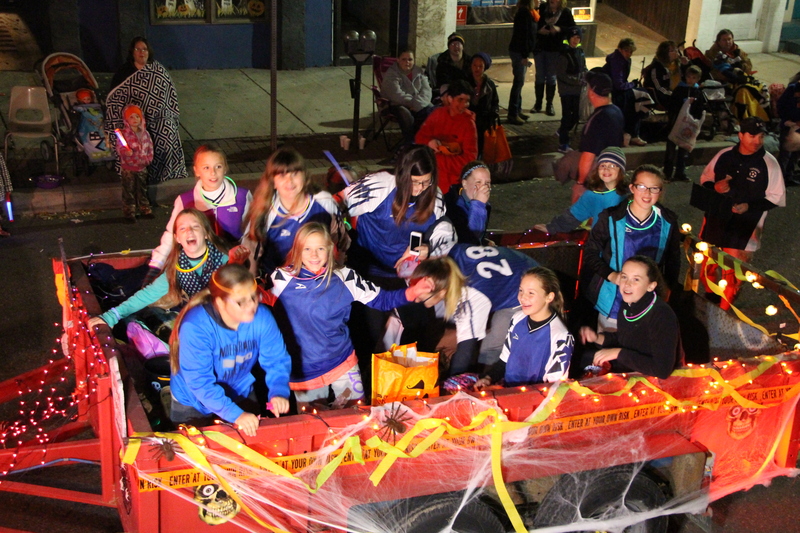 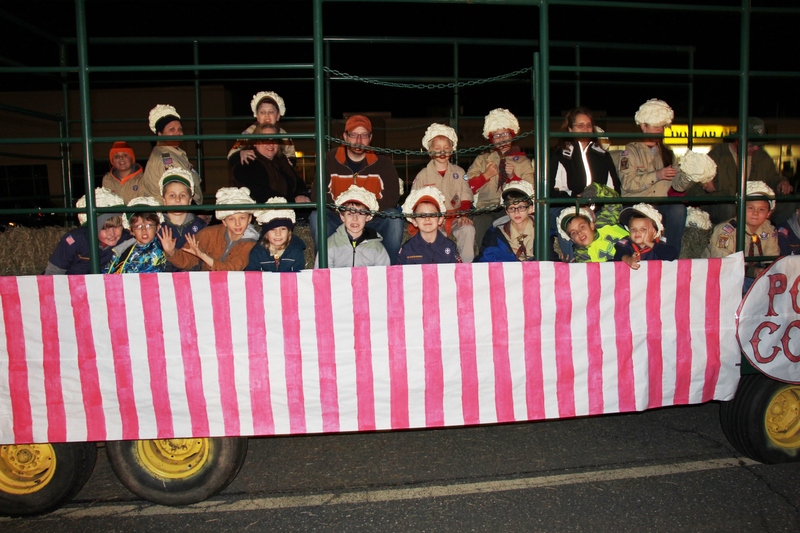 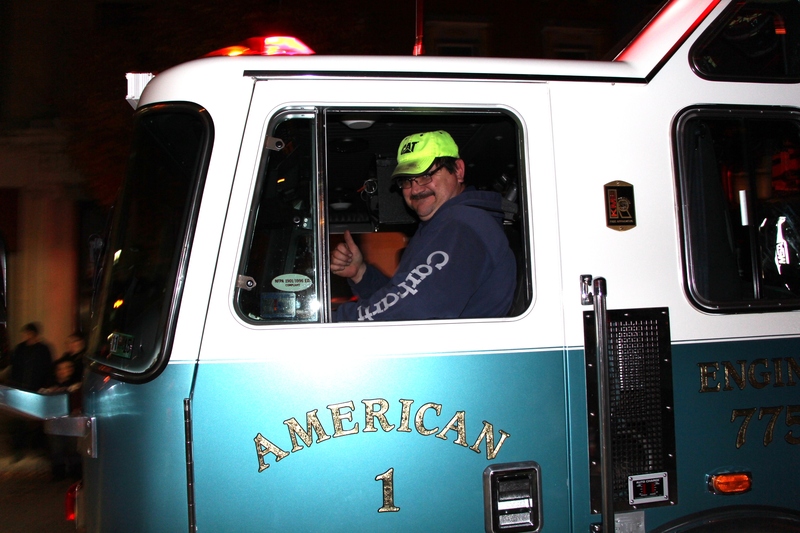 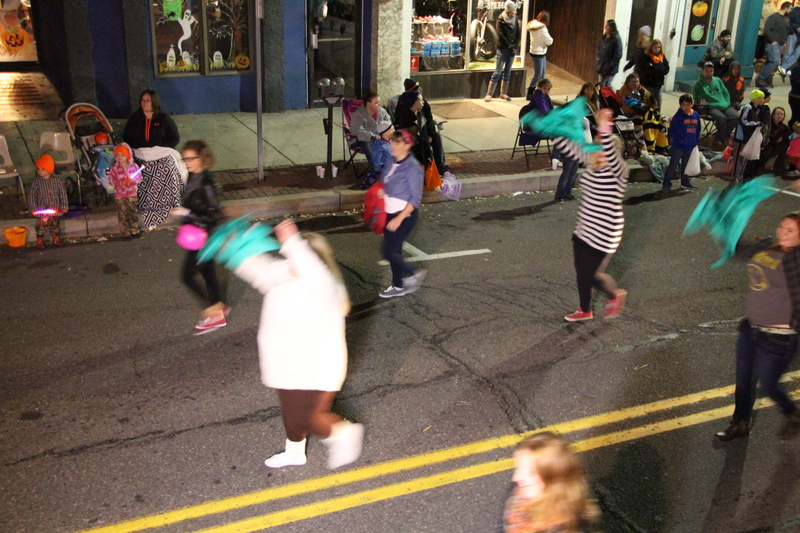 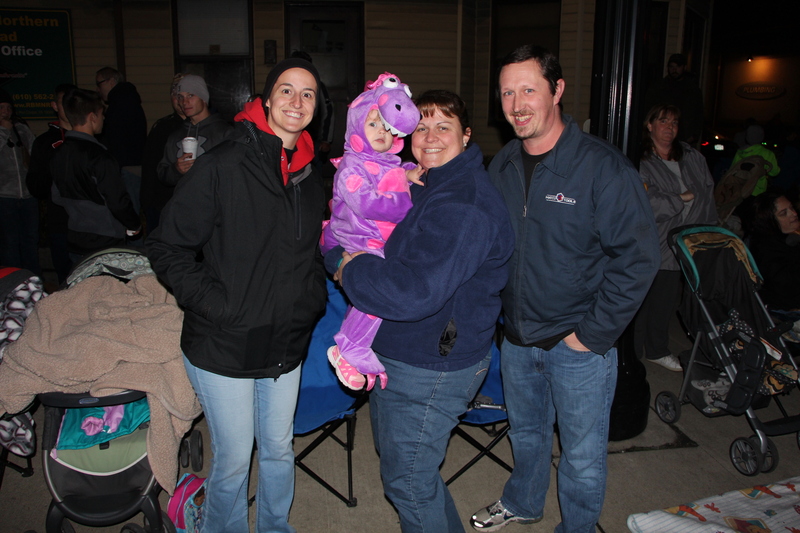 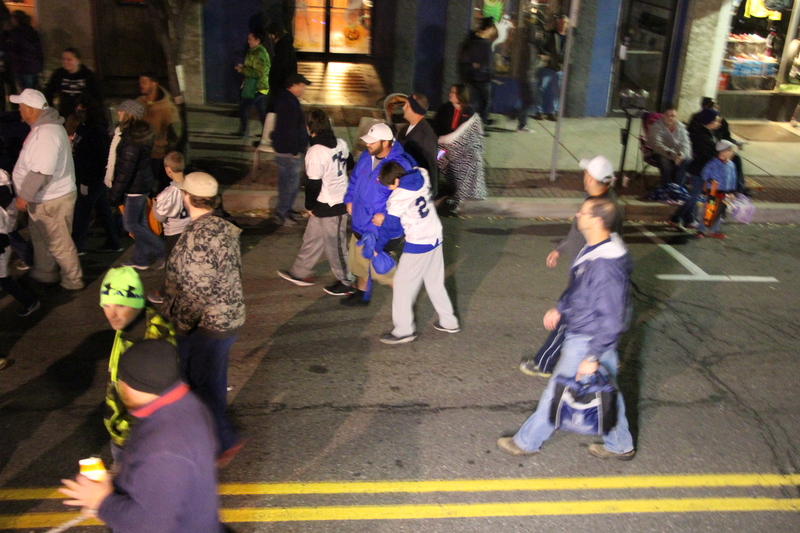 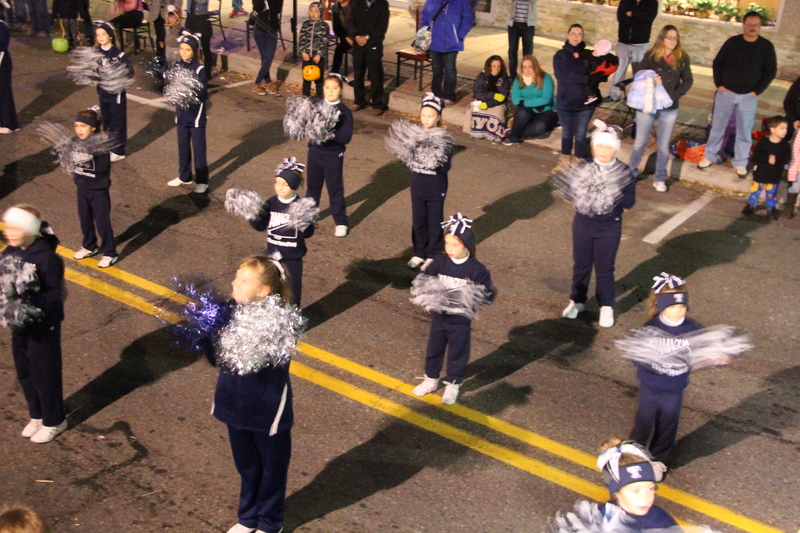 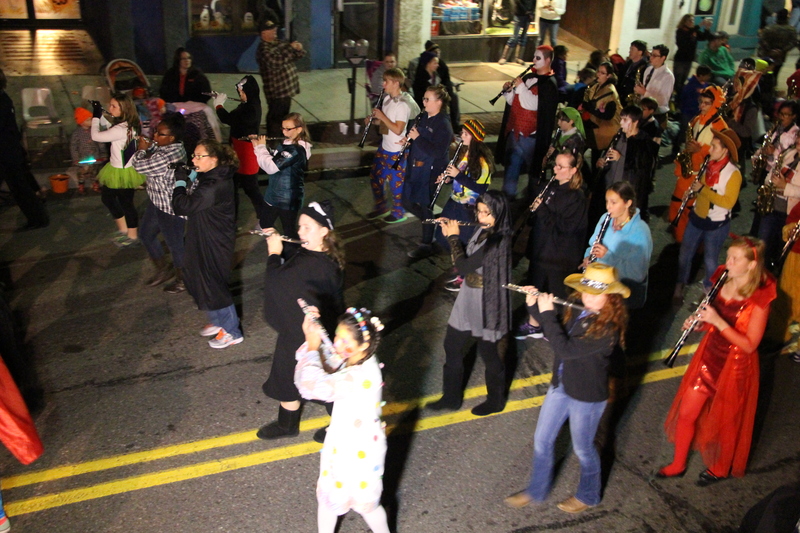 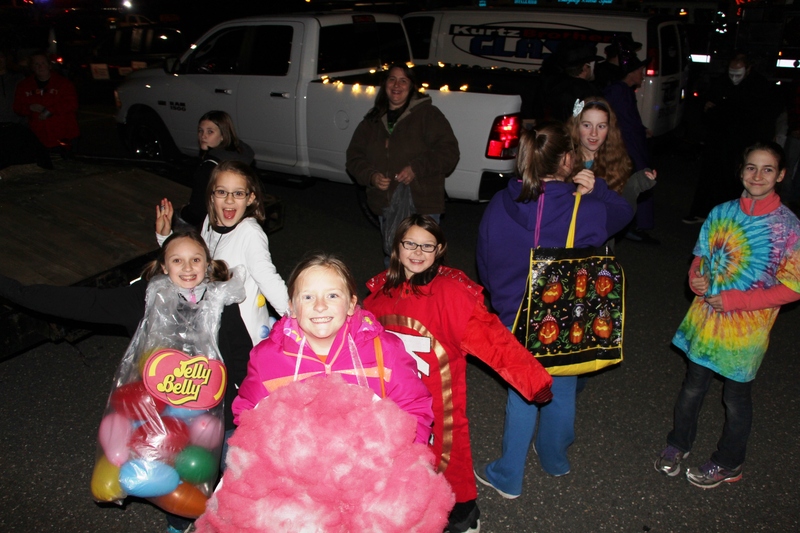 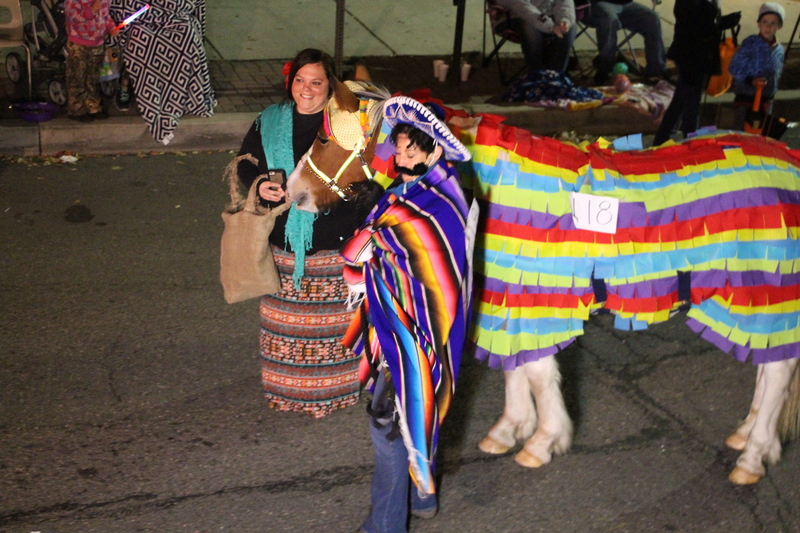 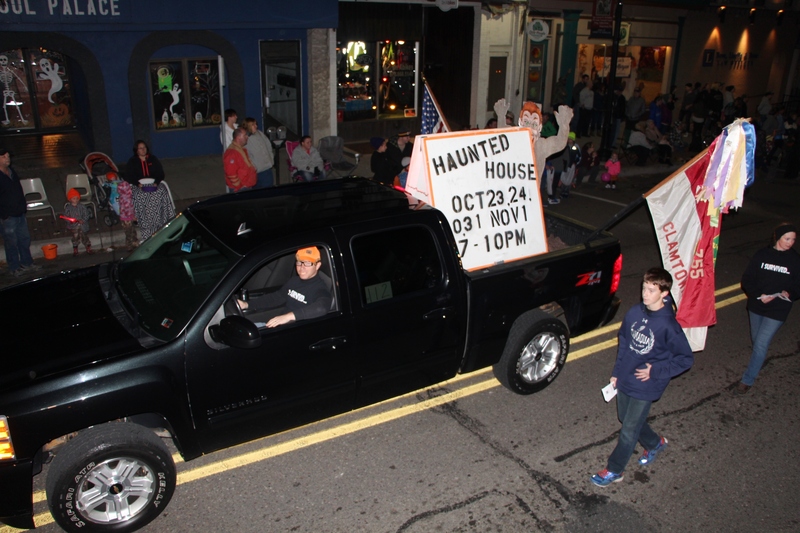 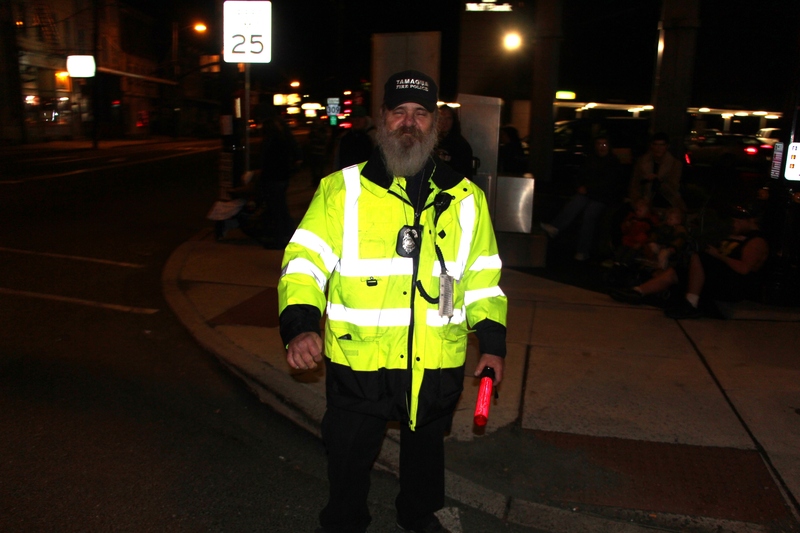 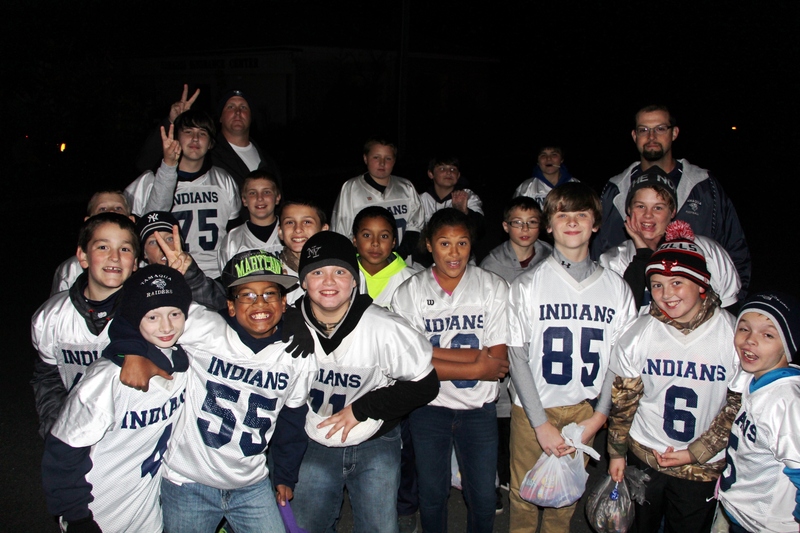 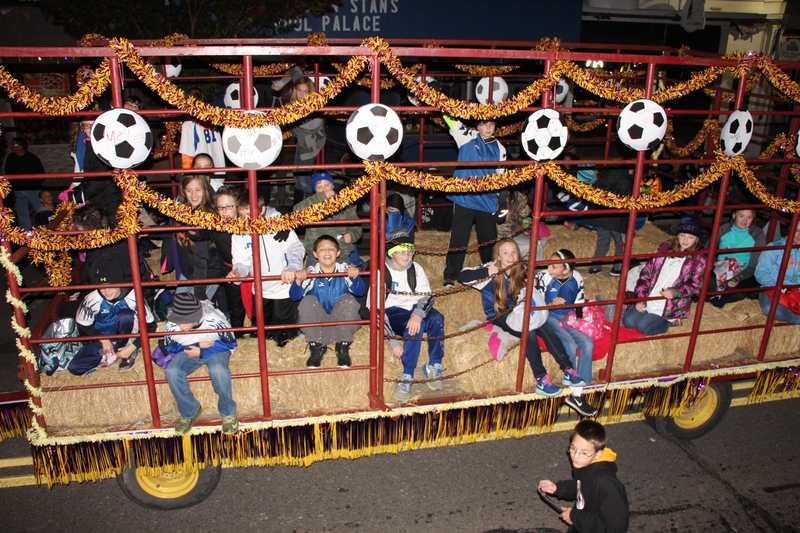 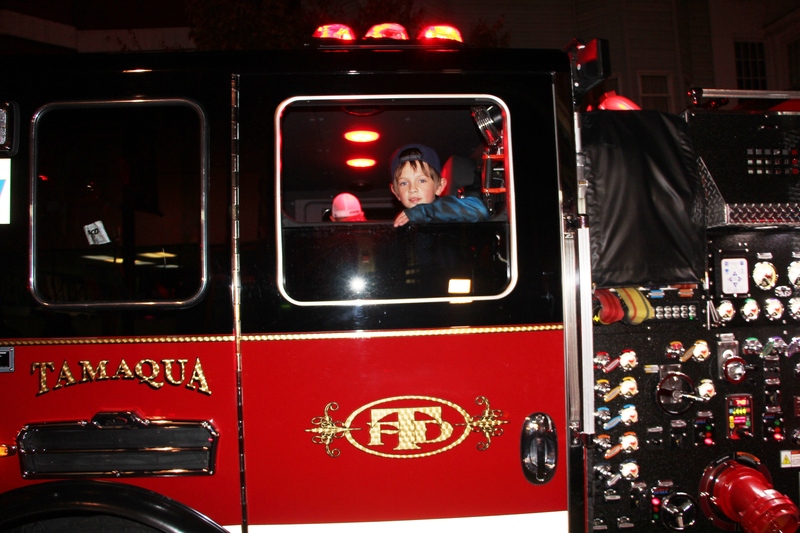 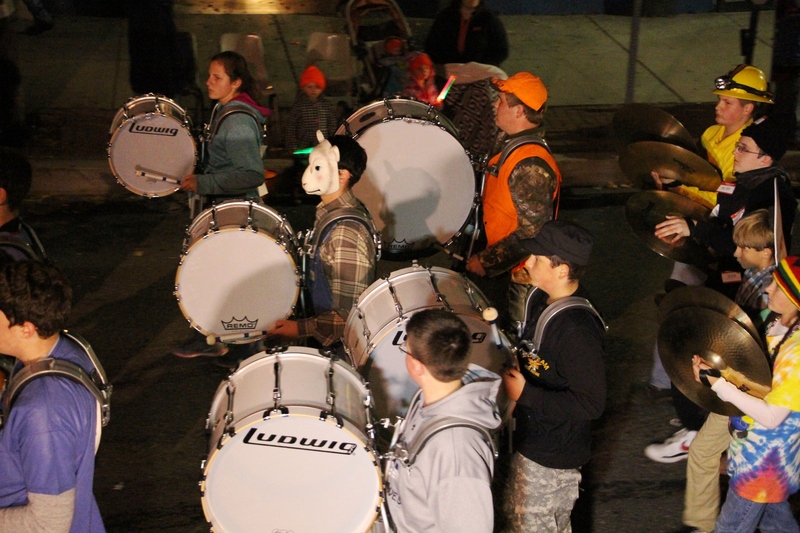 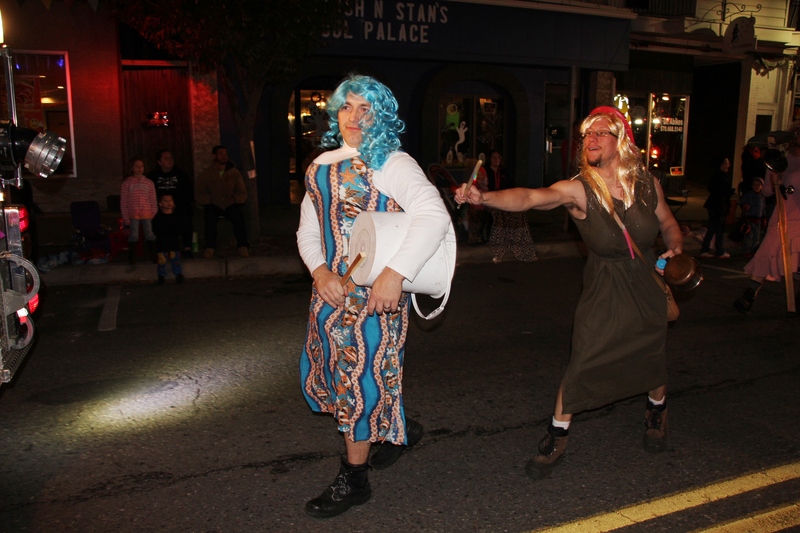 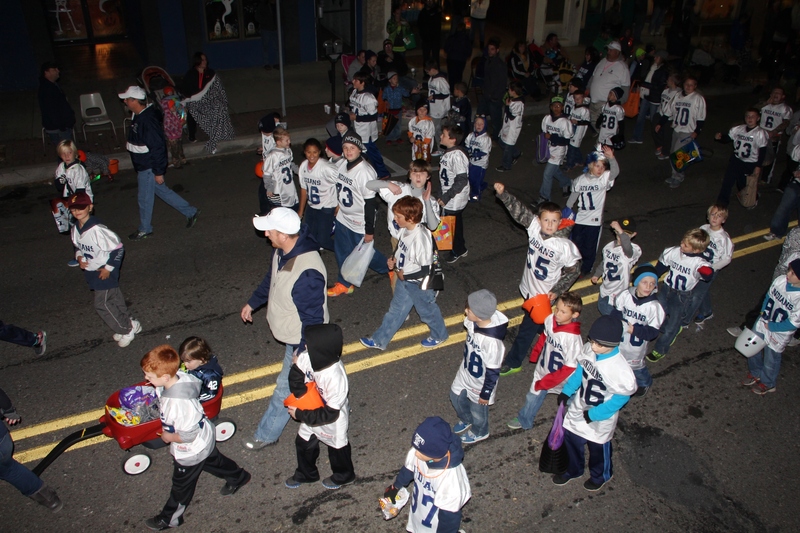 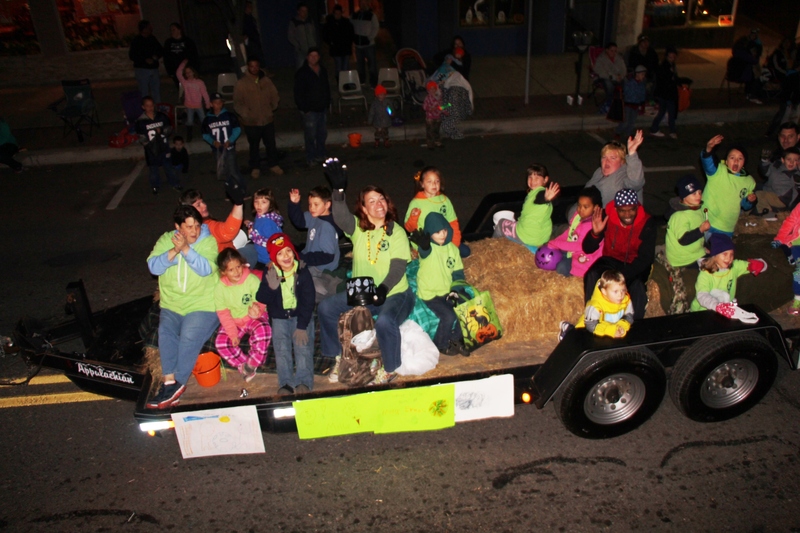 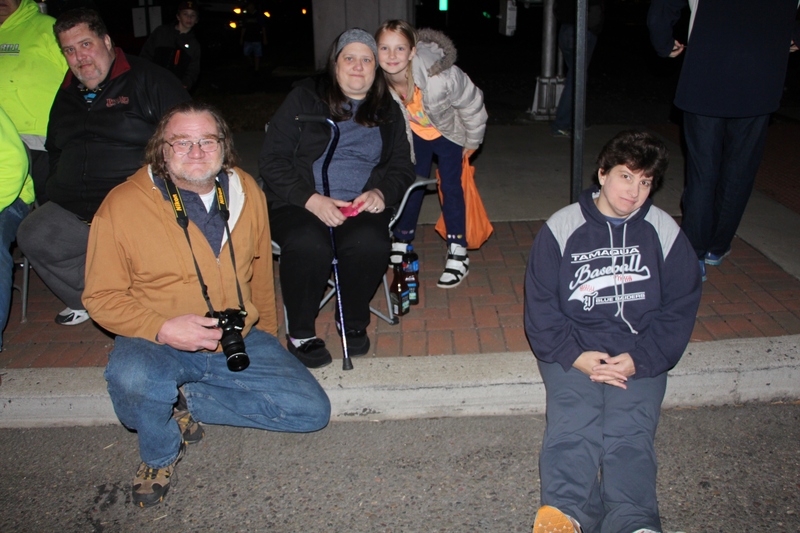 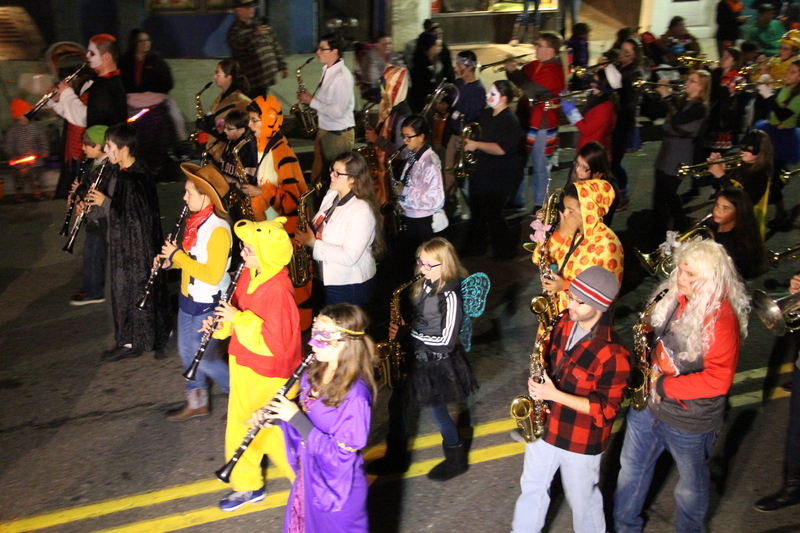 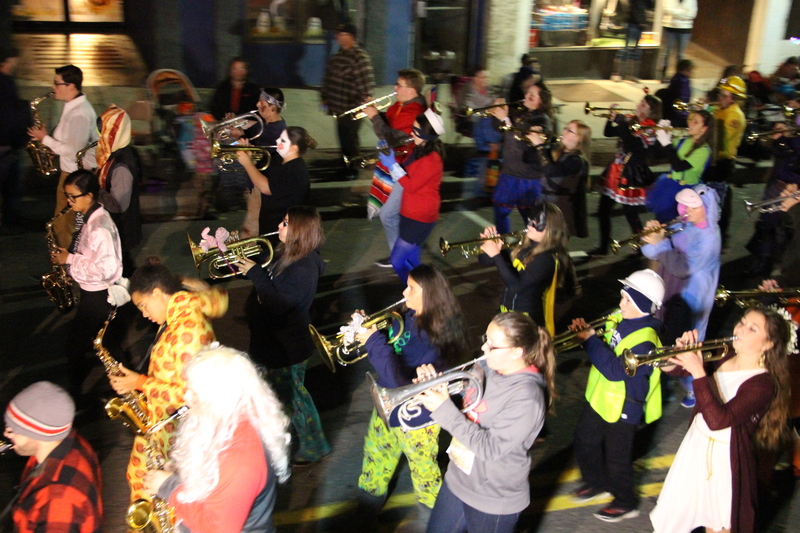 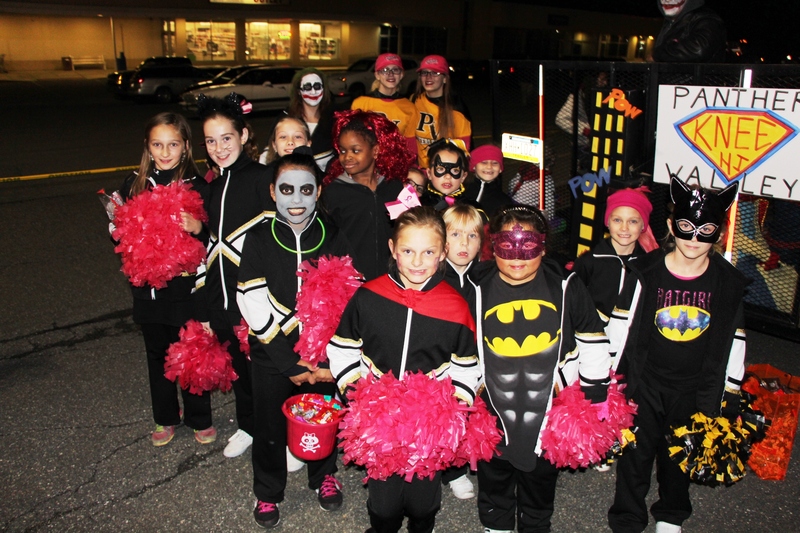 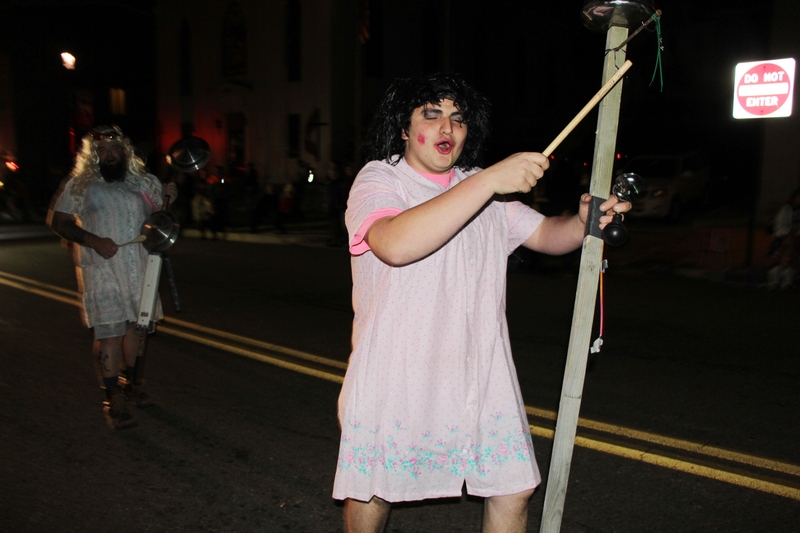 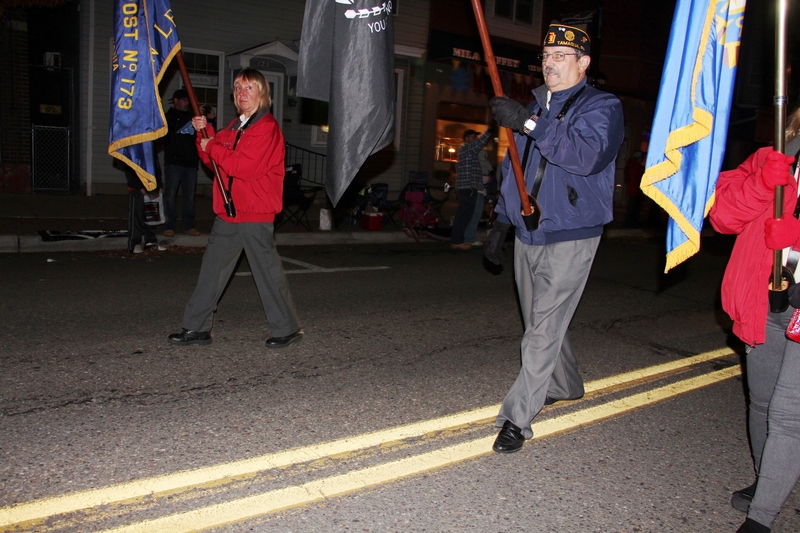 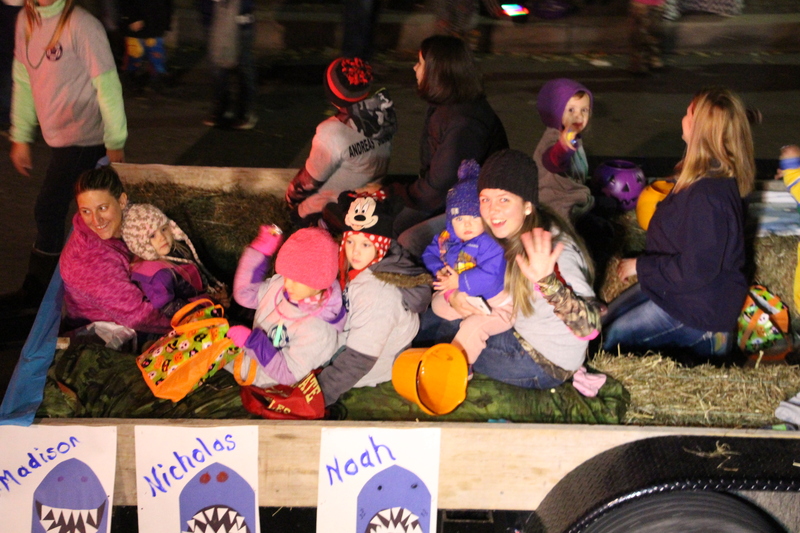 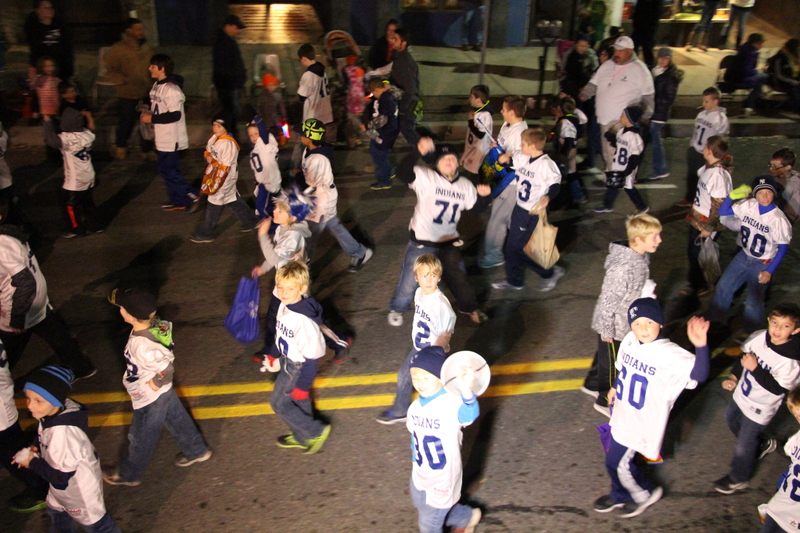 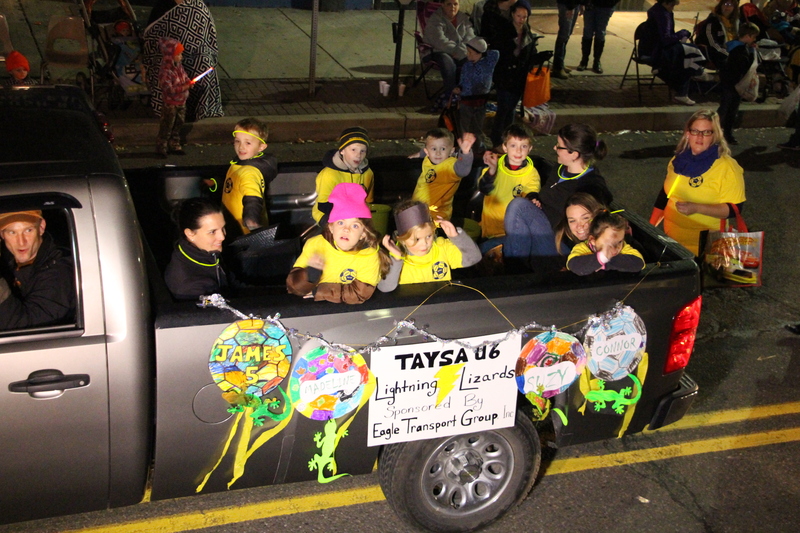 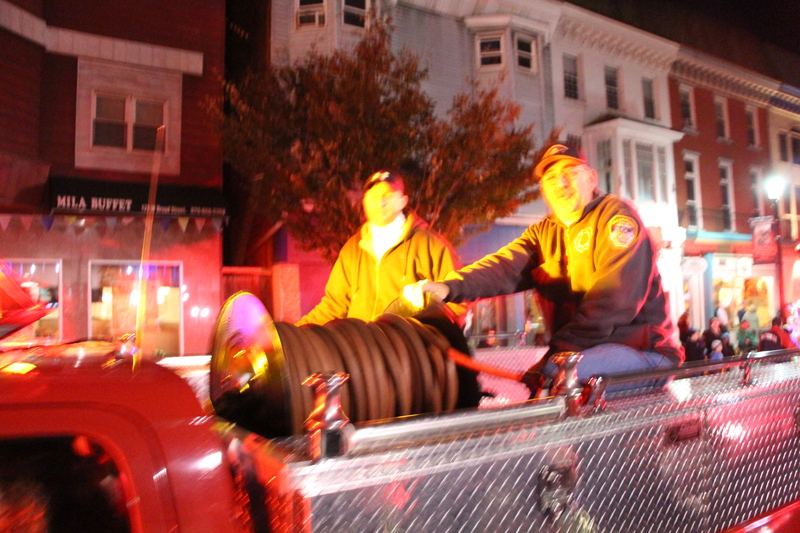 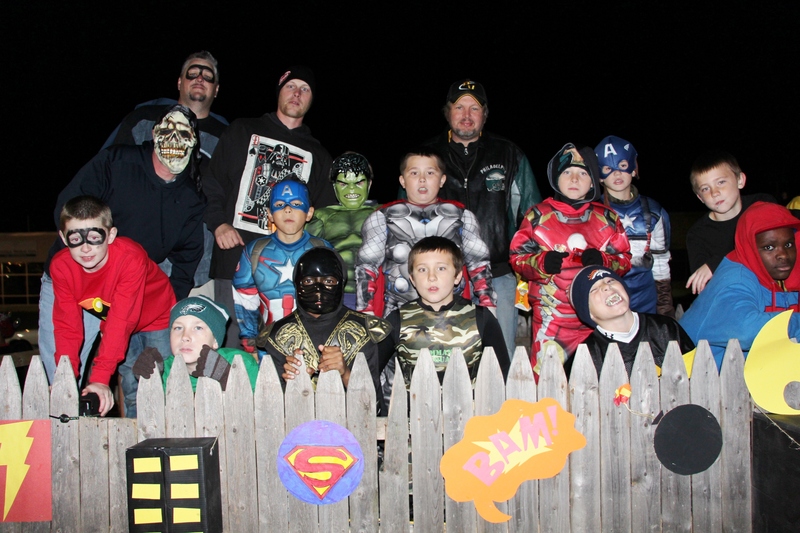 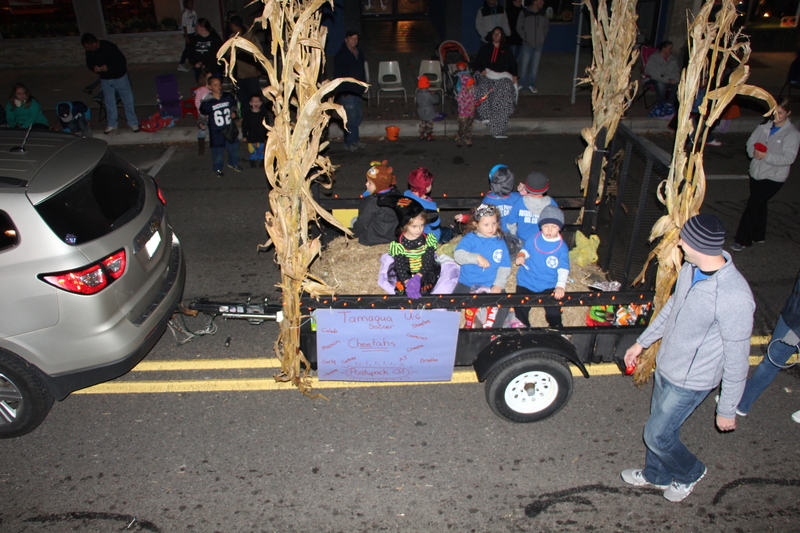 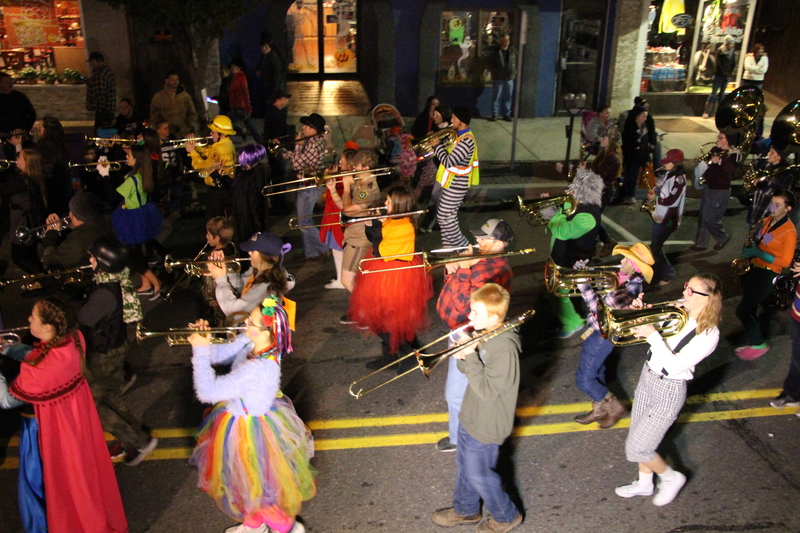 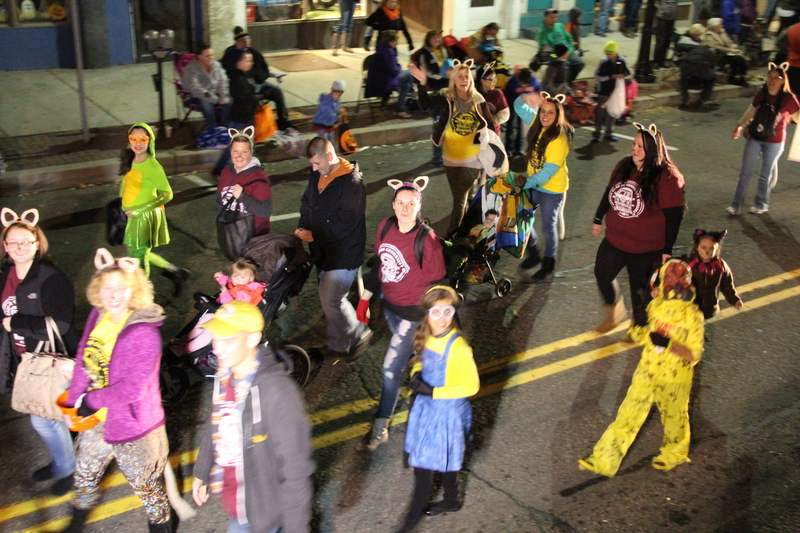 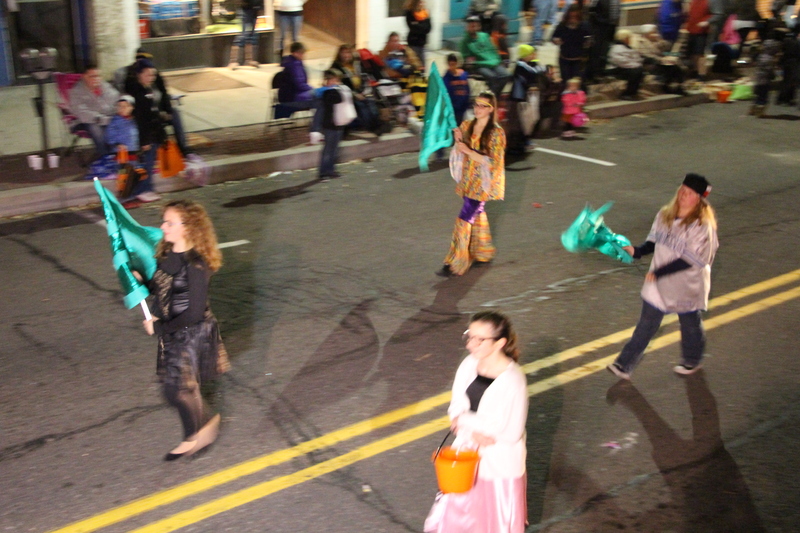 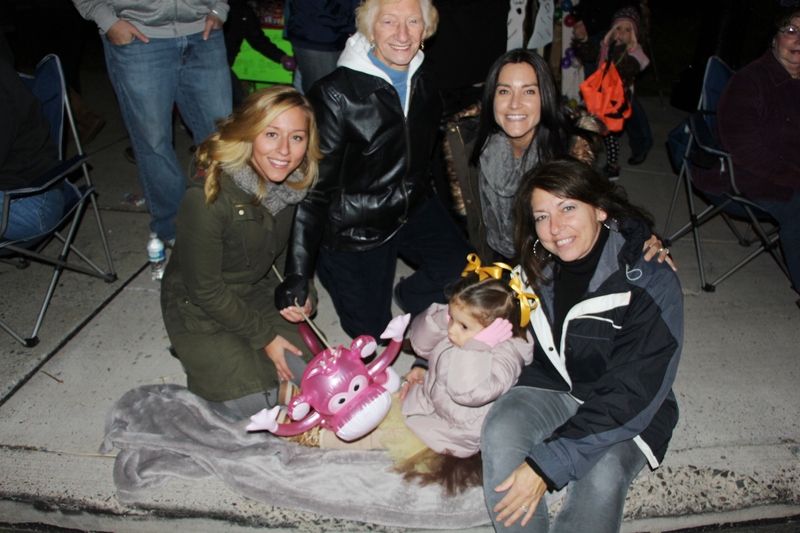 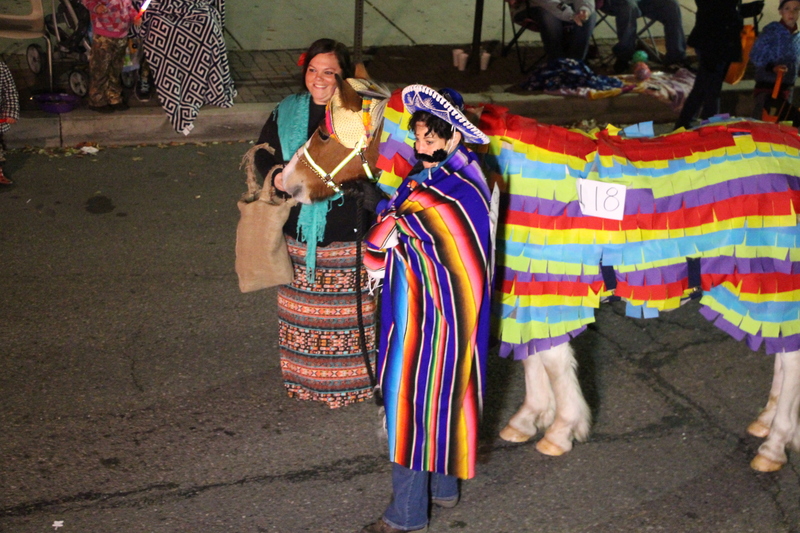 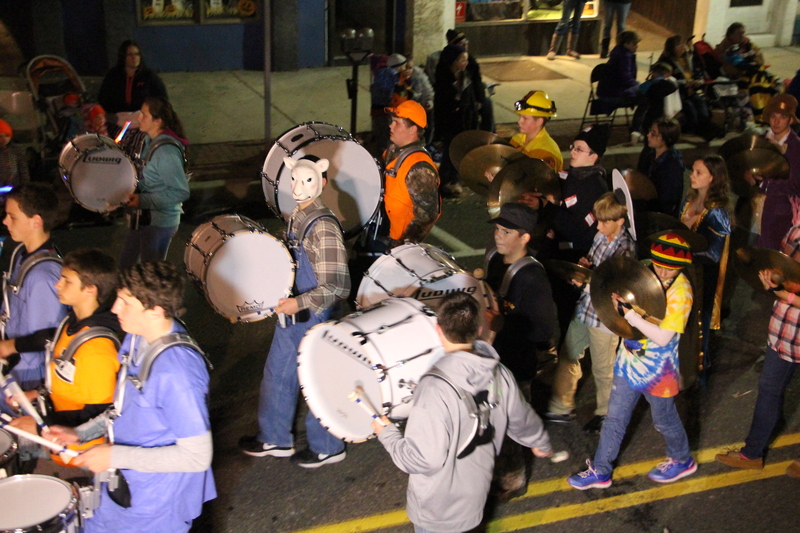 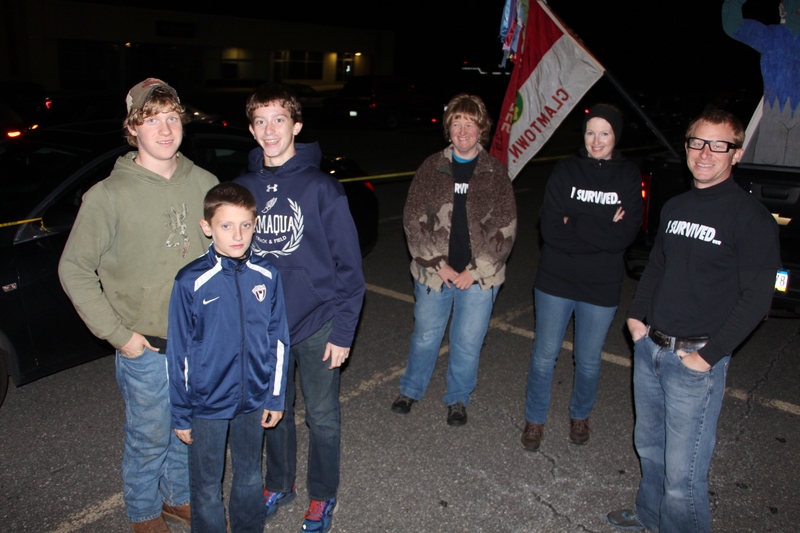 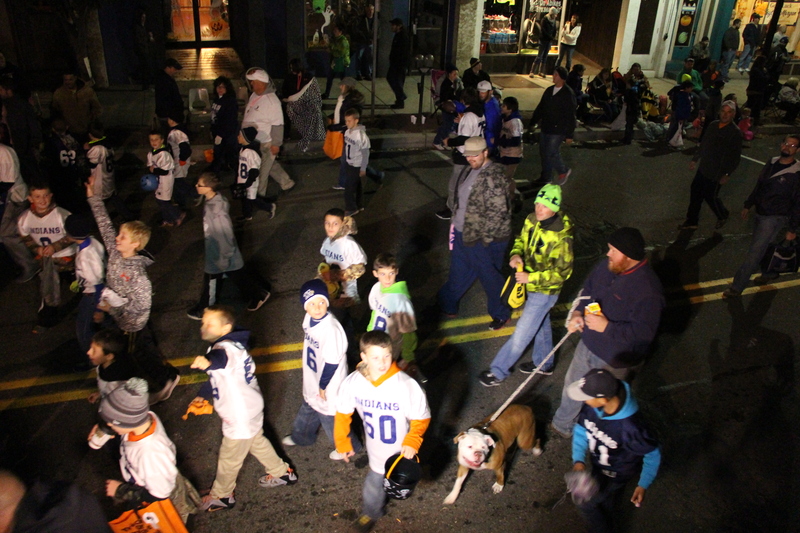 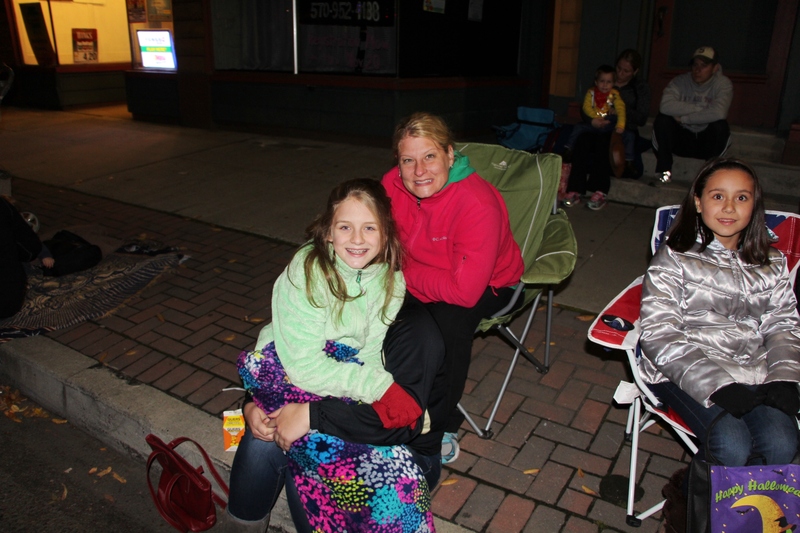 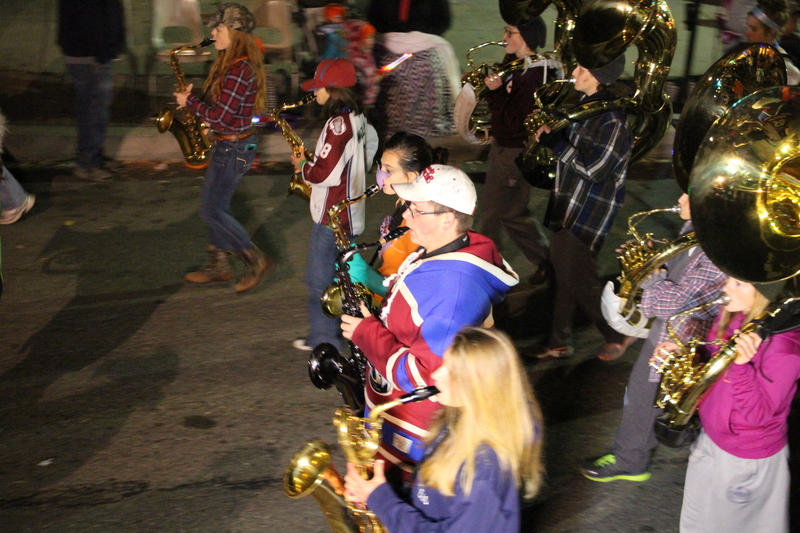 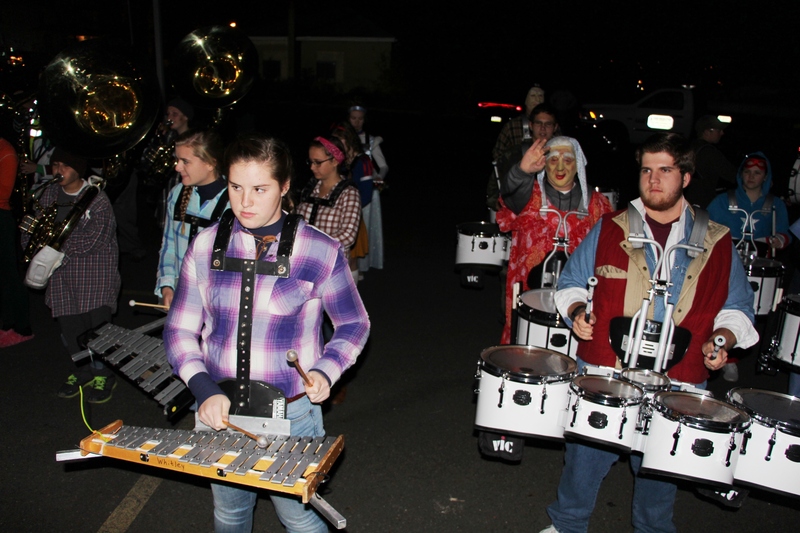 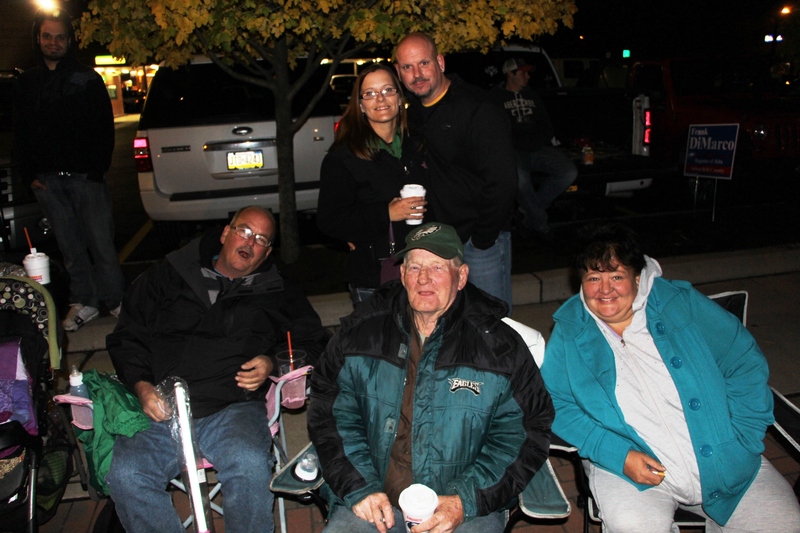 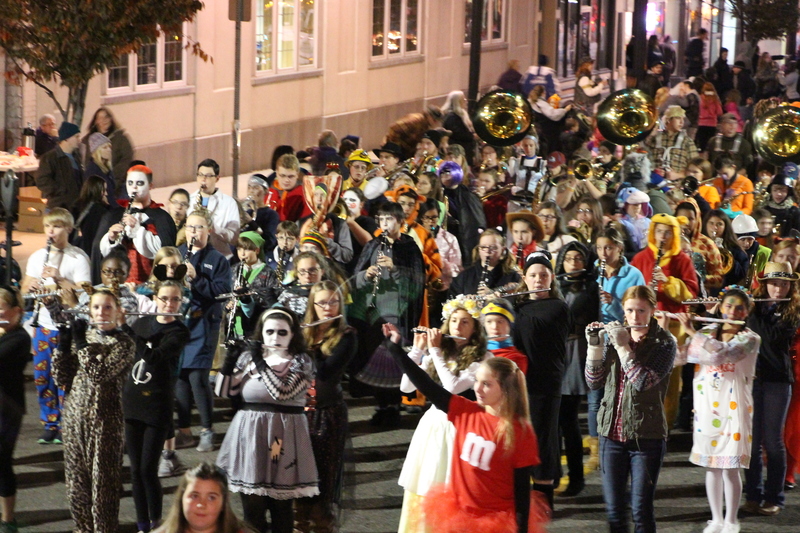 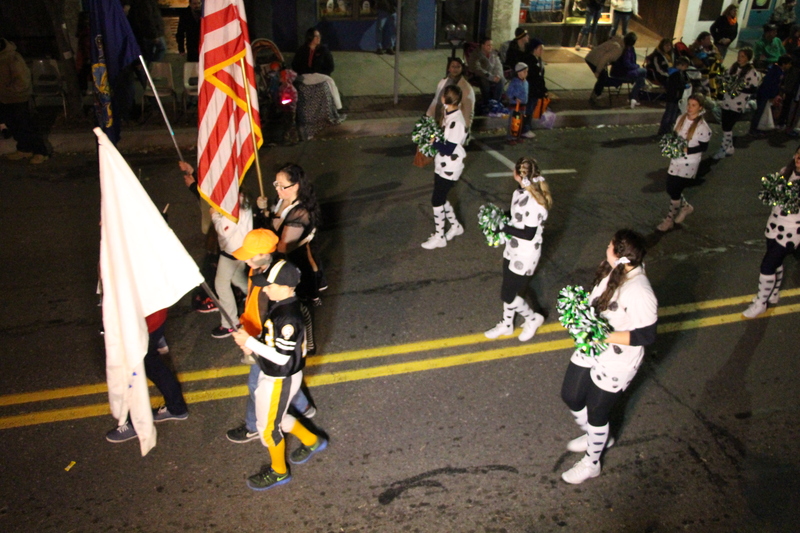 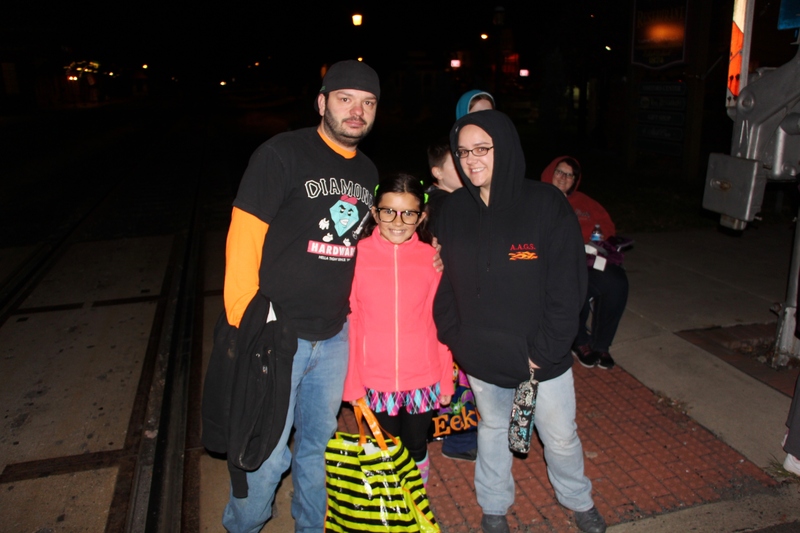 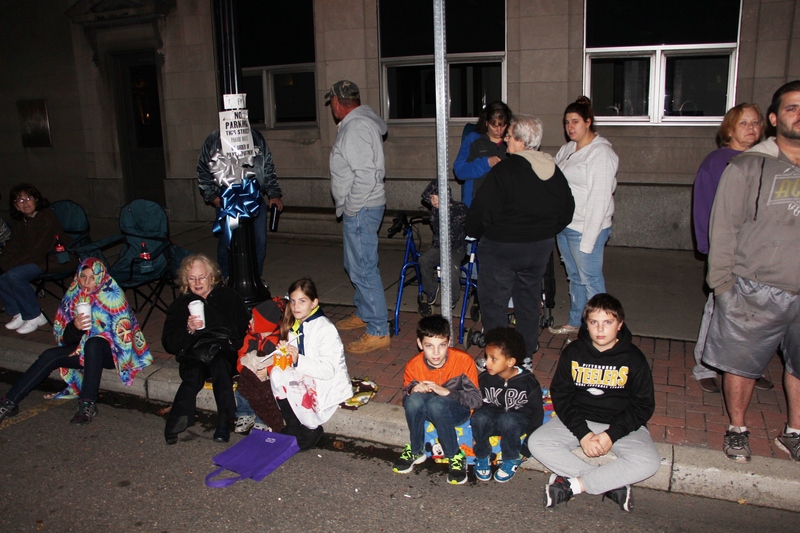 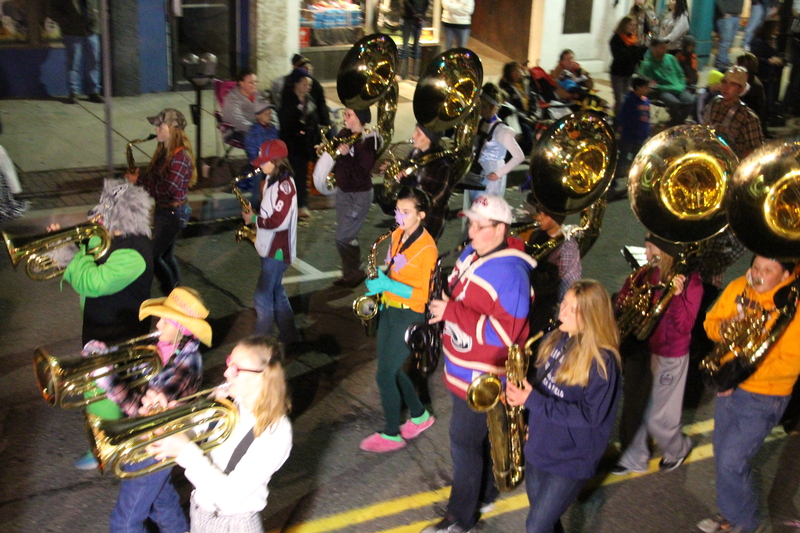 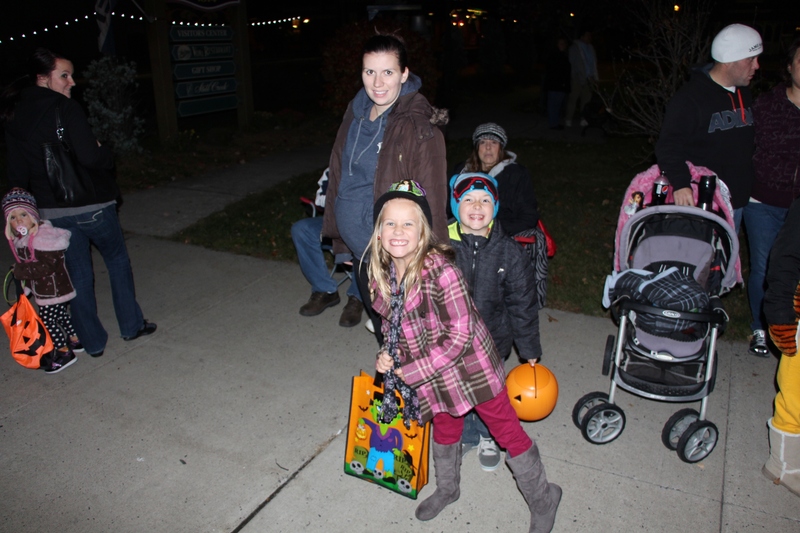 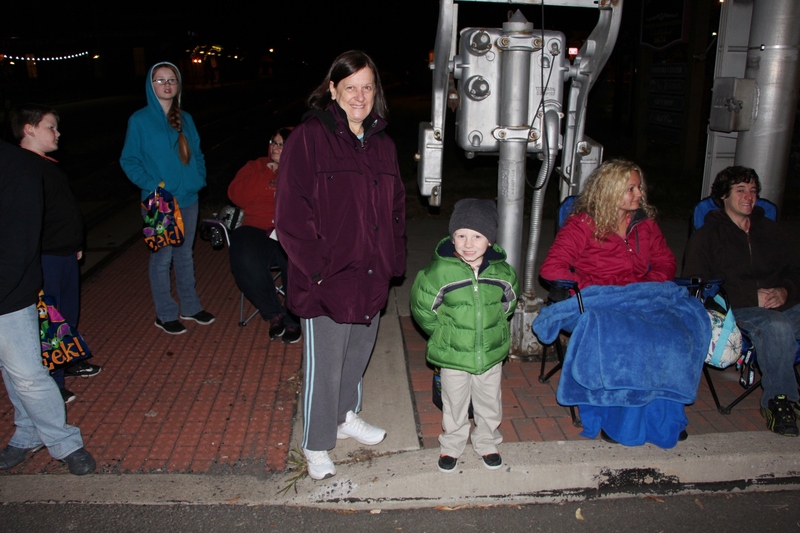 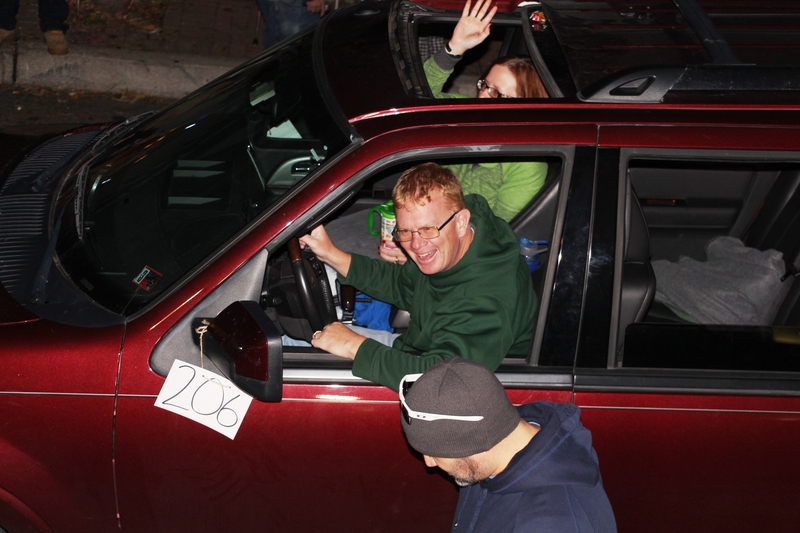 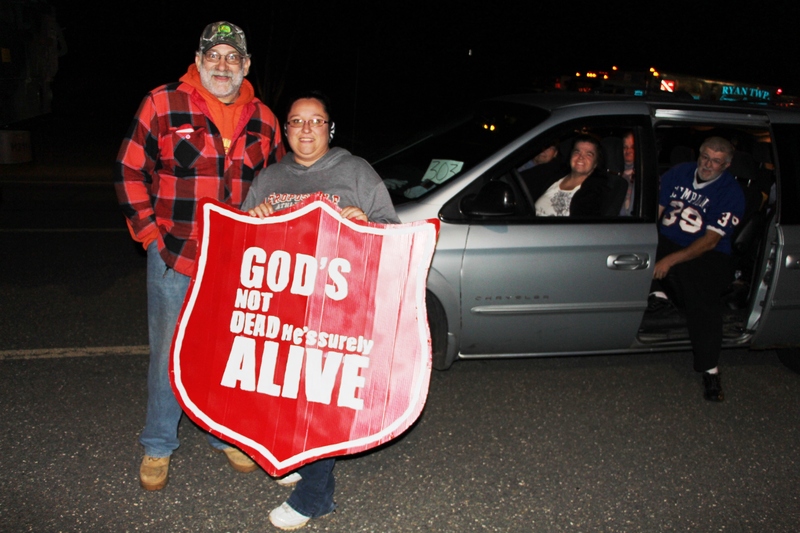 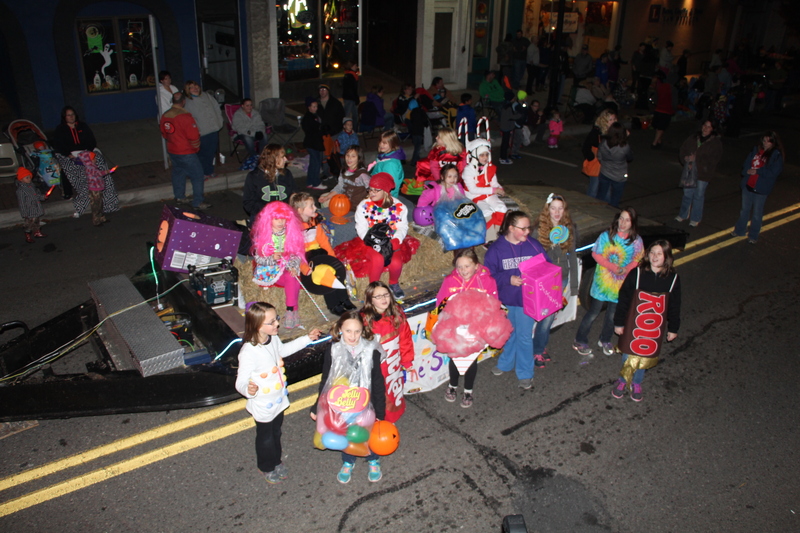 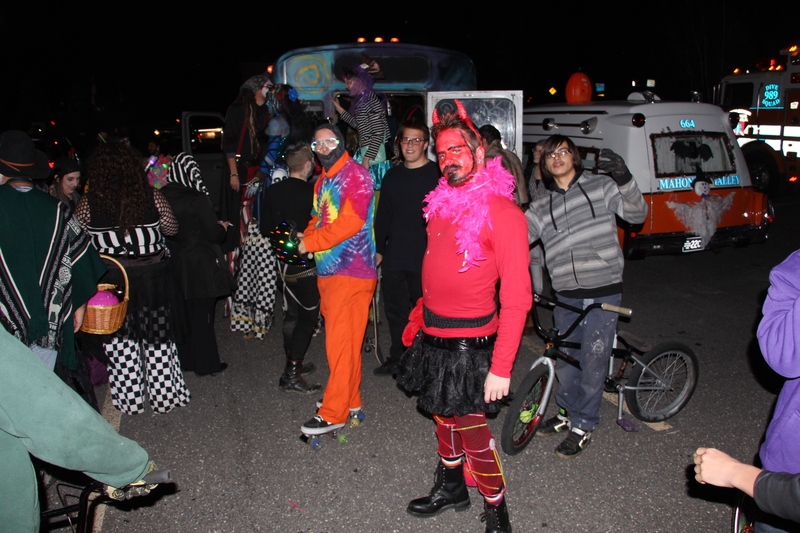 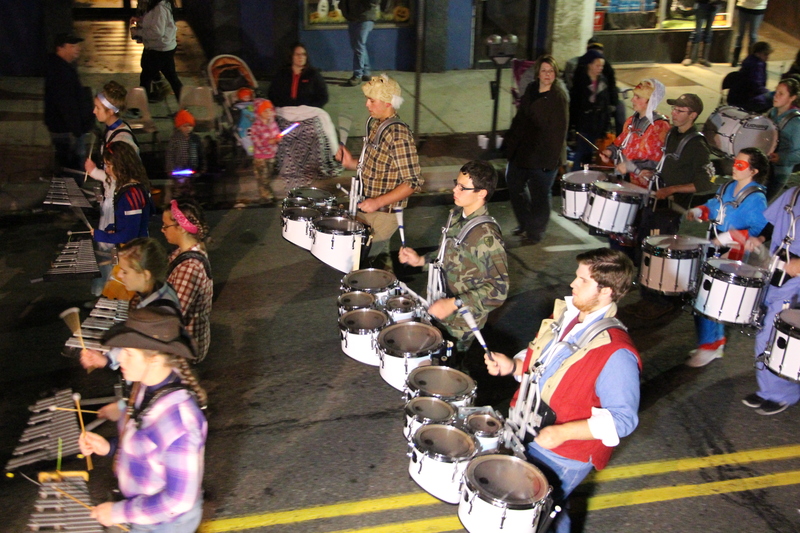 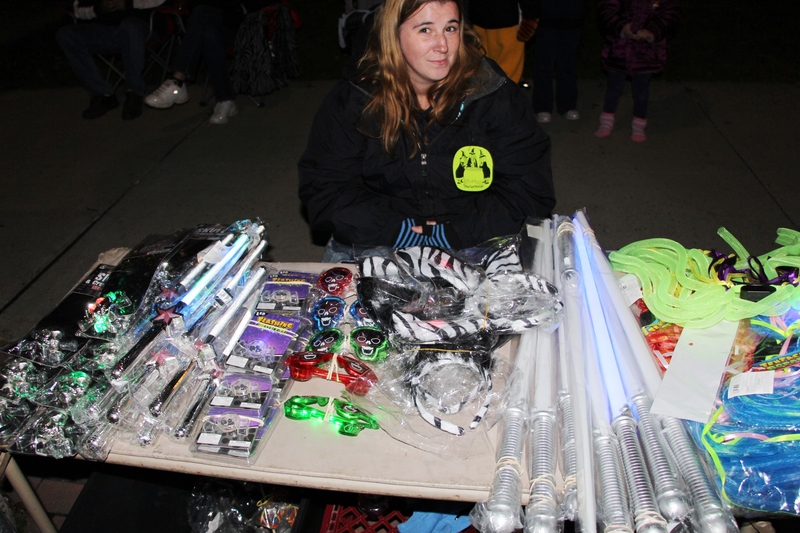 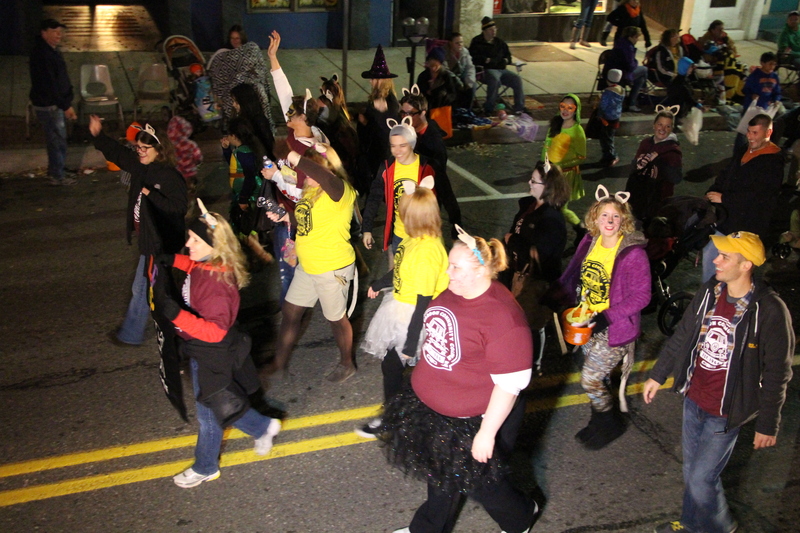 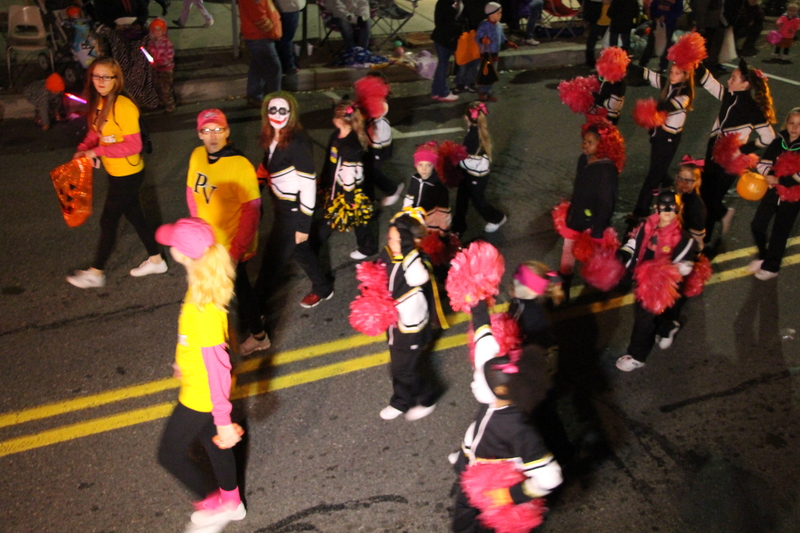 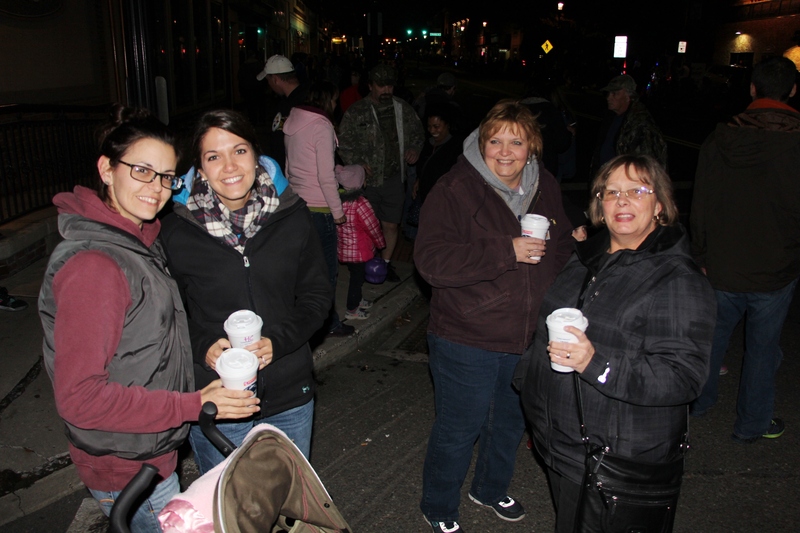 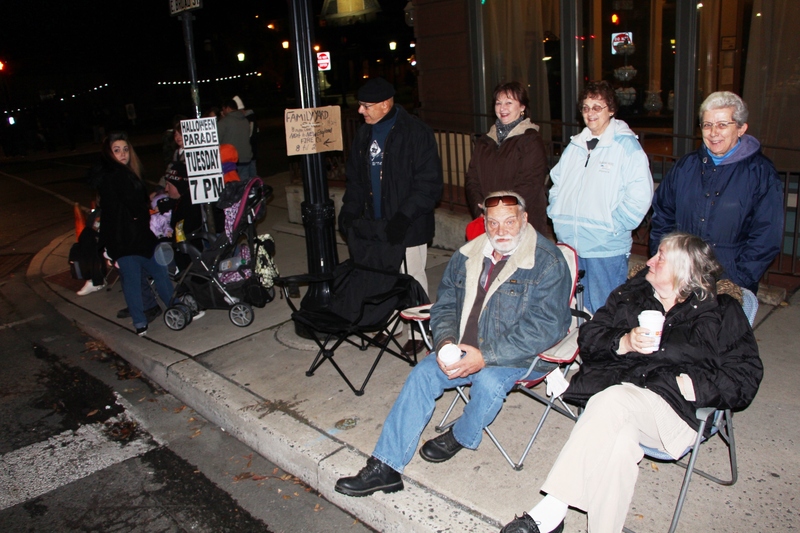 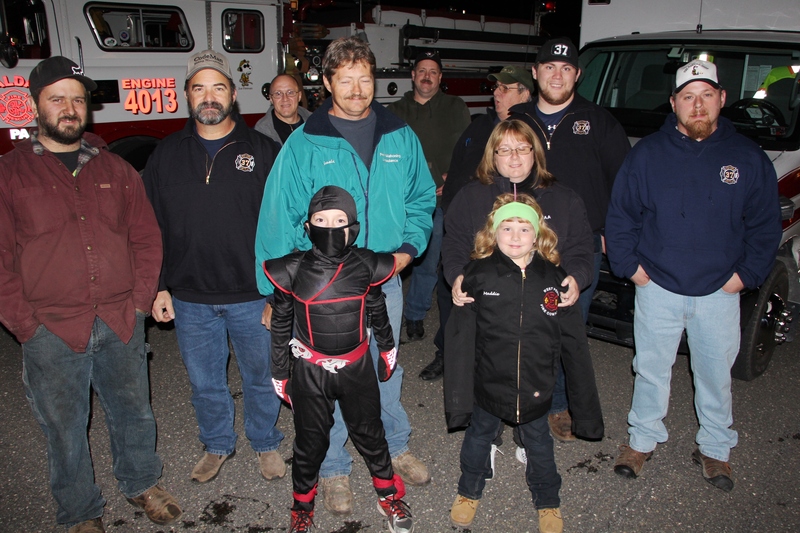 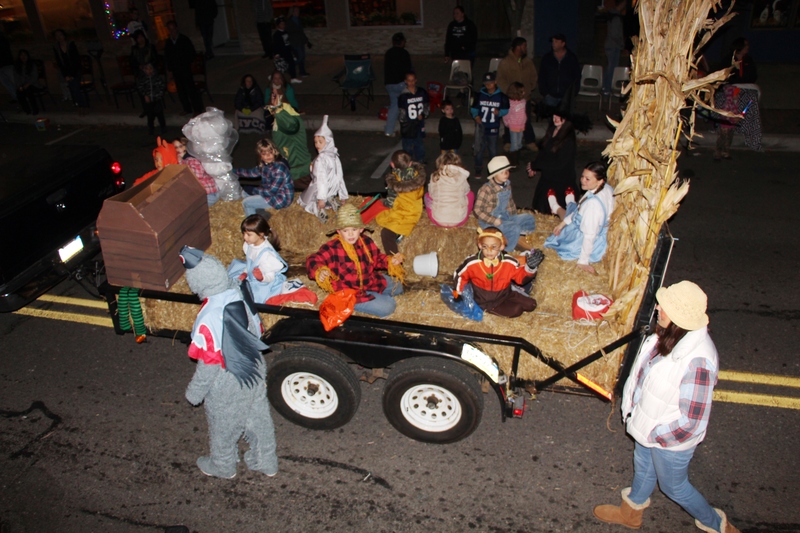 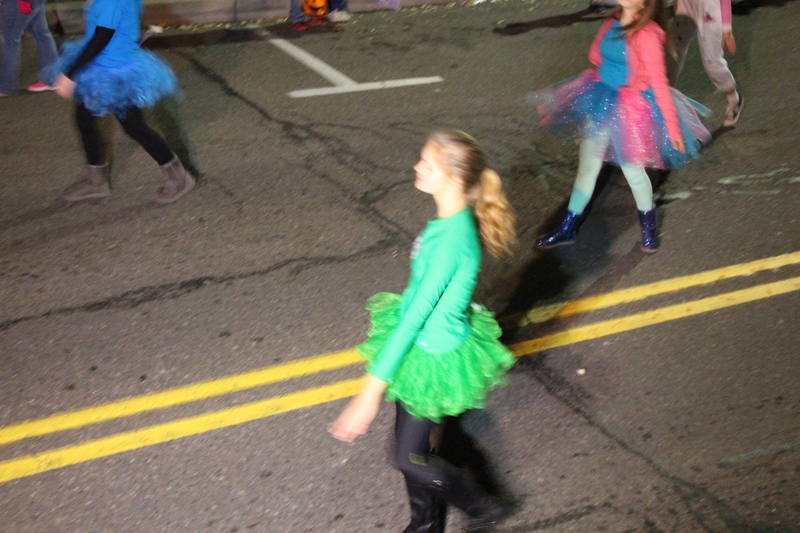 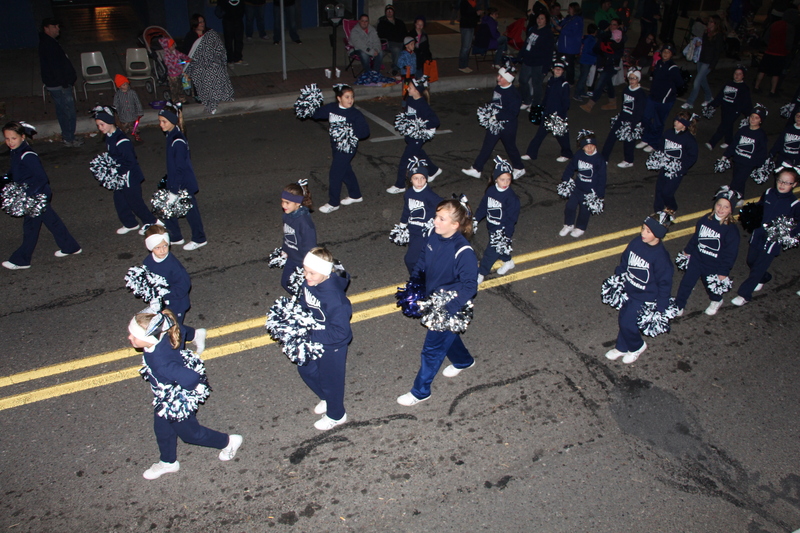 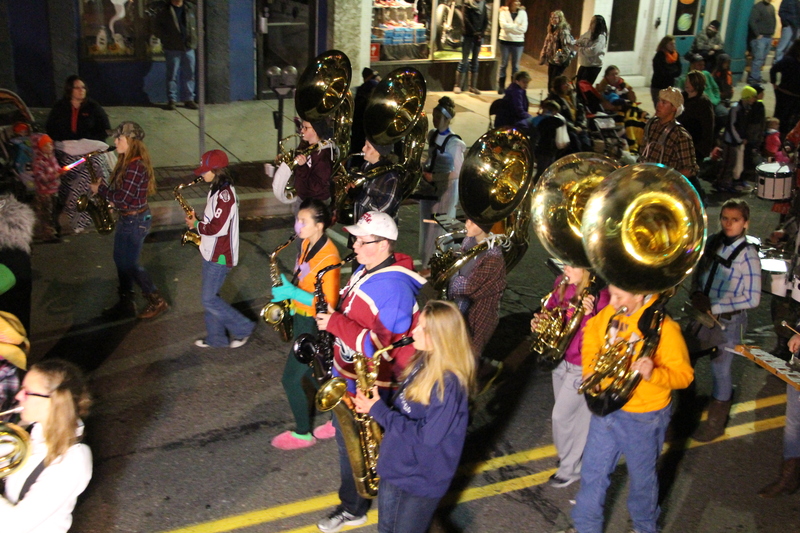 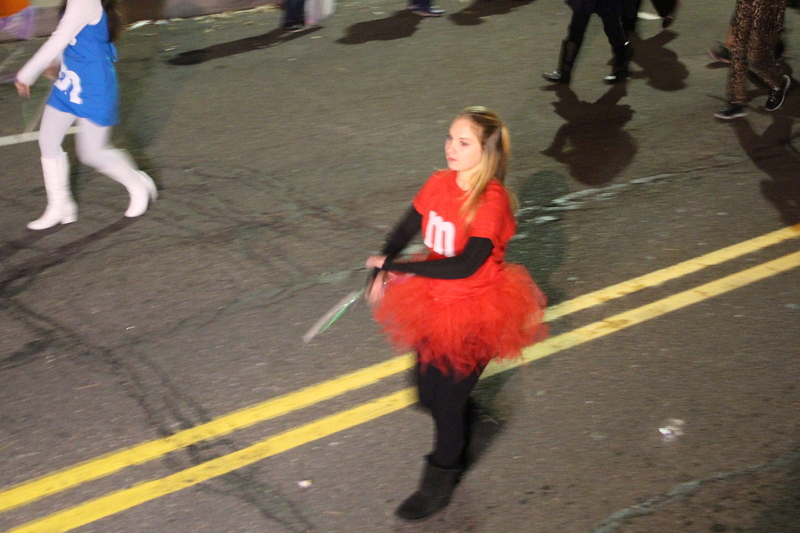 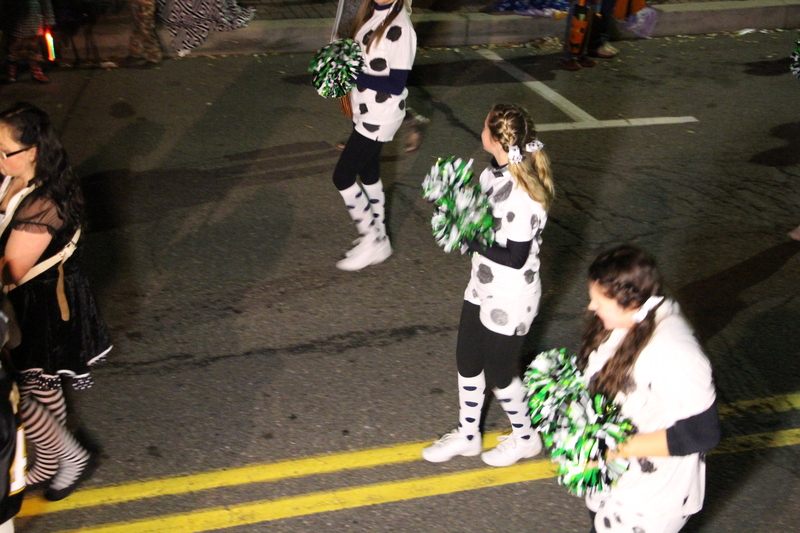 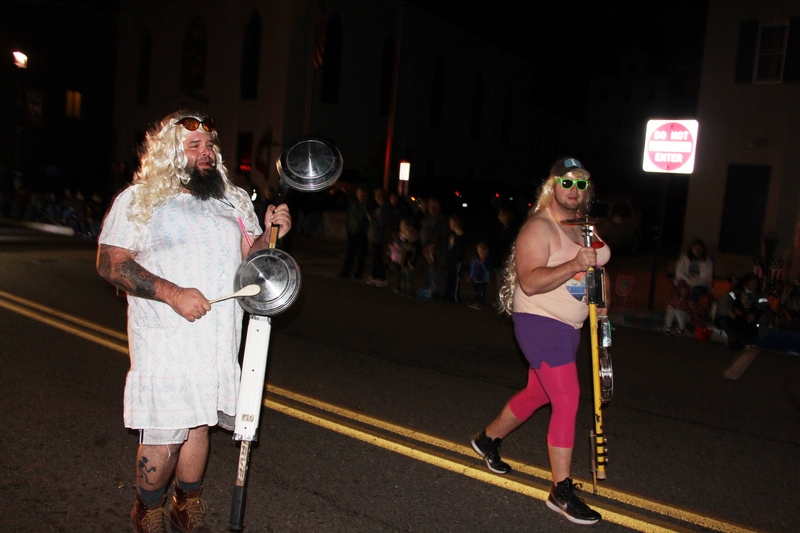 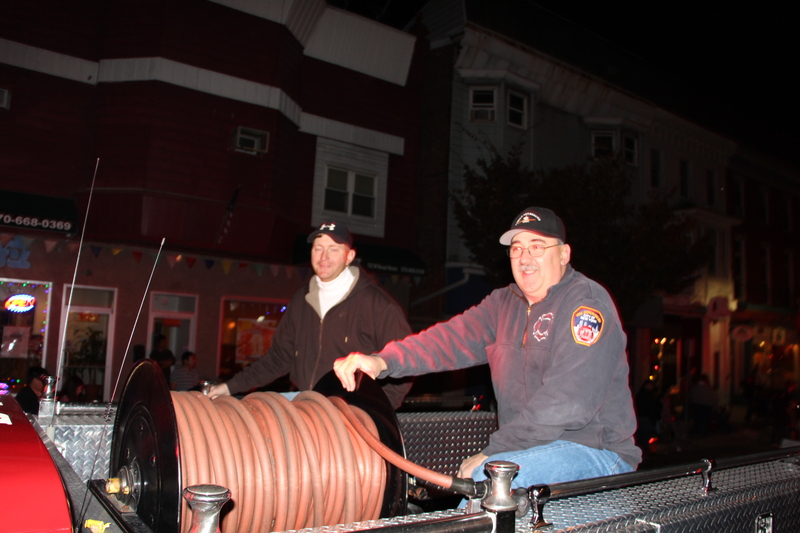 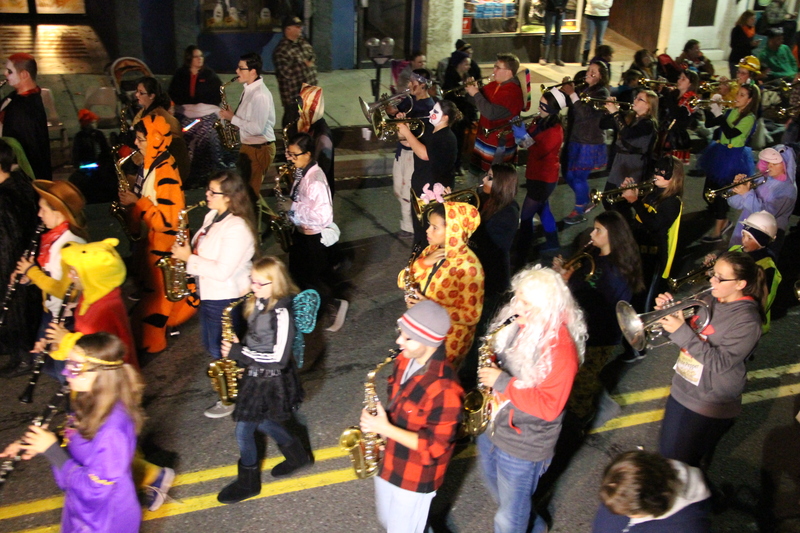 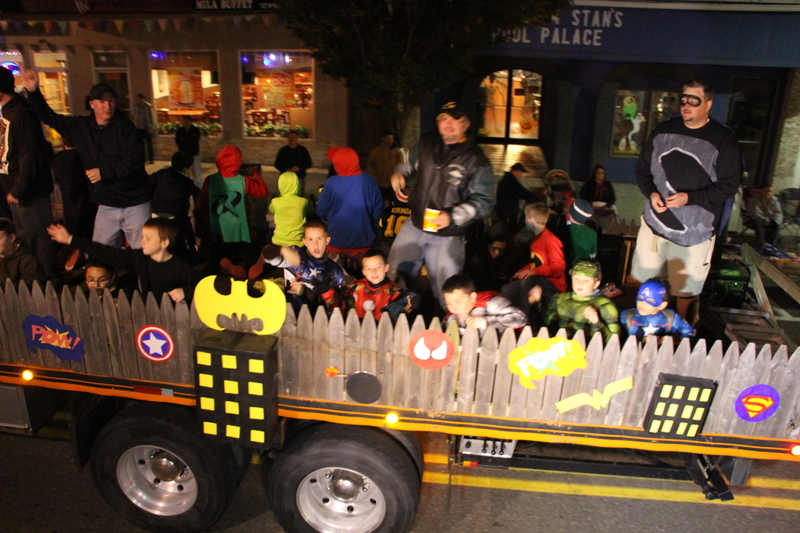 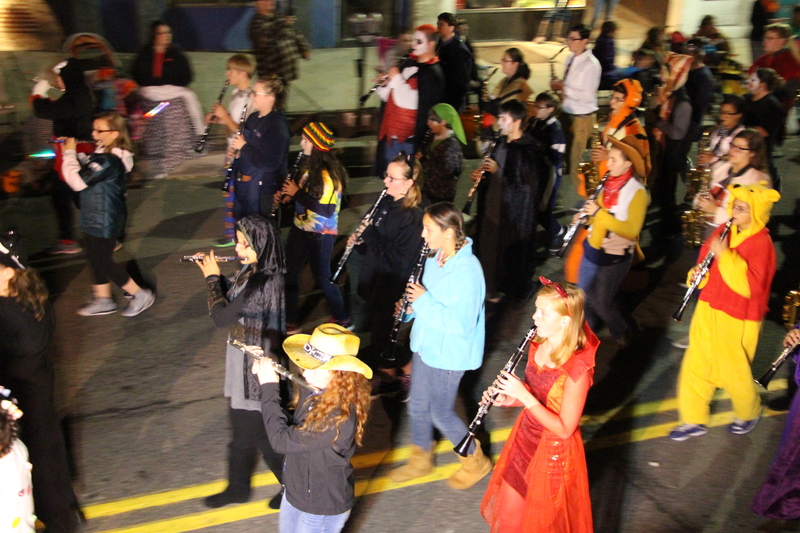 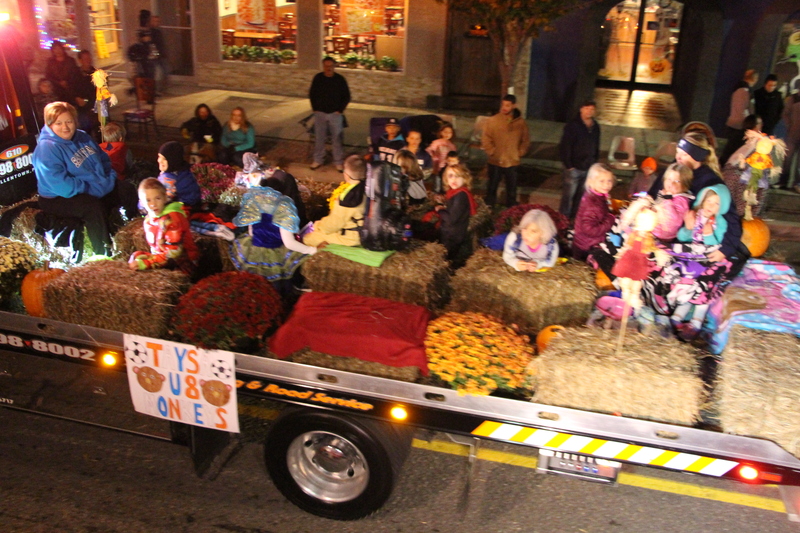 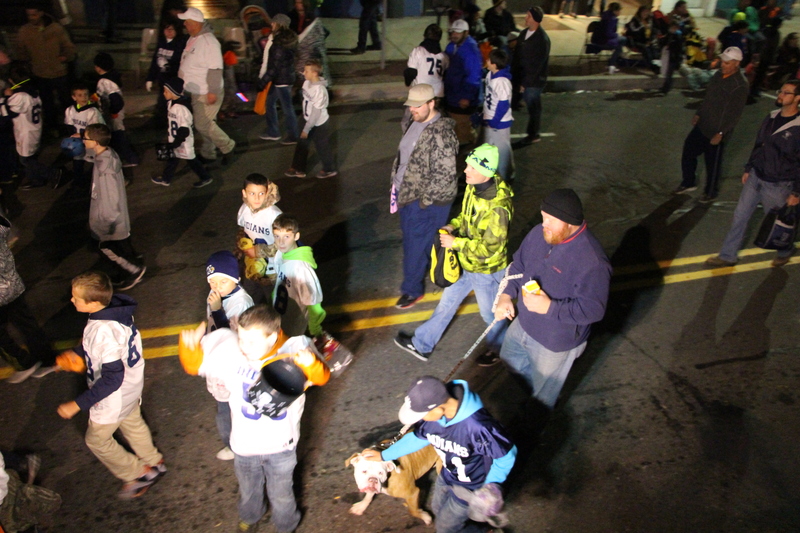 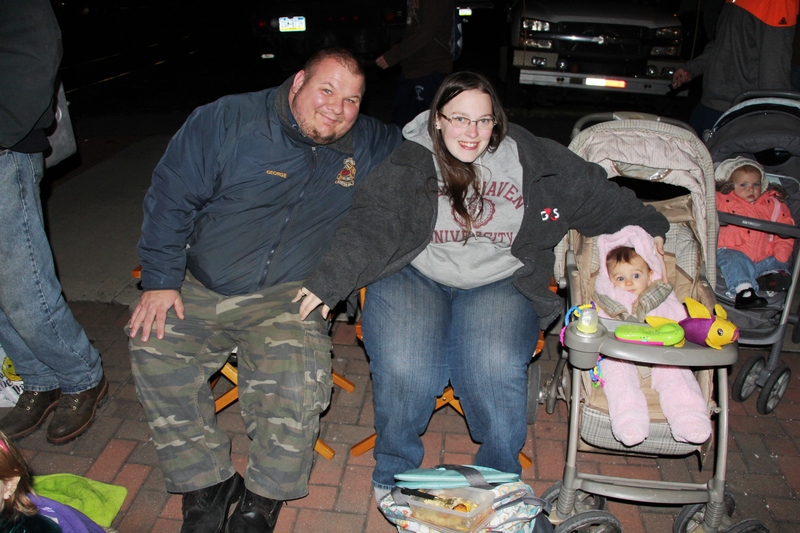 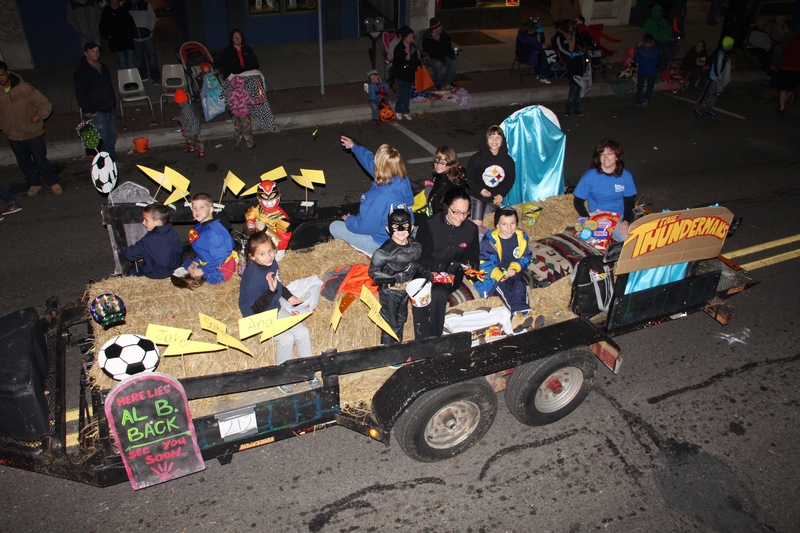 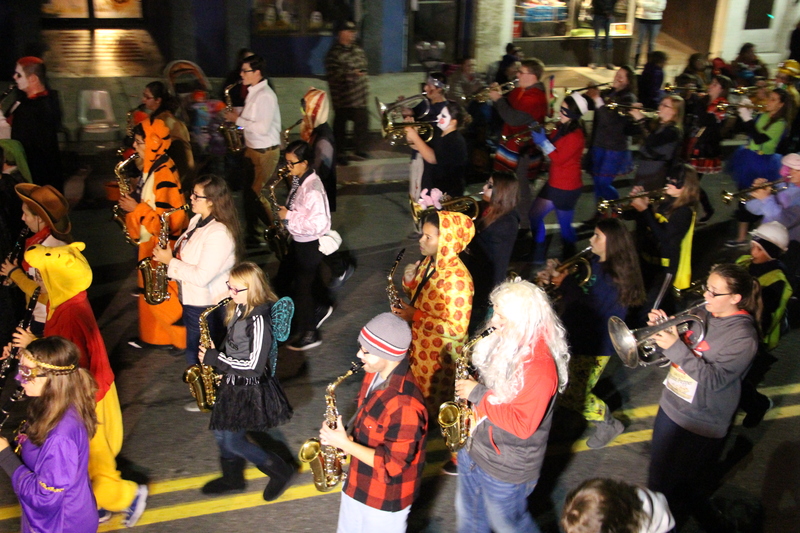 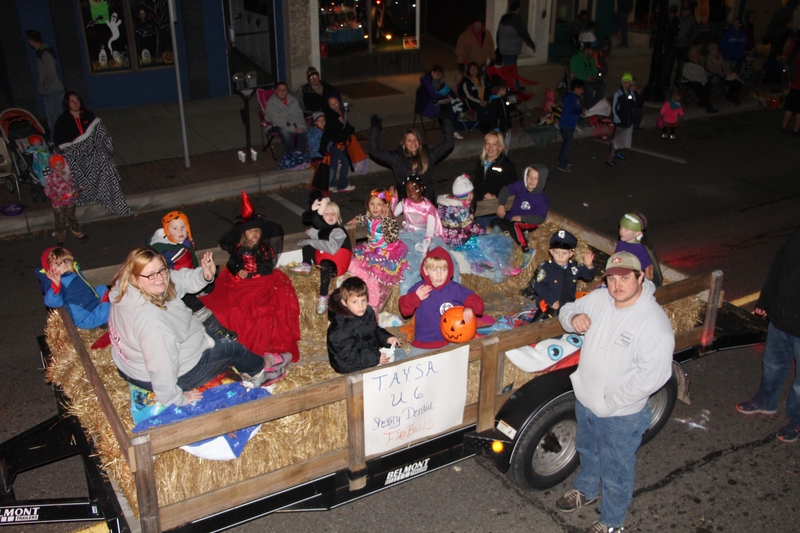 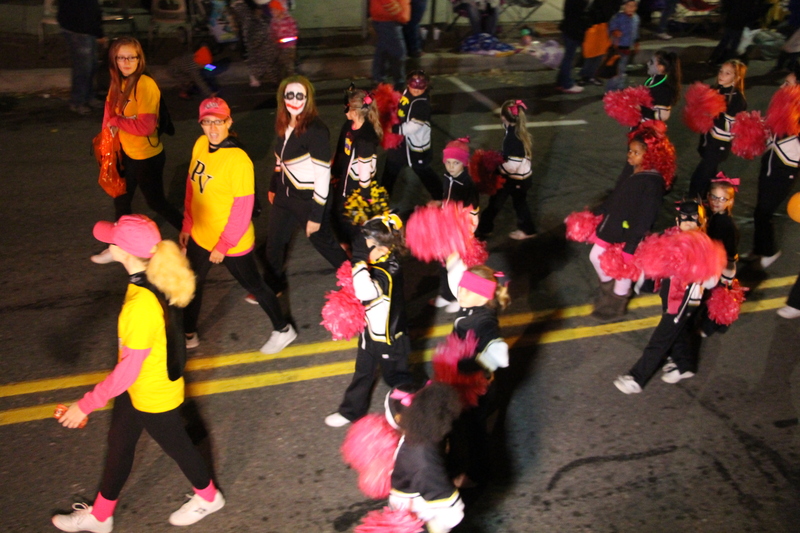 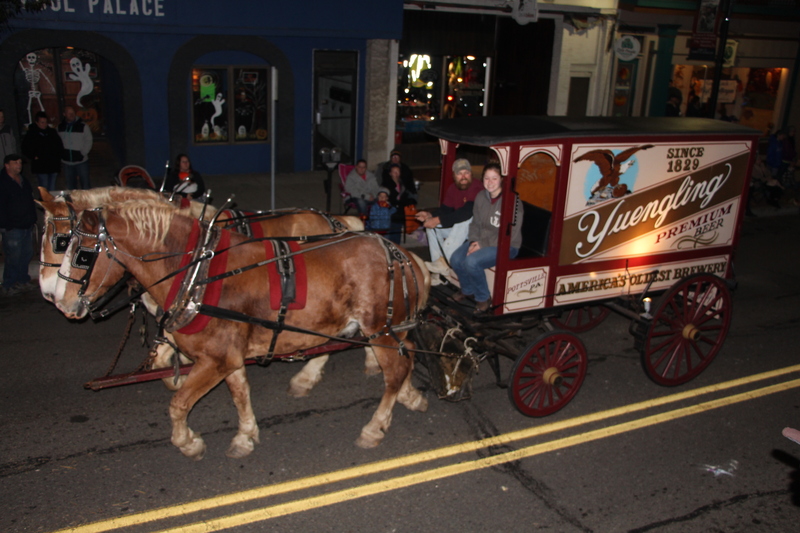 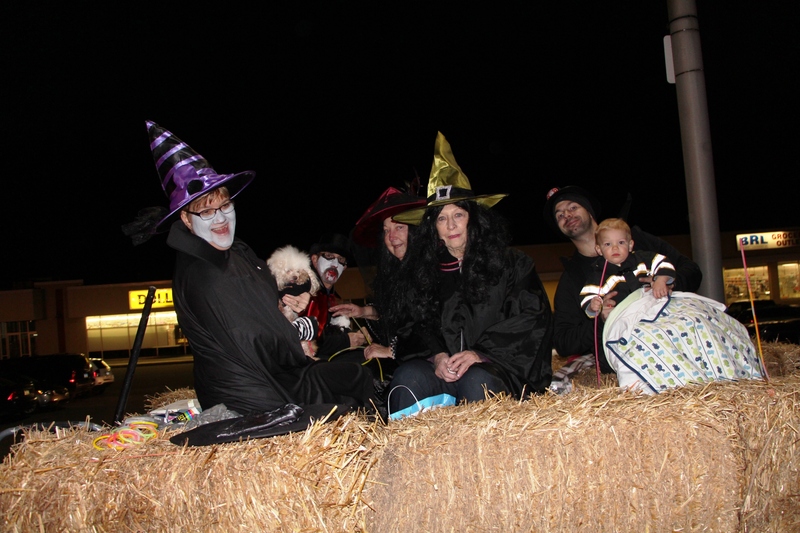 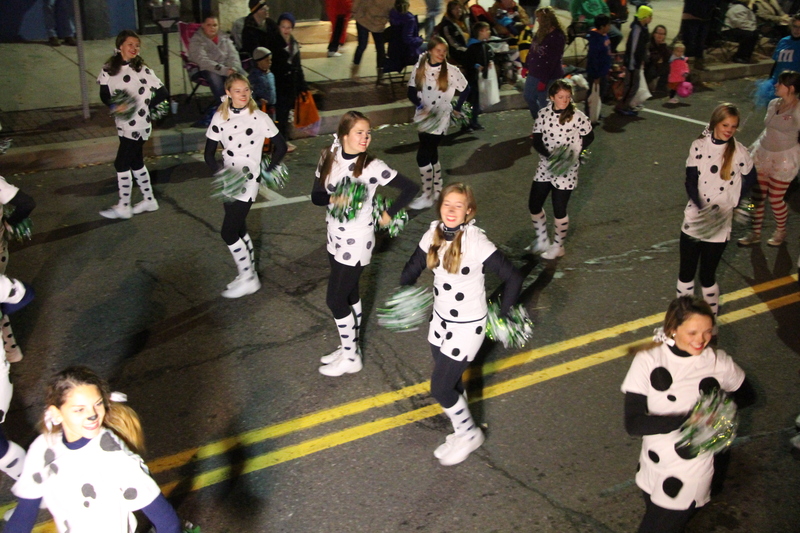 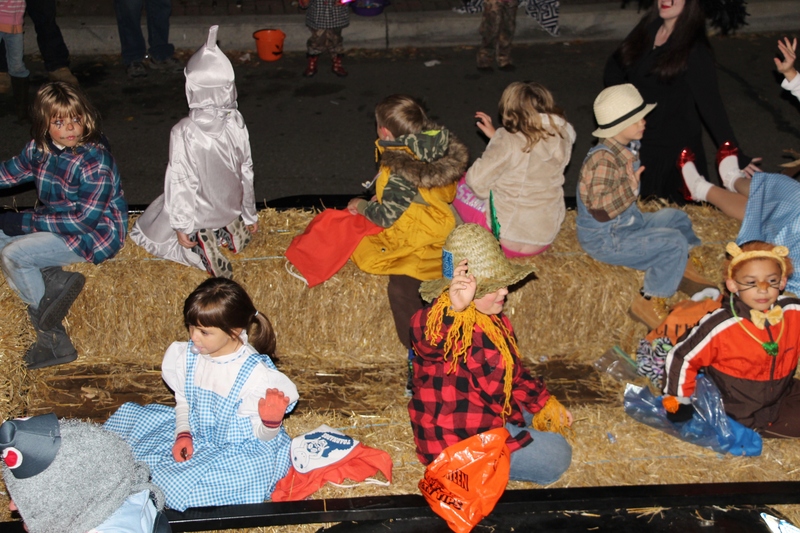 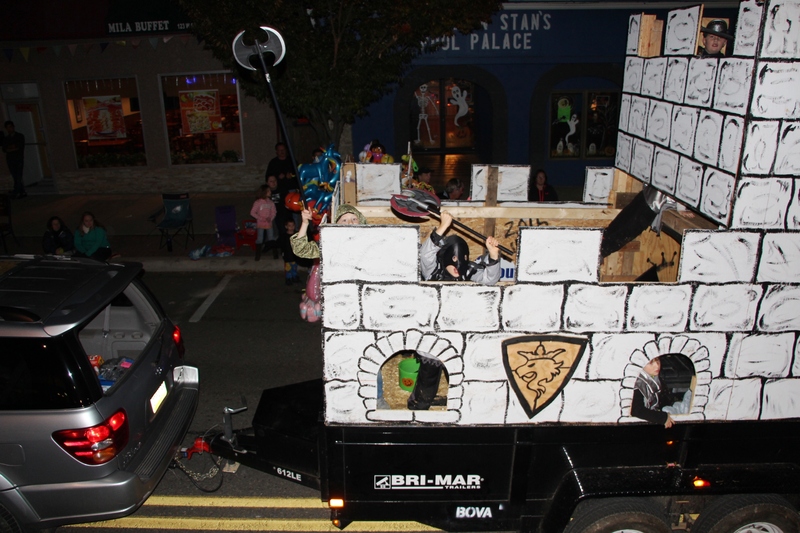 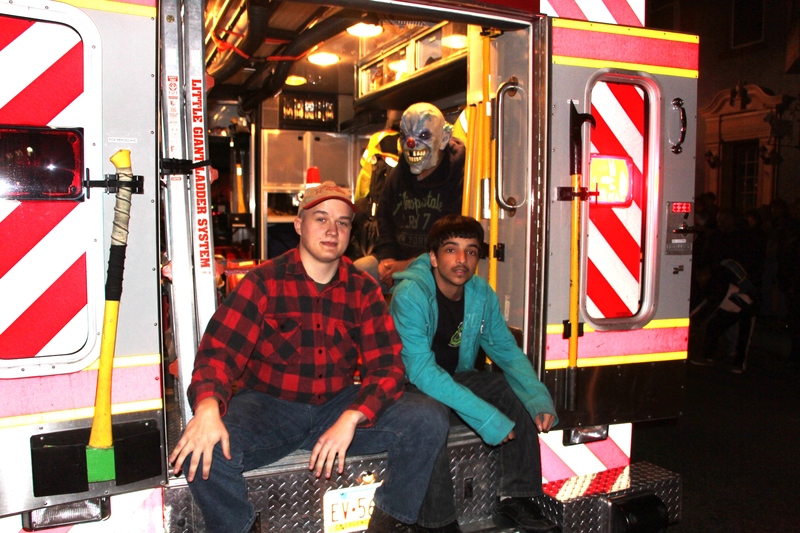 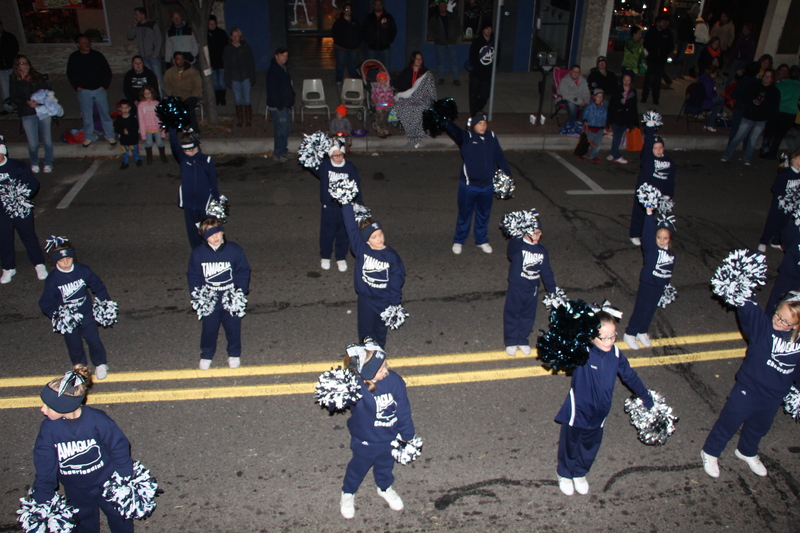 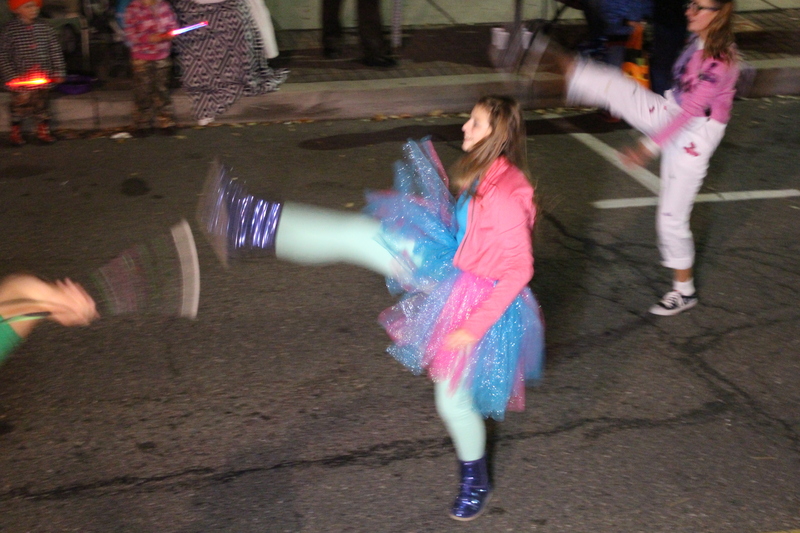 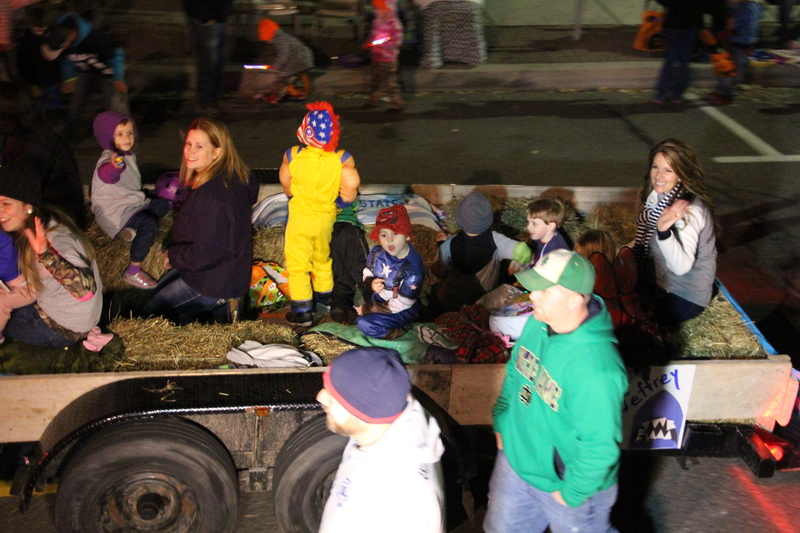 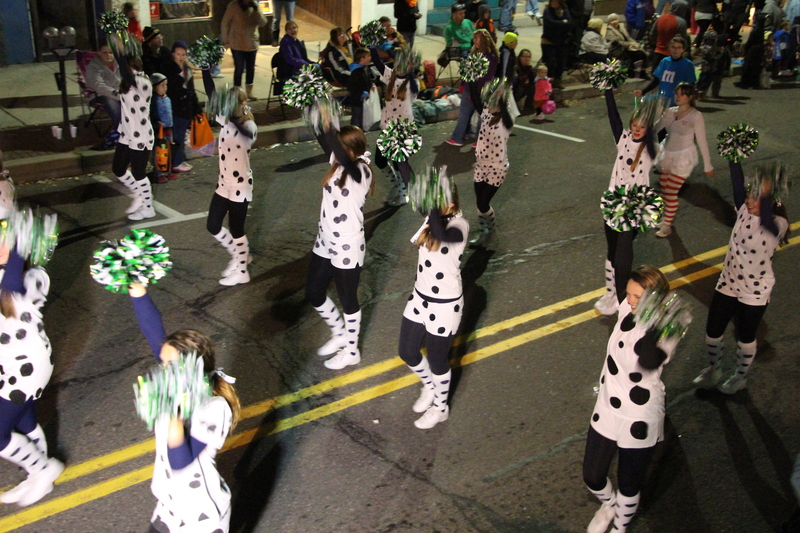 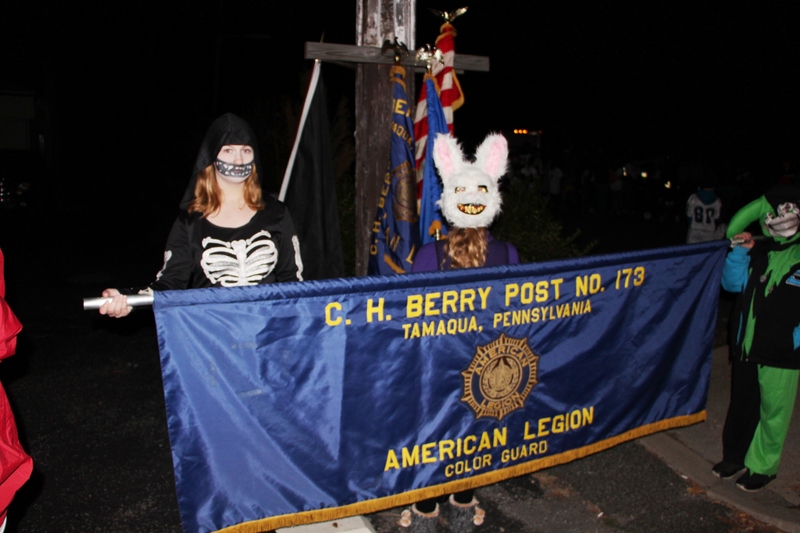 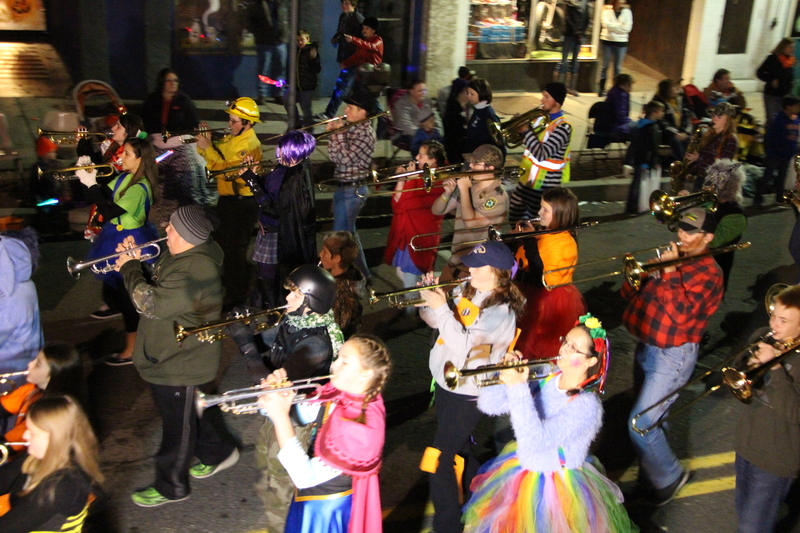 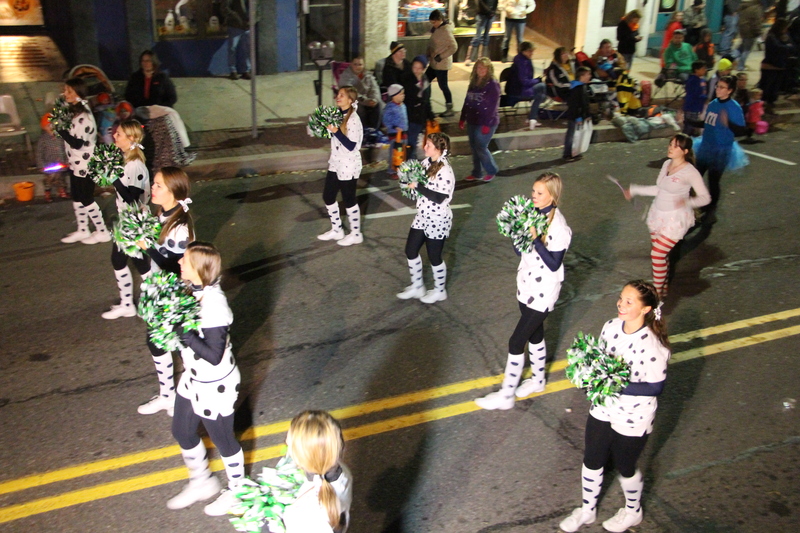 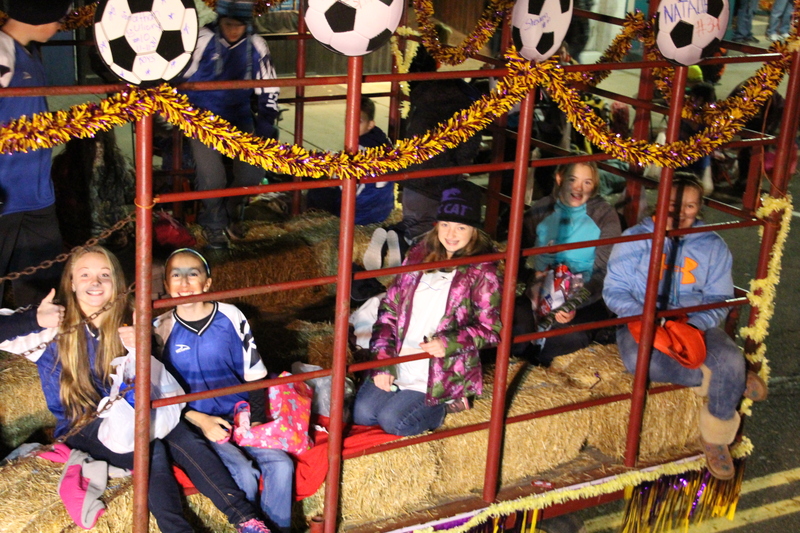 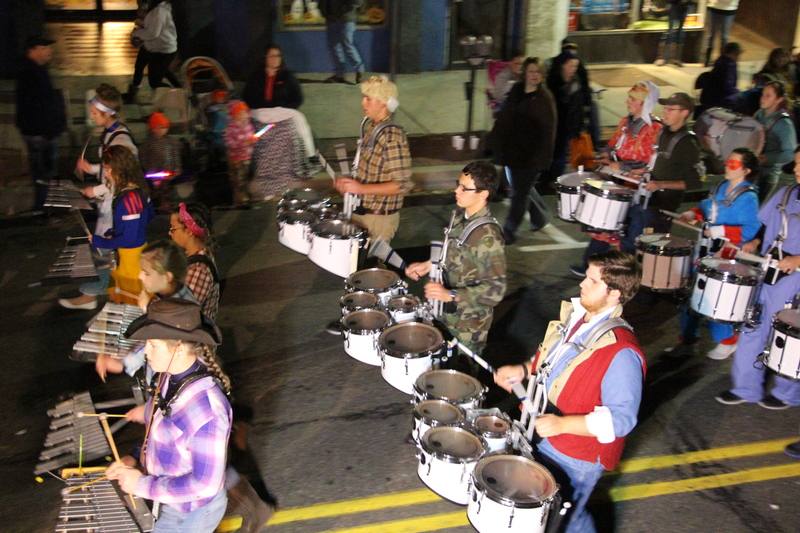 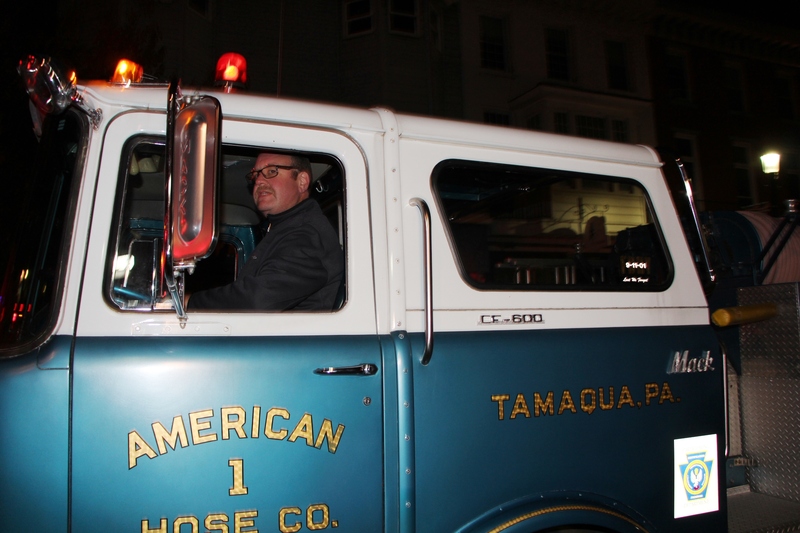 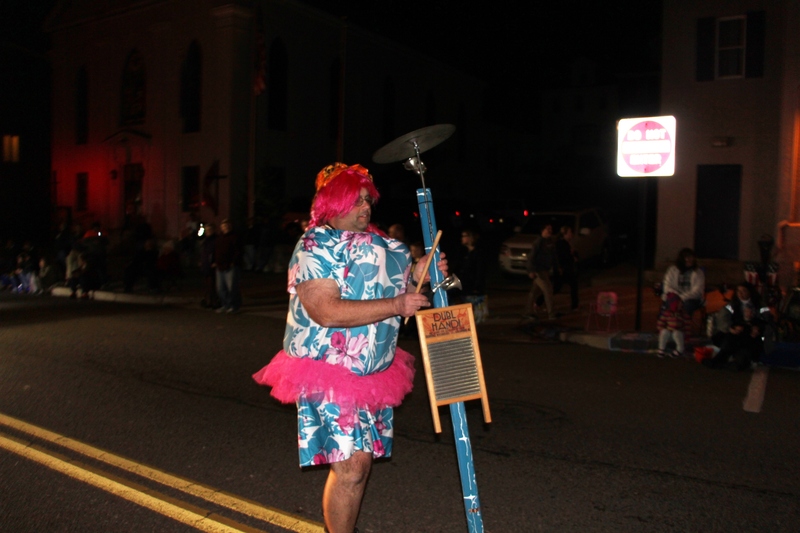 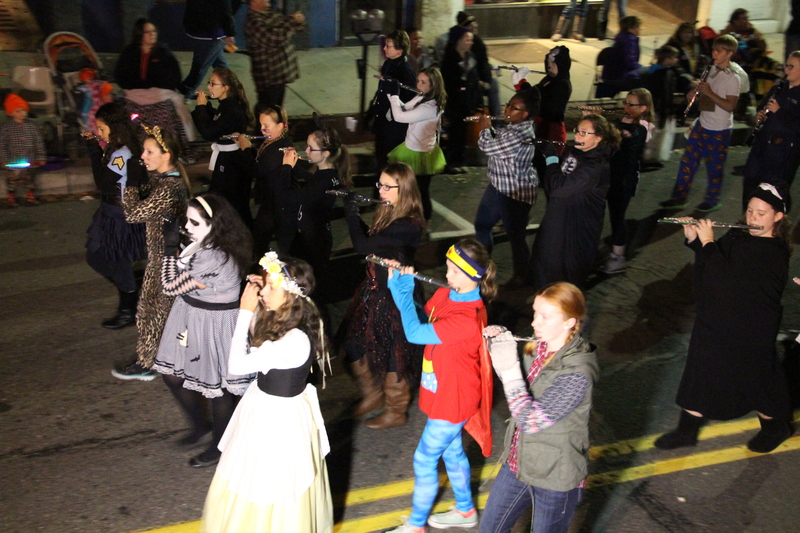 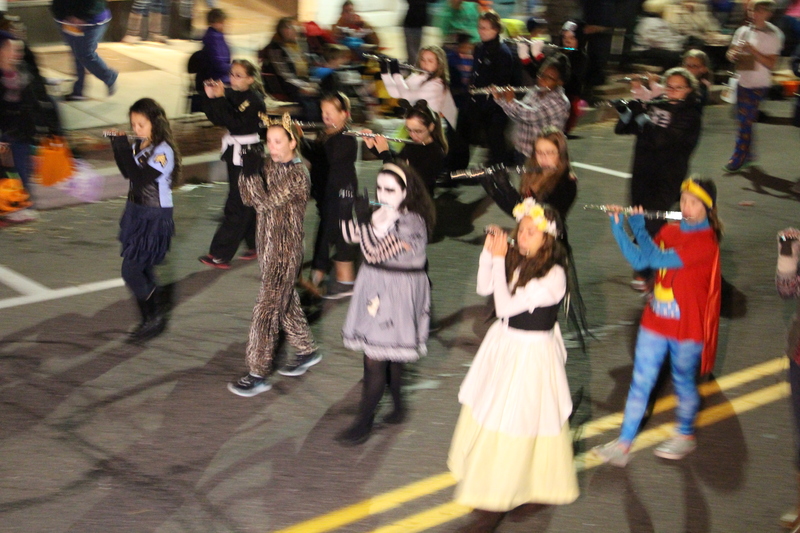 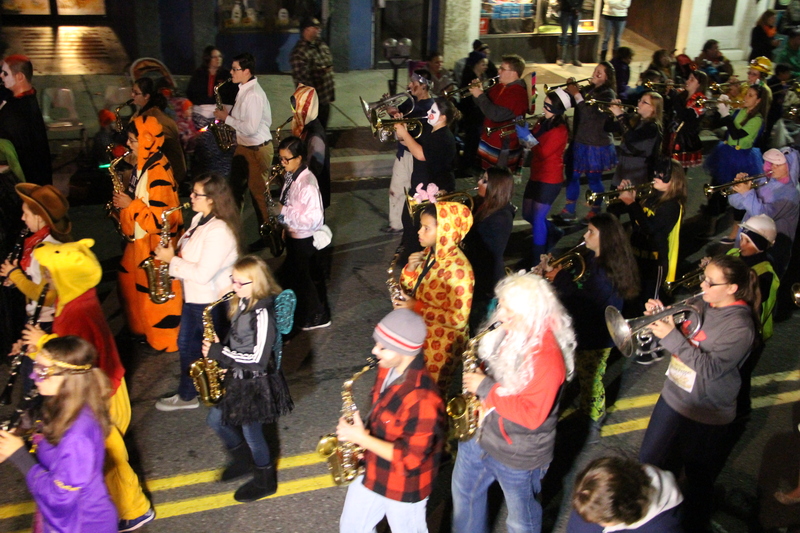 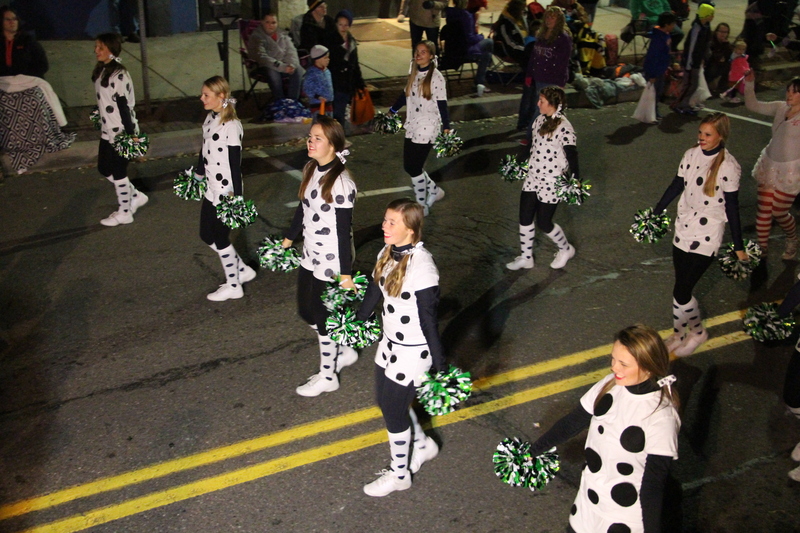 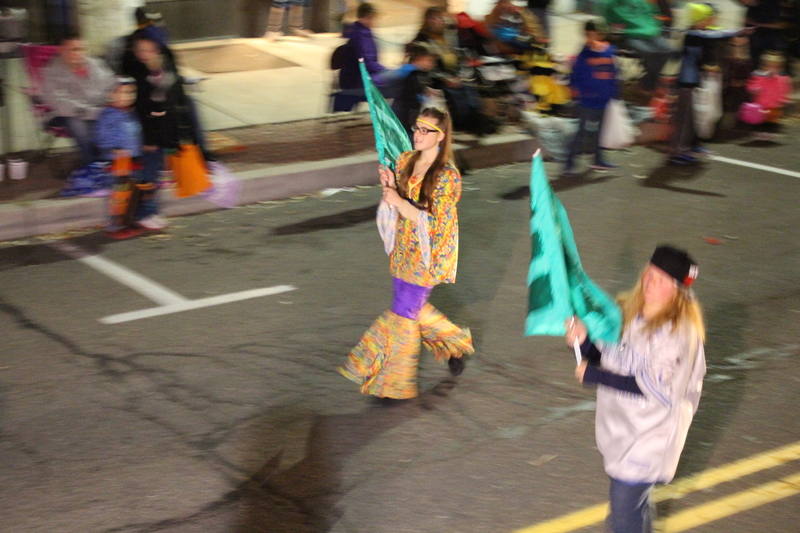 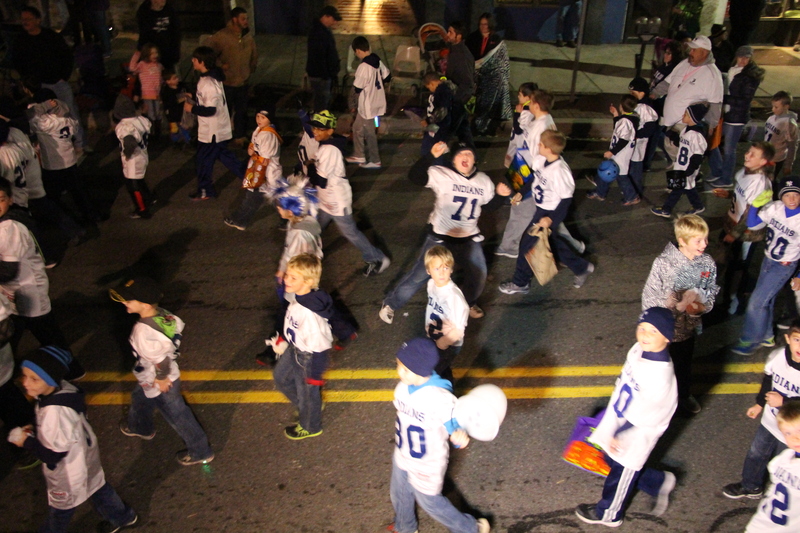 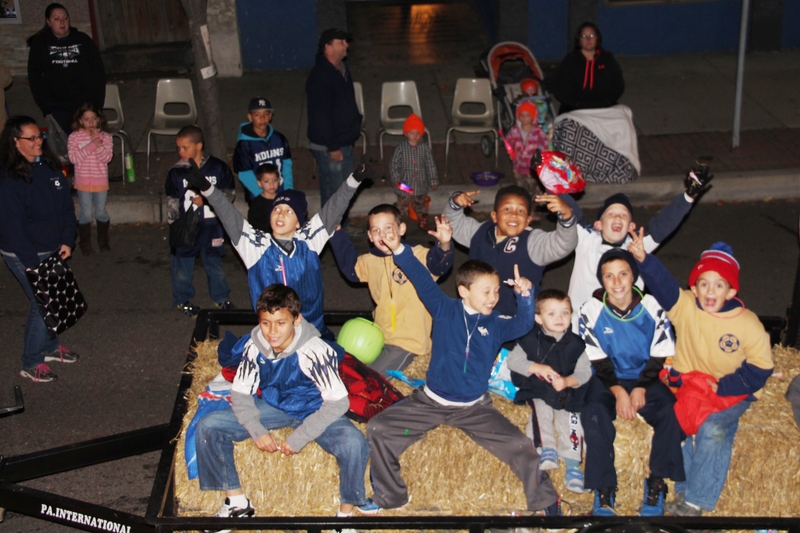 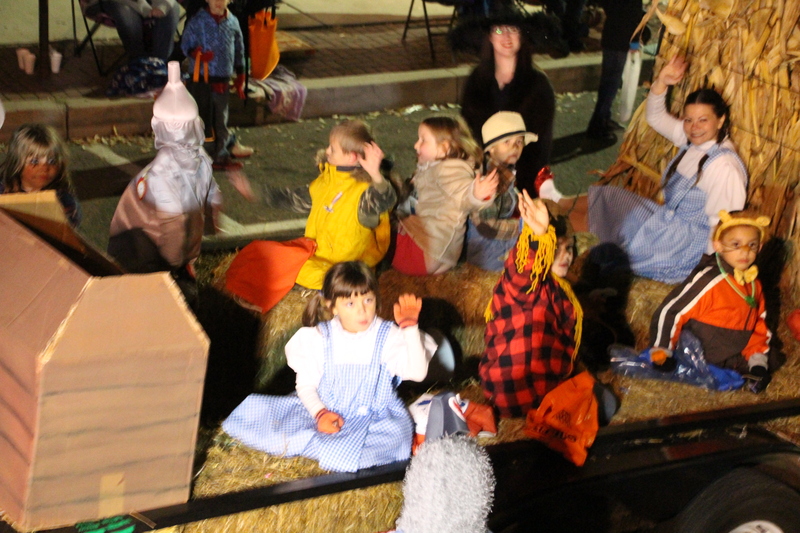 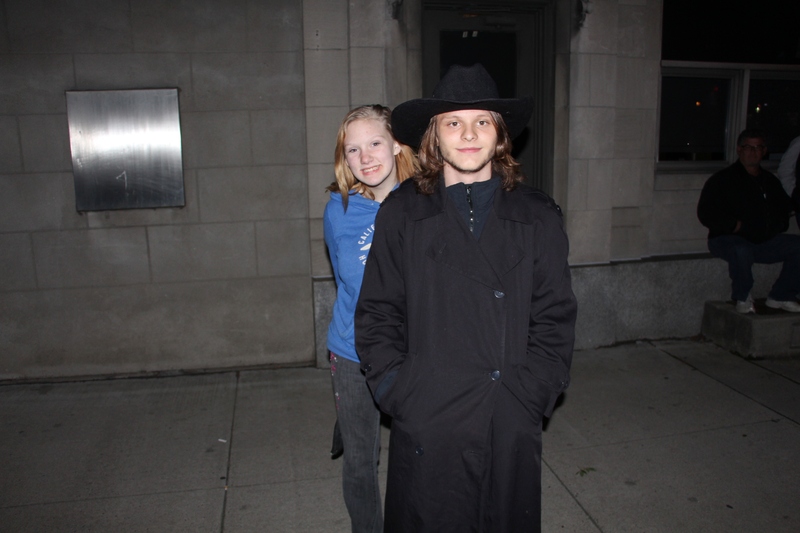 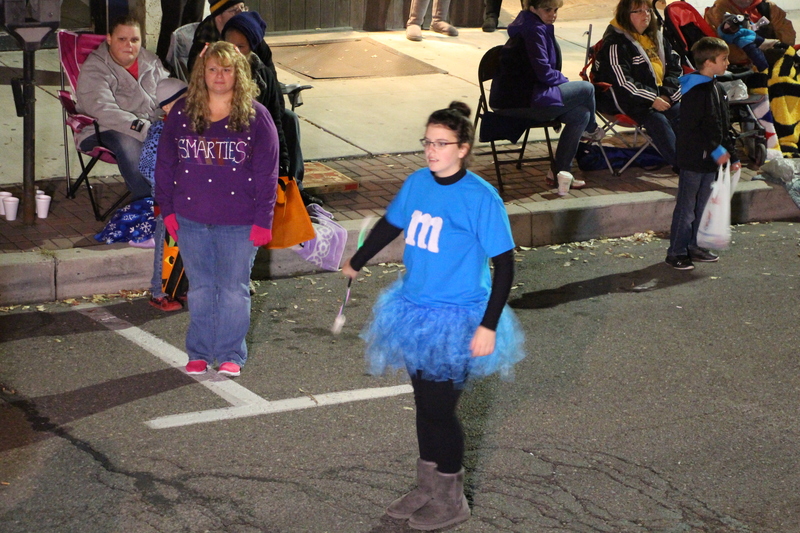 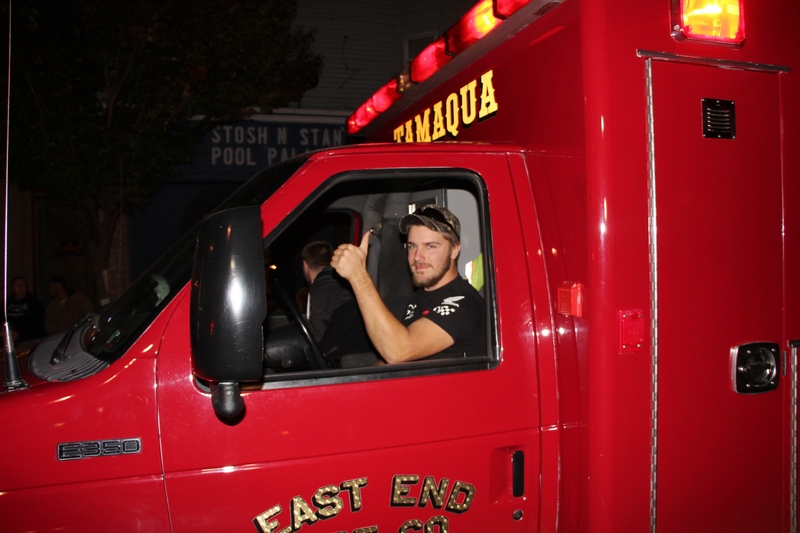 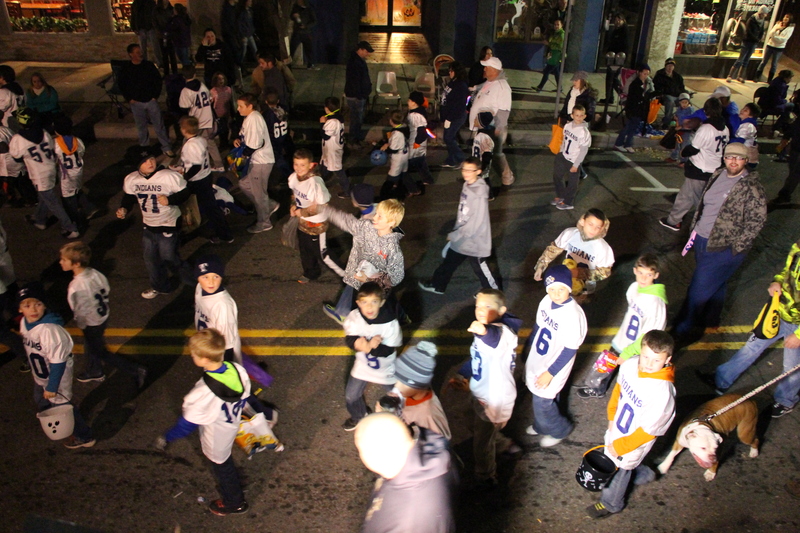 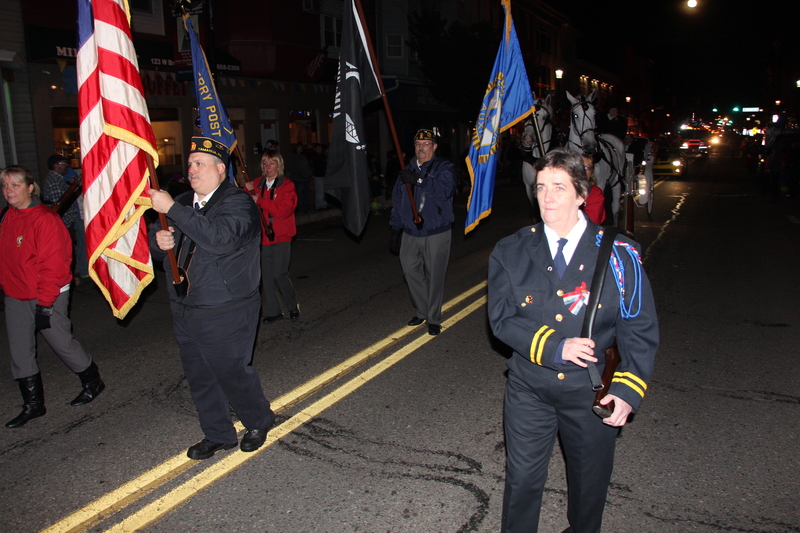 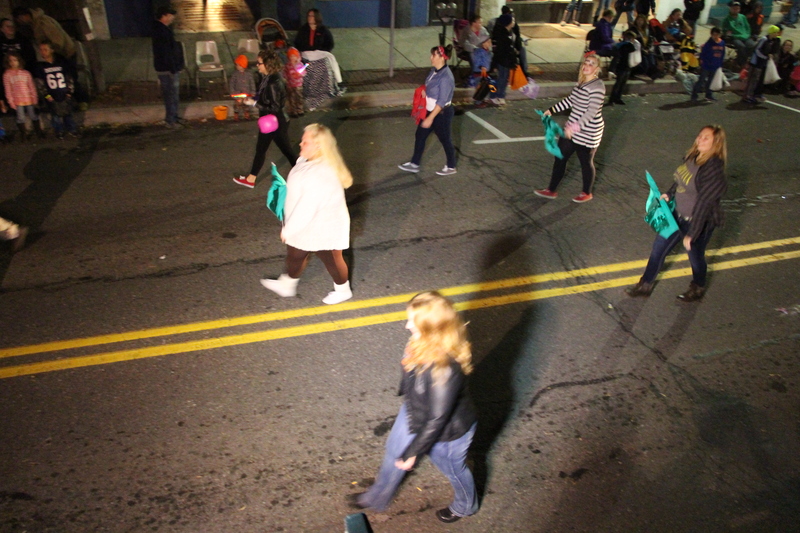 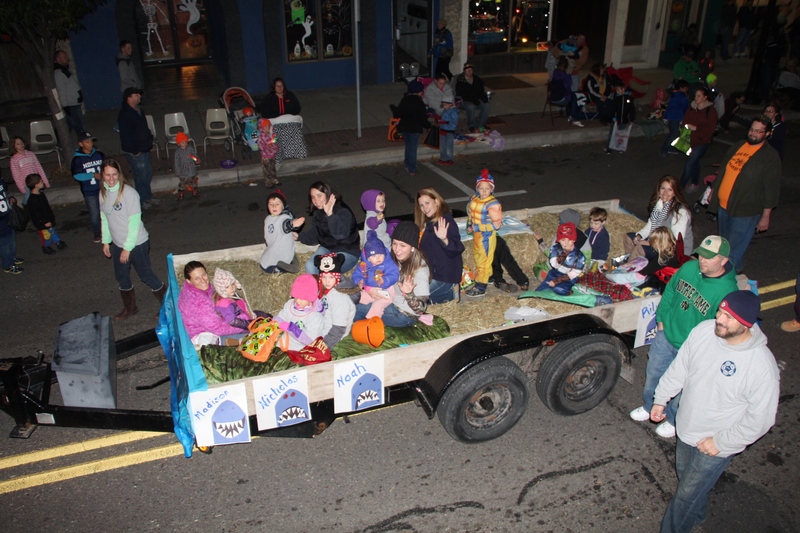 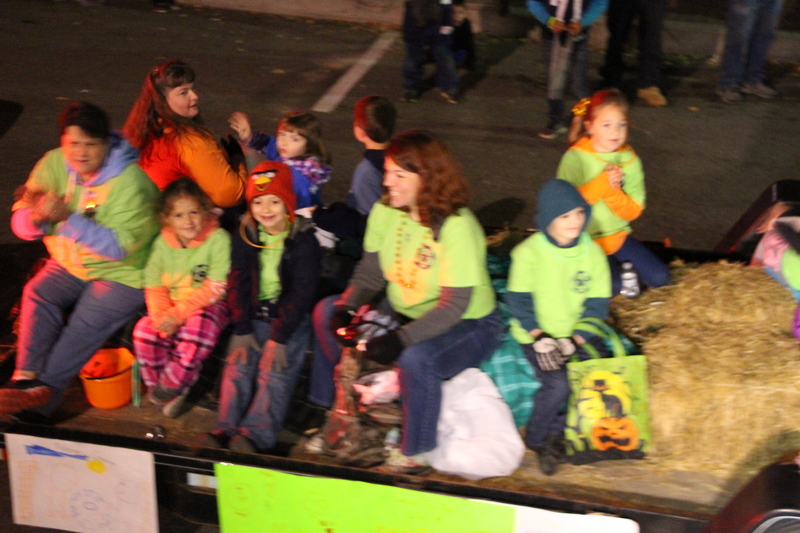 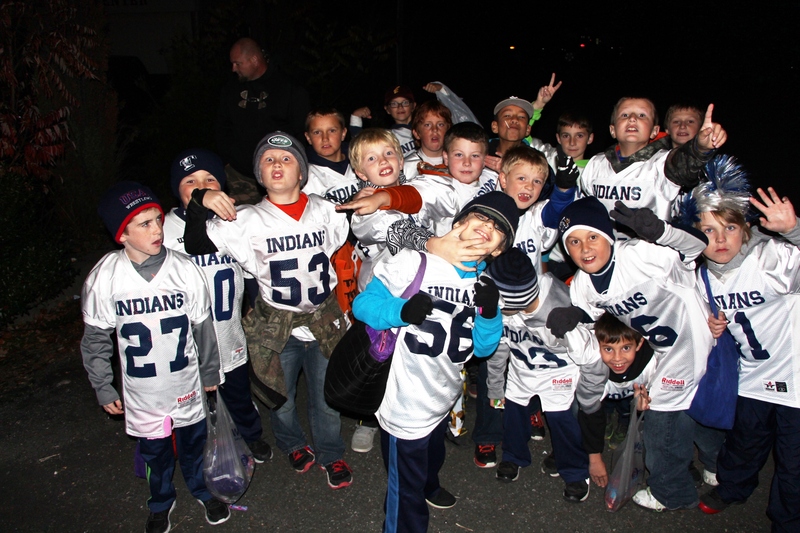 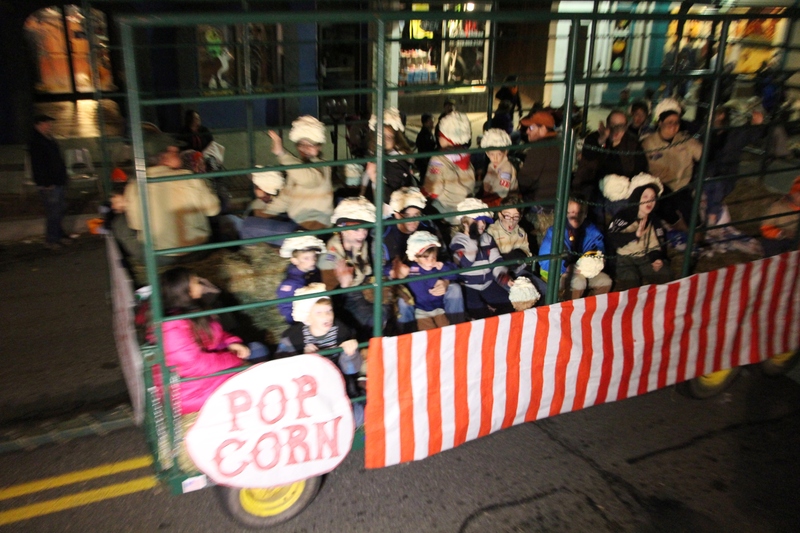 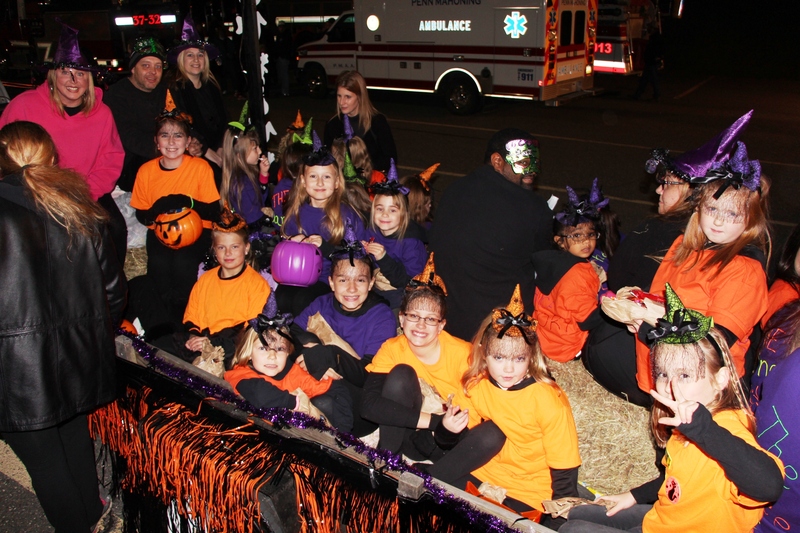 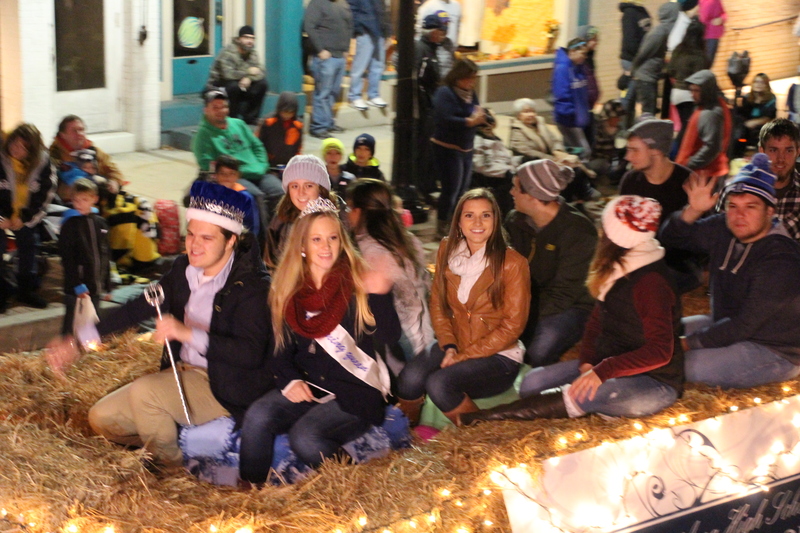 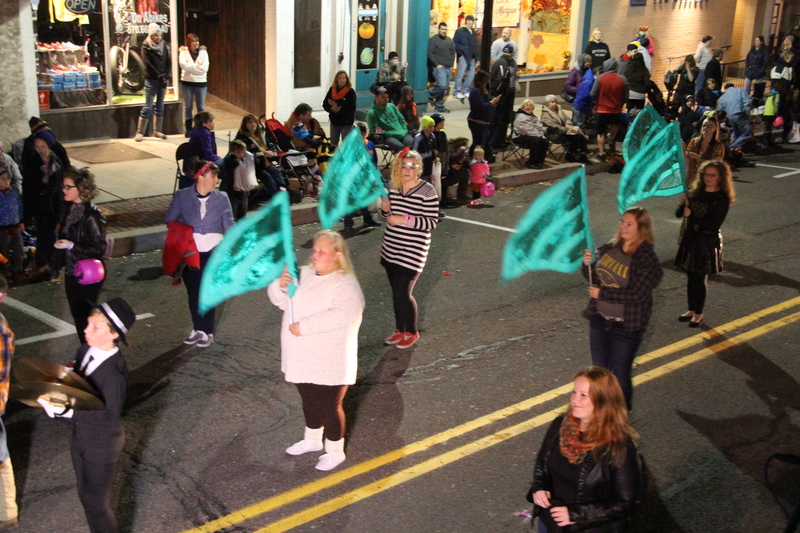 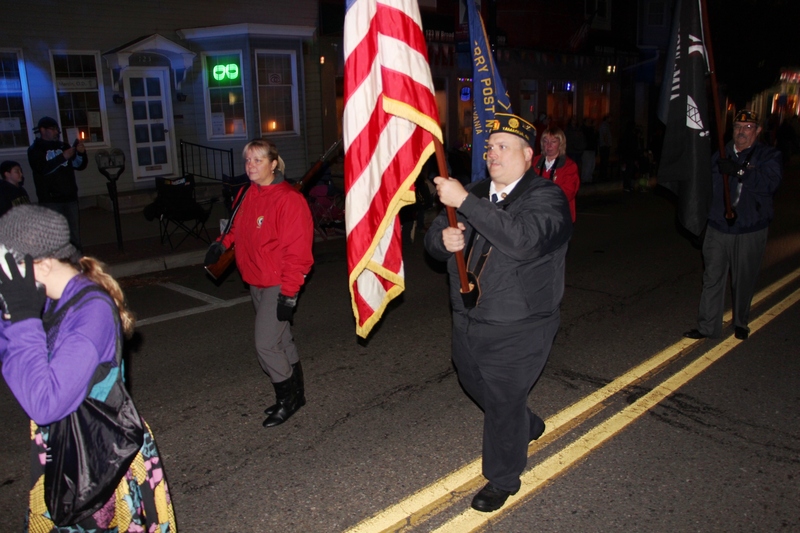 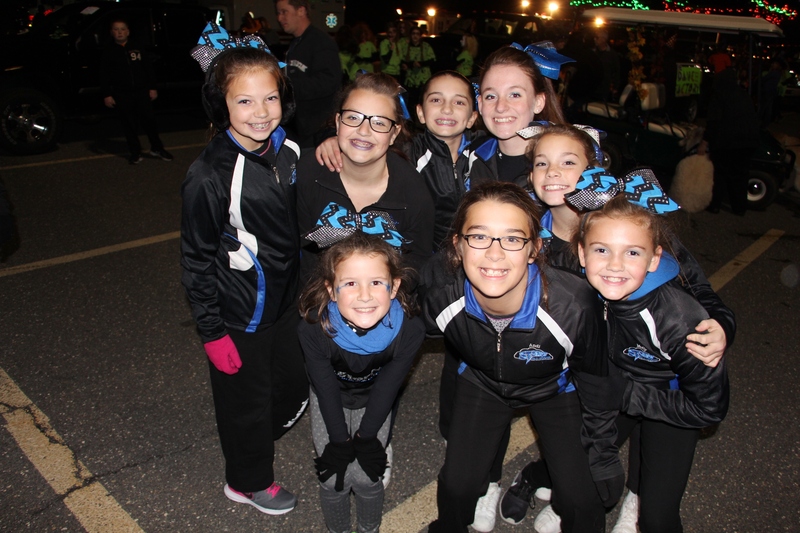 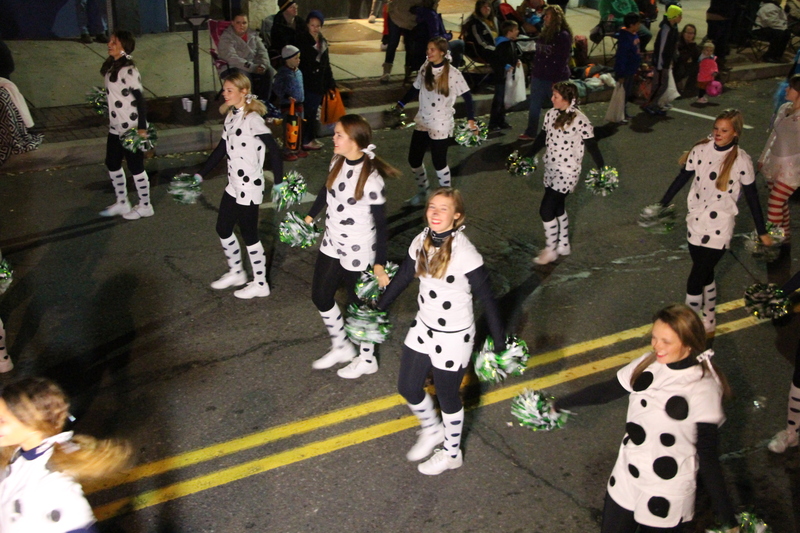 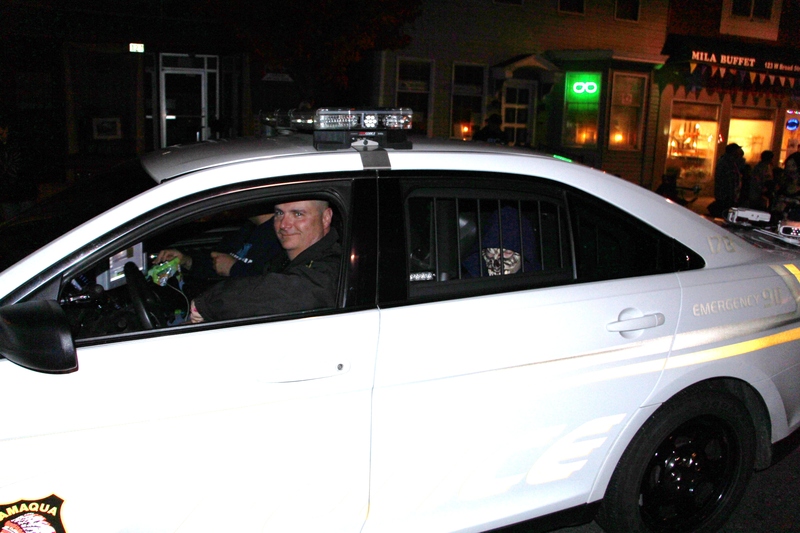 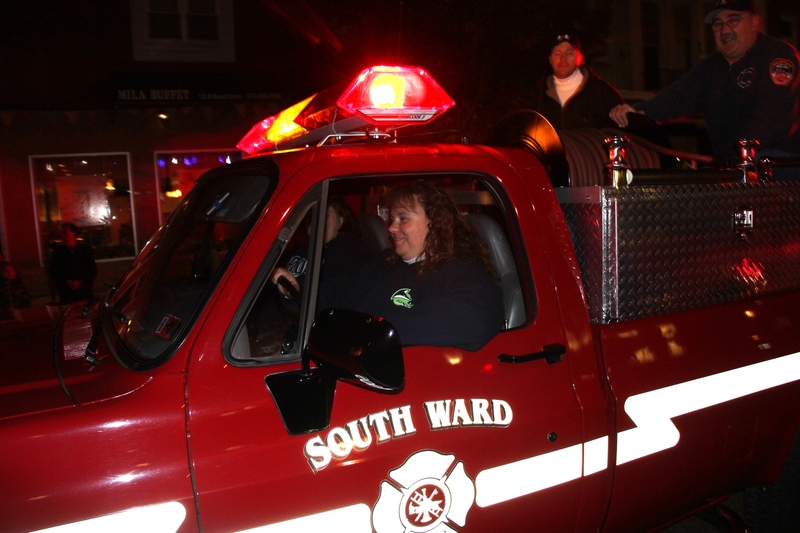 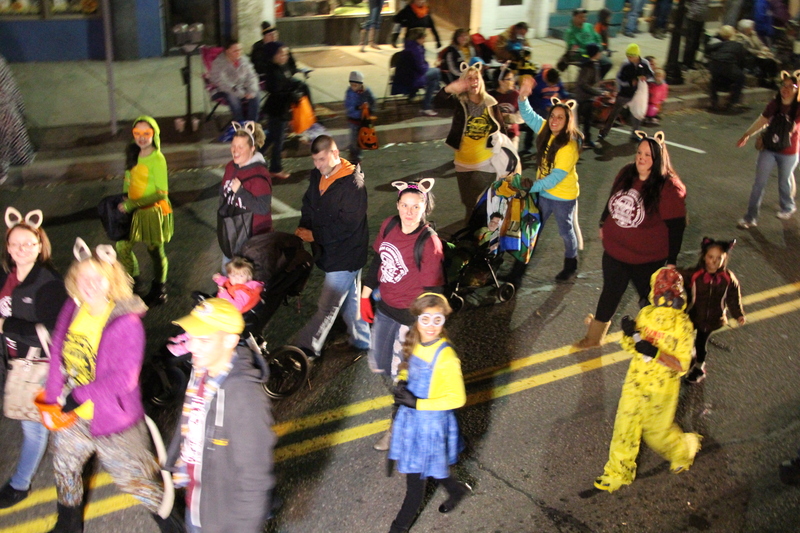 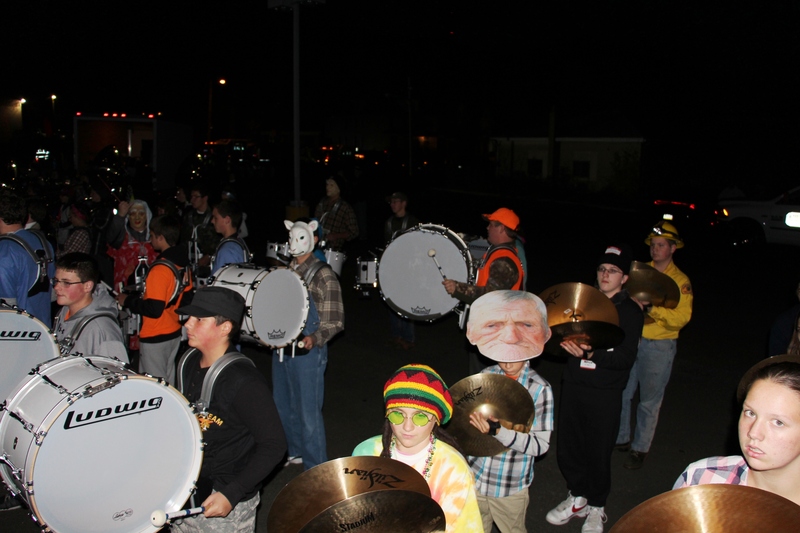 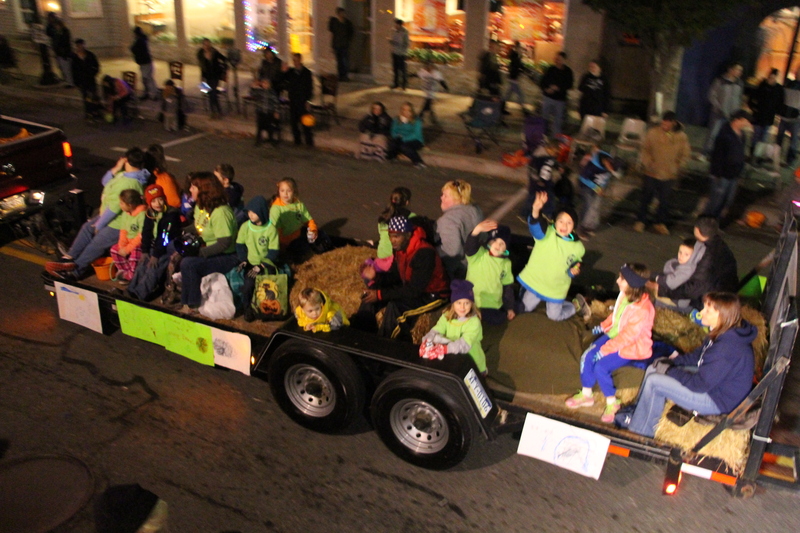 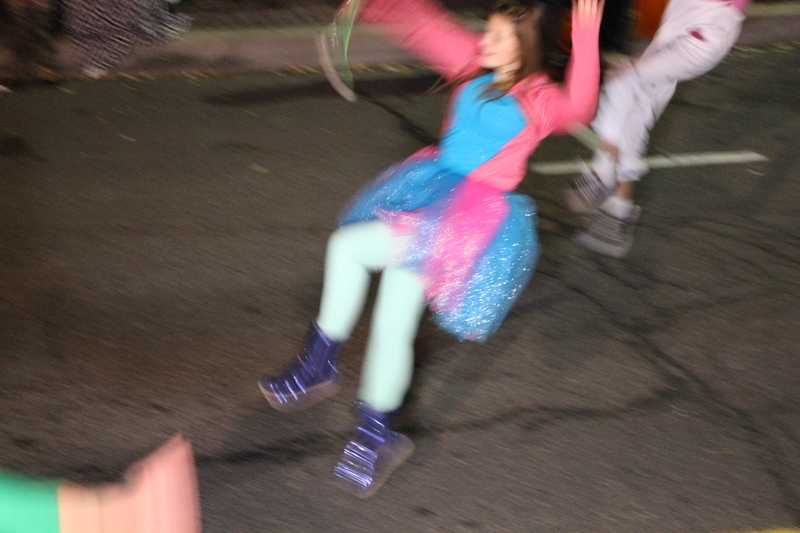 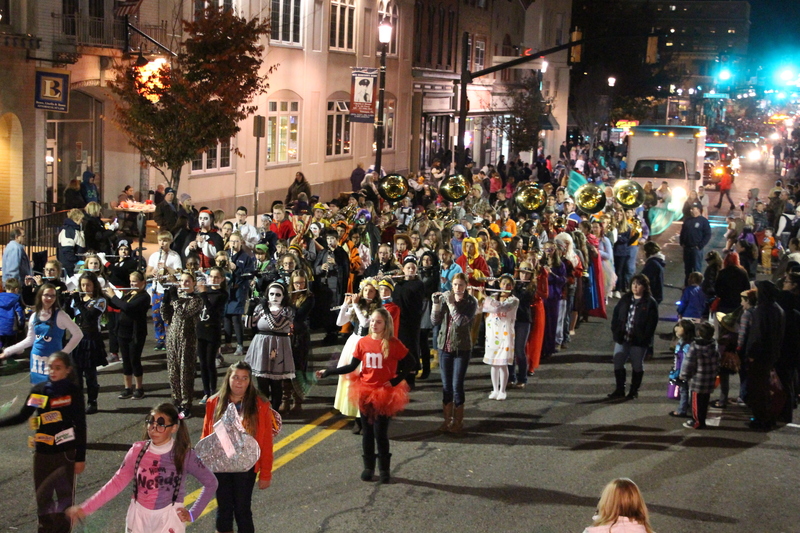 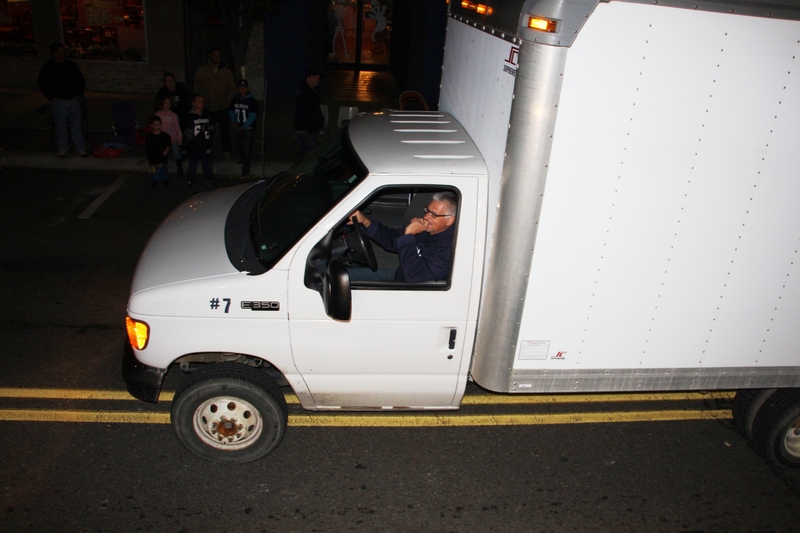 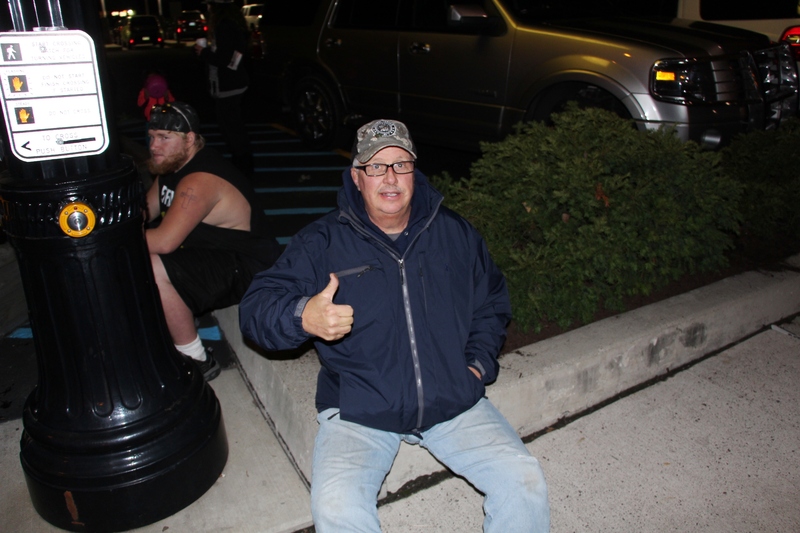 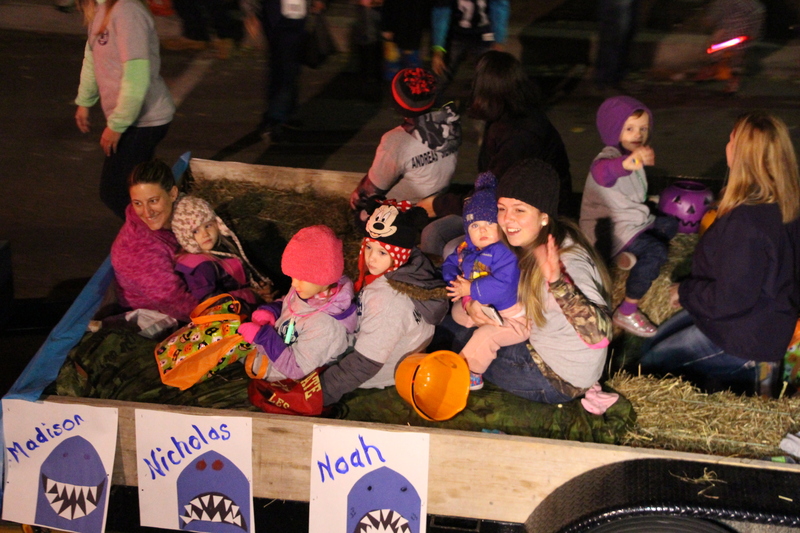 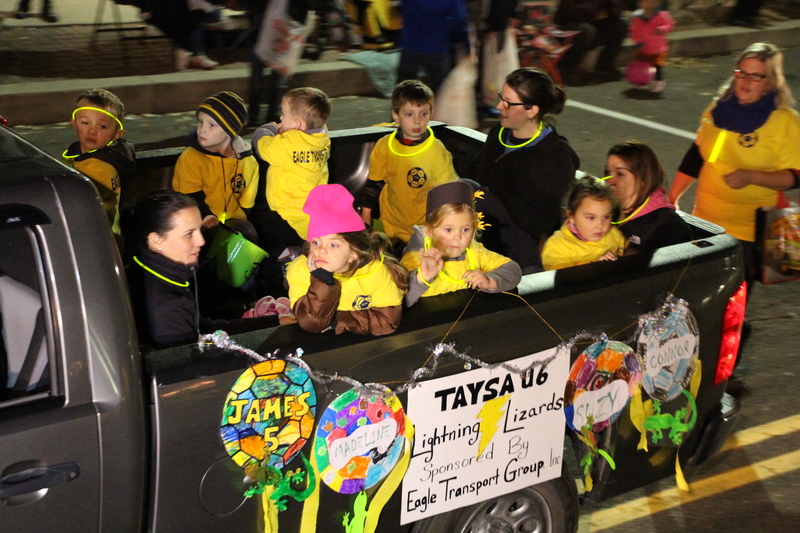 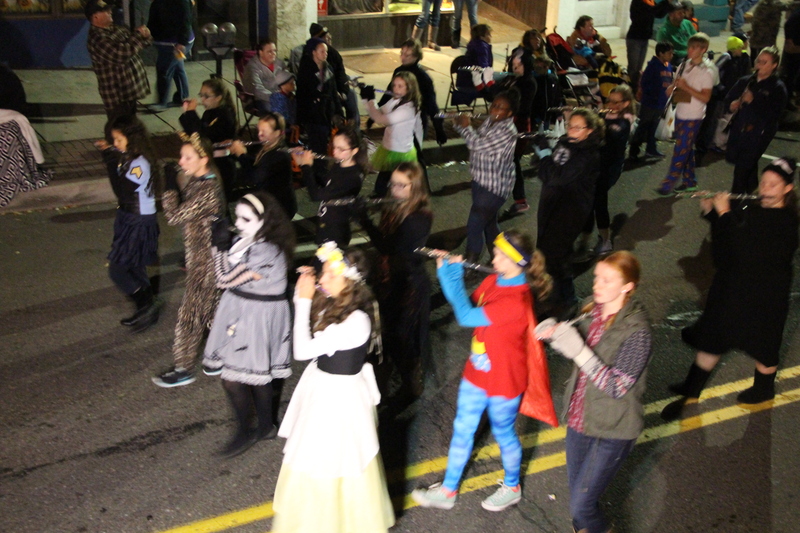 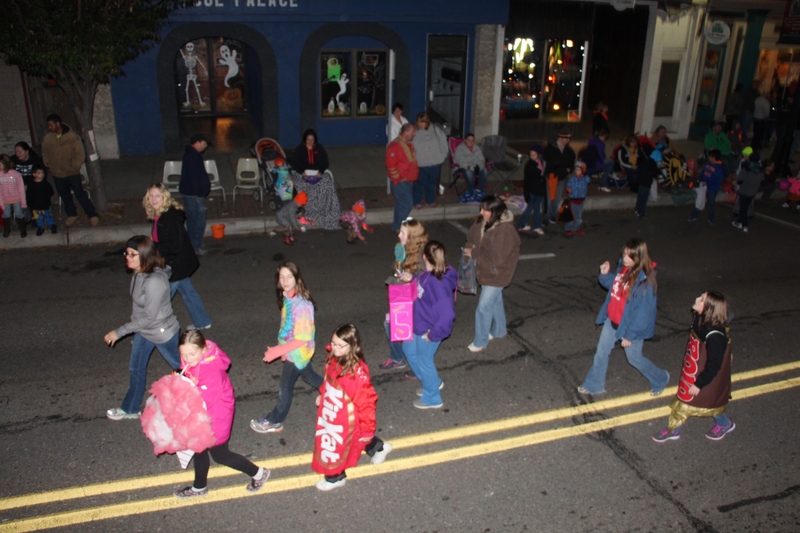 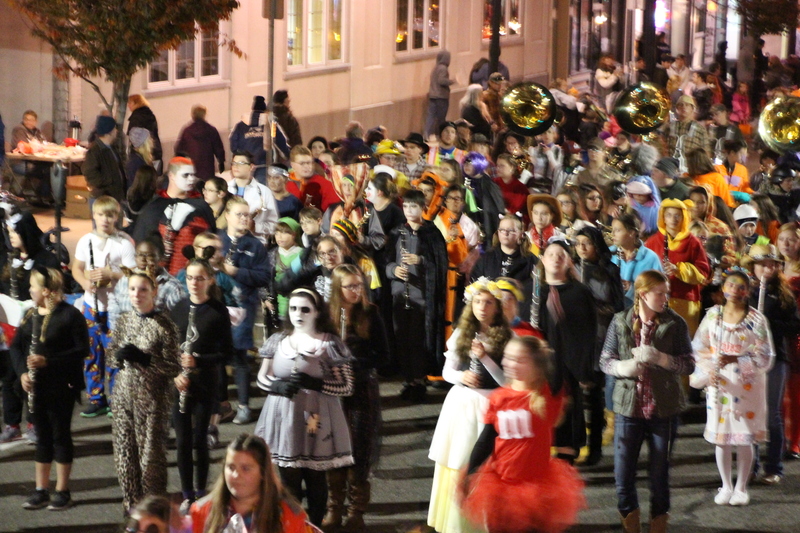 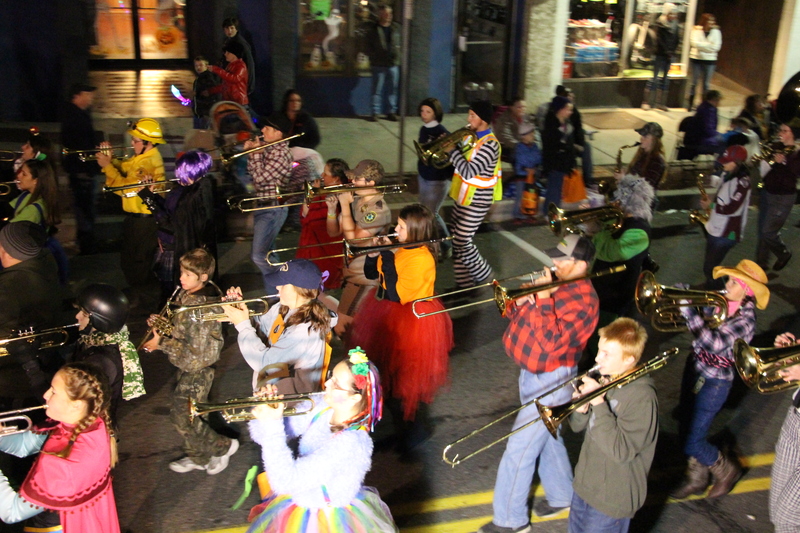 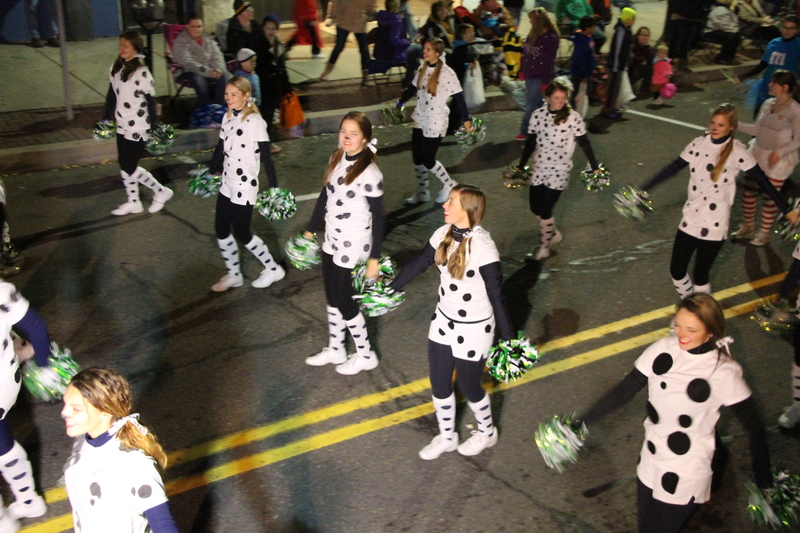 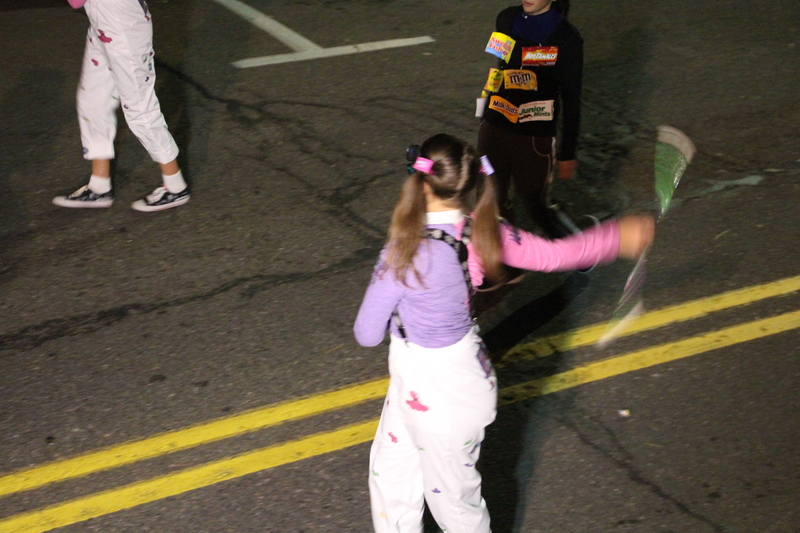 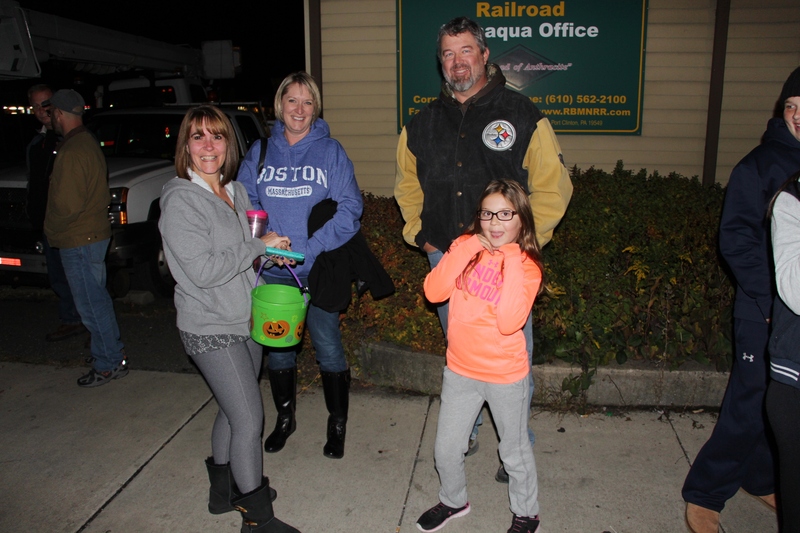 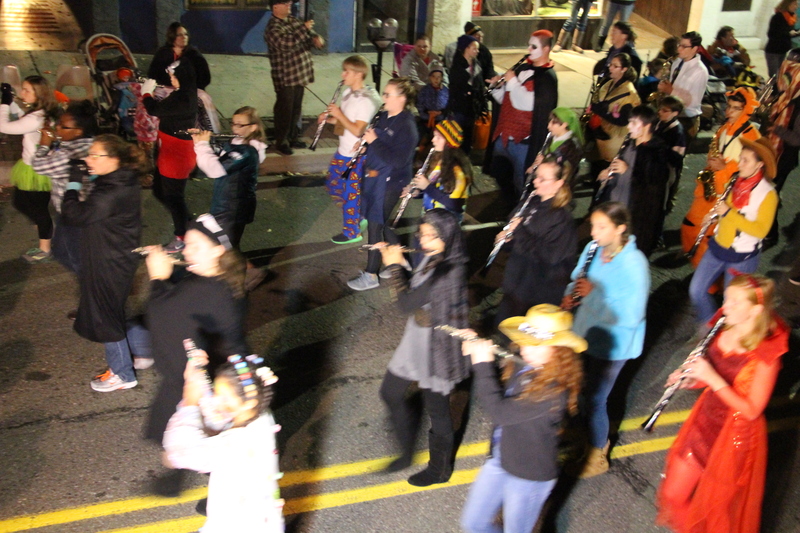 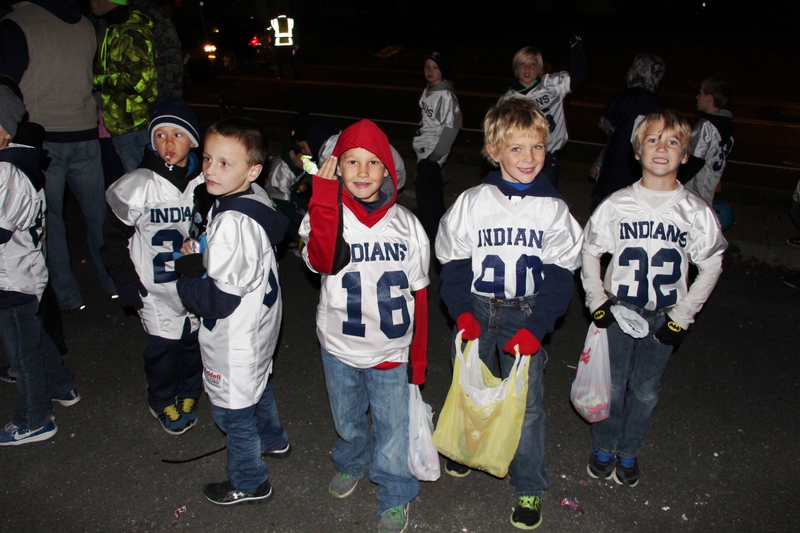 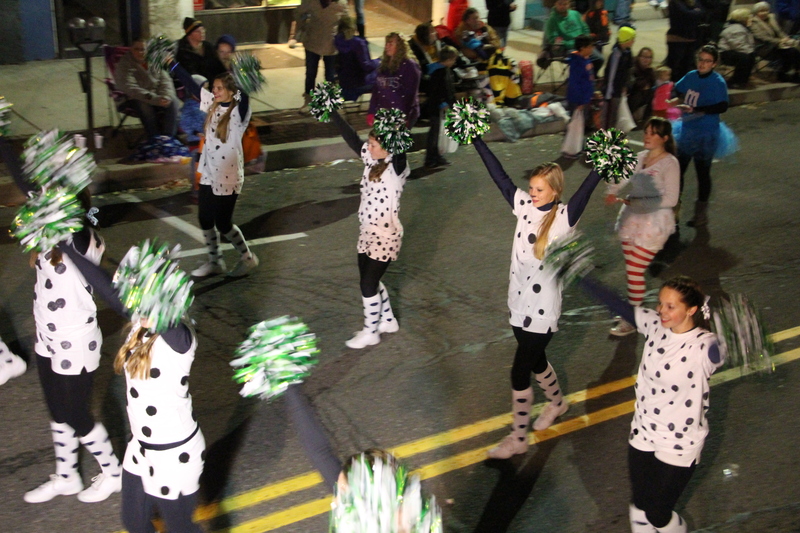 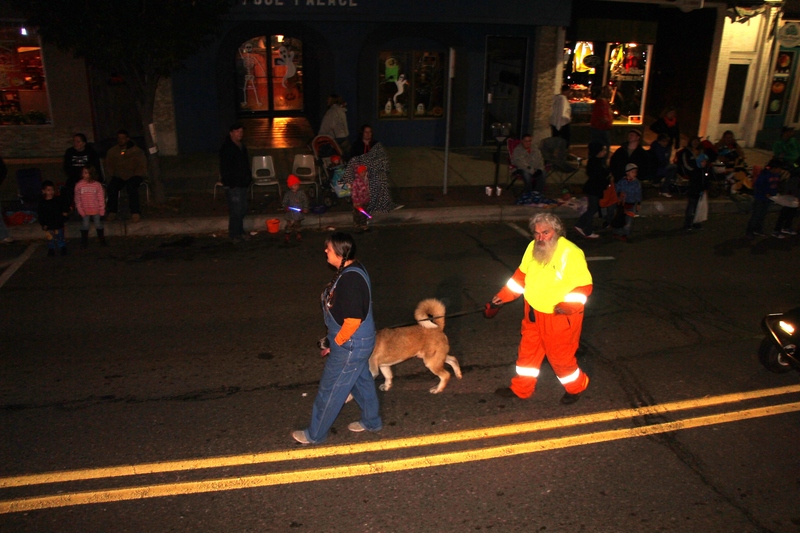 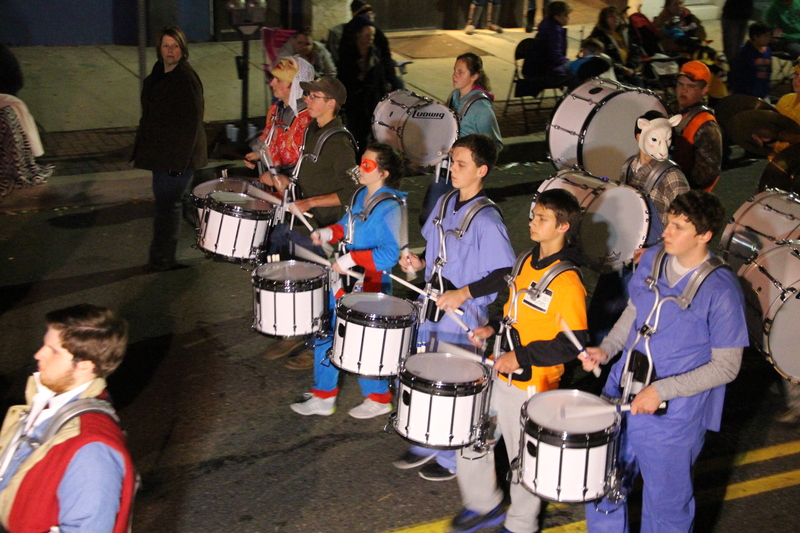 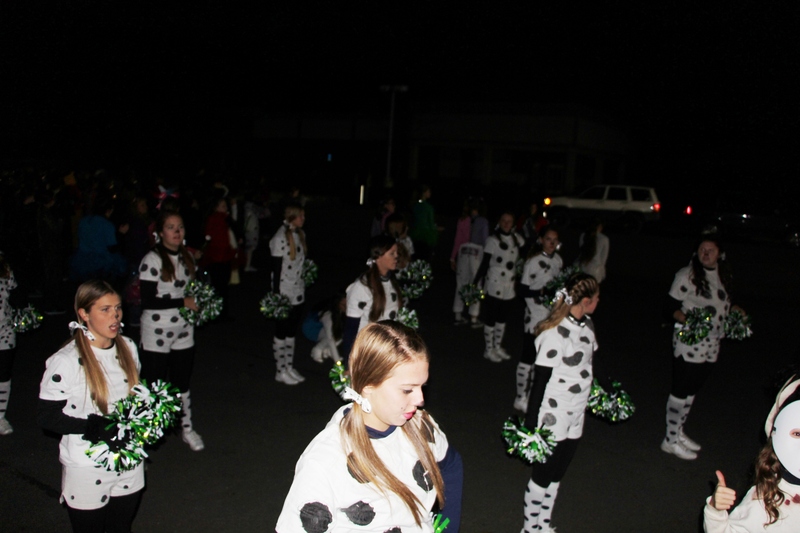 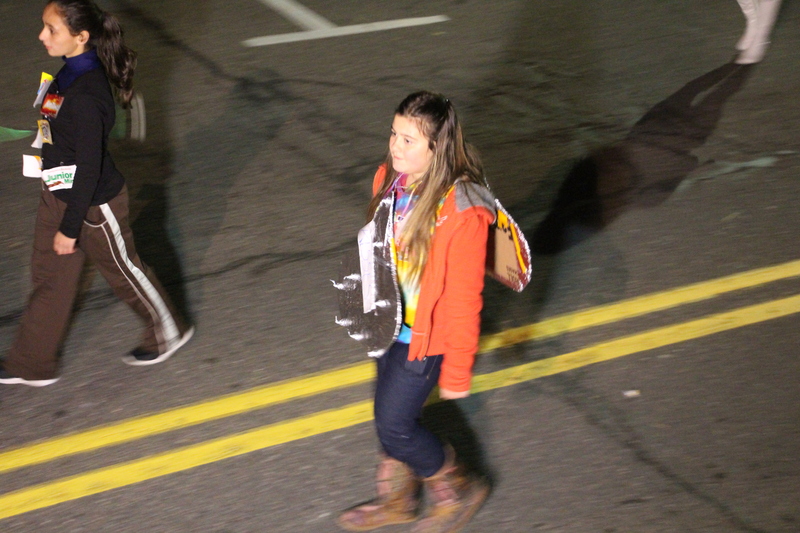 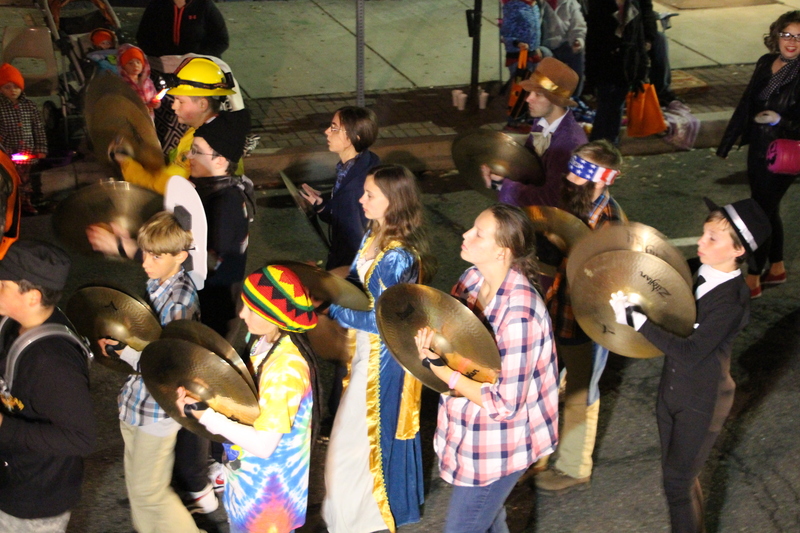 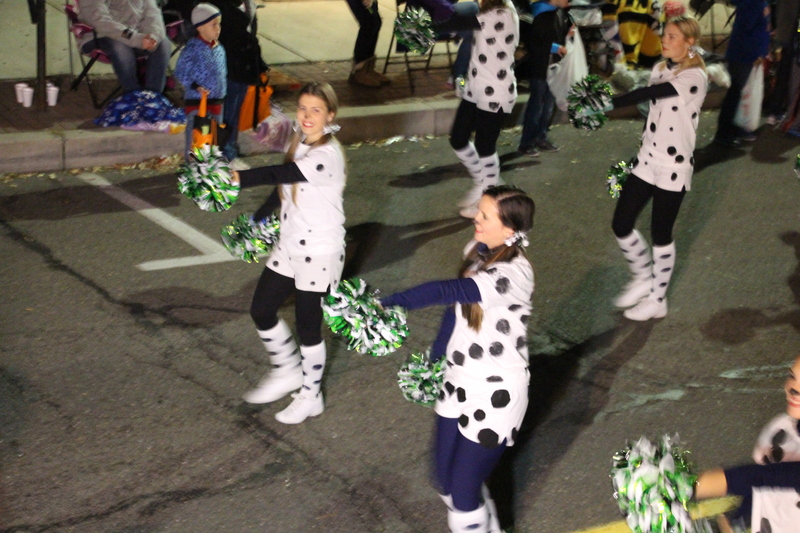 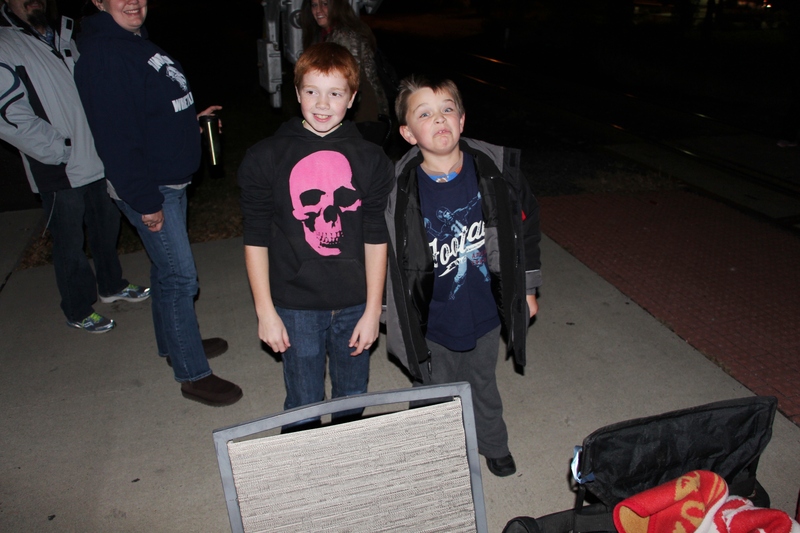 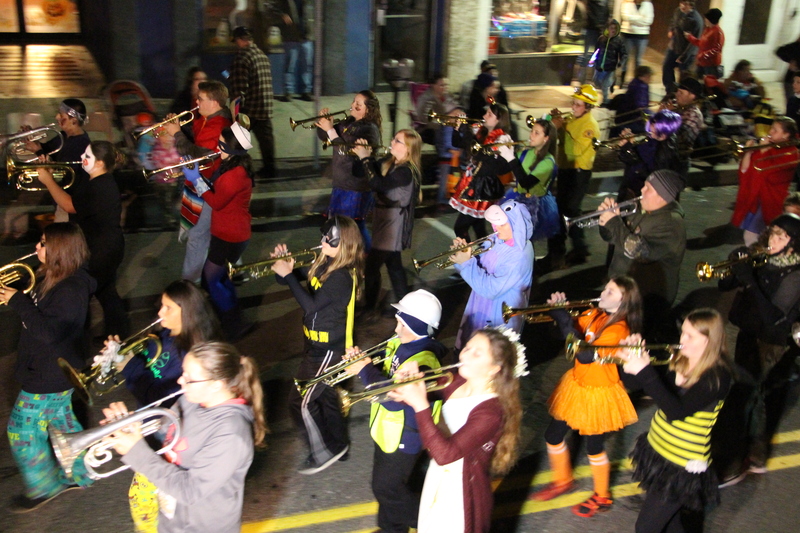 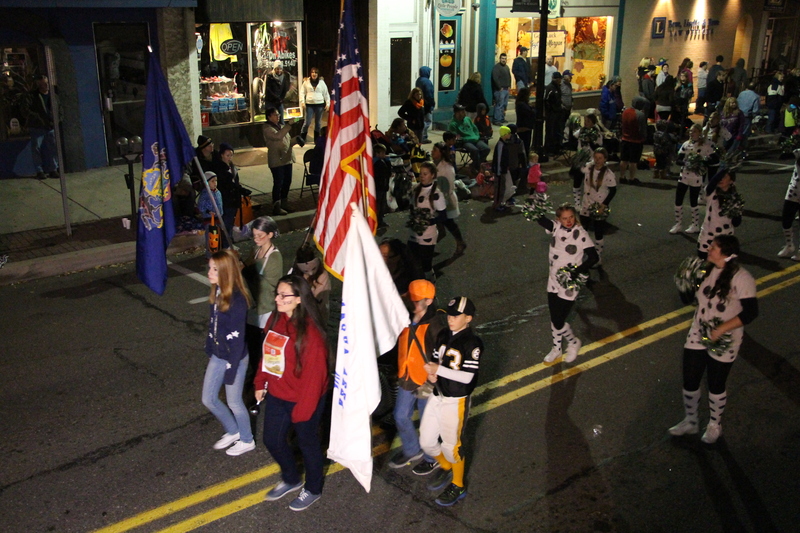 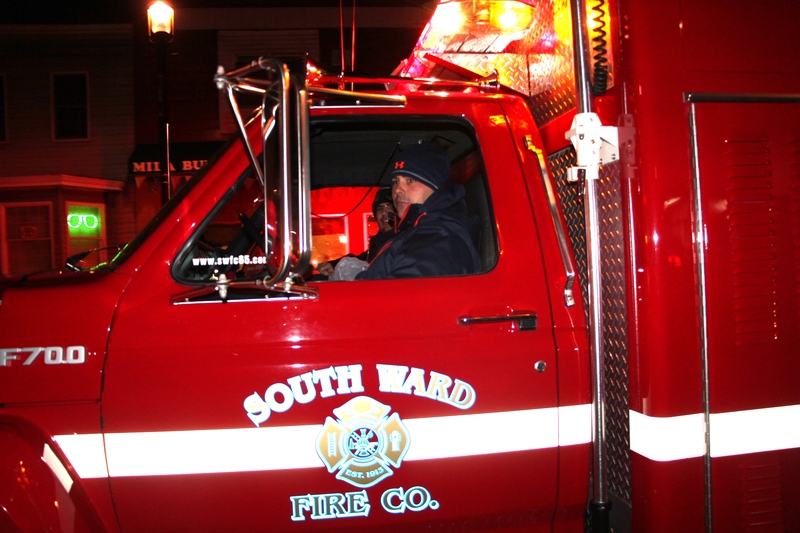 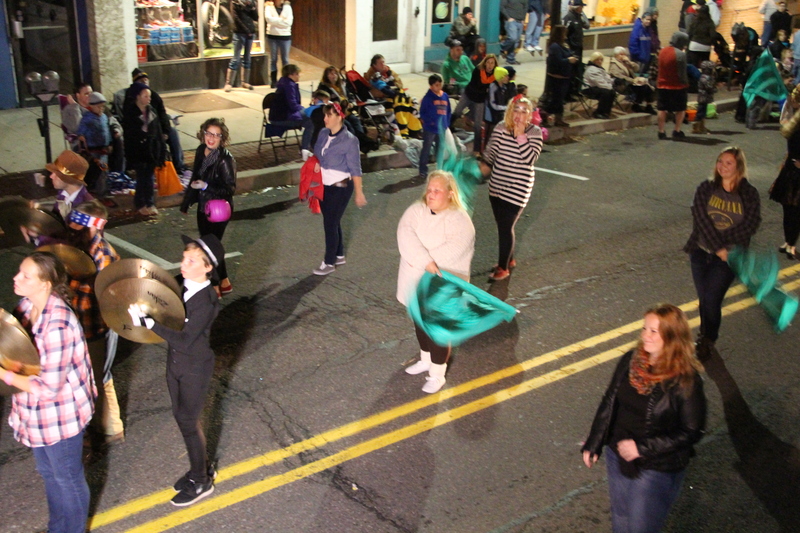 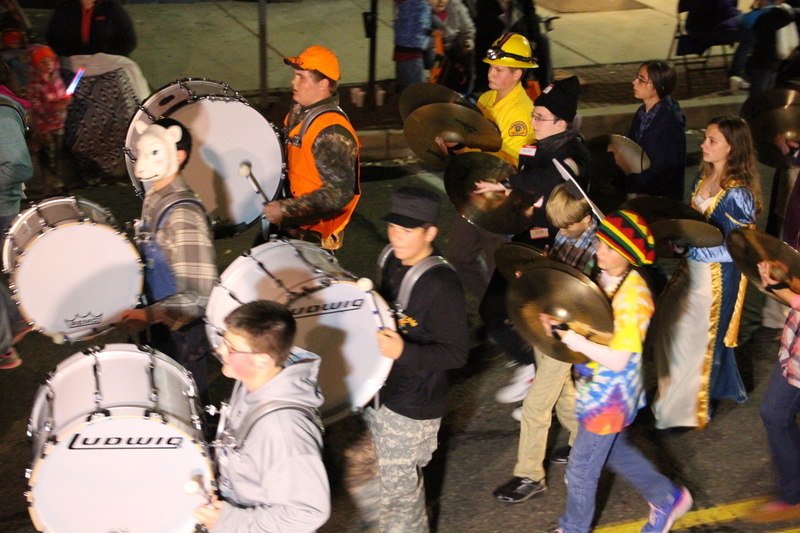 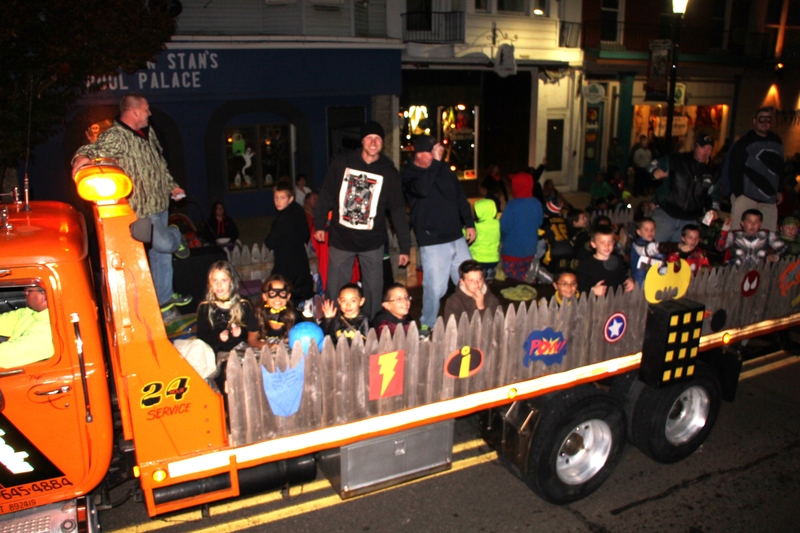 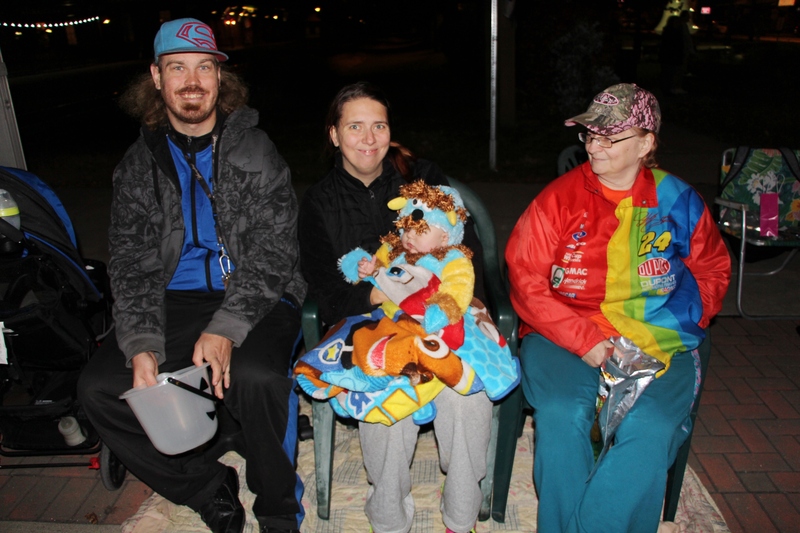 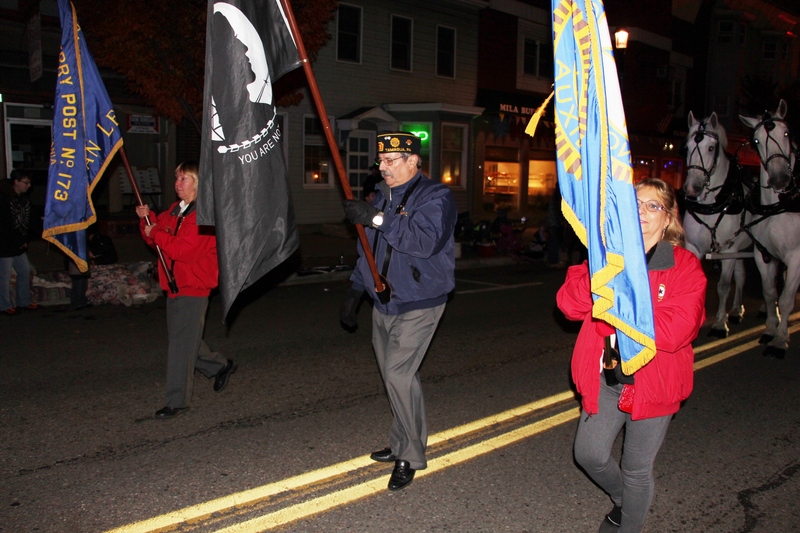 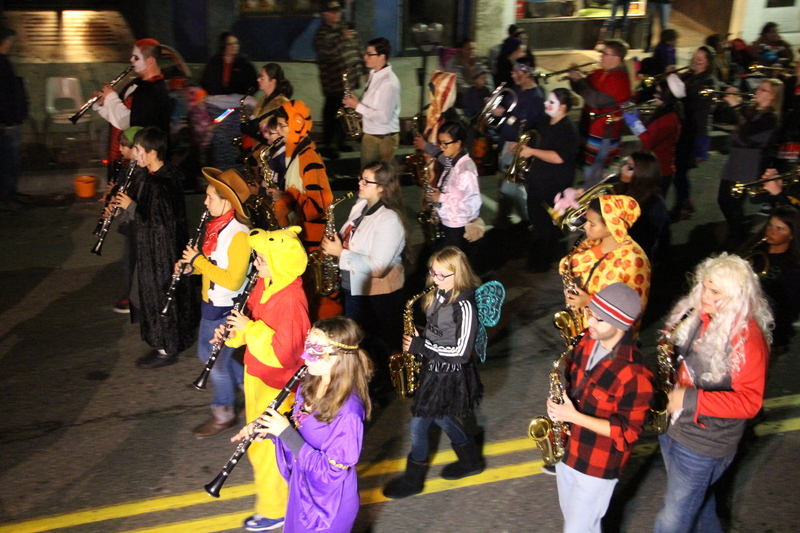 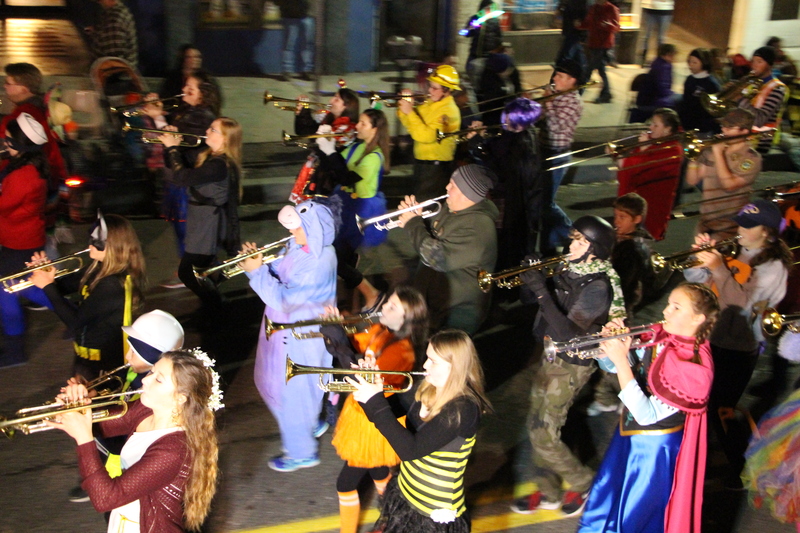 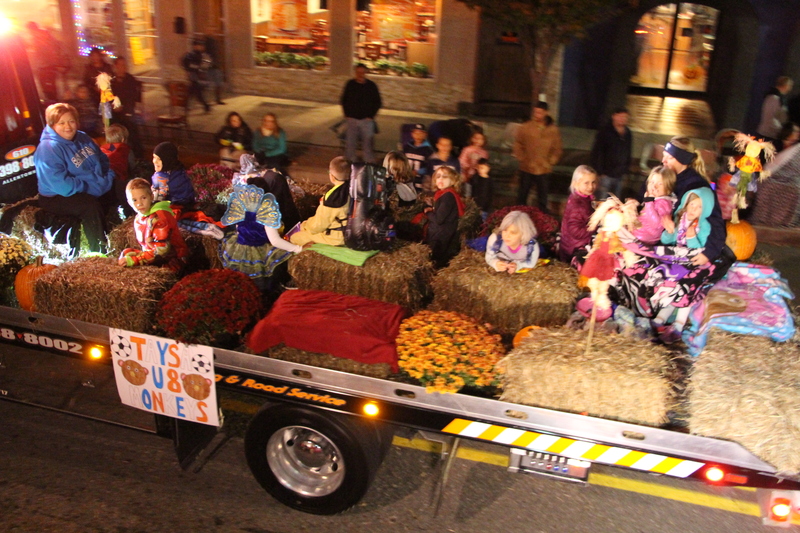 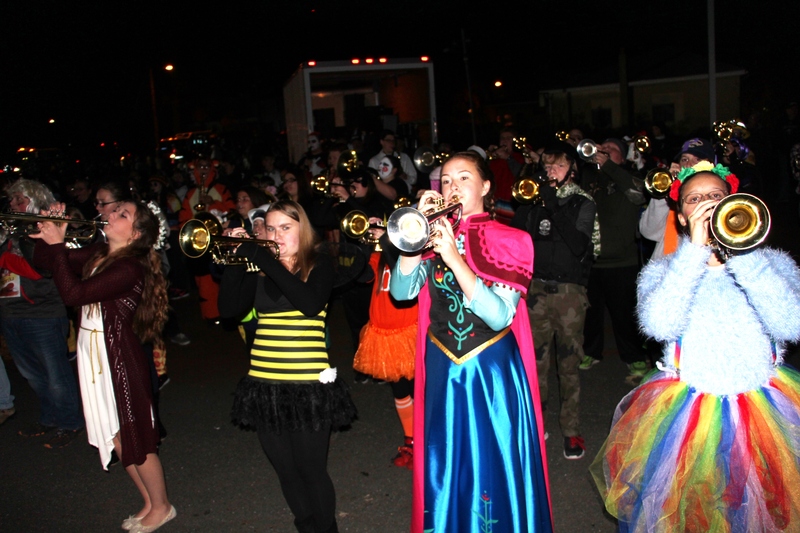 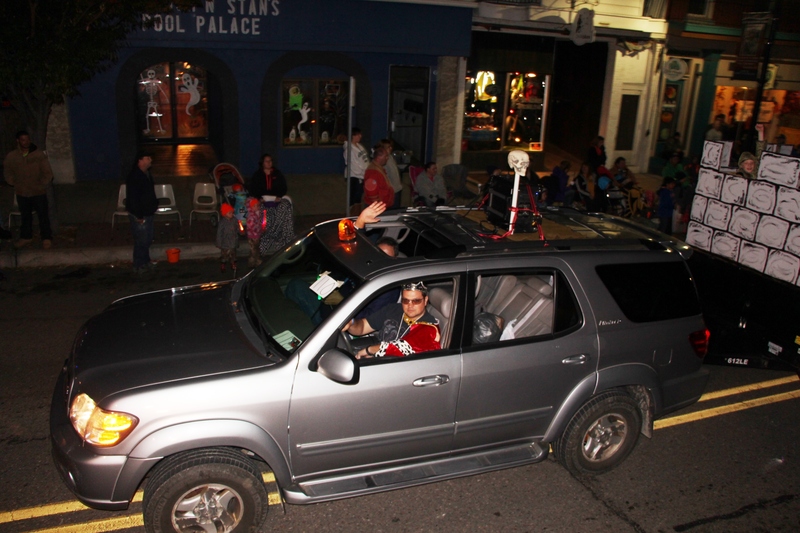 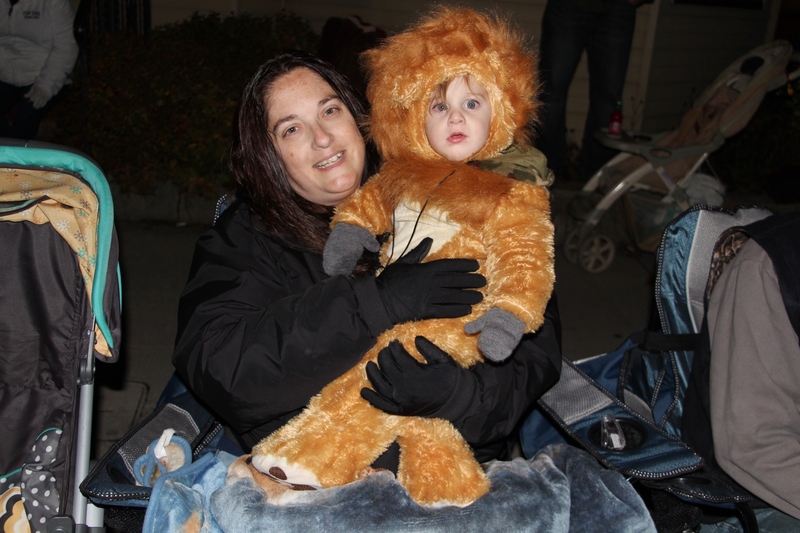 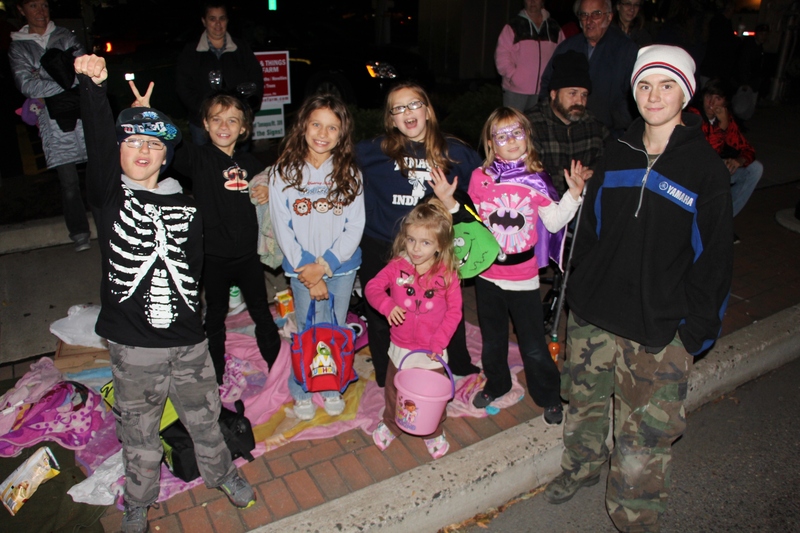 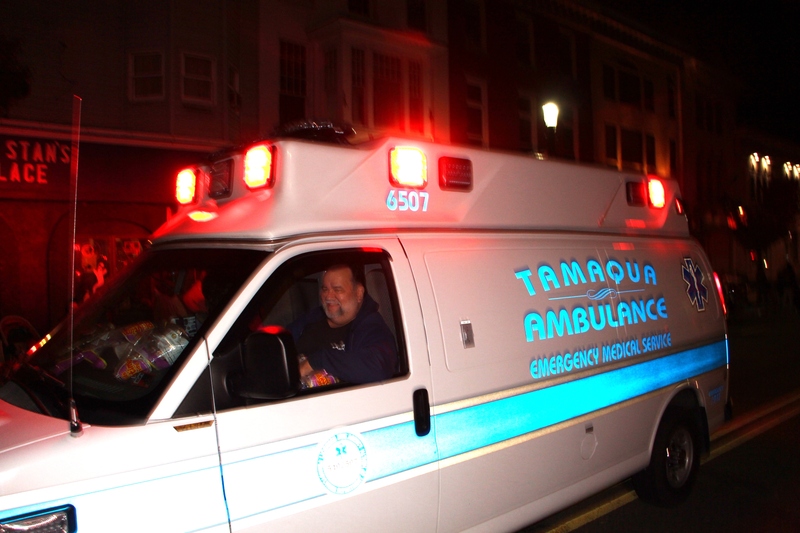 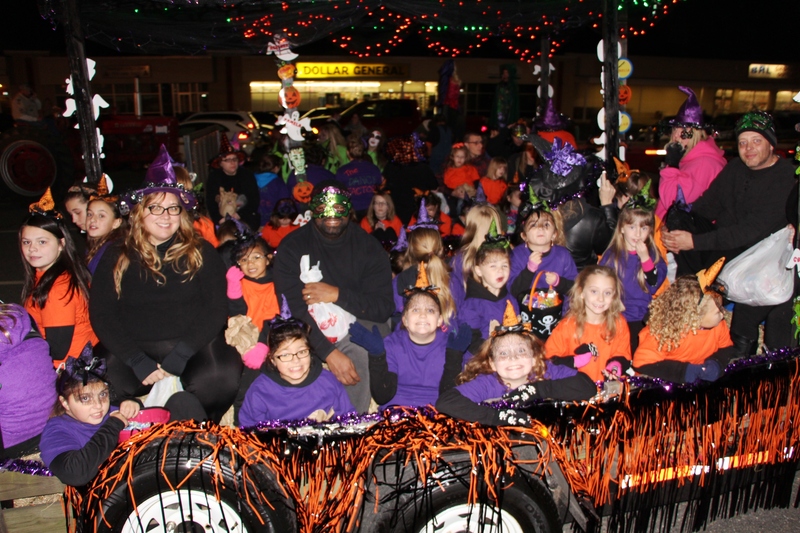 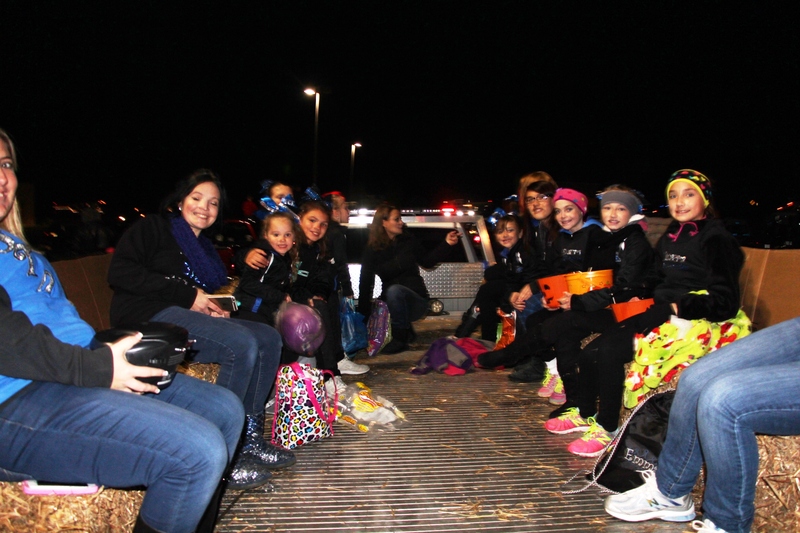 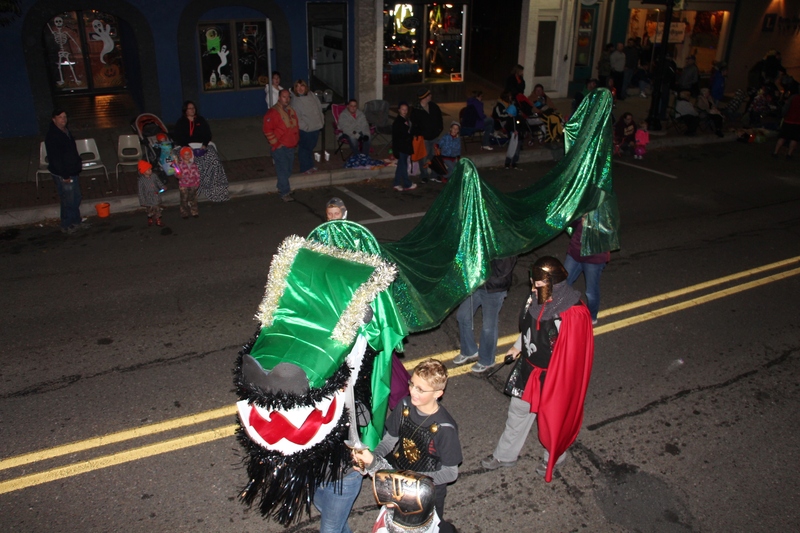 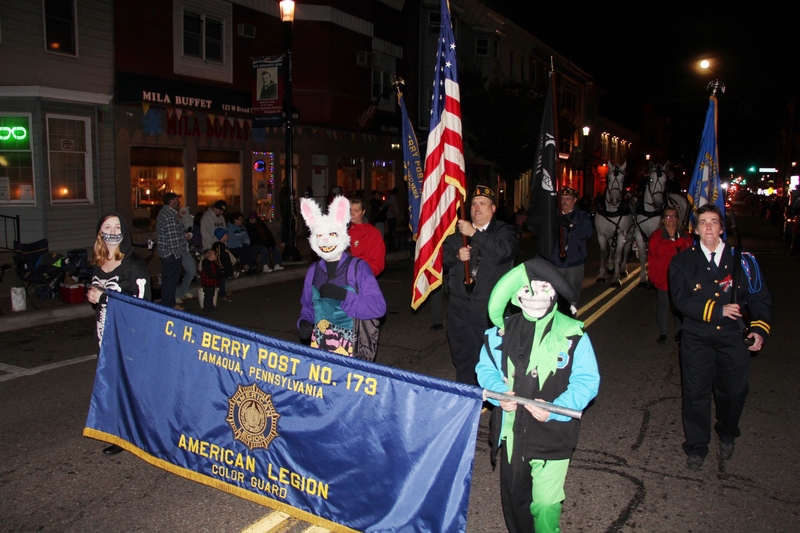 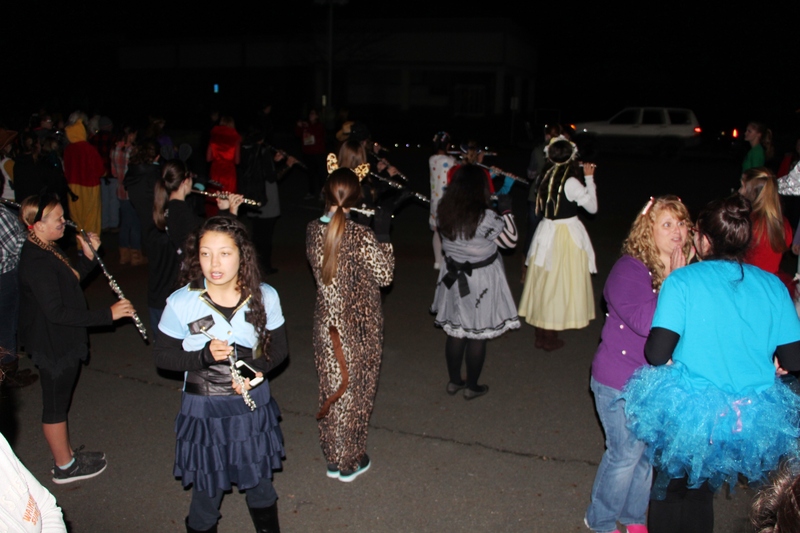 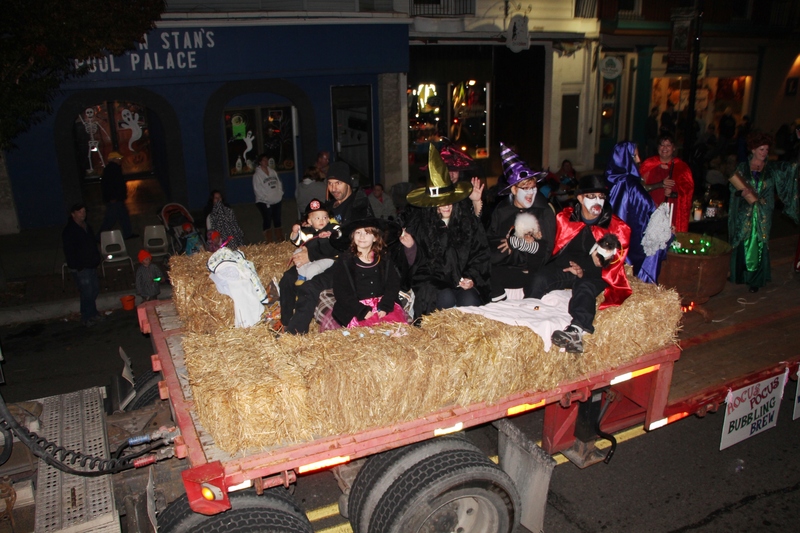 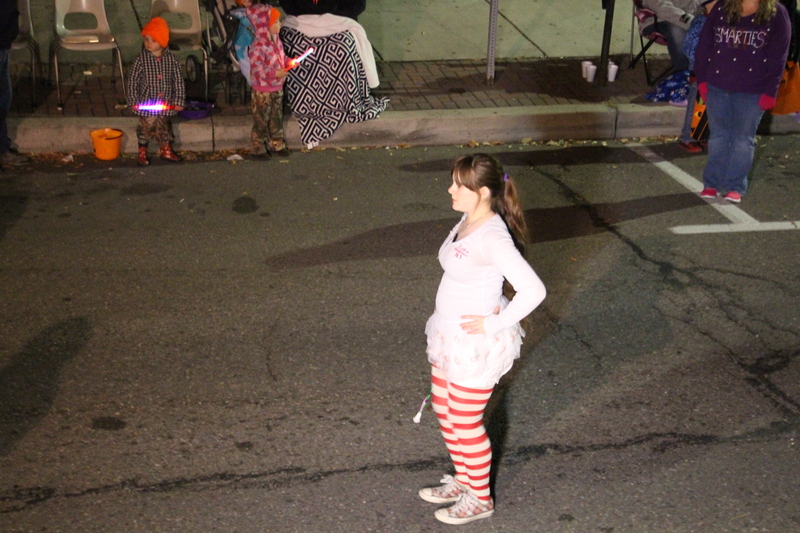 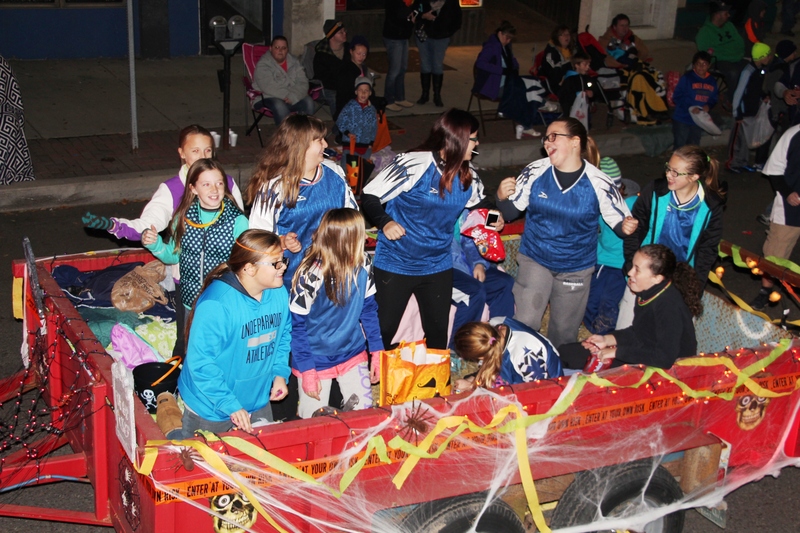 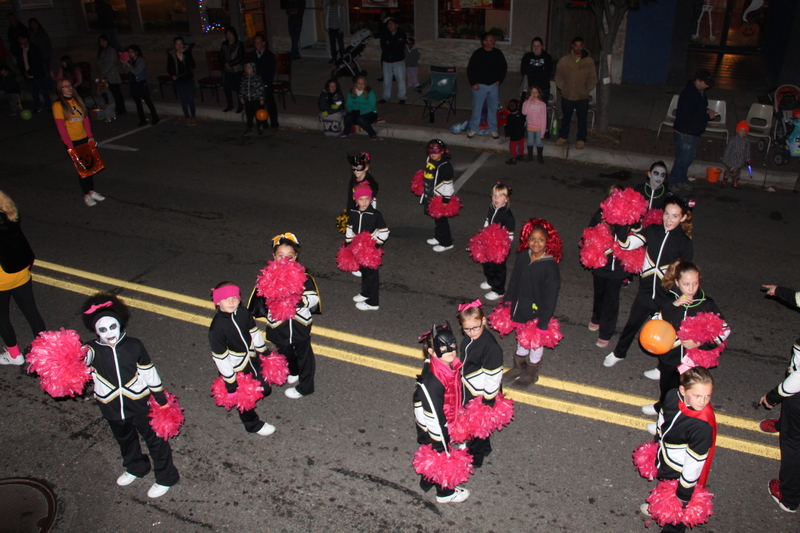 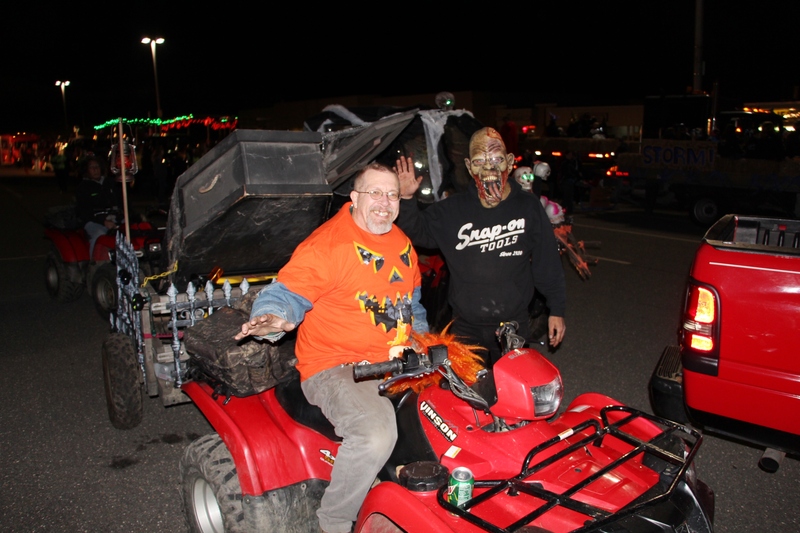 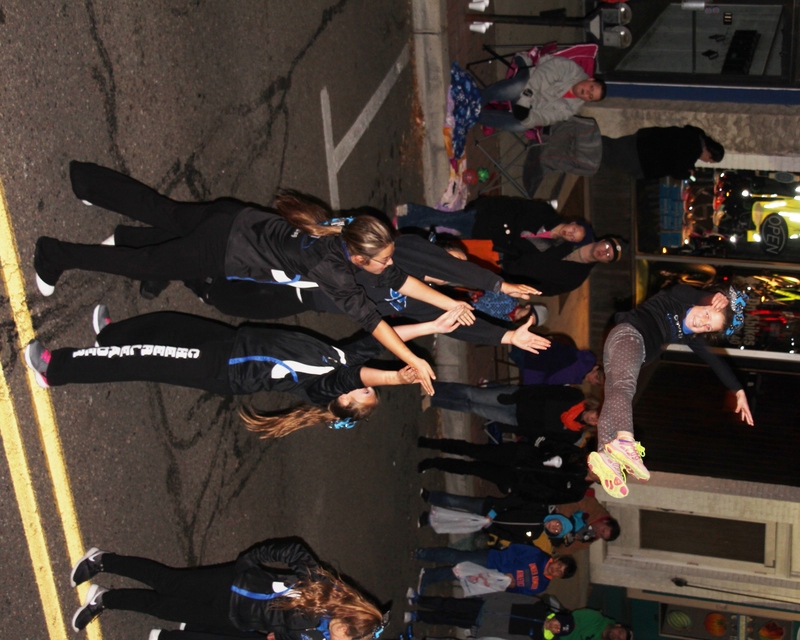 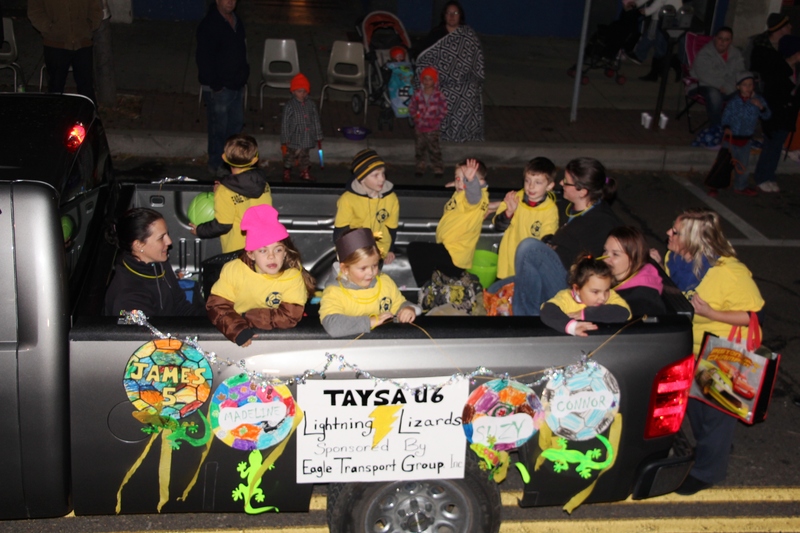 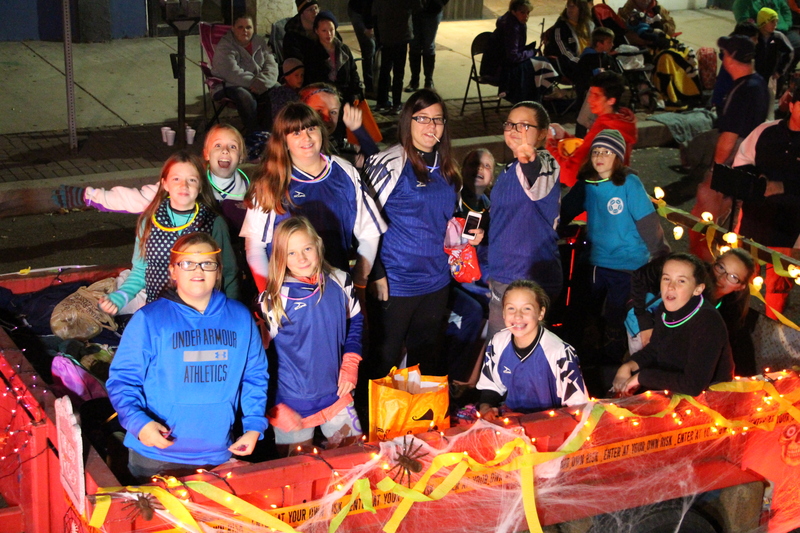 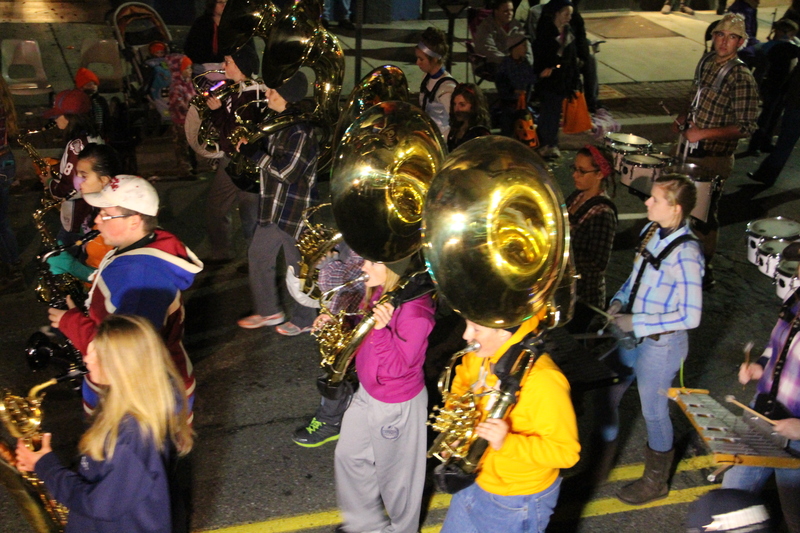 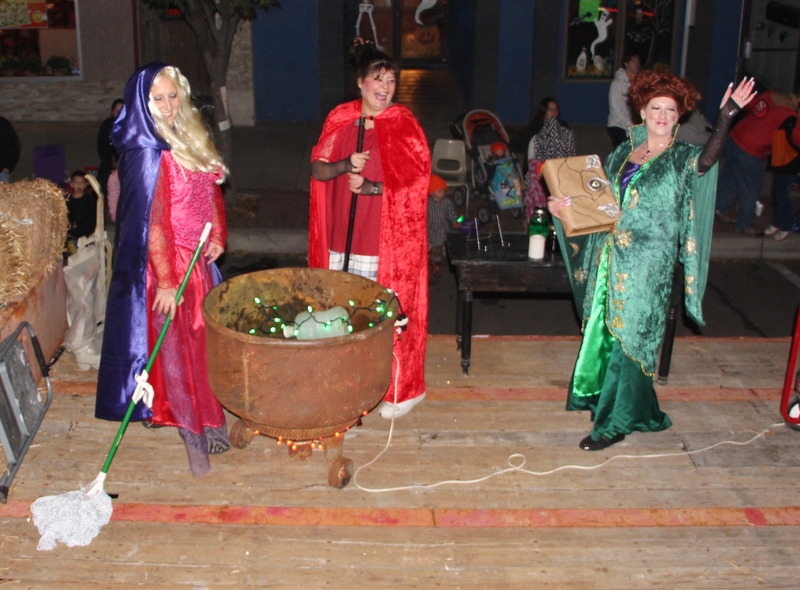 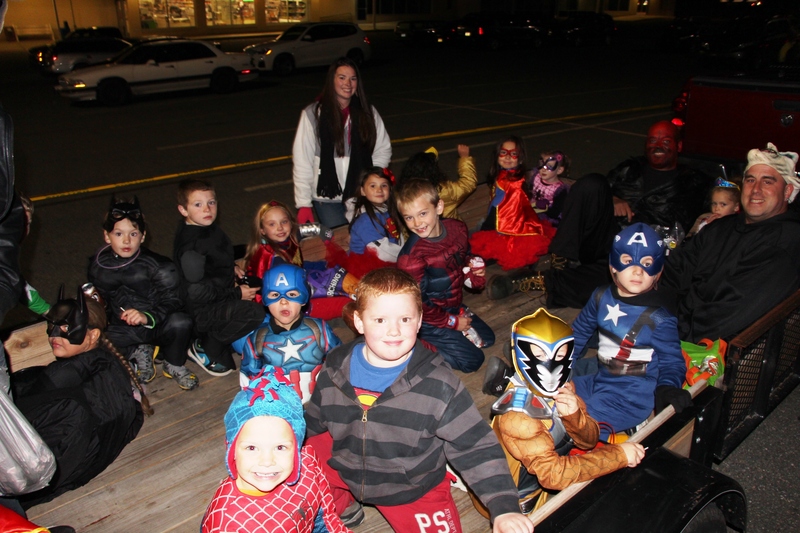 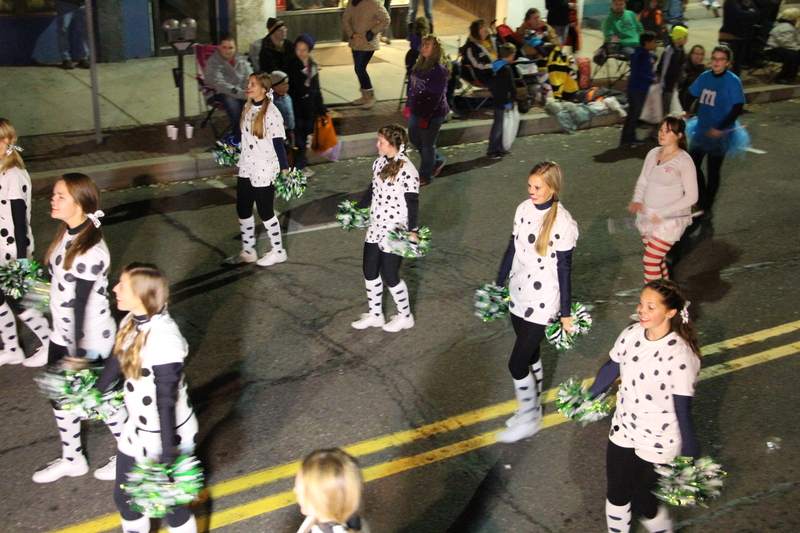 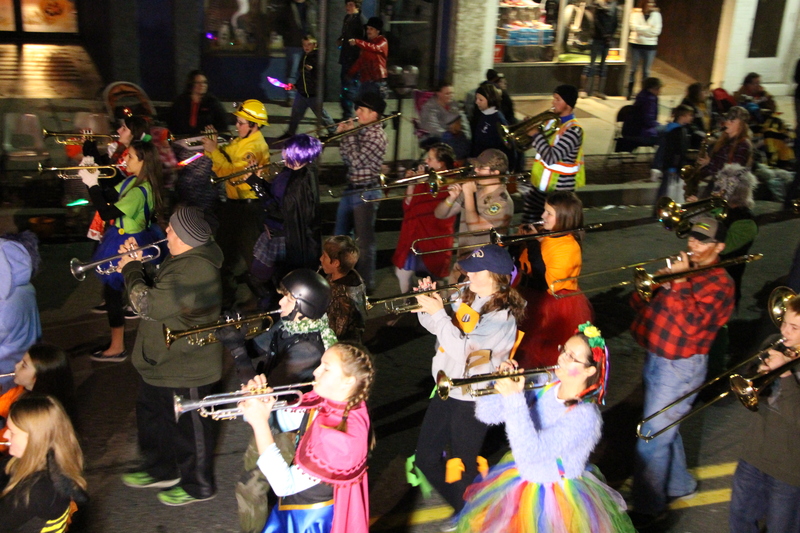 Last night’s (Tuesday, October 27, 2015) Tamaqua Lions Club 49th Annual Tamaqua Halloween Parade drew a wide array of costumes as well as an impressive crowd of spectators. 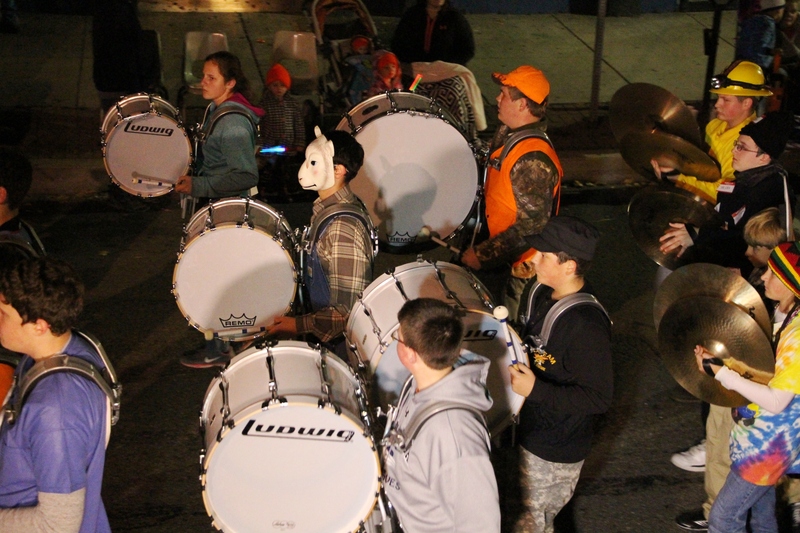 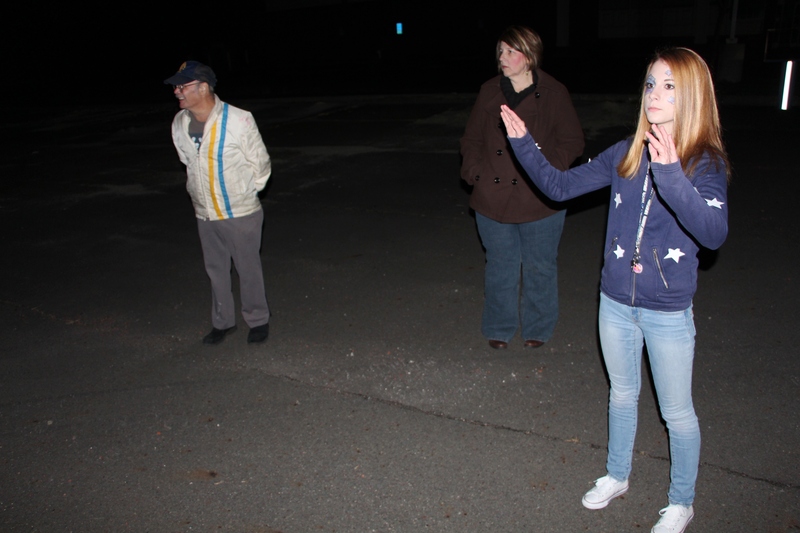 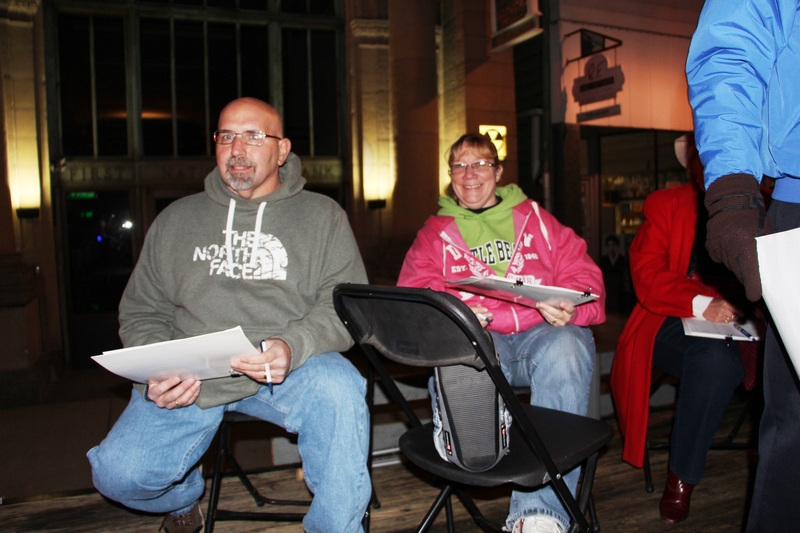 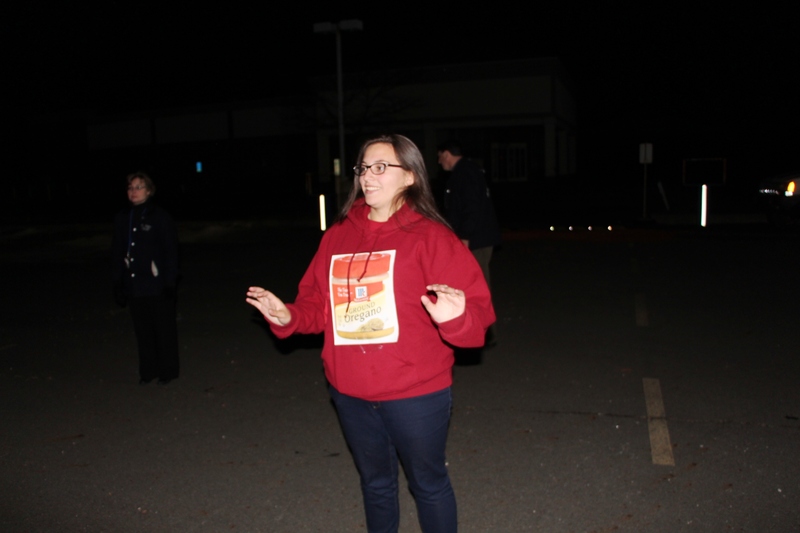 “The turn out of both participants and spectators was outstanding,” said Brian Keich, President, Tamaqua Lions Club. 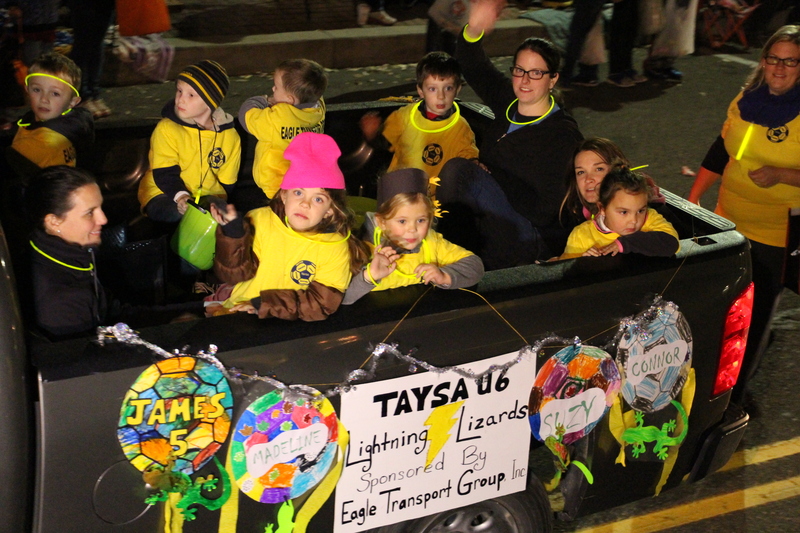 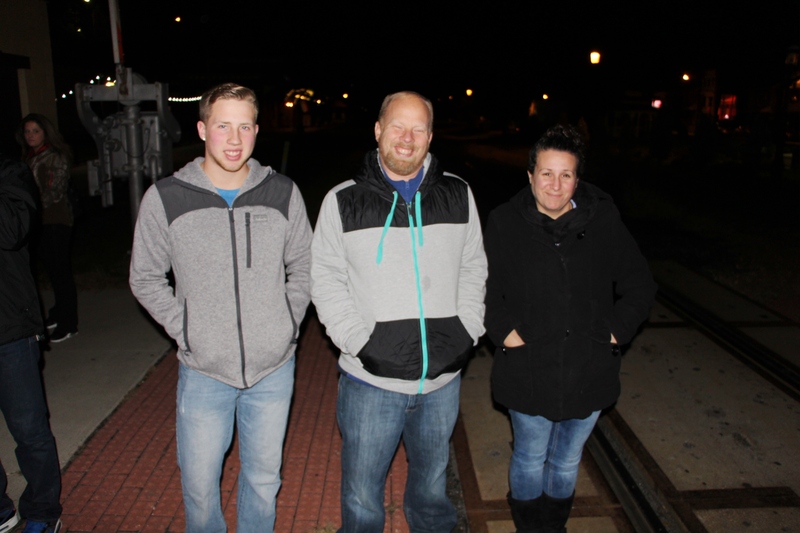 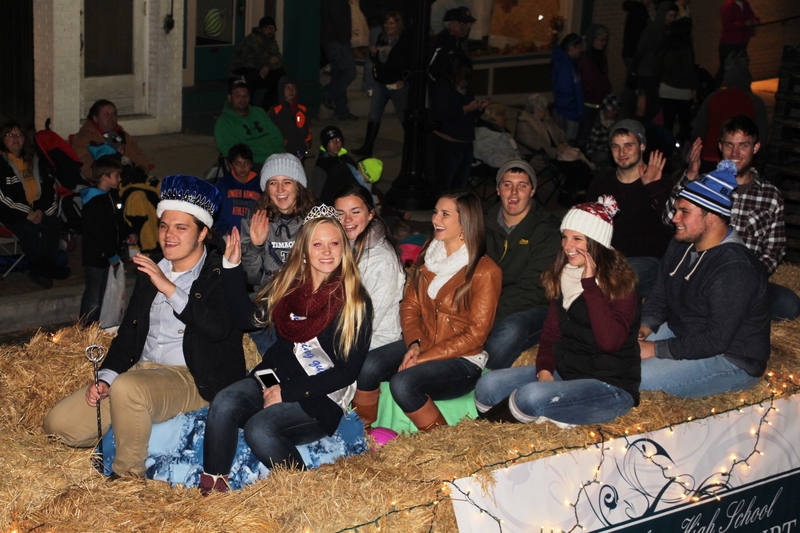 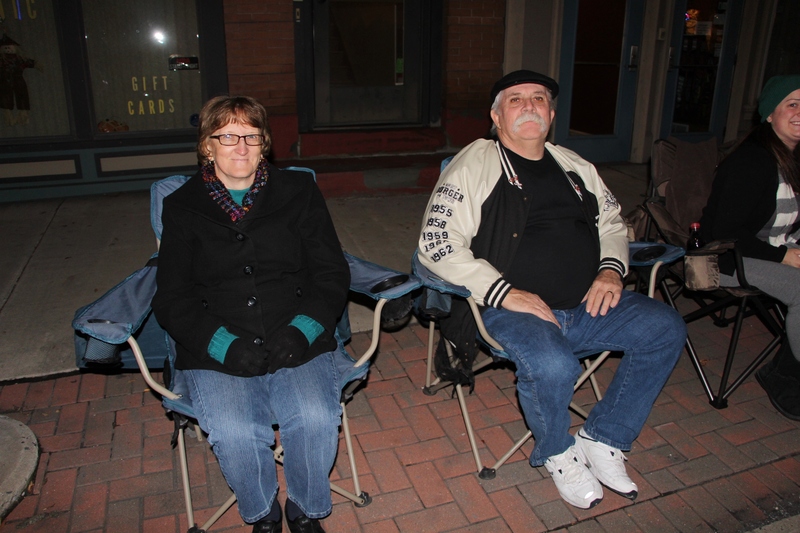 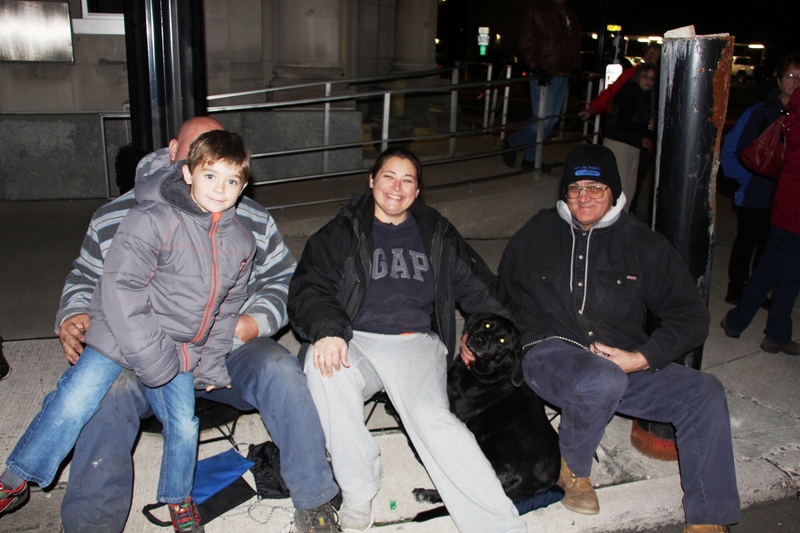 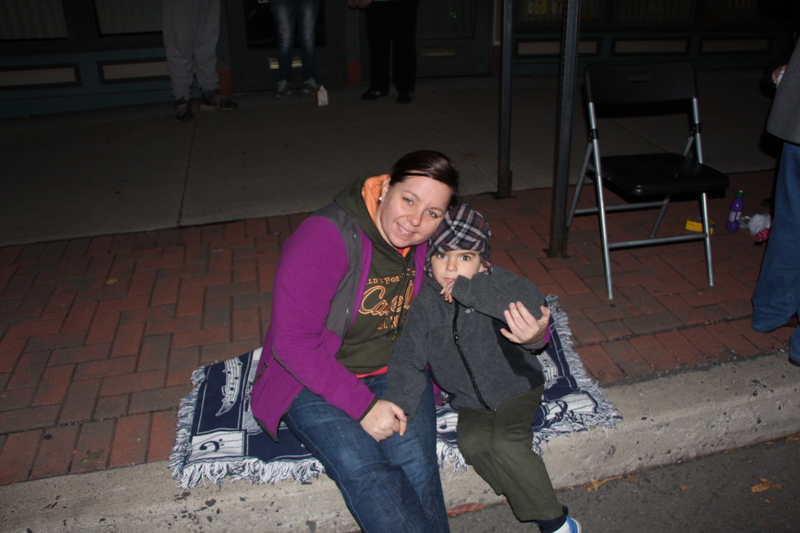 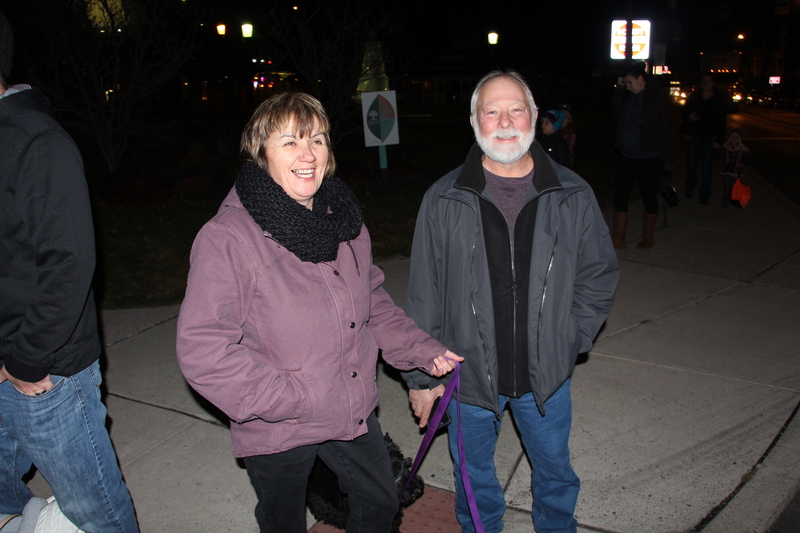 “I estimate over 7,000 people watched the parade this year,” said Linda Yulananvage, Executive Director, Tamaqua Chamber of Commerce. 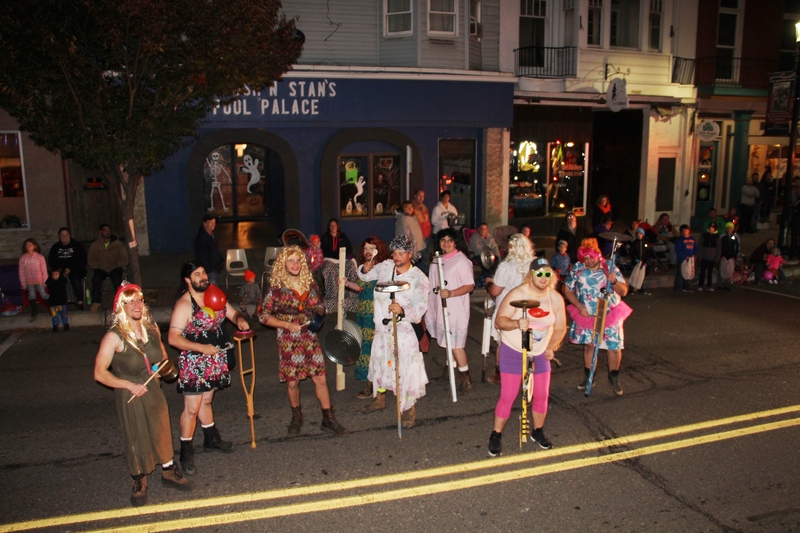 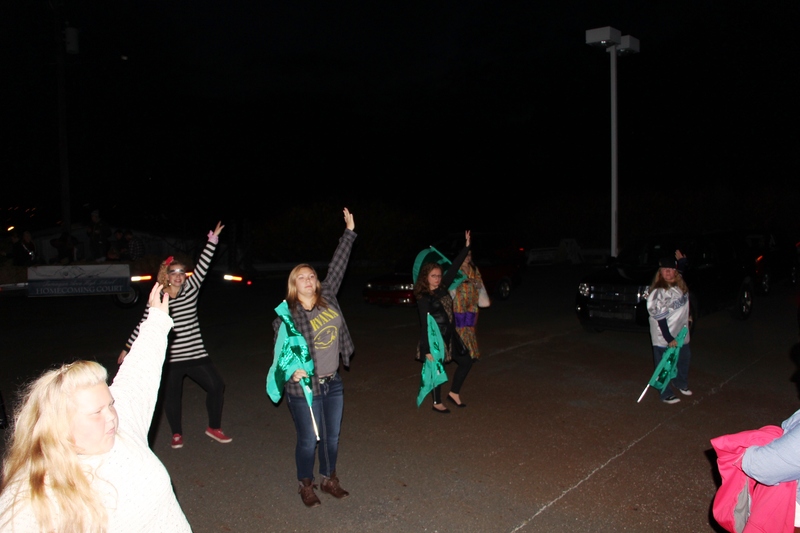 An estimated 80 organizations/groups took part in the hour-long parade. 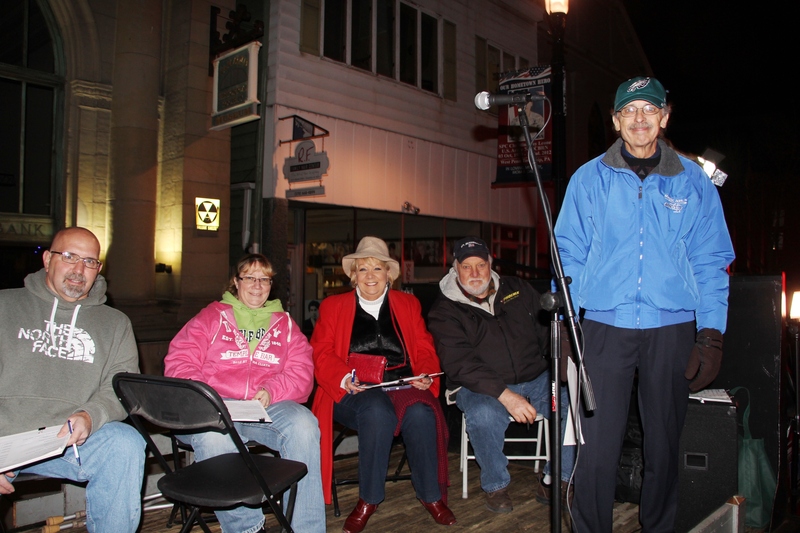 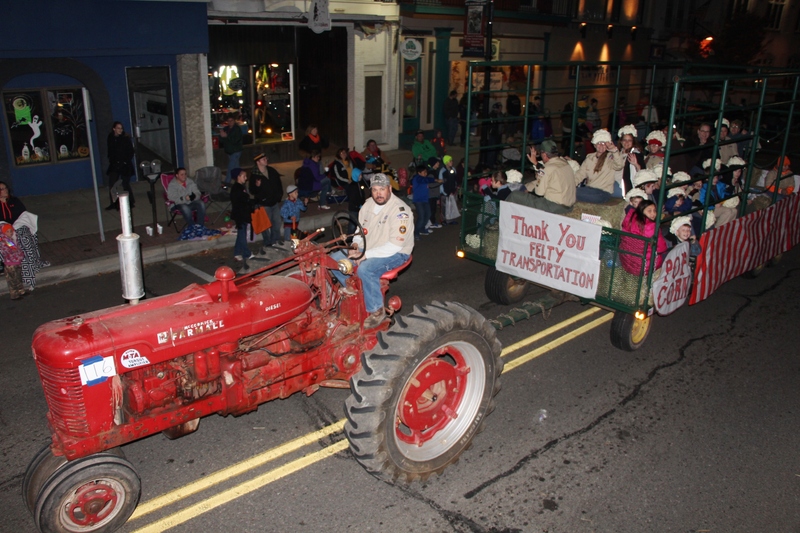 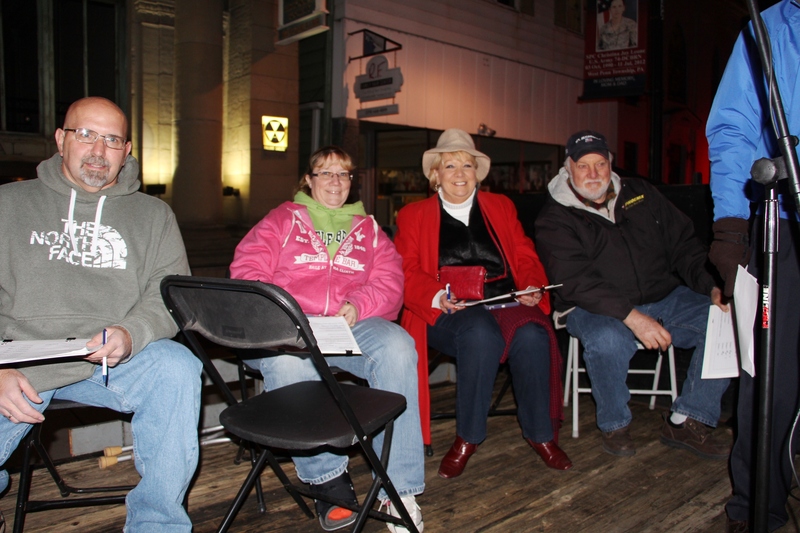 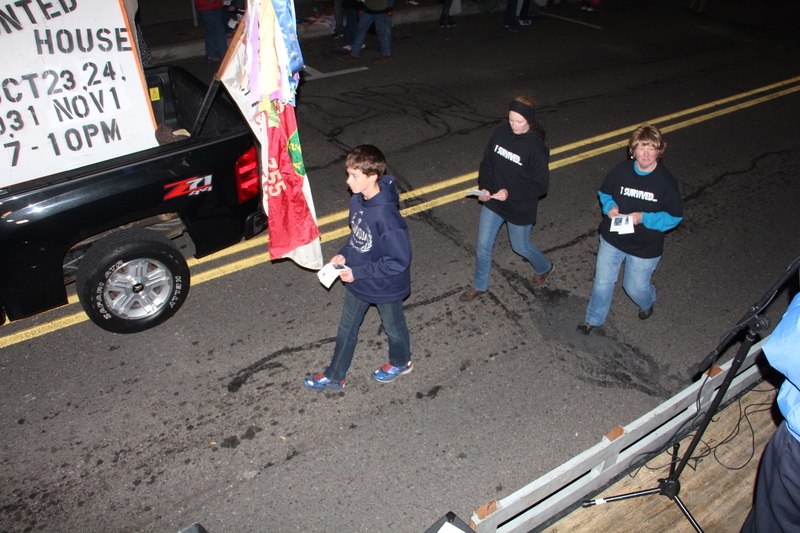 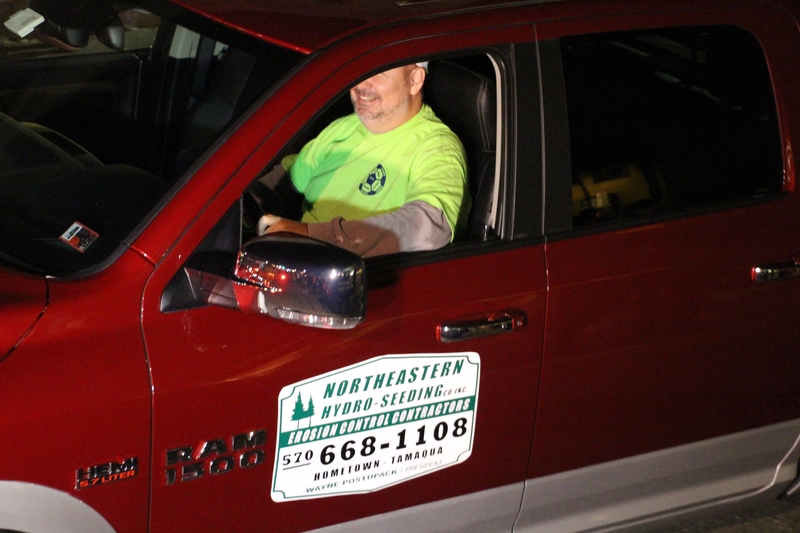 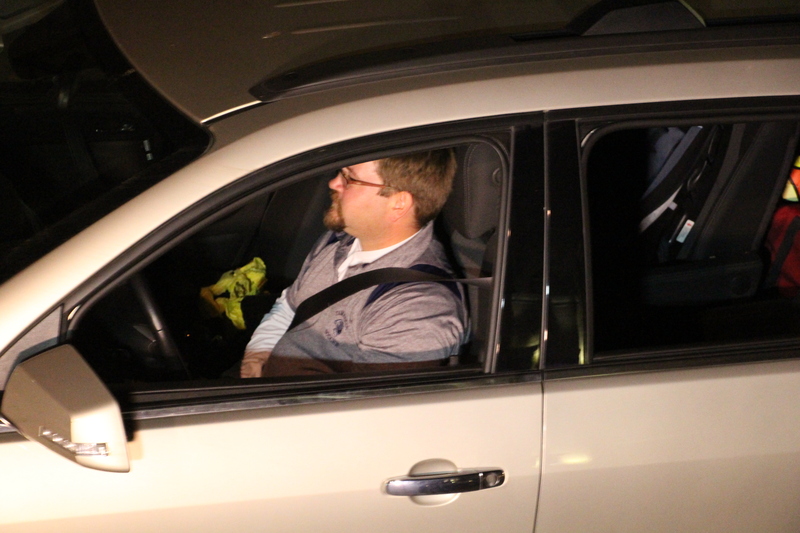 Keich stated the Tamaqua Lions Club appreciation to all who participated or helped to sponsor this year’s parade. 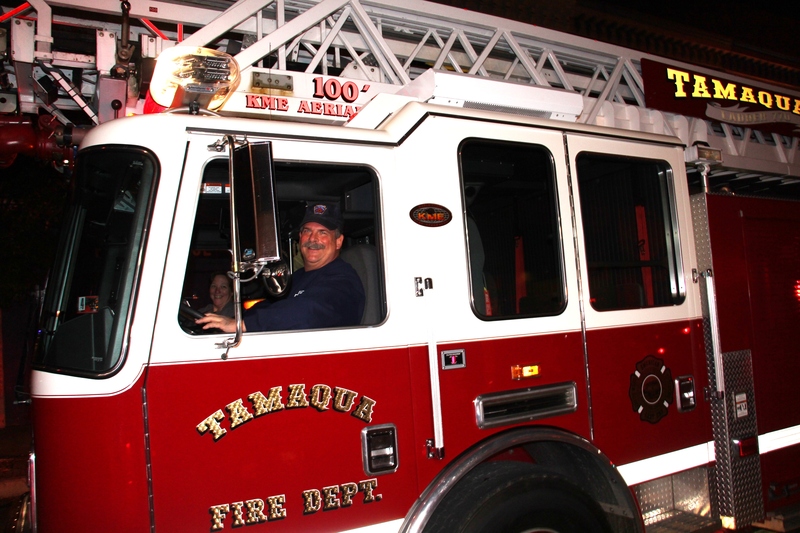 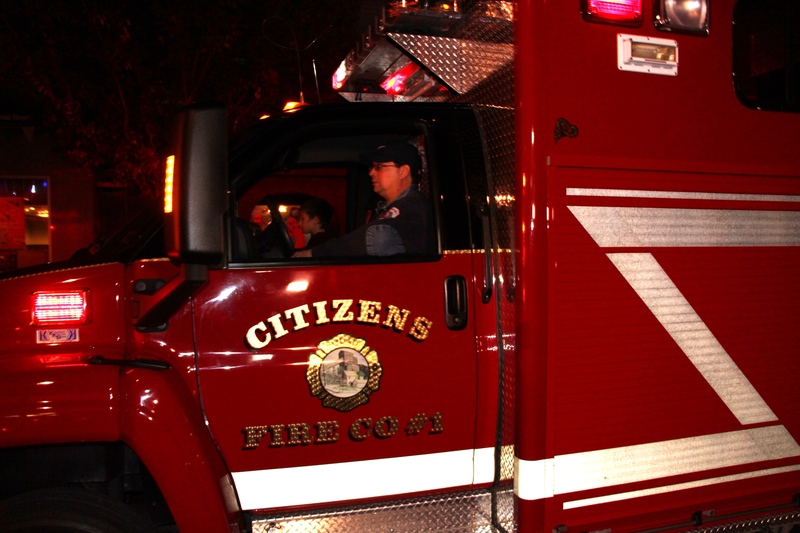 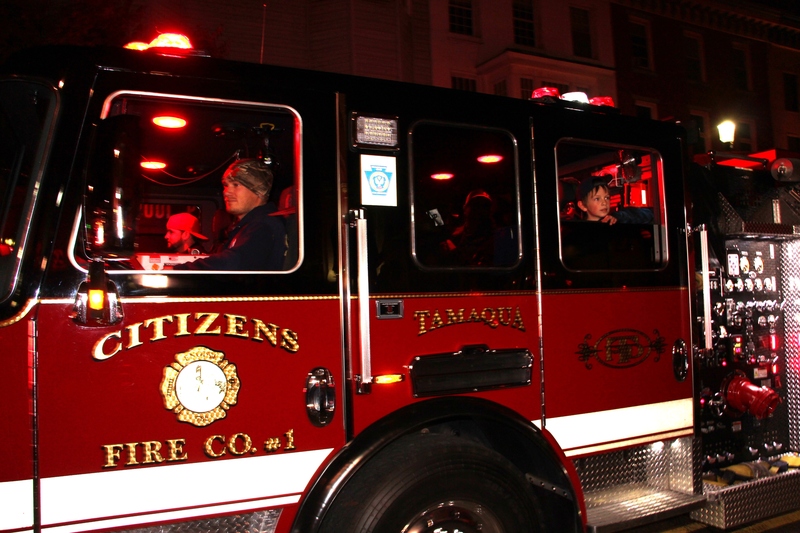 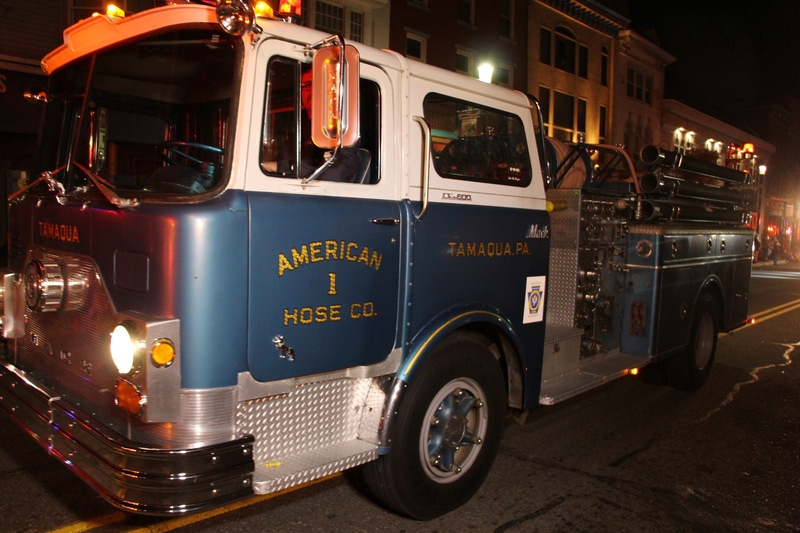 They added appreciations to the Tamaqua Area Chamber of Commerce, Tamaqua Wireless Association, Tamaqua Elks Lodge, Tamaqua Fire Police, and many others. 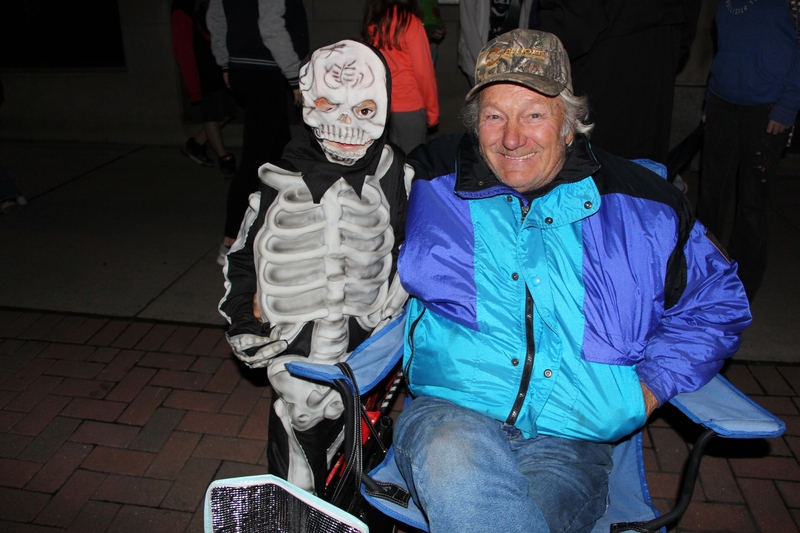 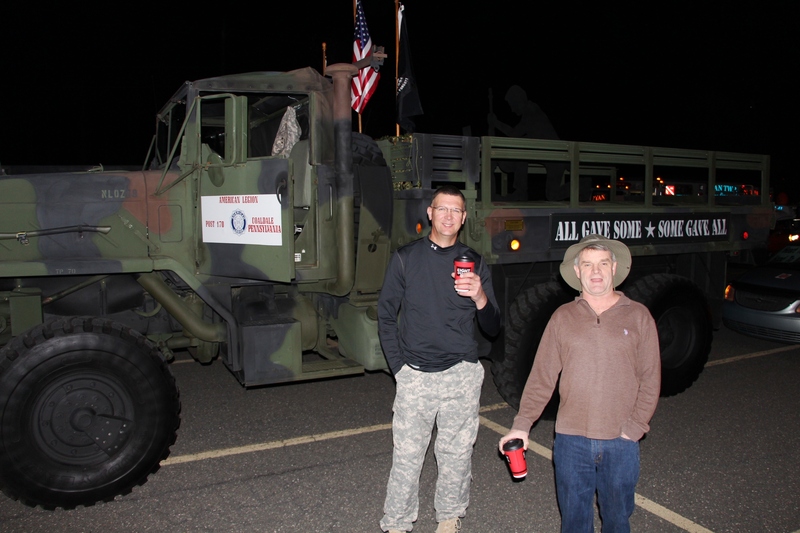 Parade Grand Marsal was Kenny Fritz of Barnesville. 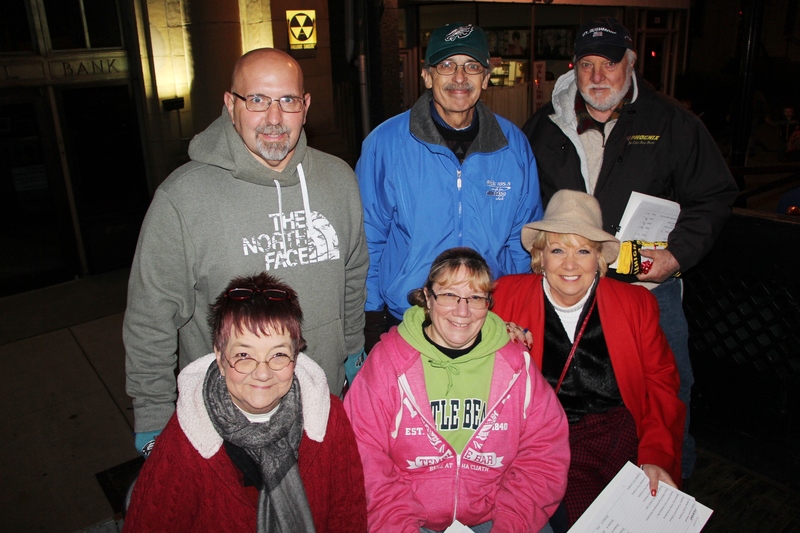 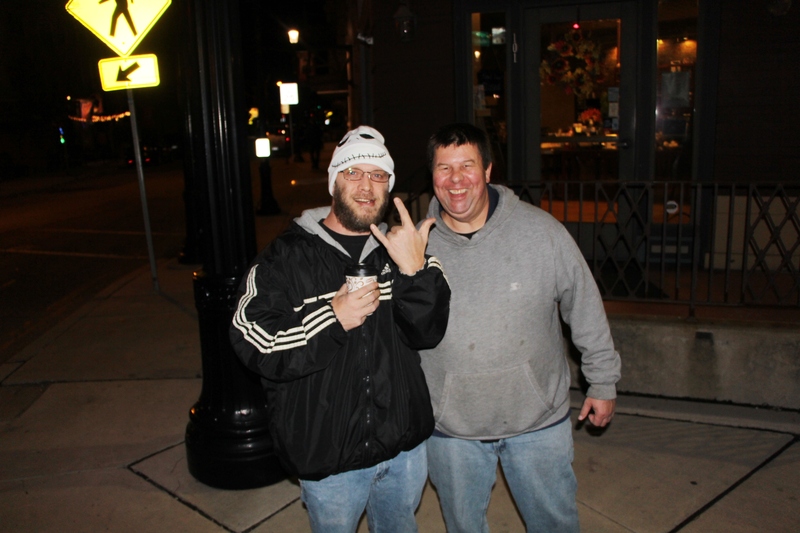 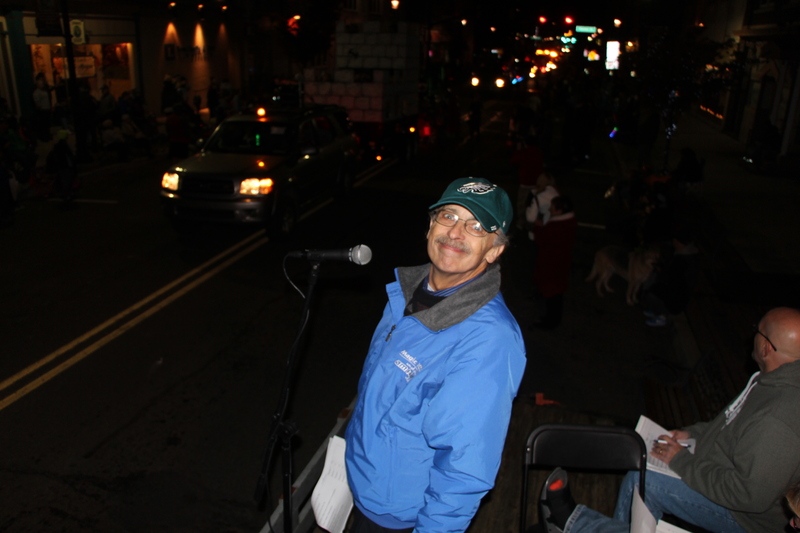 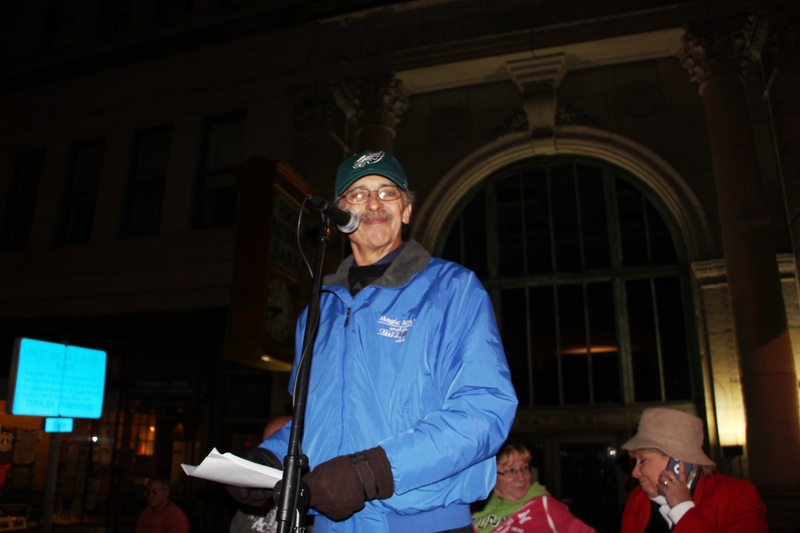 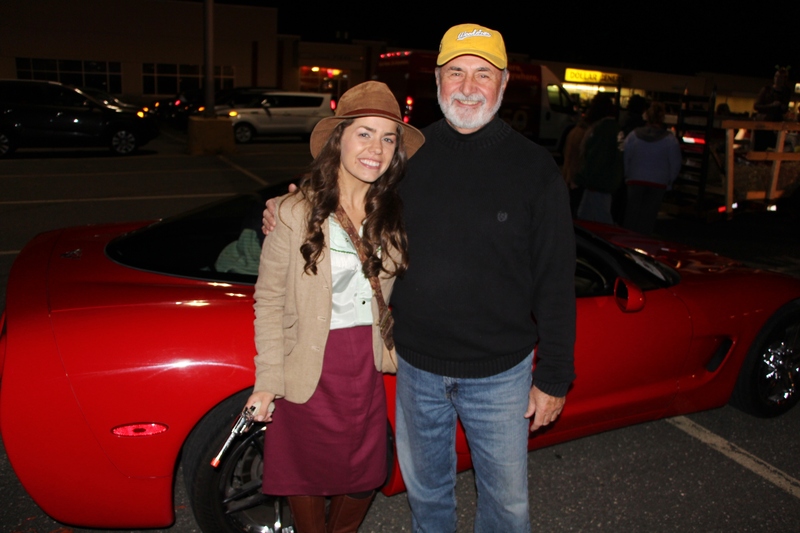 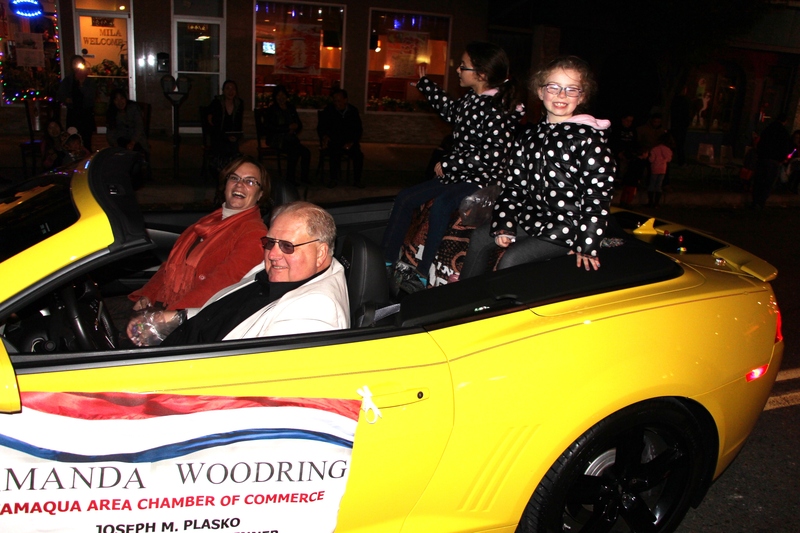 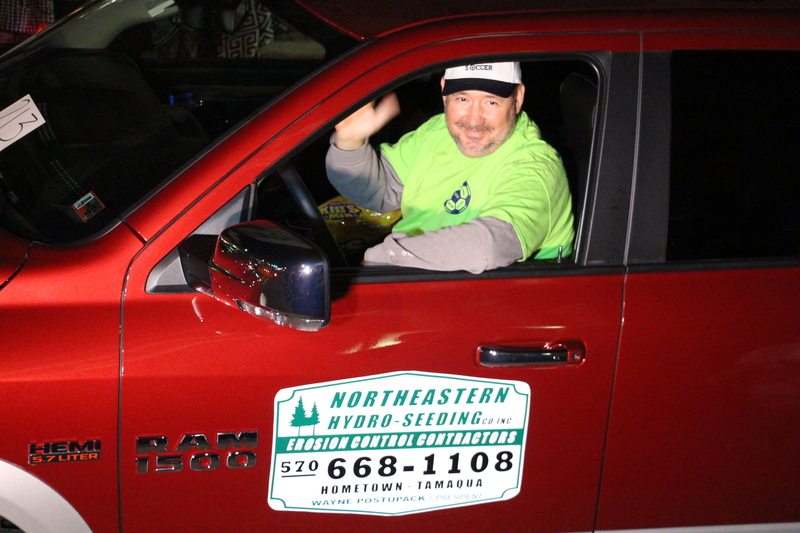 Parade emcee was Jack Kulp with WMGH FM 105.5 / WLSH AM 1410 radio. 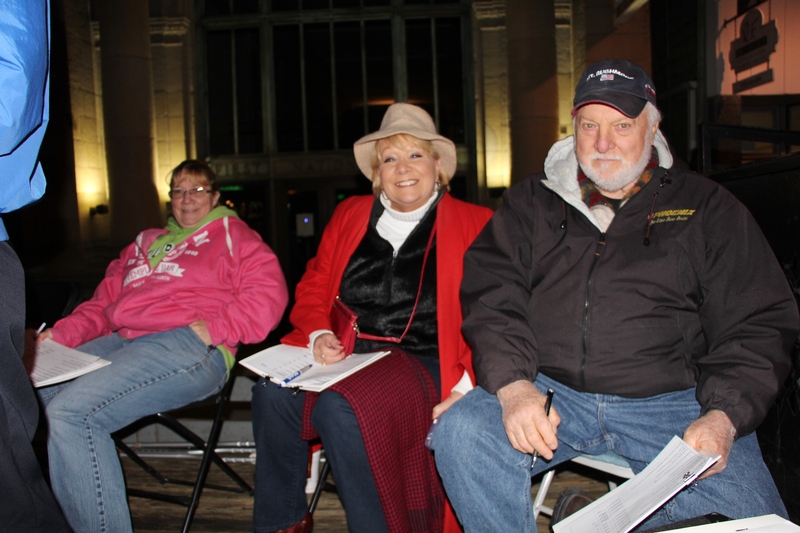 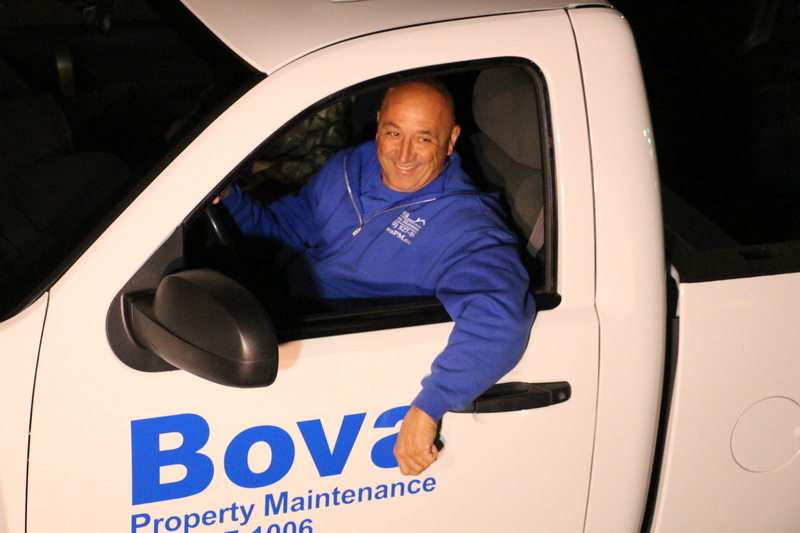 Judges were Tom Banditelli Sr., Maureen Donovan, Judy Gordon and Lou Gordon. 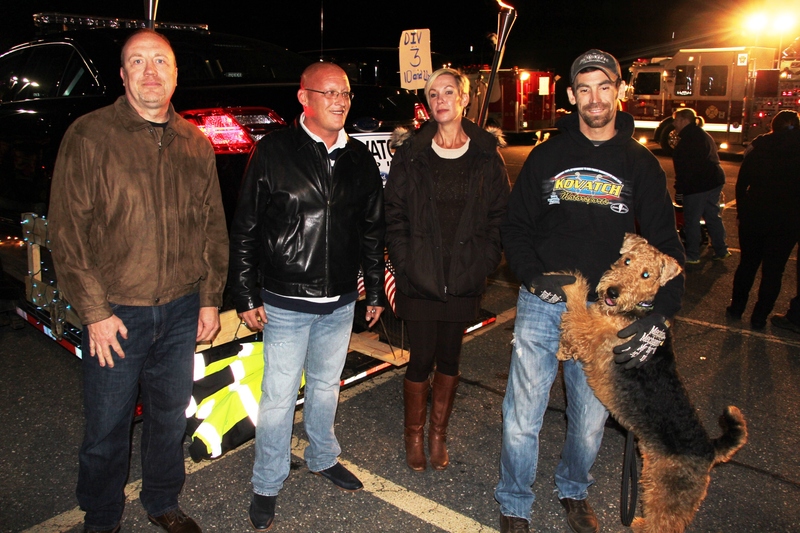 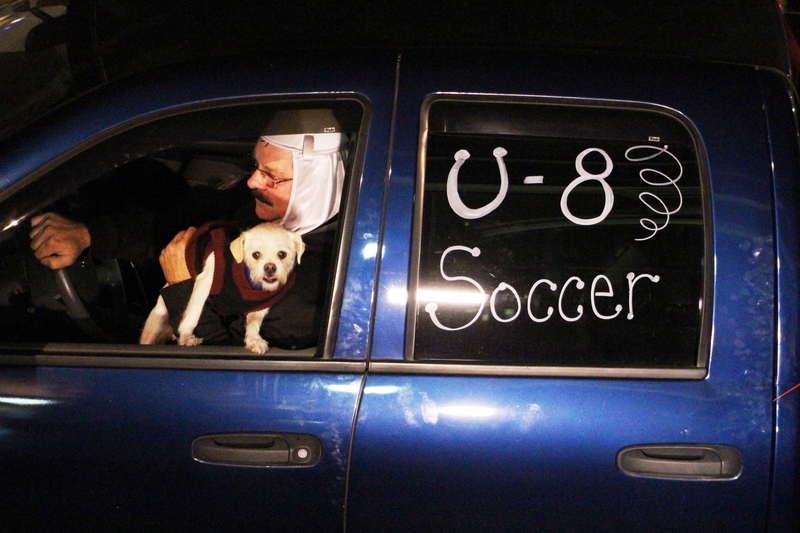 1st Place: Tamaqua Area Animal Rescue. 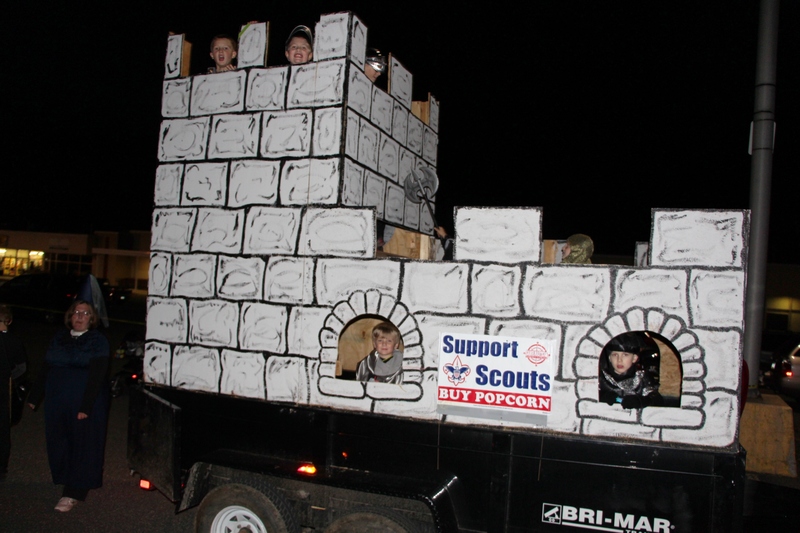 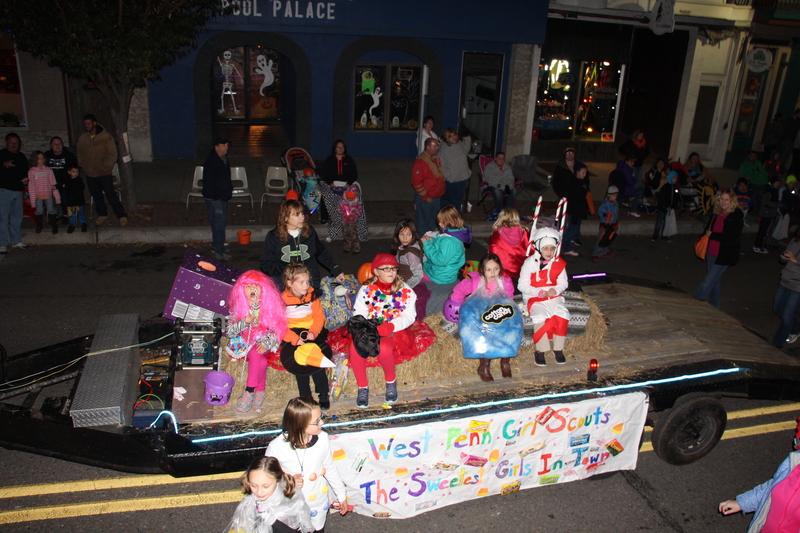 2nd Place: West Penn Cub Scouts Pack 756. 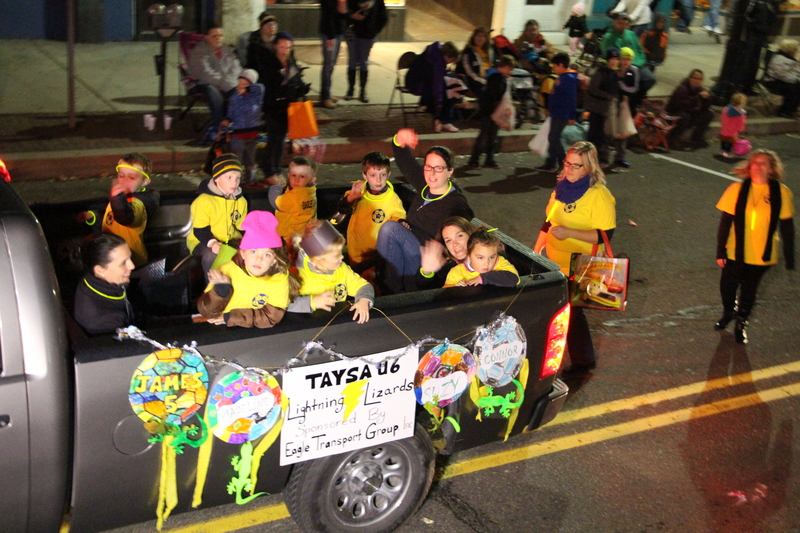 3rd Place: Tamaqua Area Youth Soccer U-8. 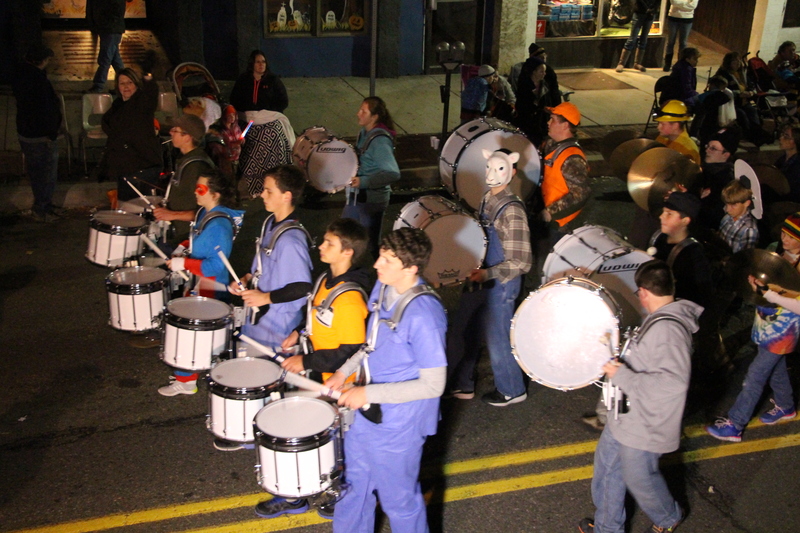 1st Place: Tamaqua Raider Marching Band. 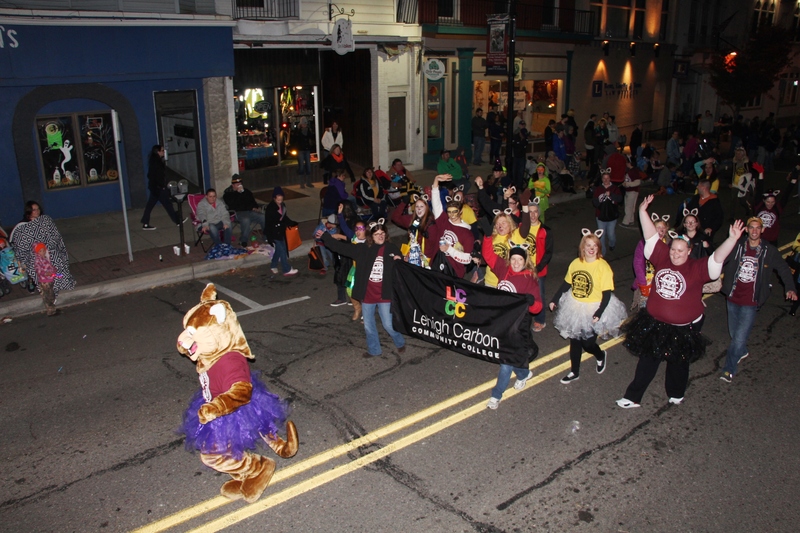 3rd Place: Lehigh Carbon Community College. 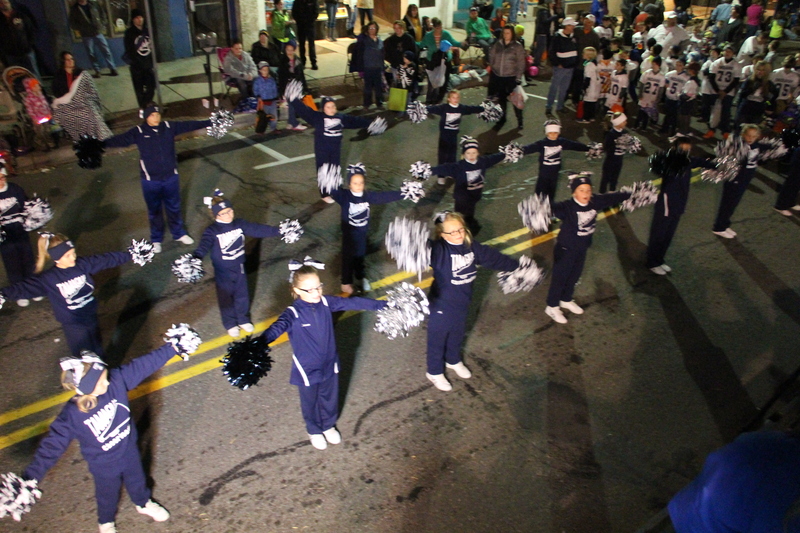 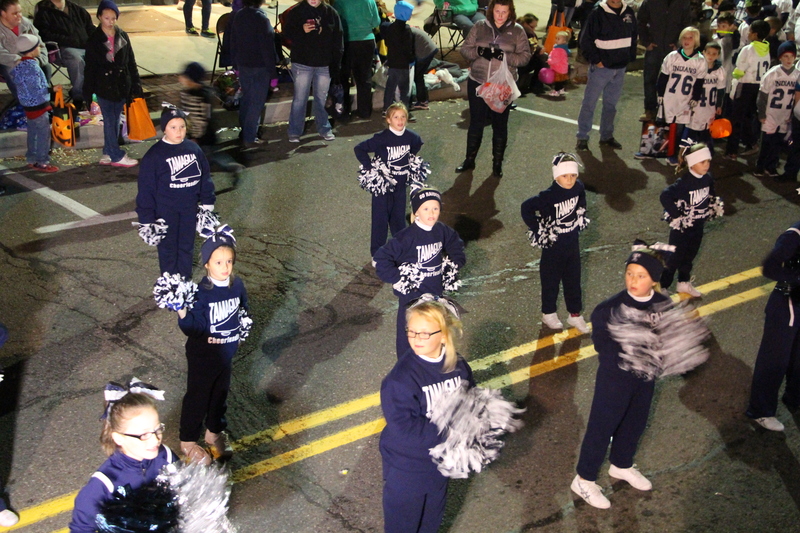 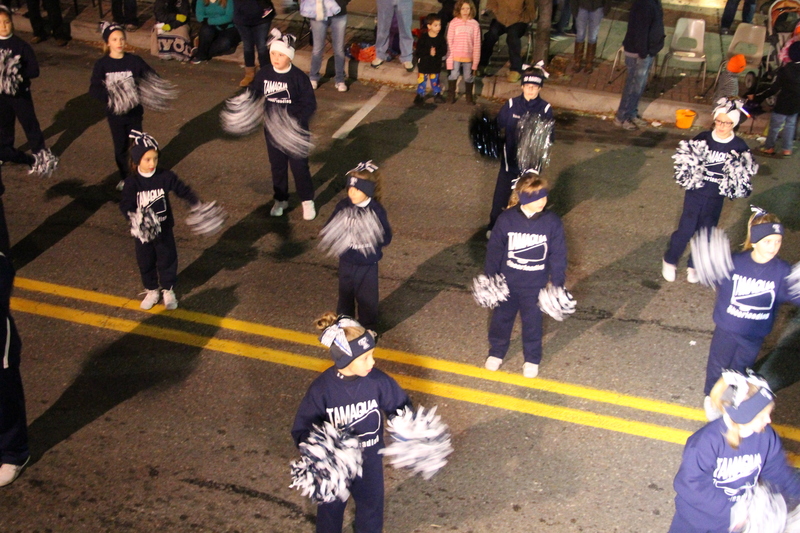 3rd Place: Tamaqua Knee High Cheerleaders.